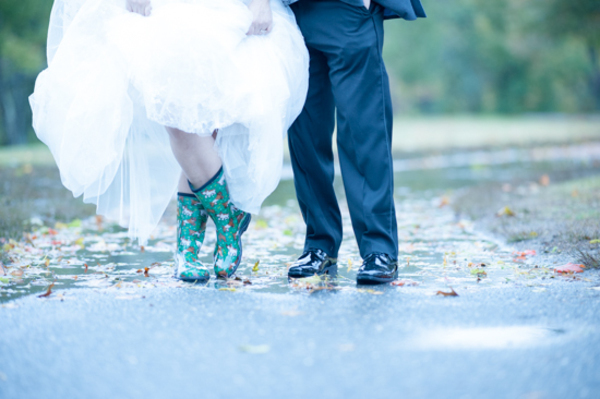 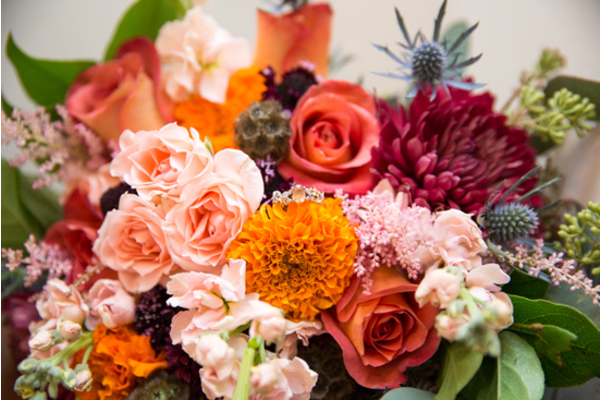 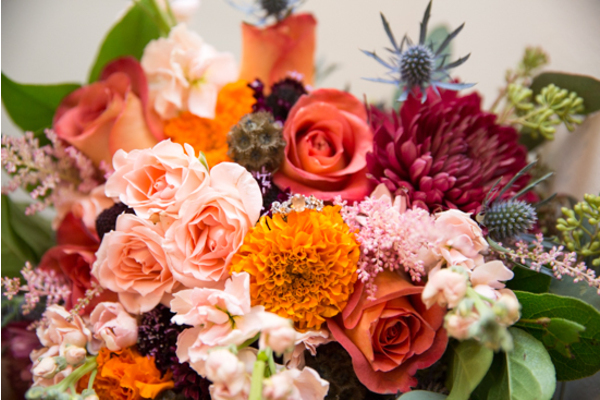 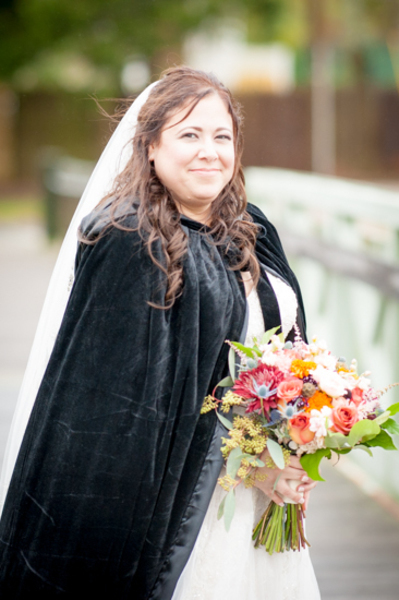 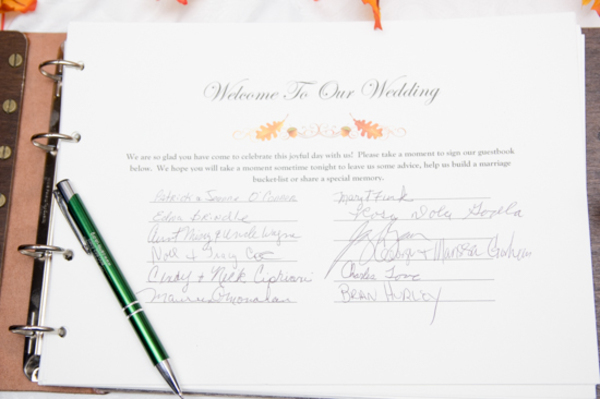 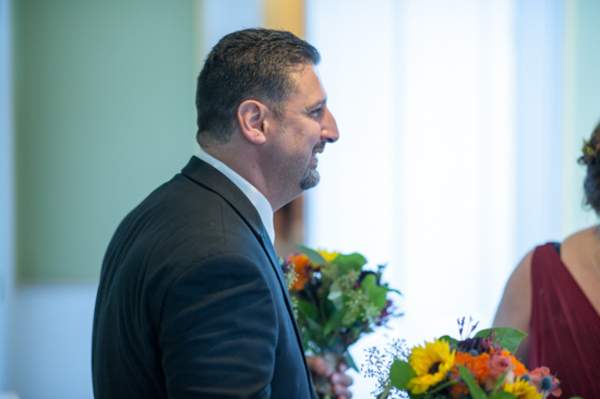 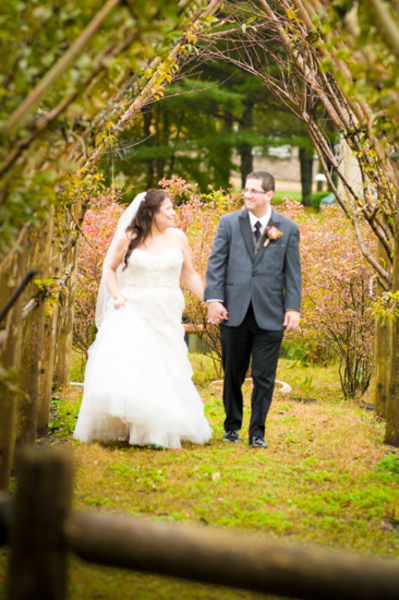 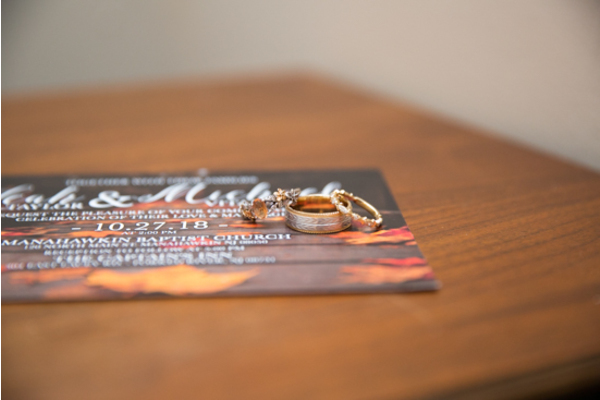 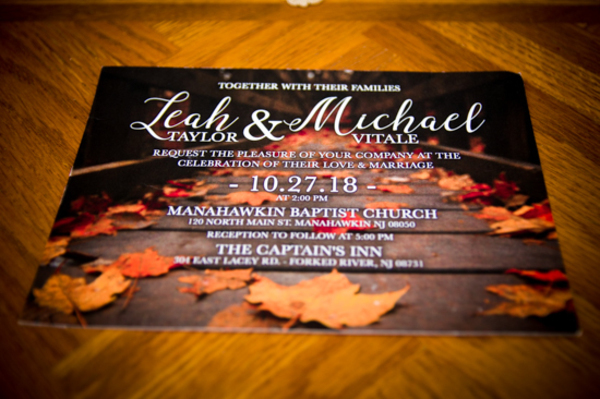 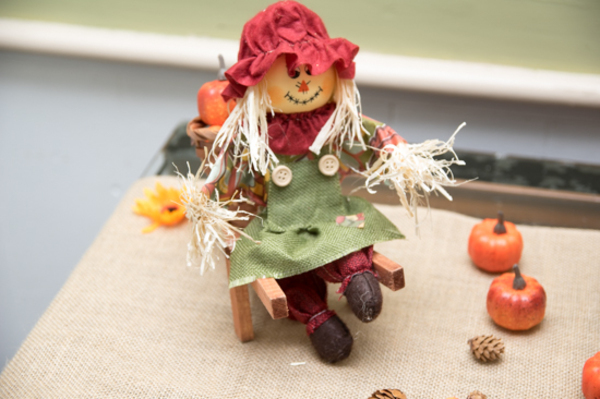 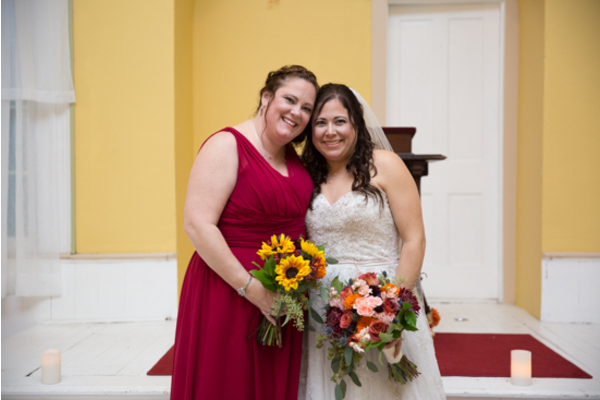 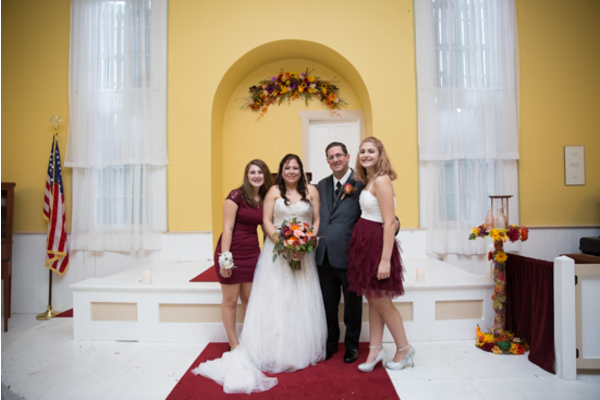 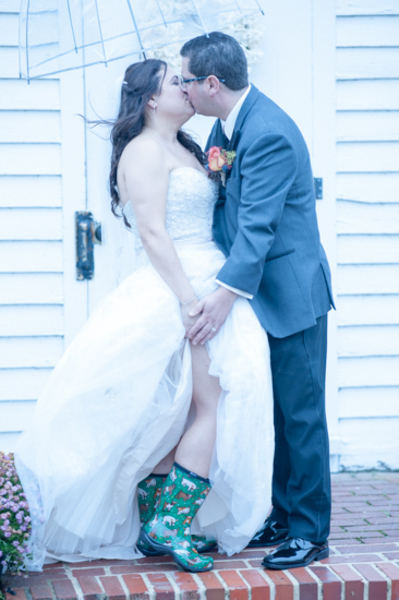 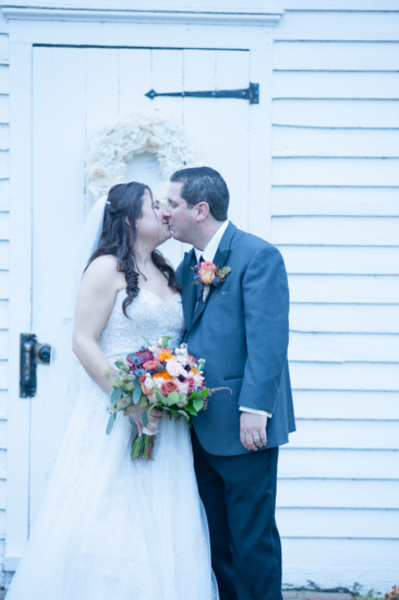 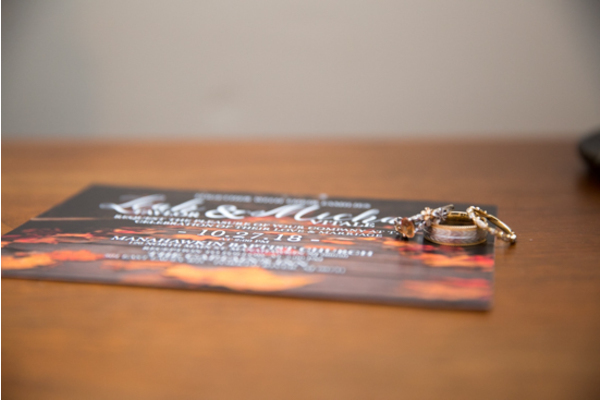 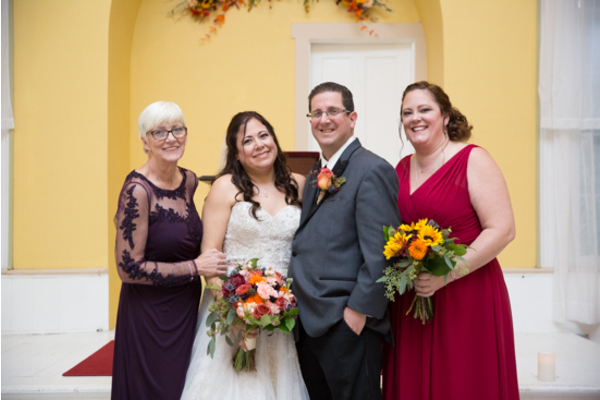 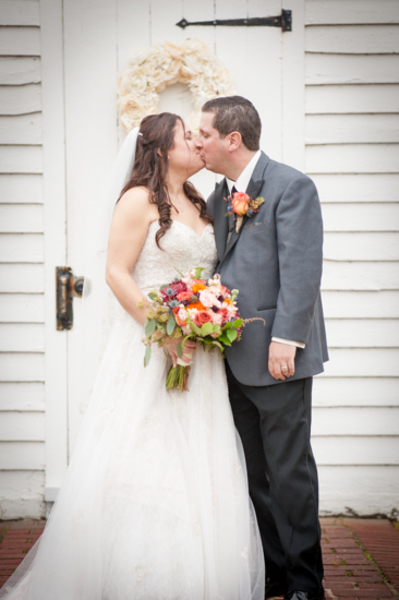 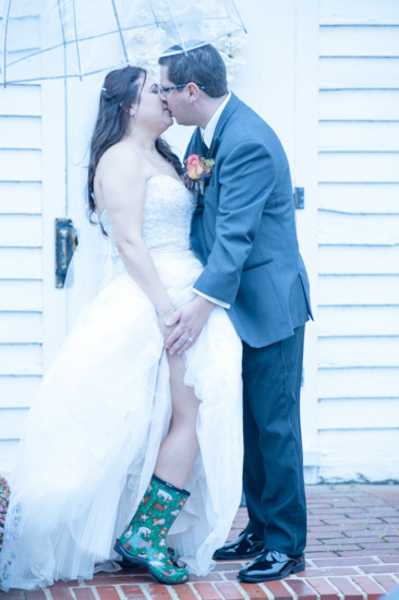 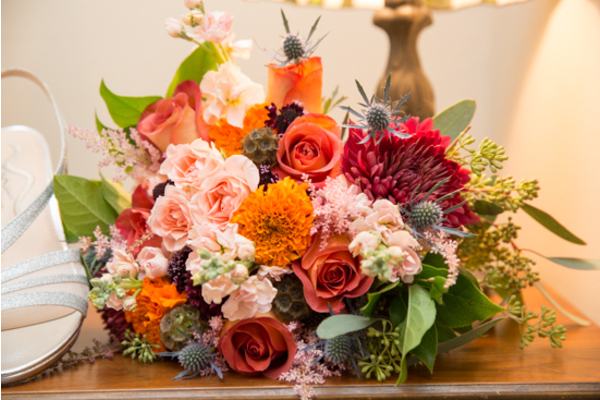 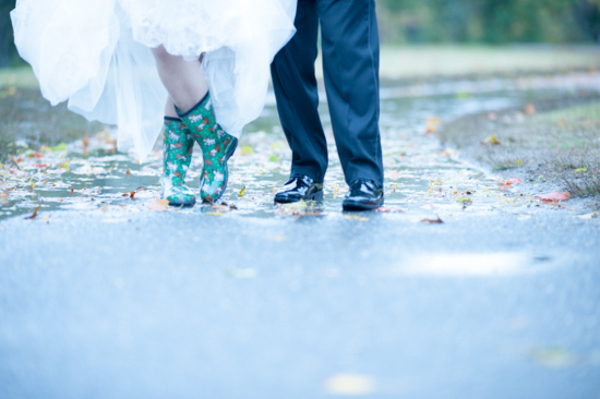 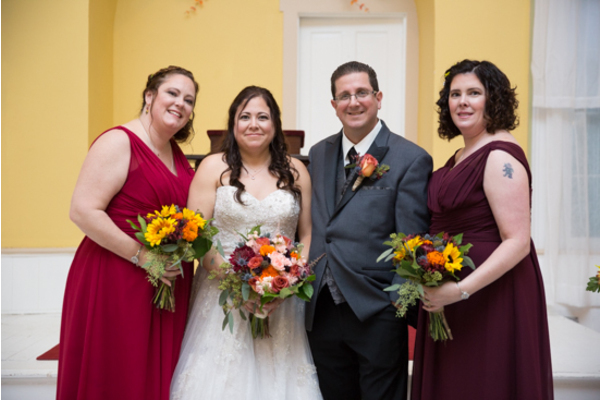 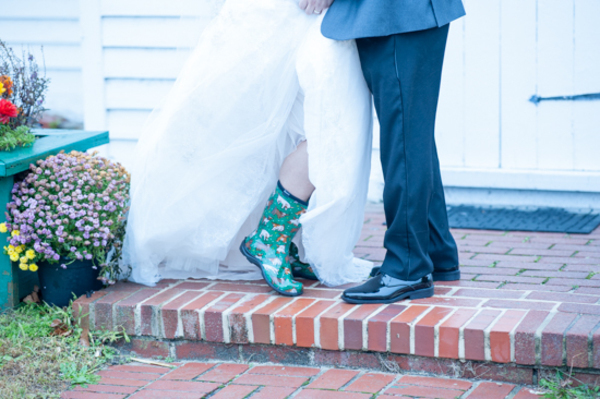 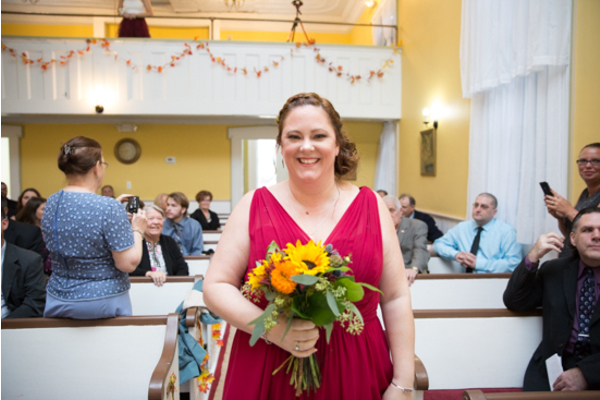 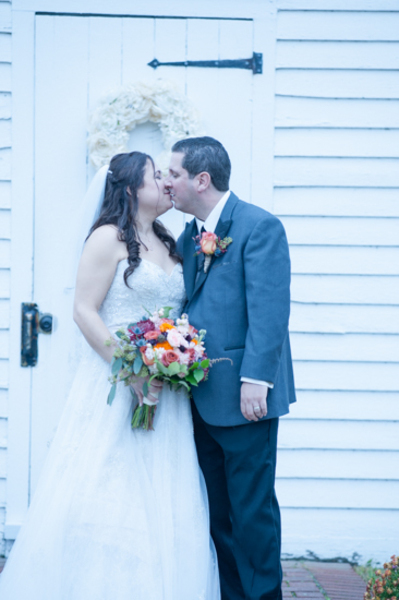 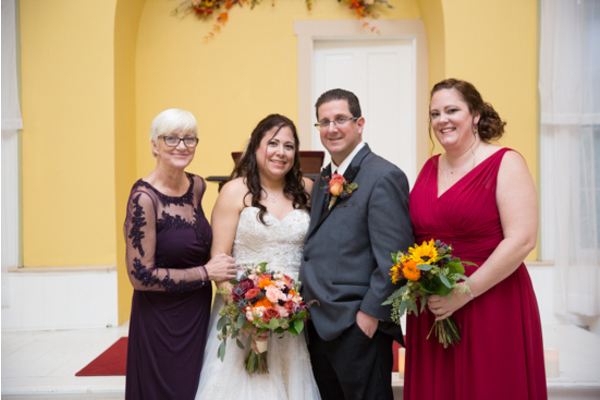 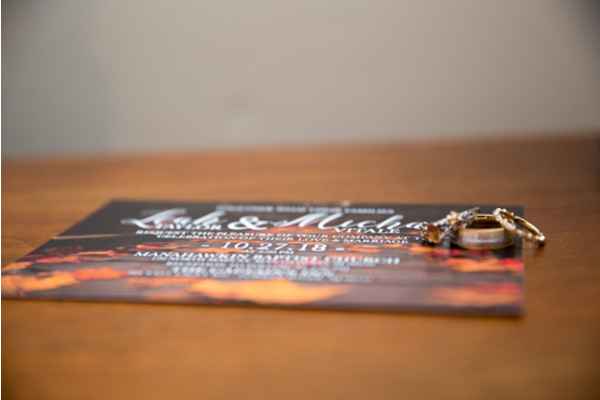 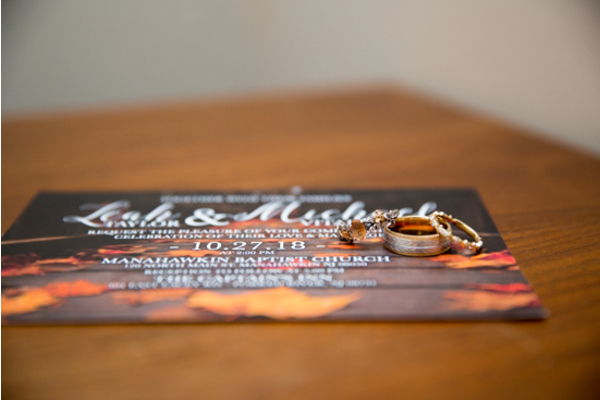 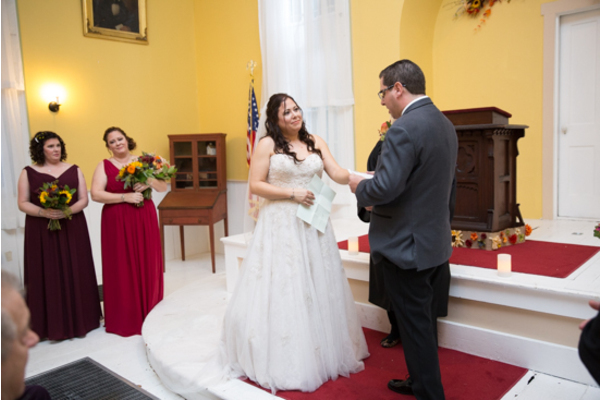 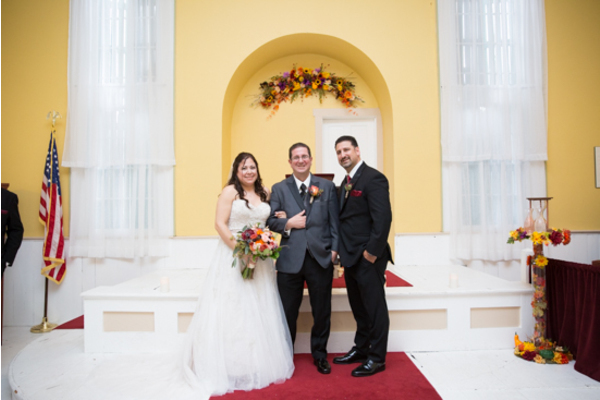 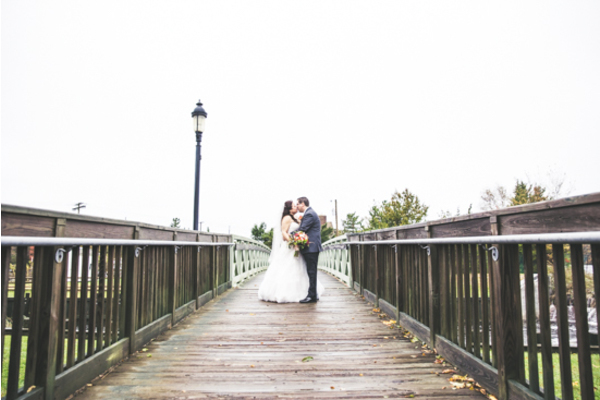 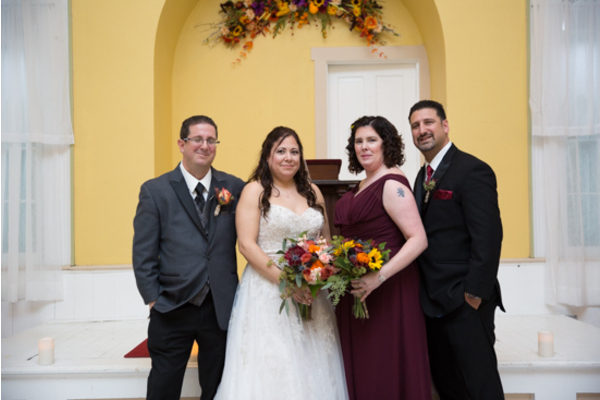 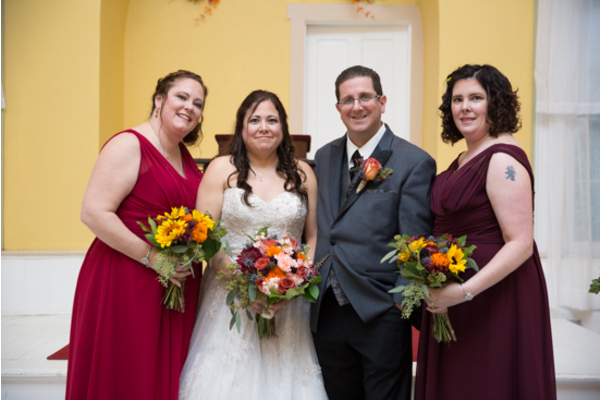 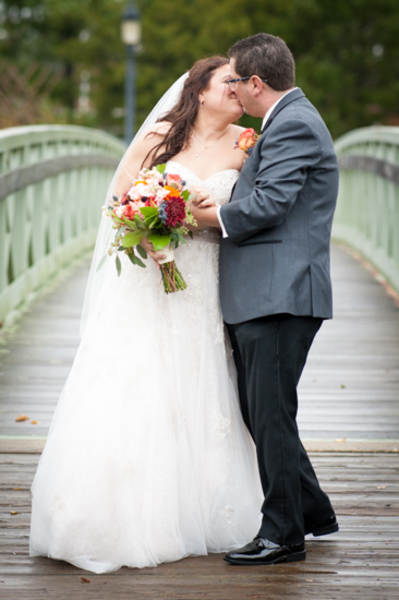 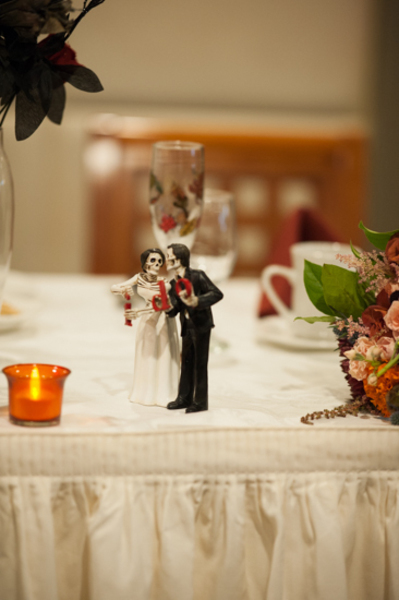 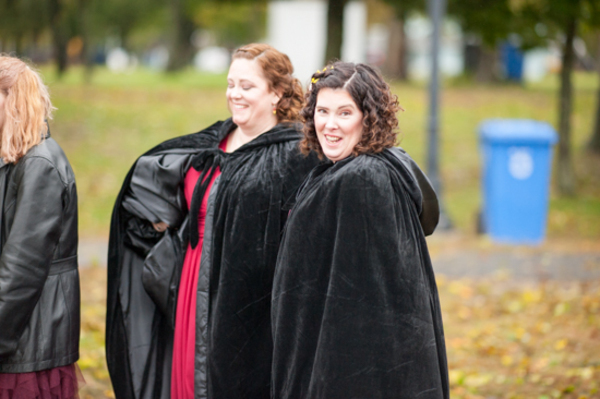 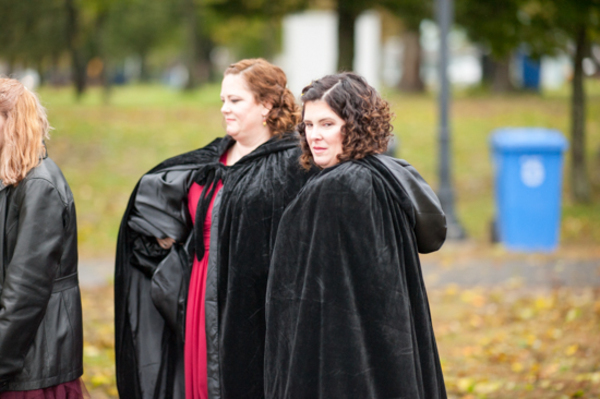 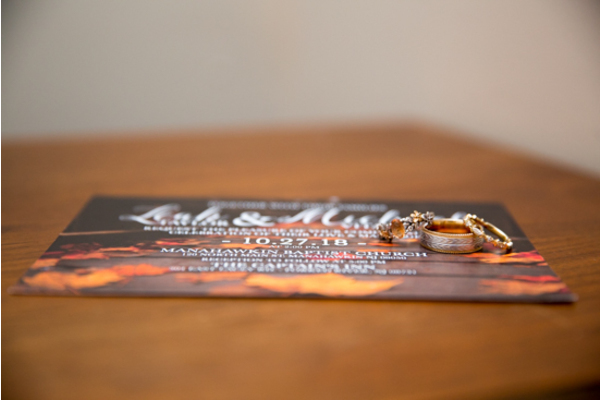 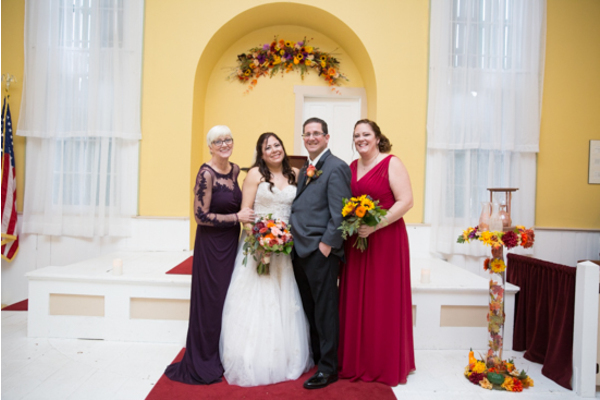 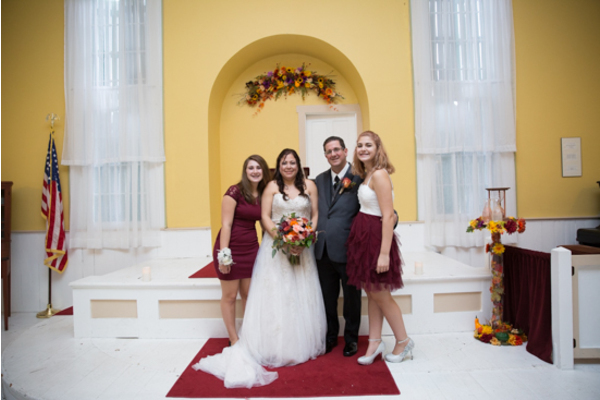 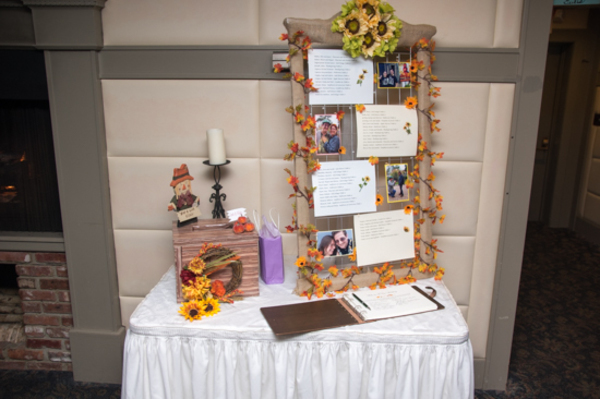 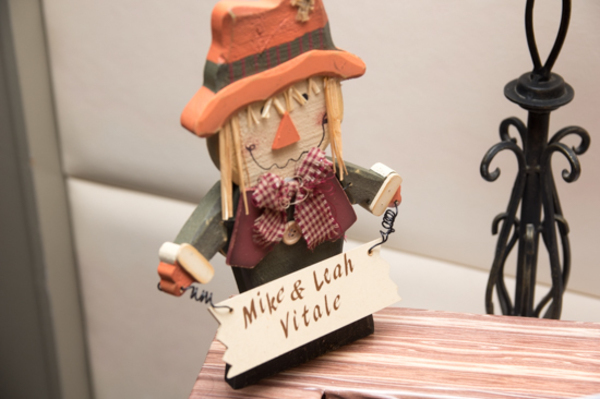 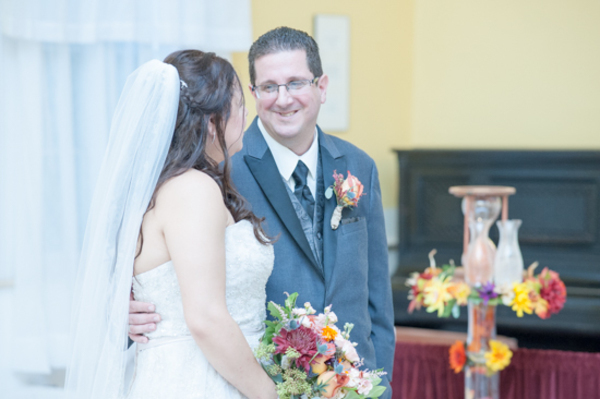 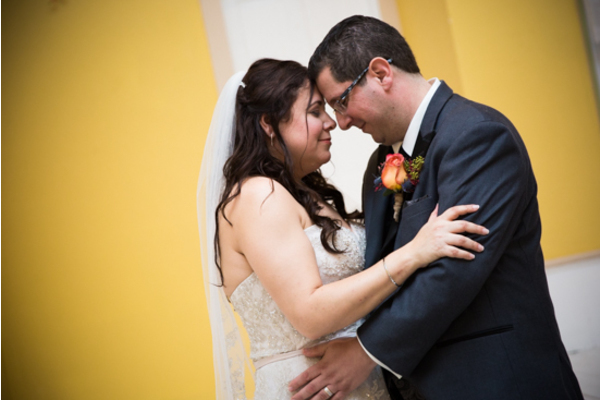 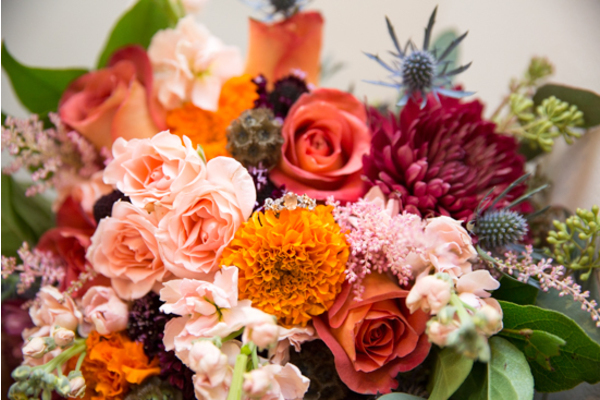 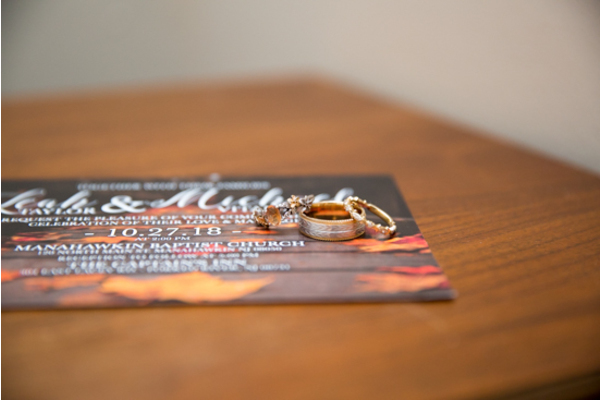 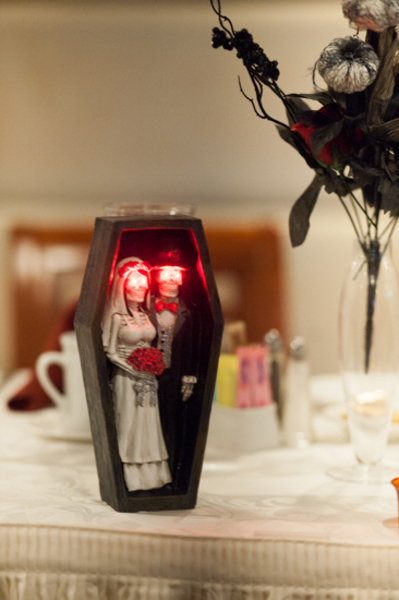 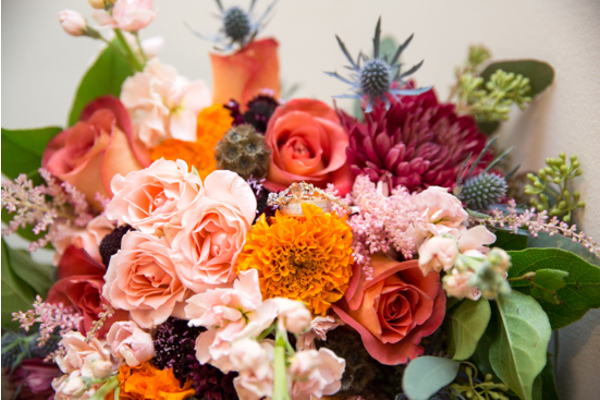 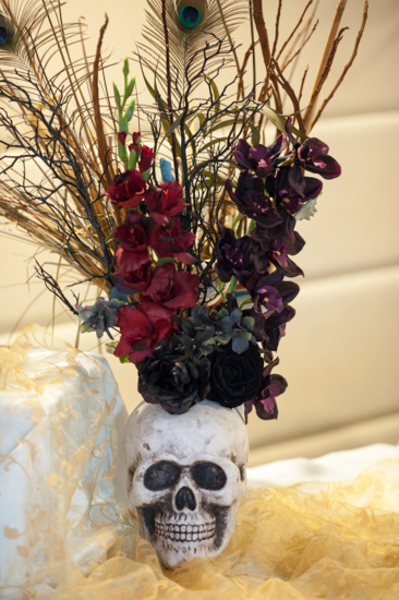 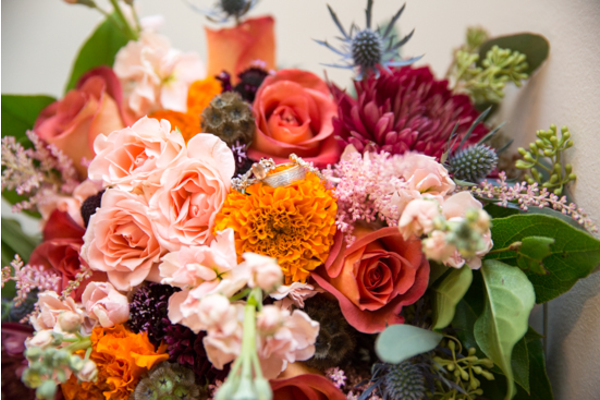 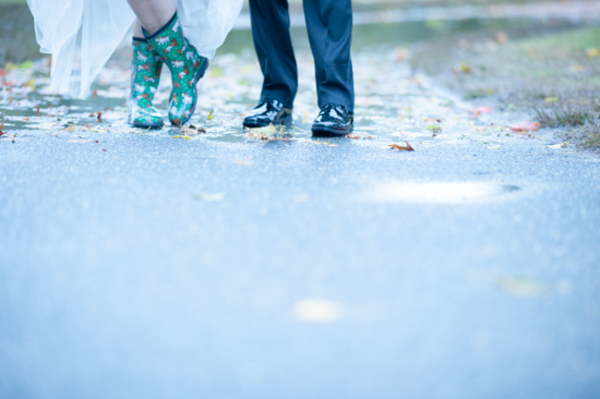 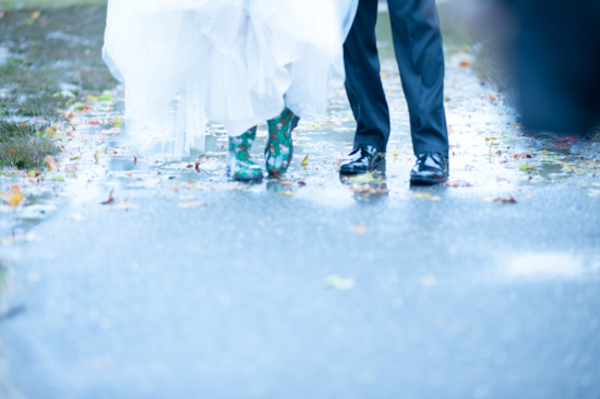 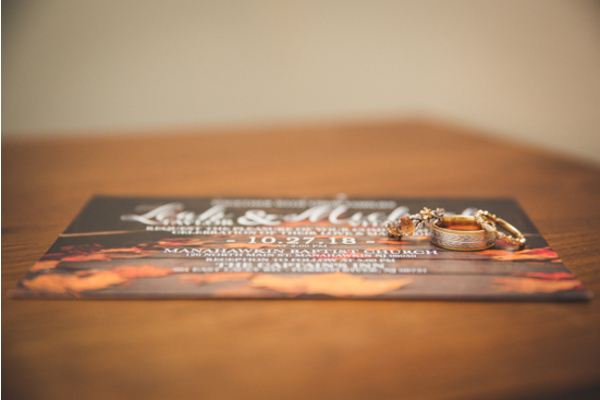 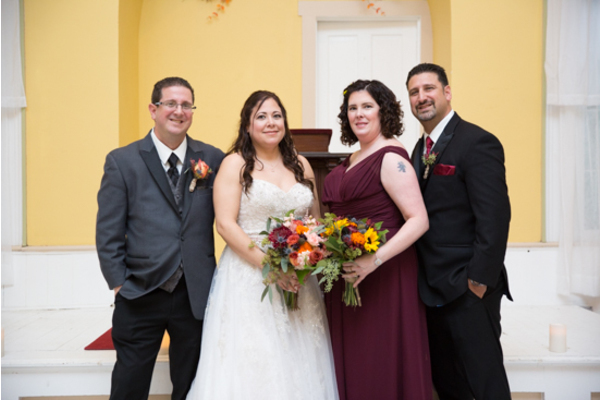 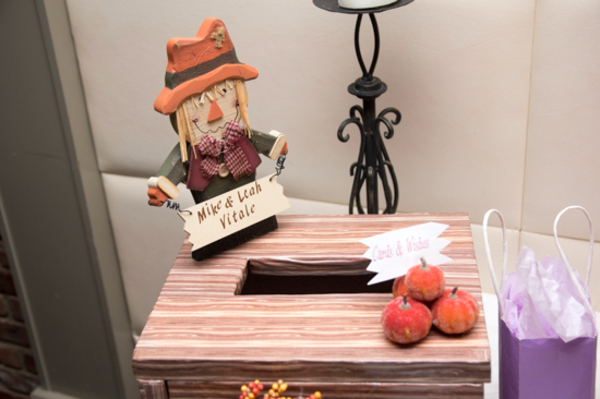 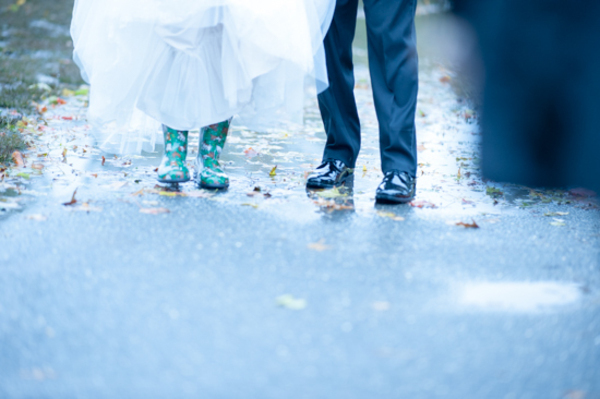 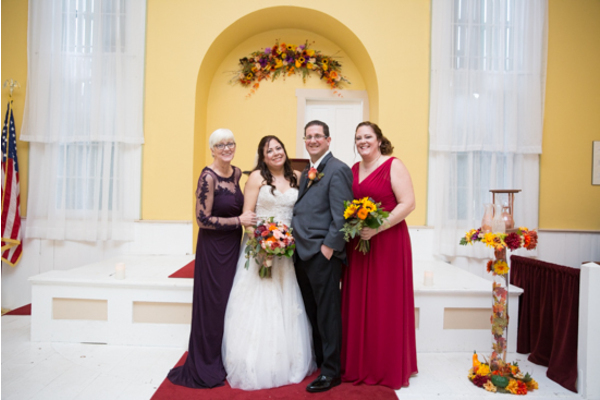 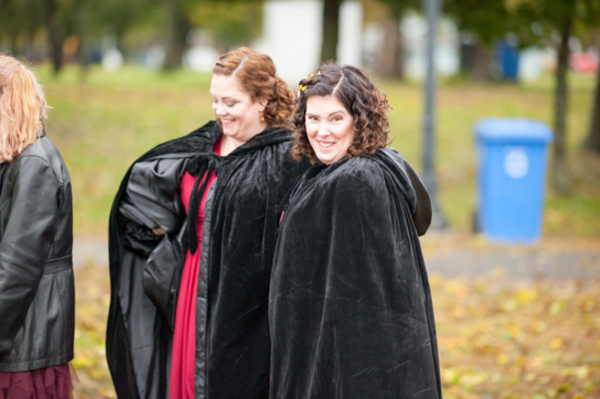 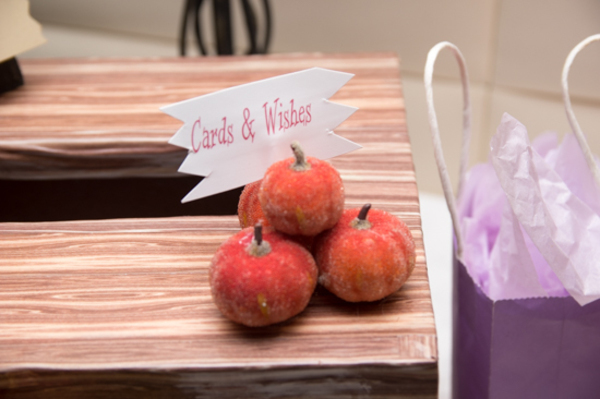 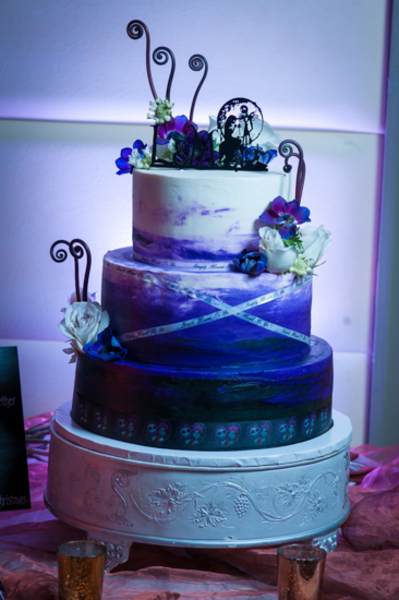 Congratulations to the lovely Leah and Michael on their recent fall marriage! 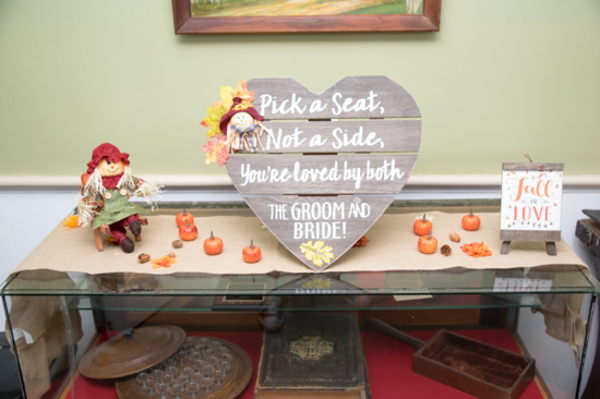 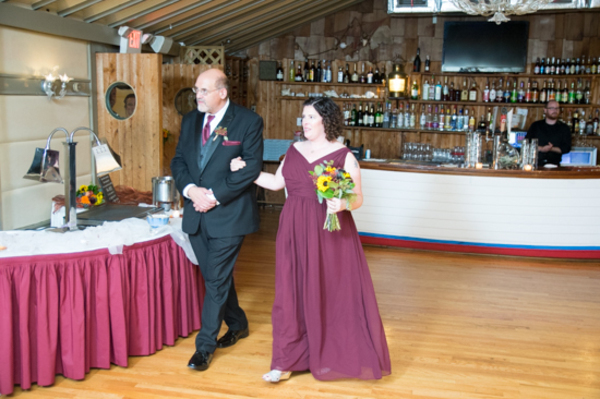 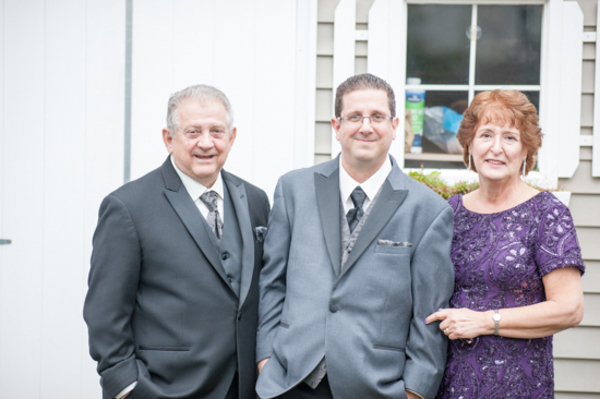 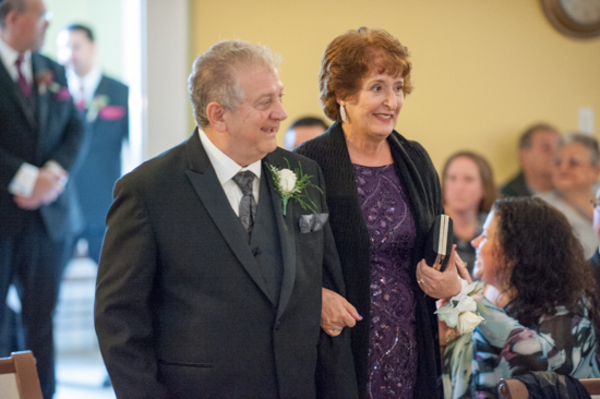 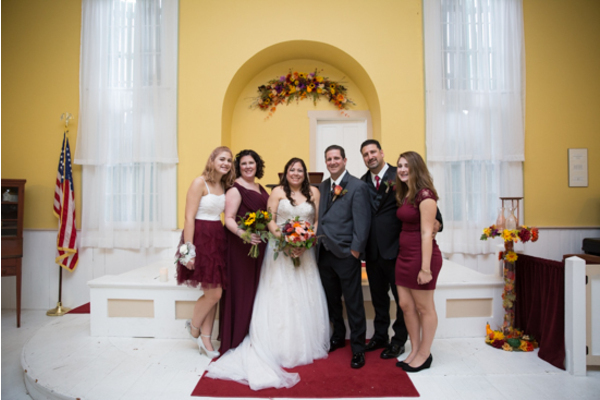 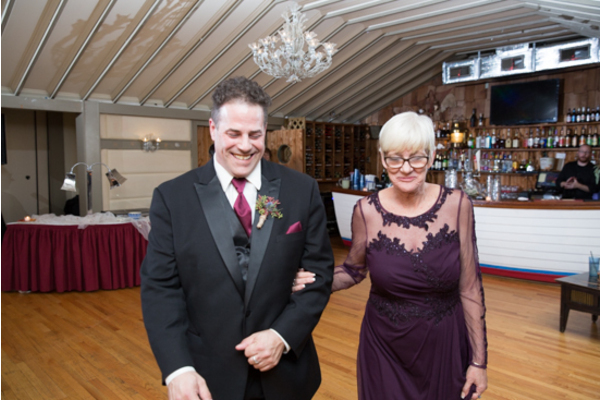 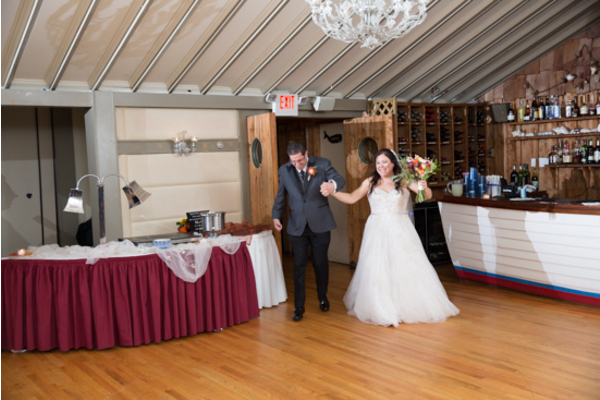 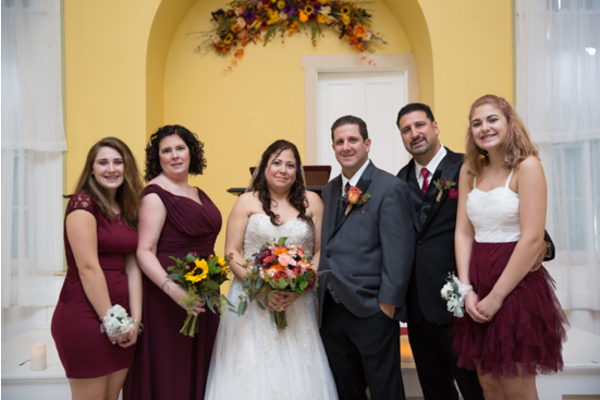 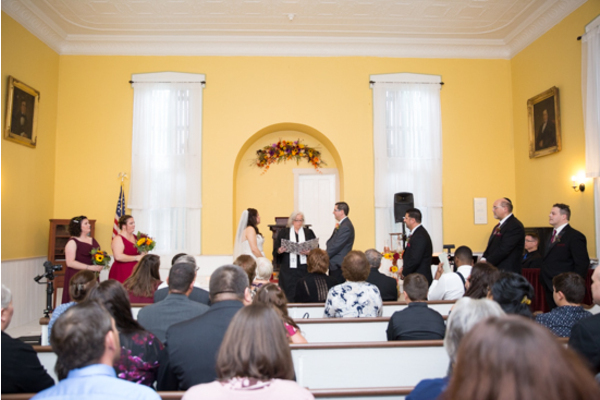 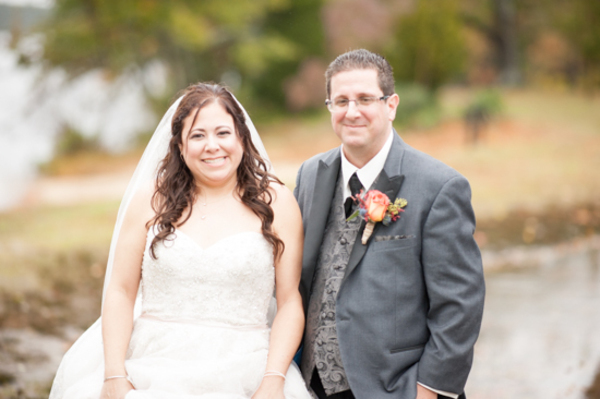 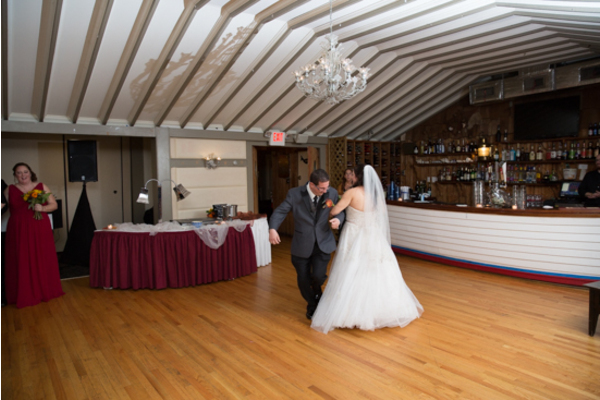 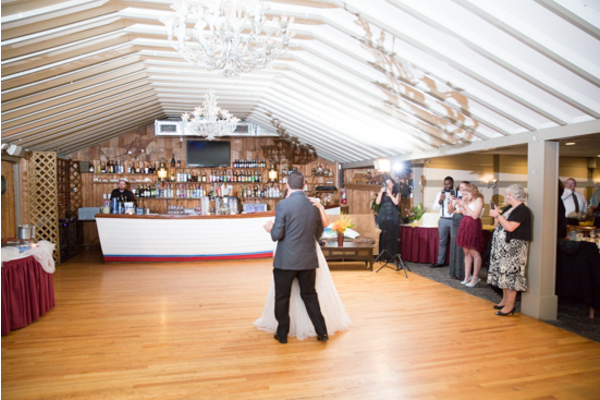 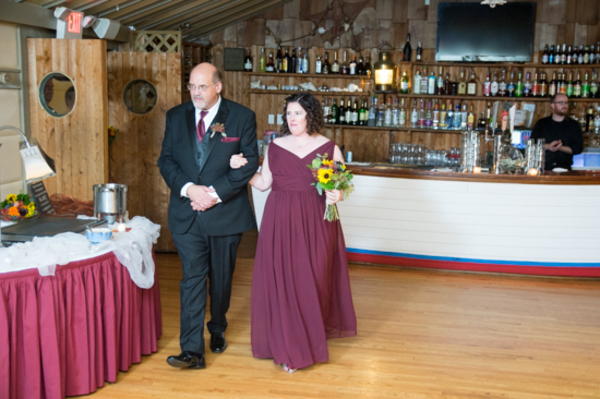 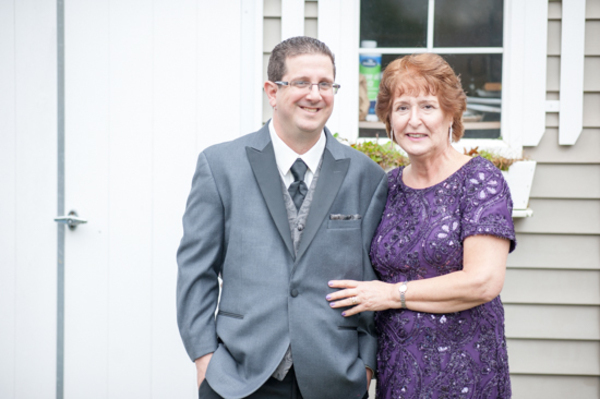 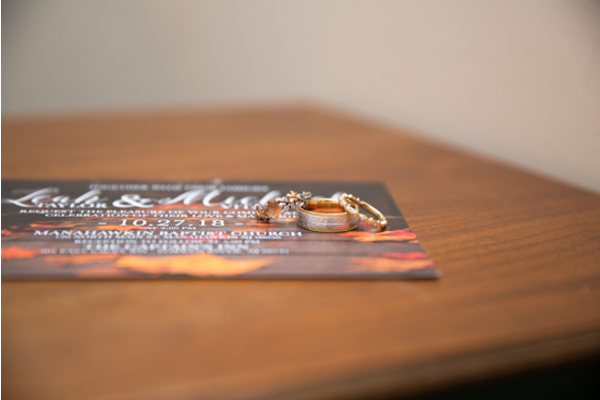 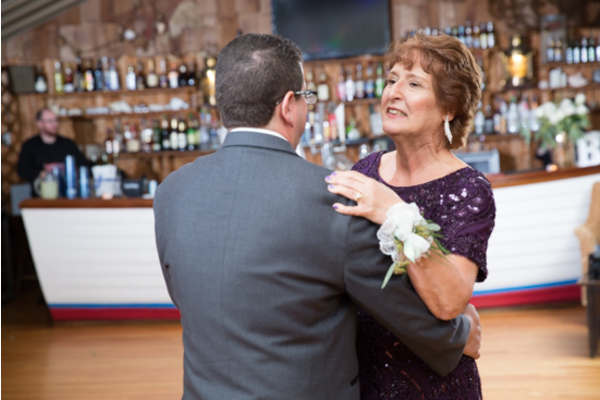 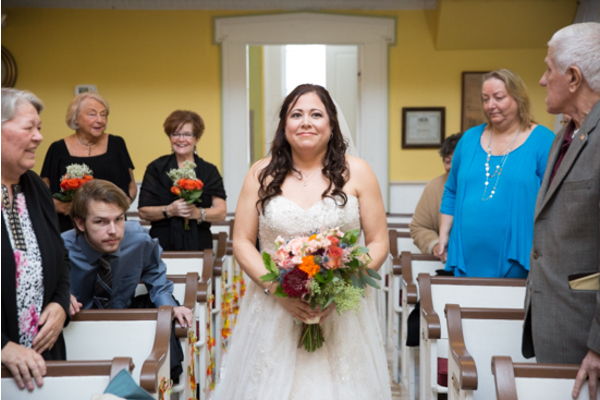 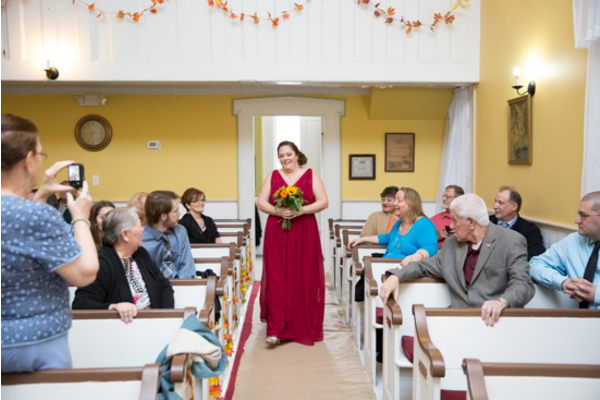 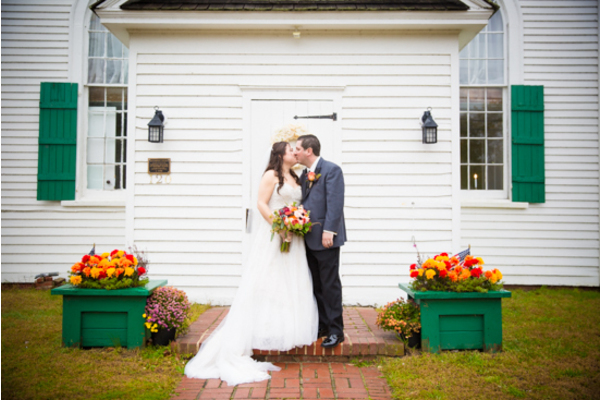 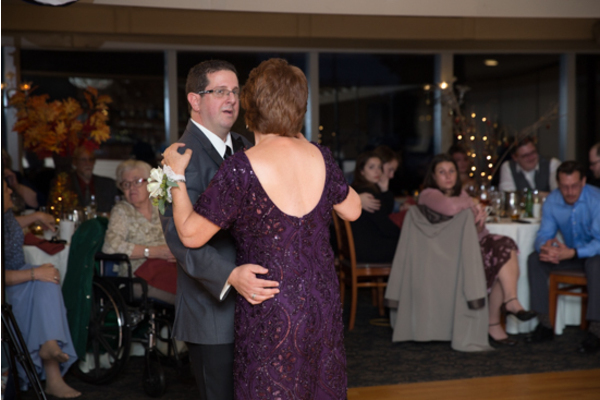 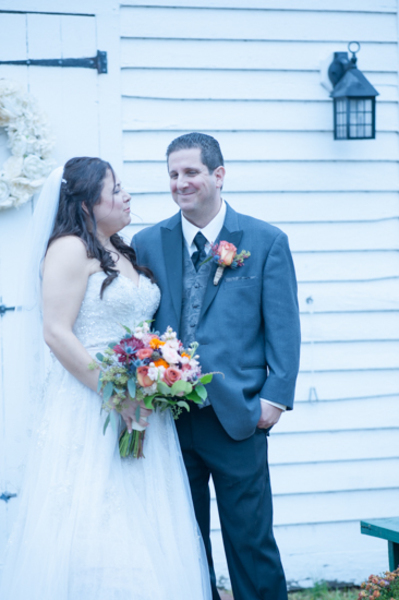 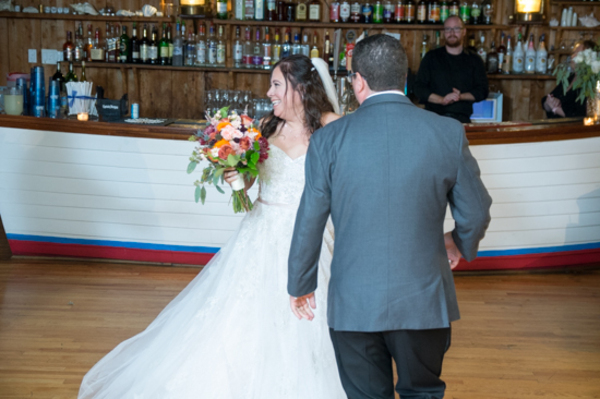 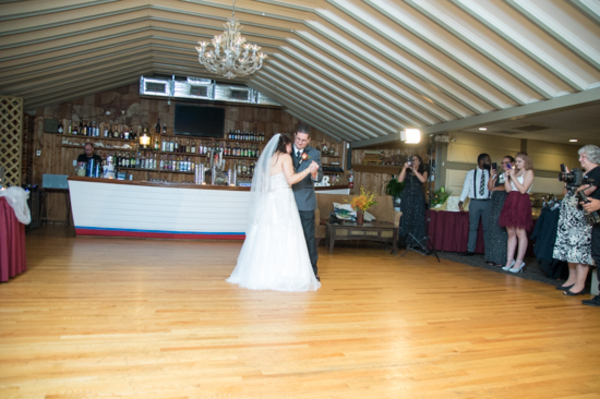 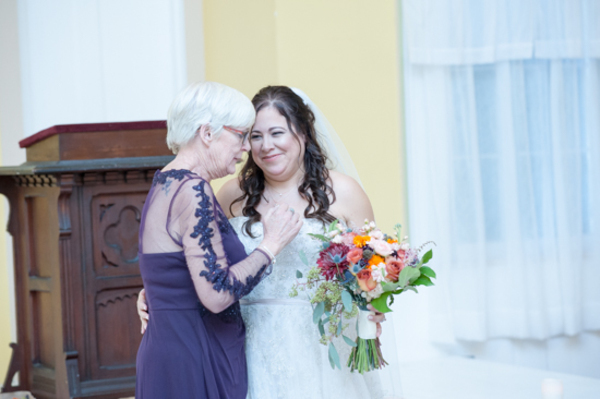 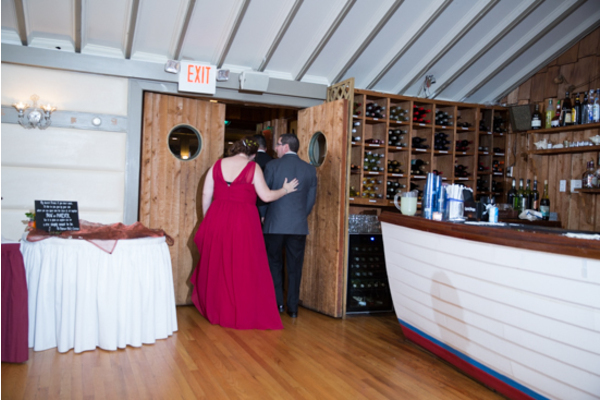 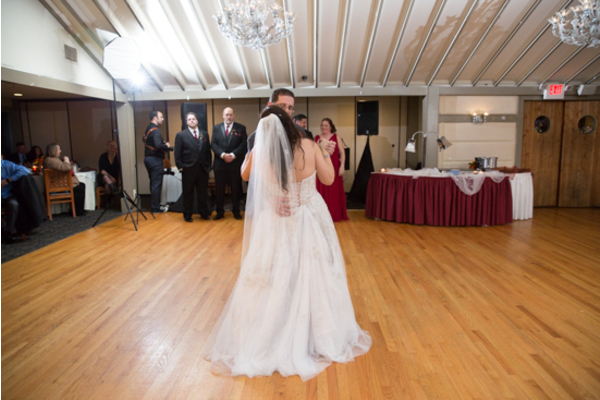 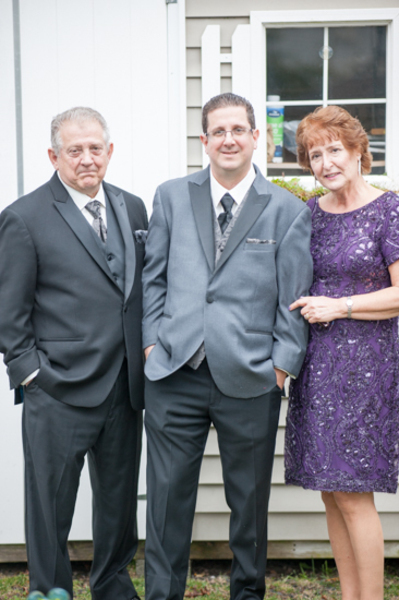 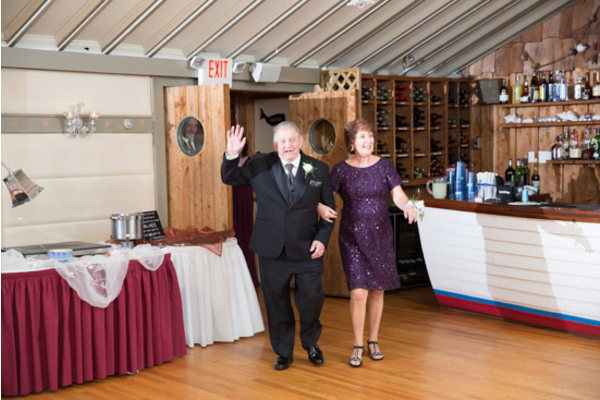 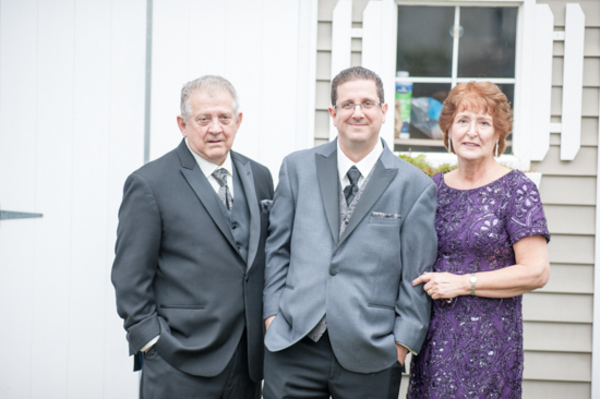 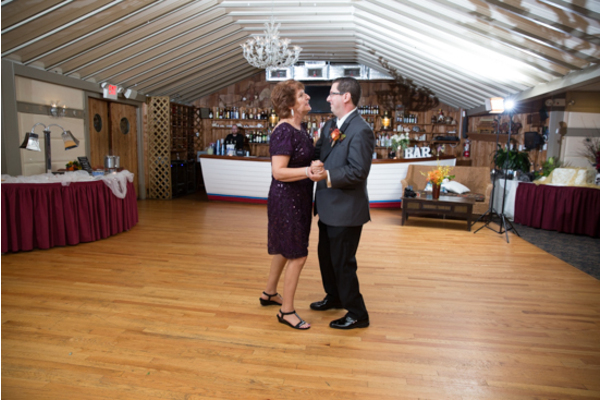 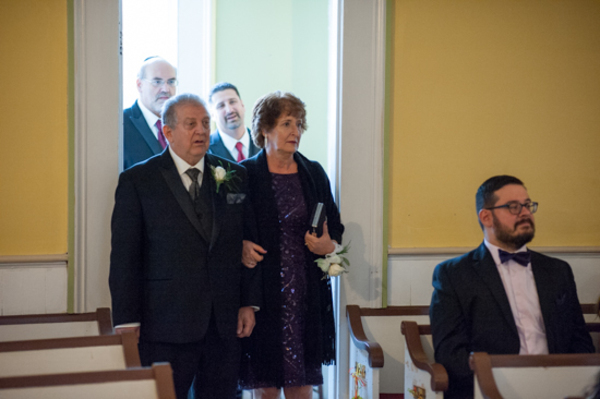 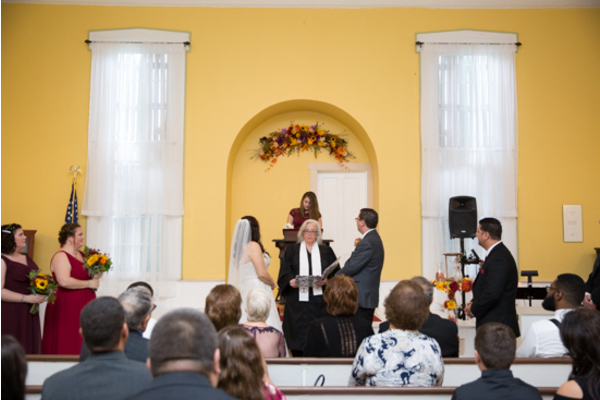 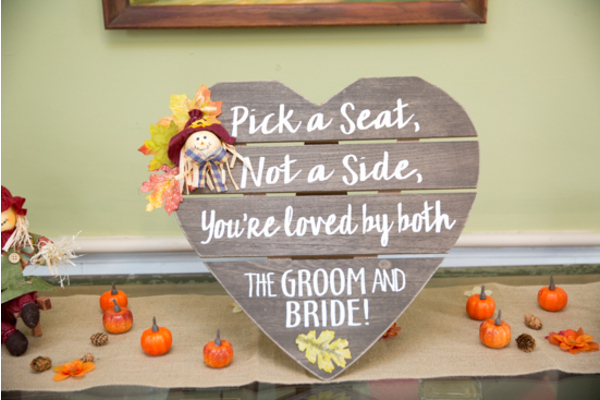 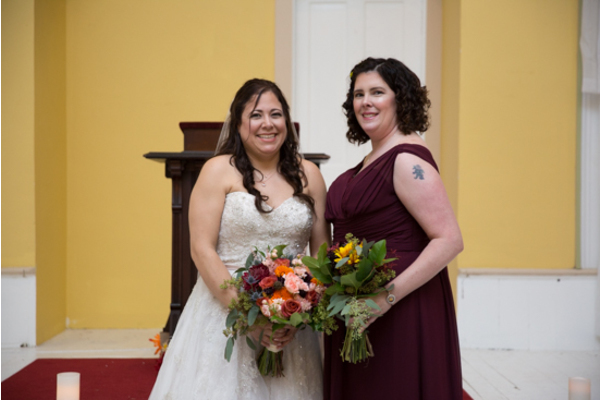 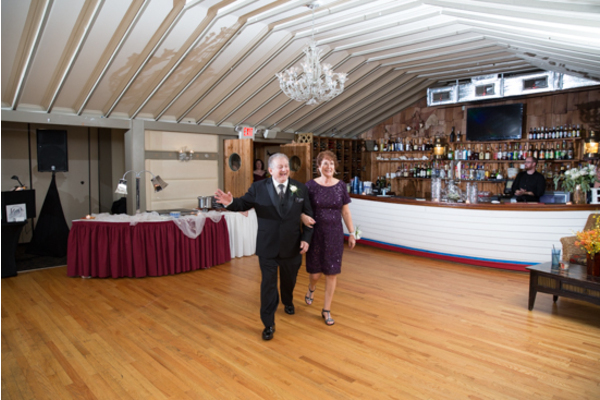 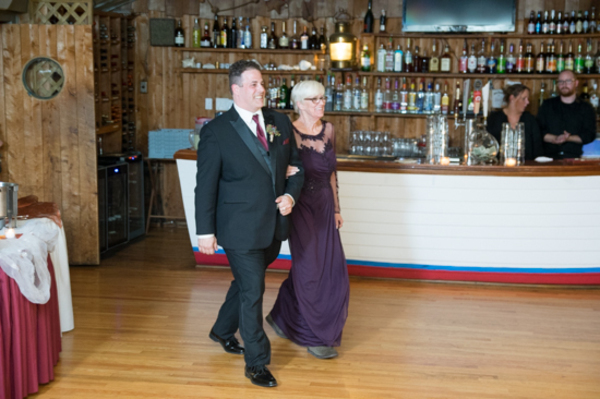 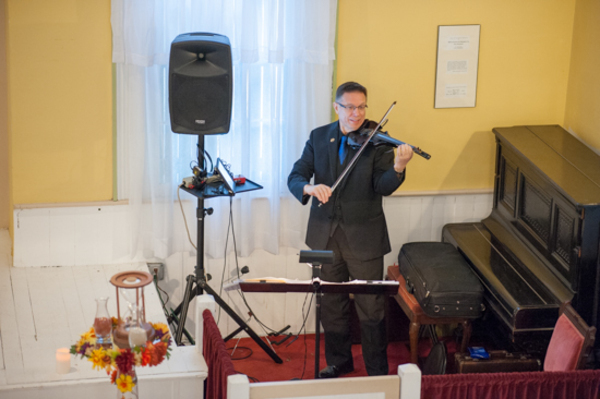 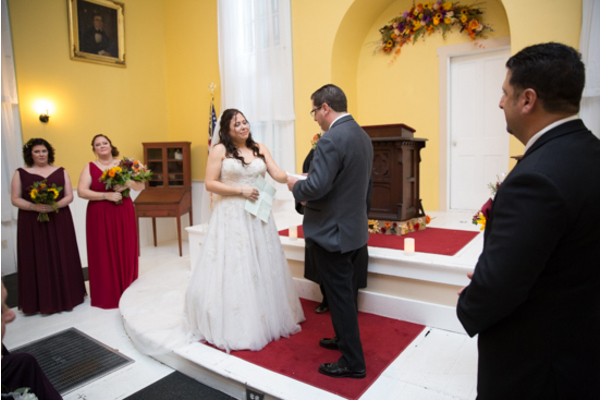 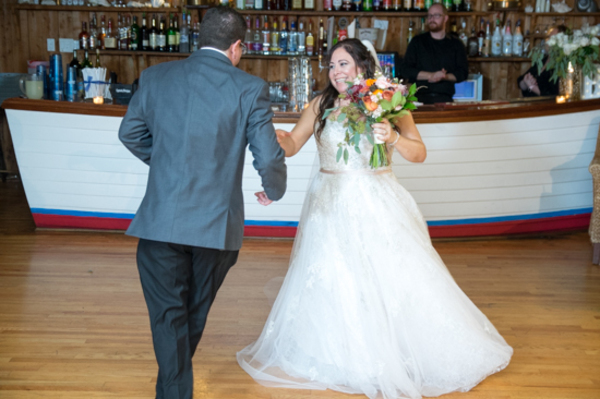 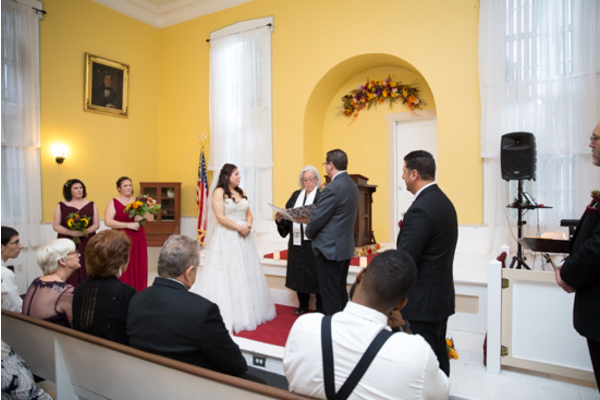 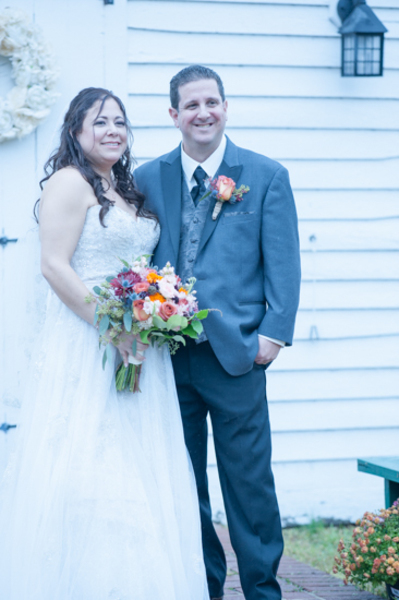 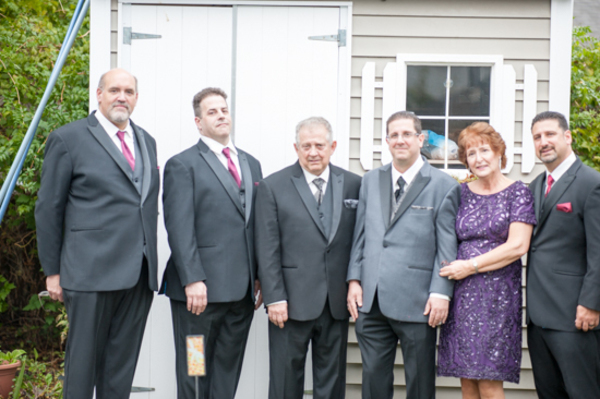 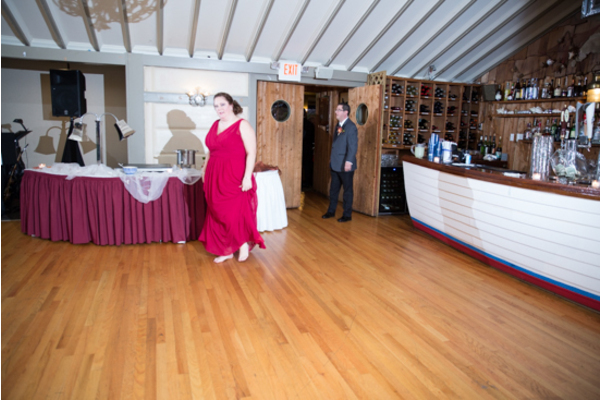 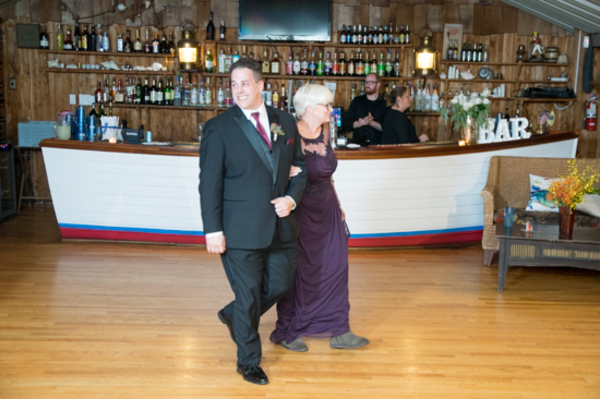 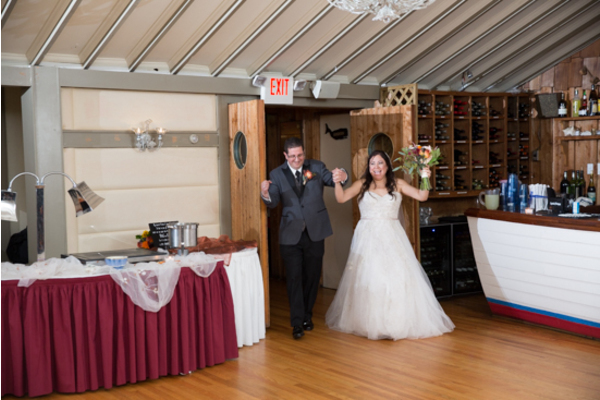 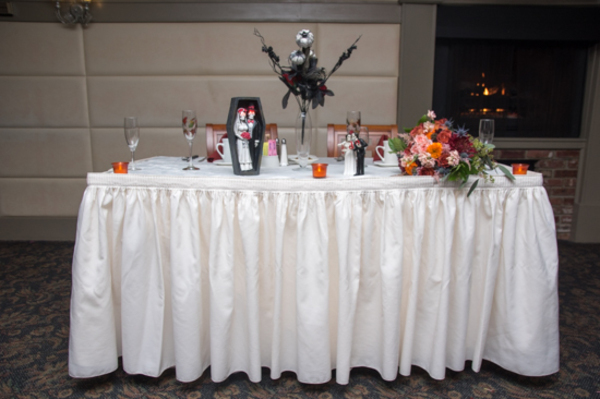 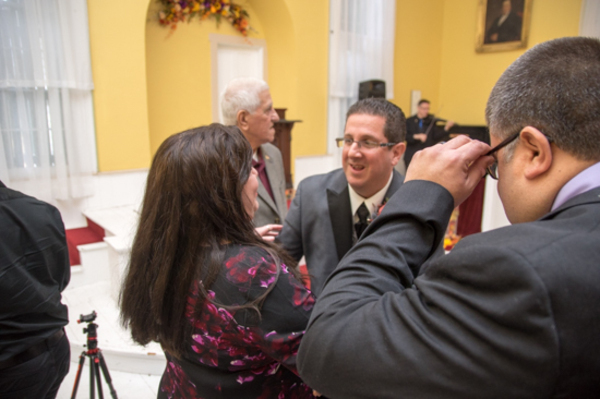 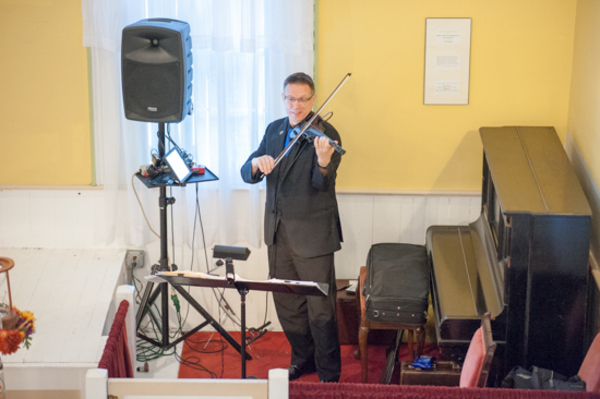 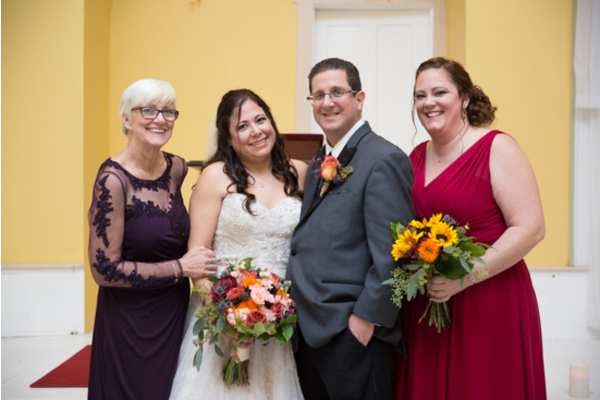 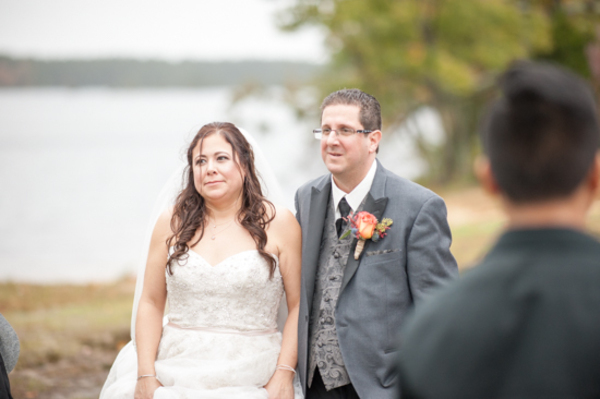 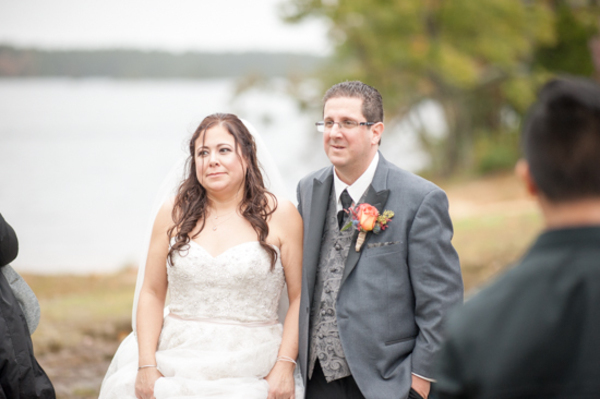 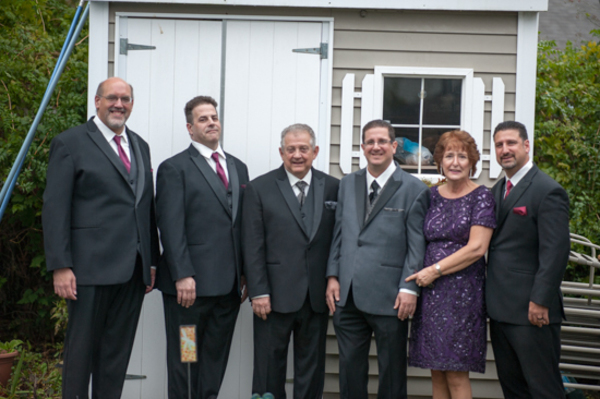 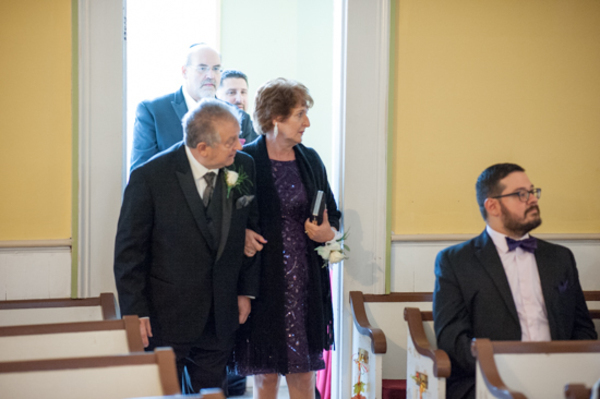 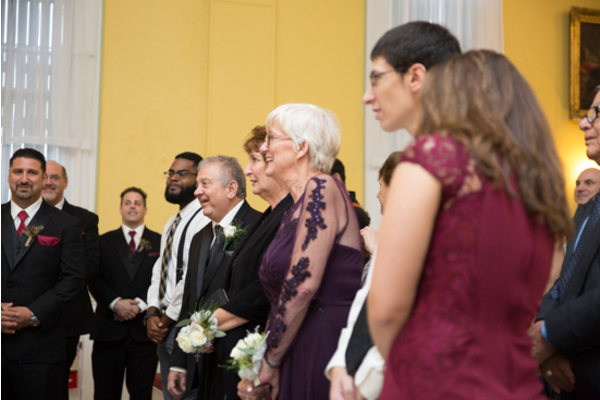 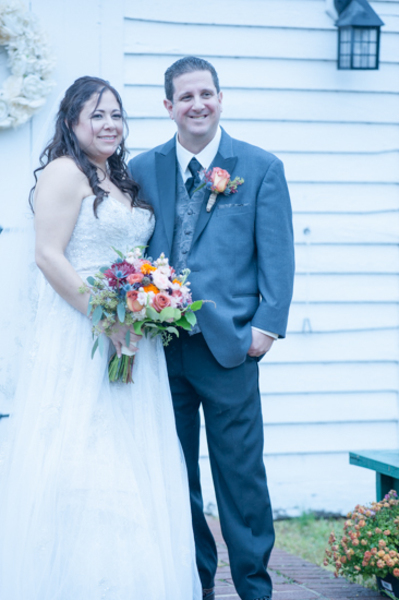 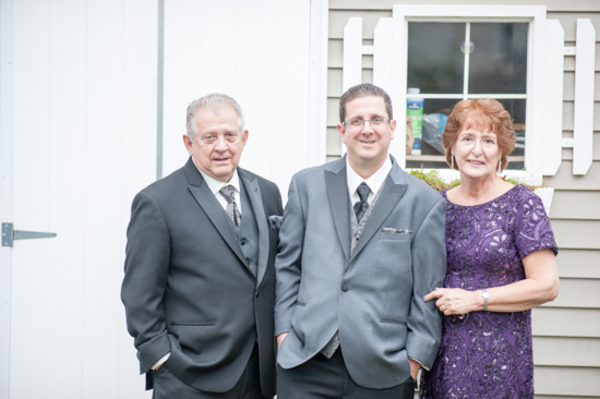 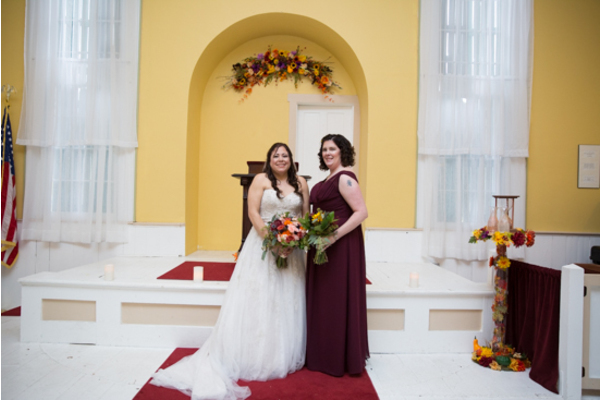 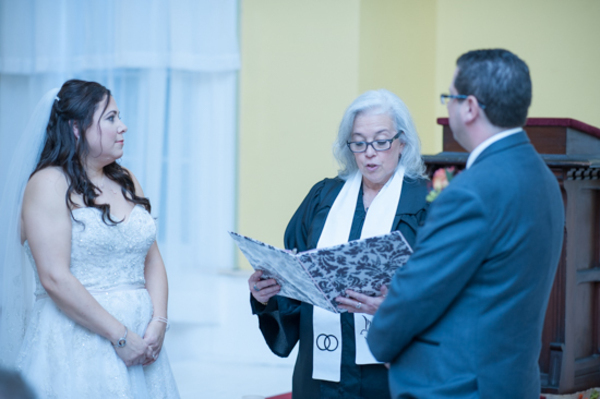 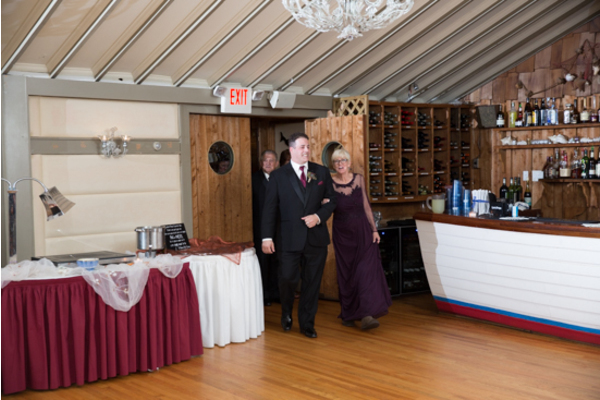 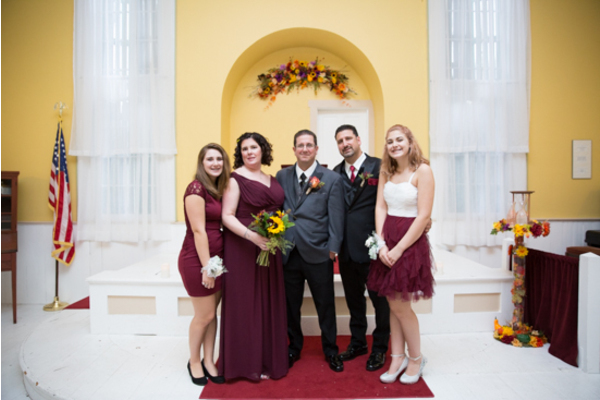 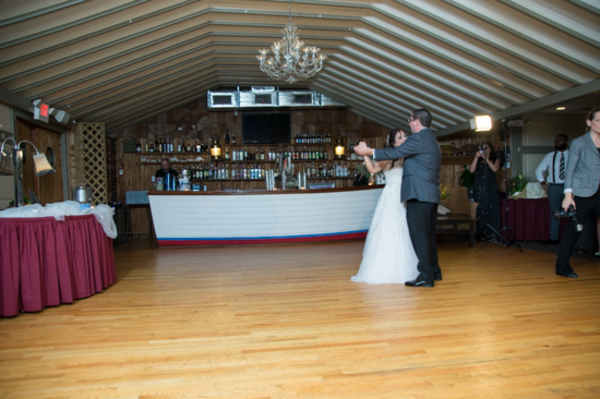 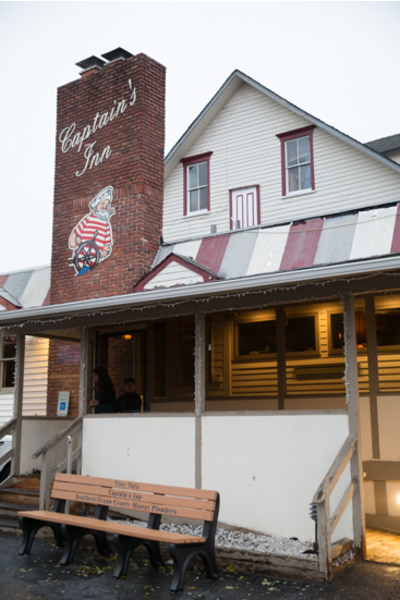 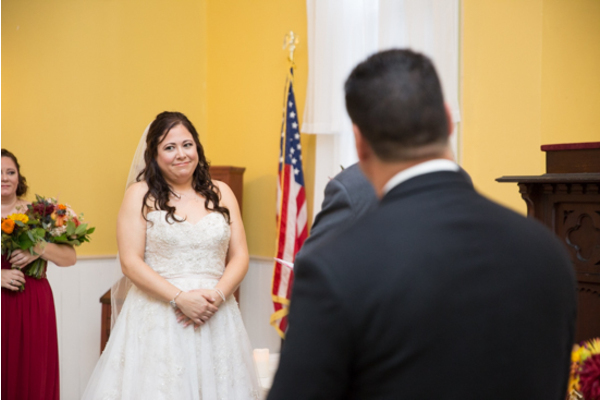 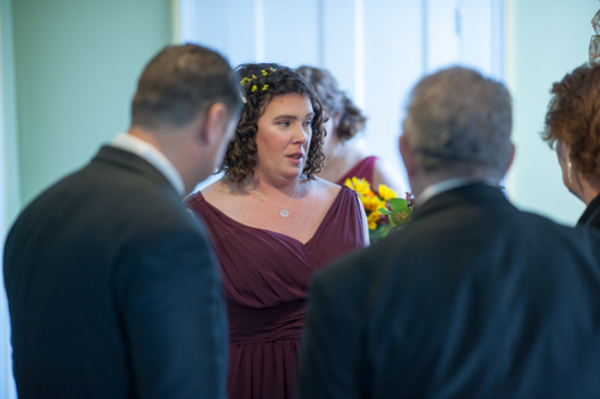 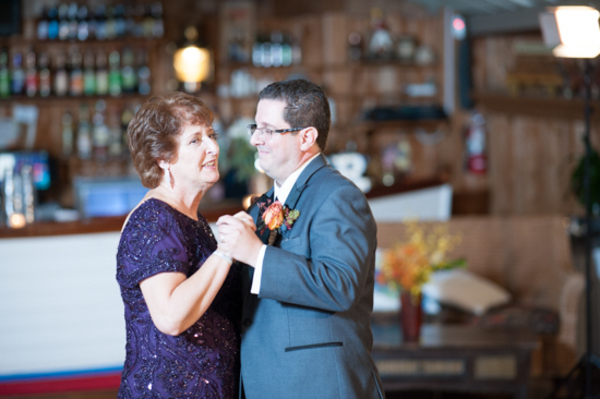 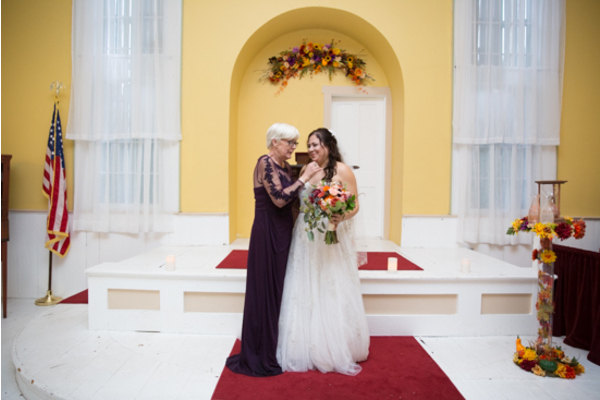 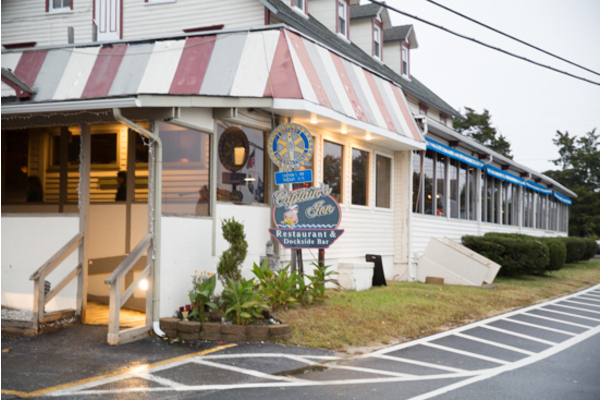 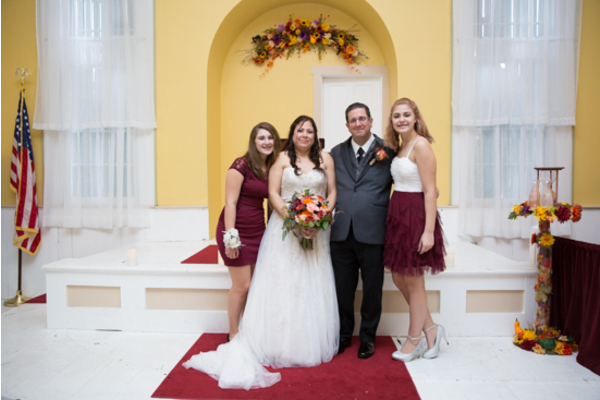 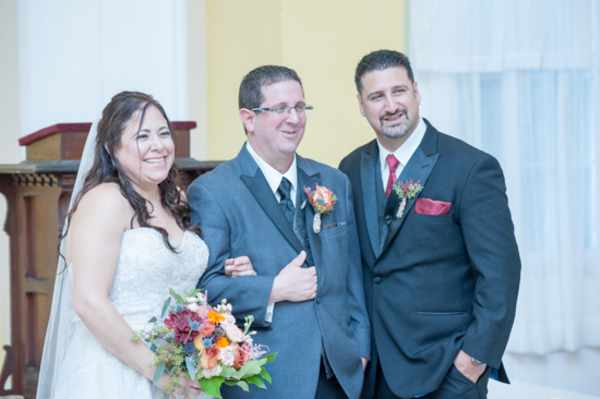 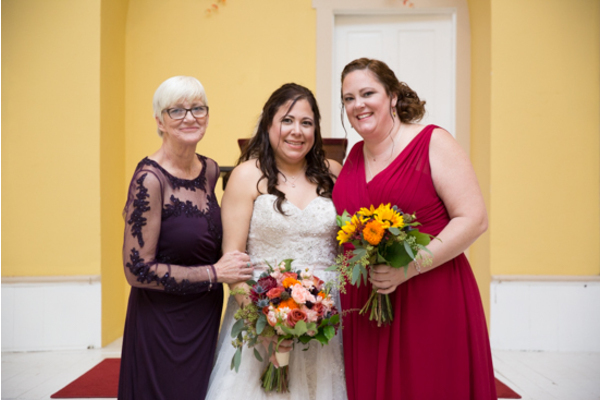 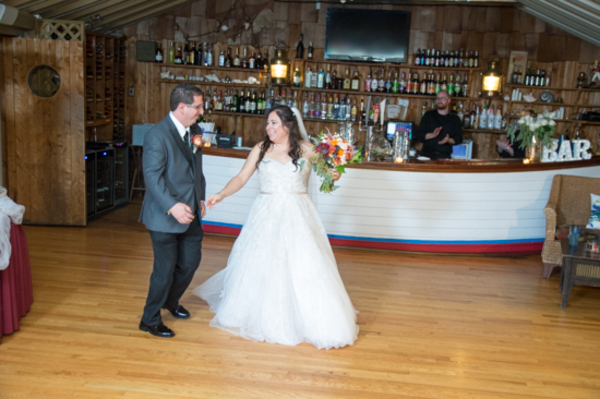 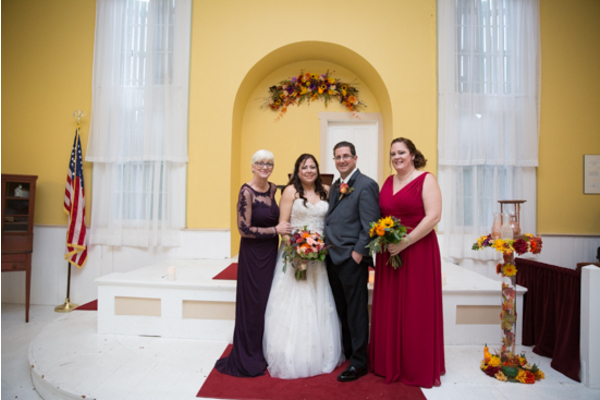 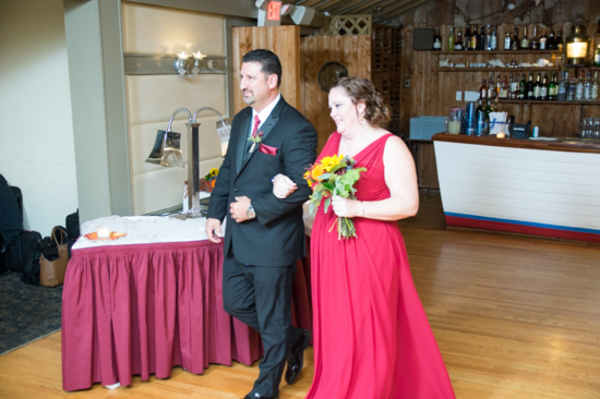 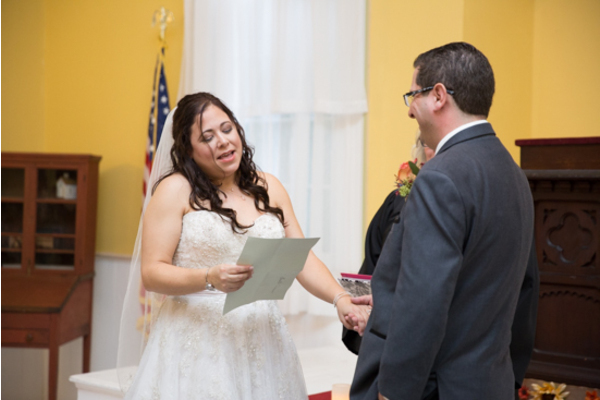 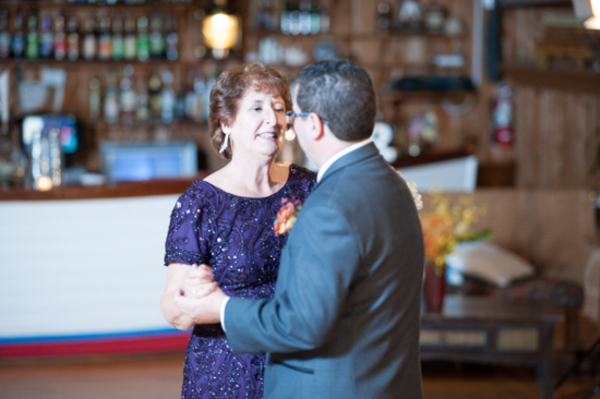 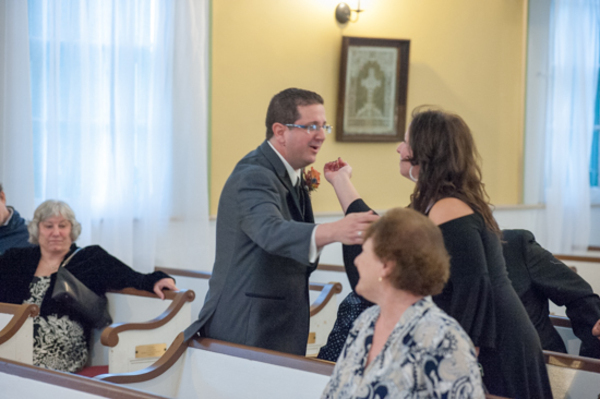 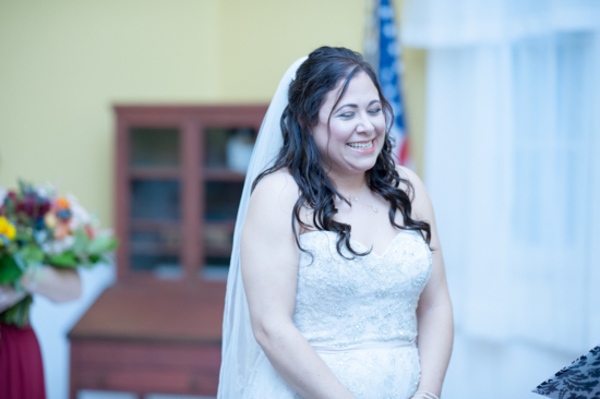 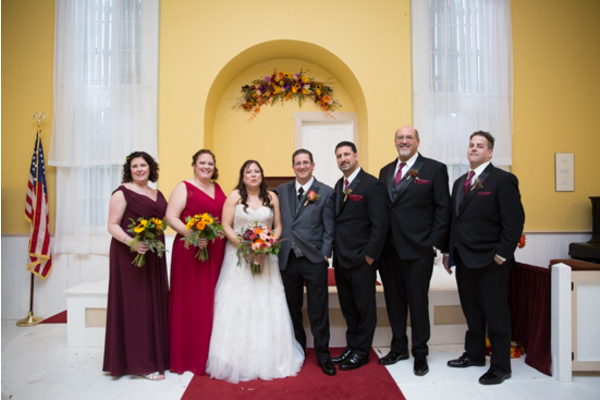 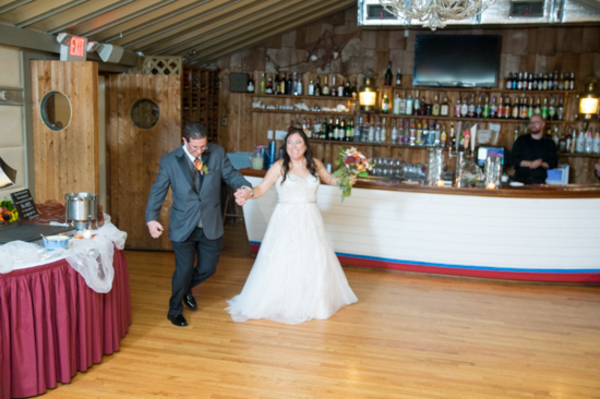 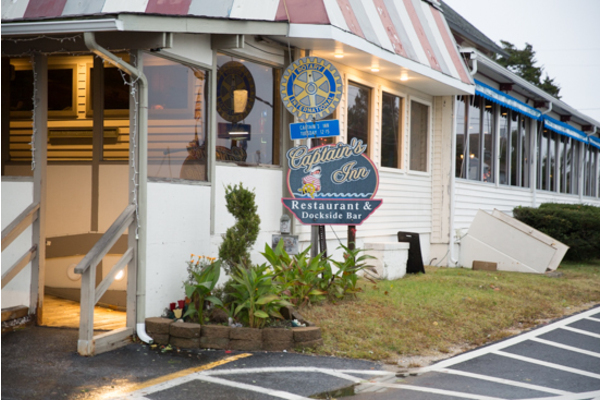 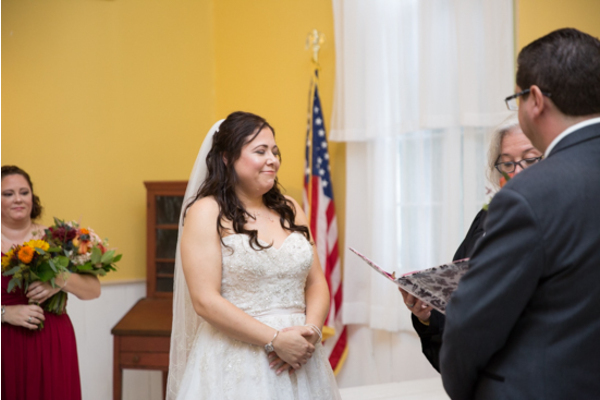 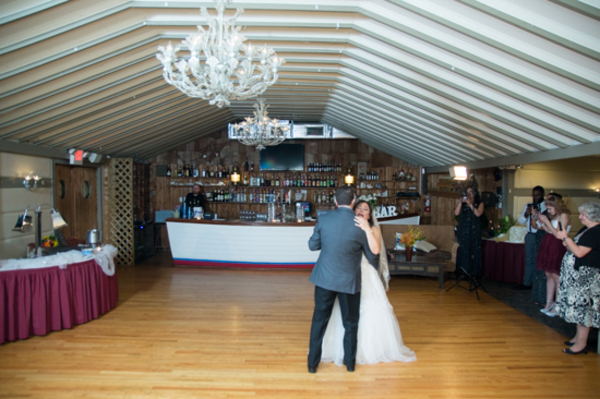 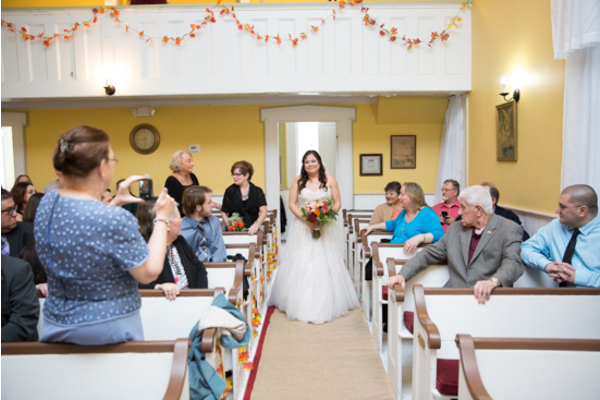 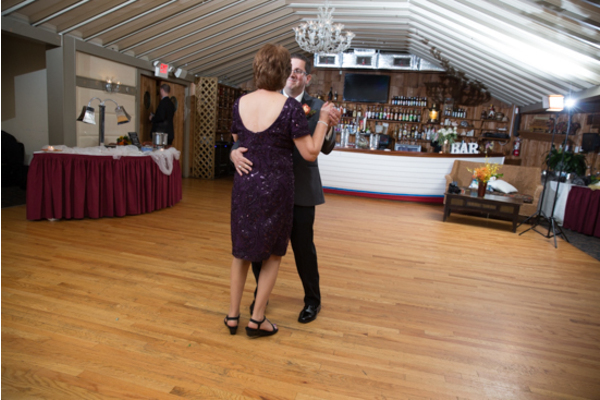 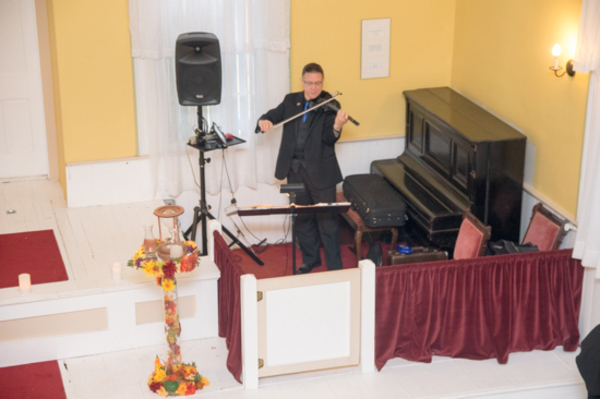 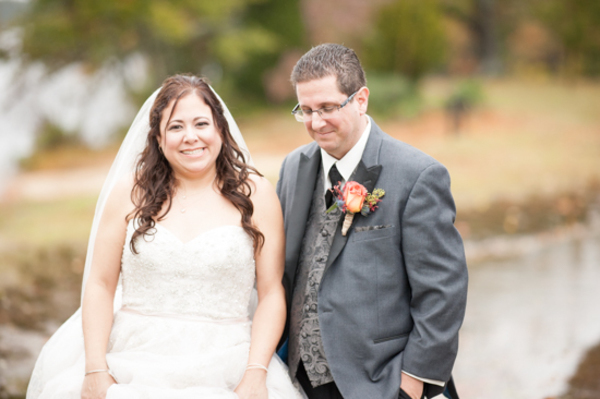 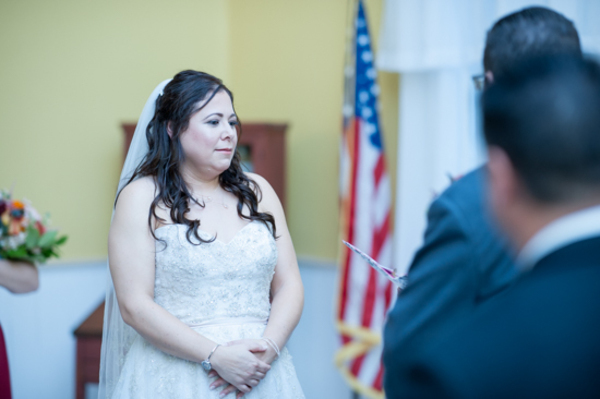 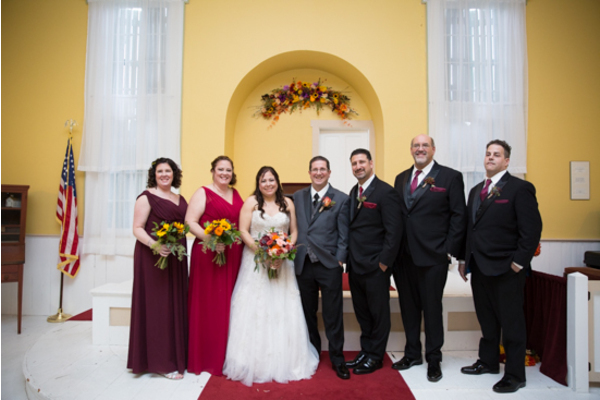 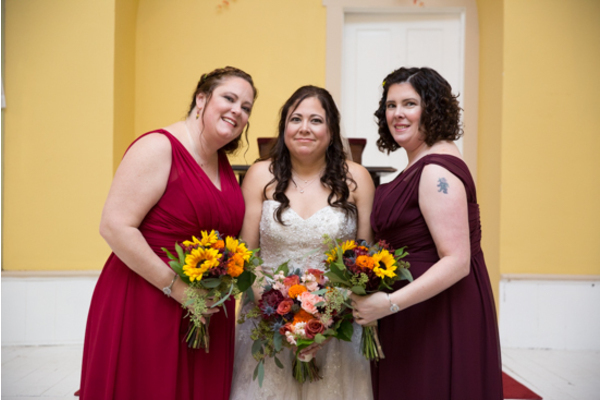 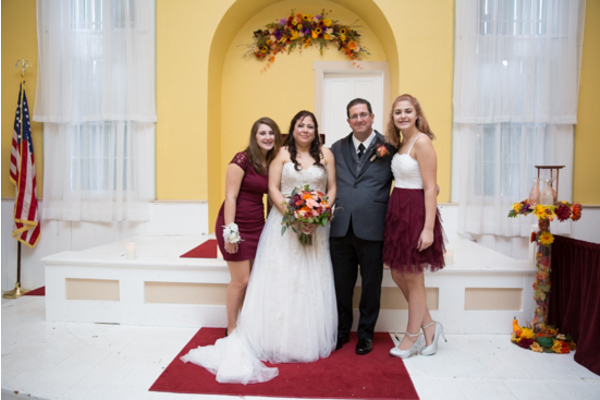 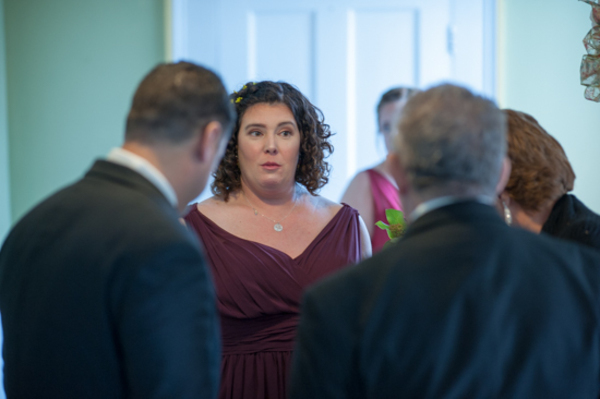 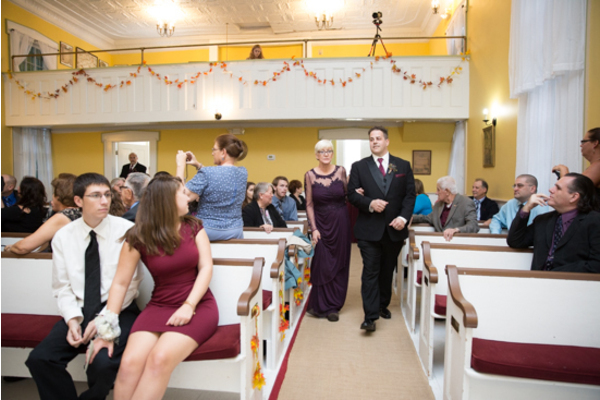 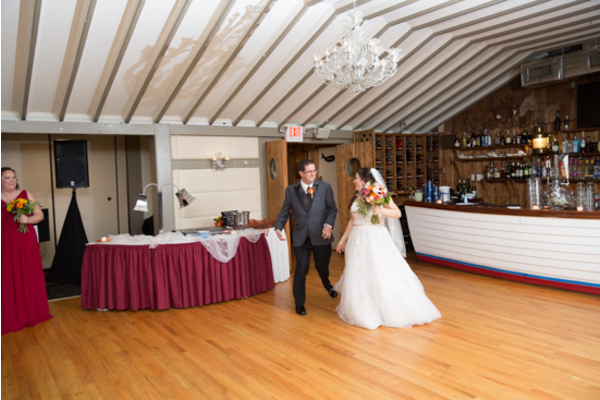 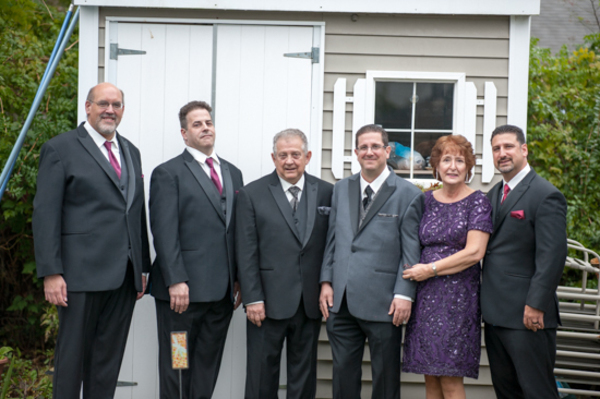 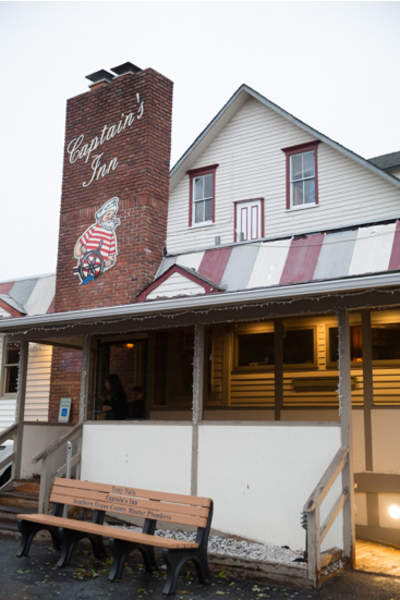 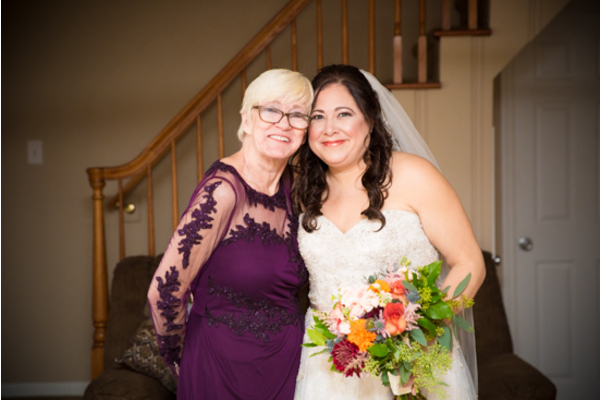 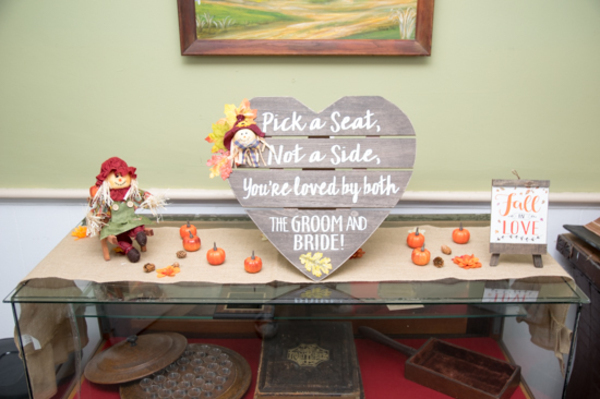 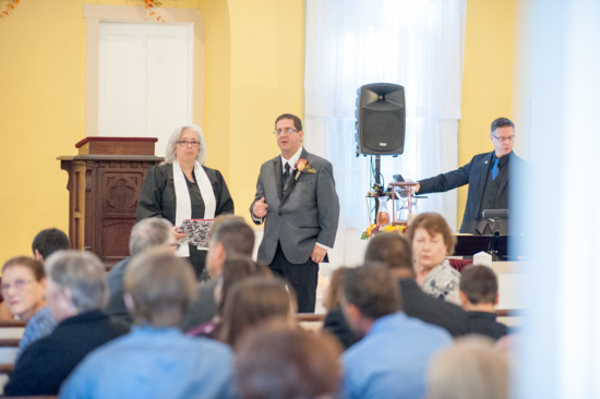 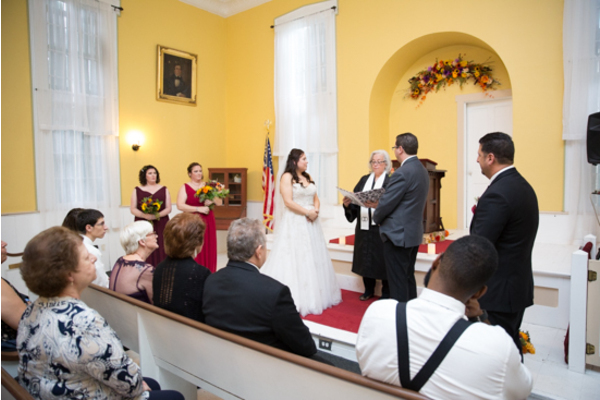 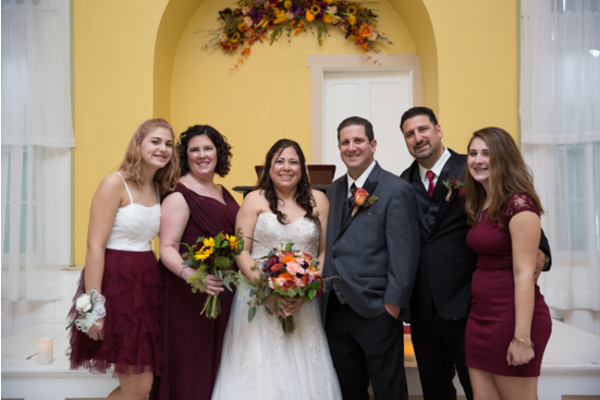 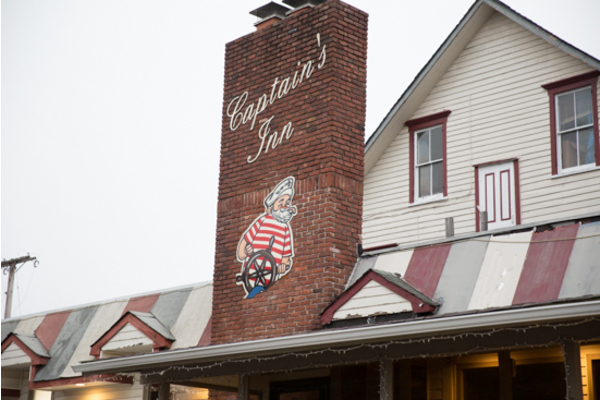 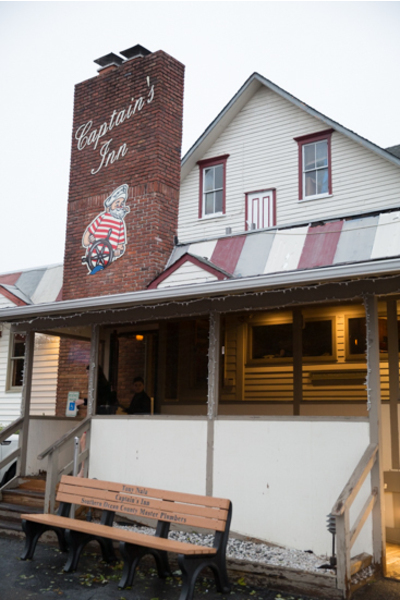 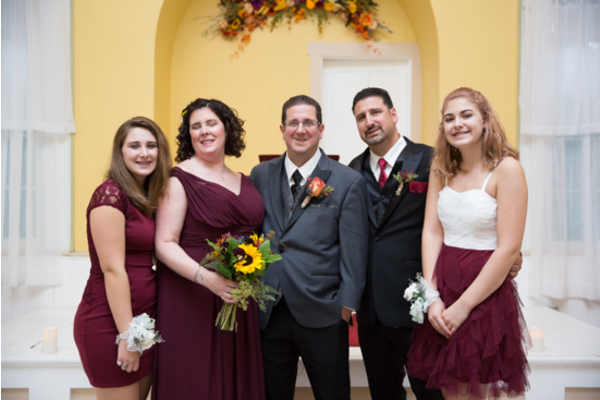 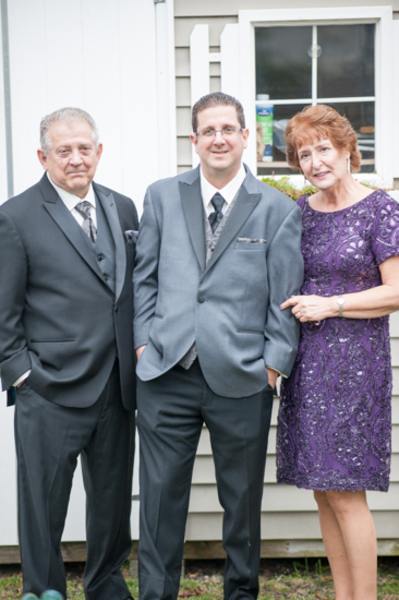 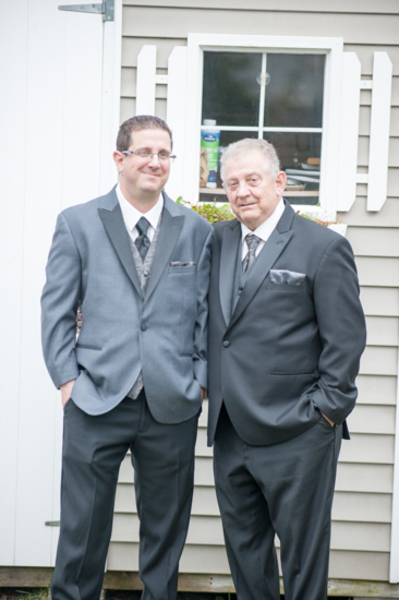 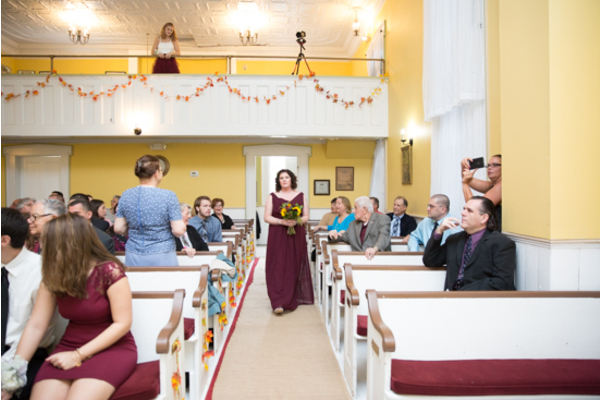 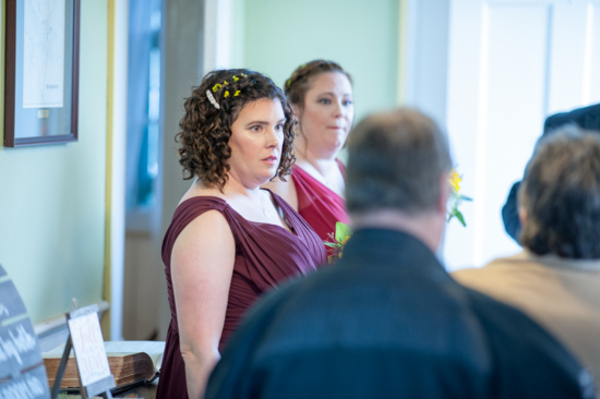 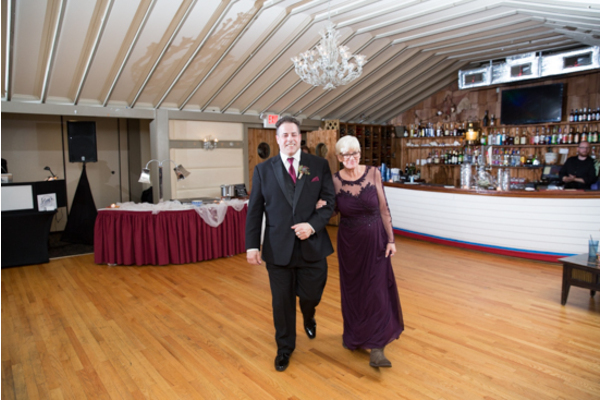 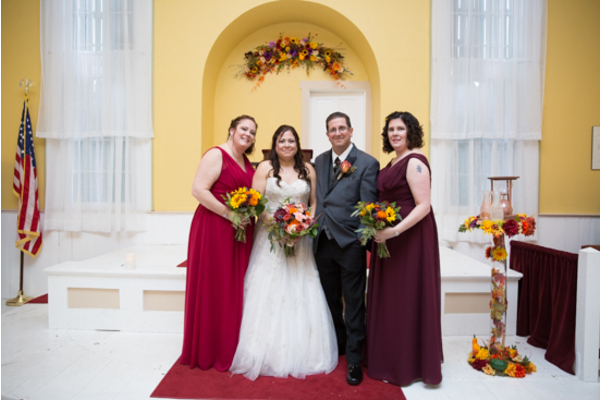 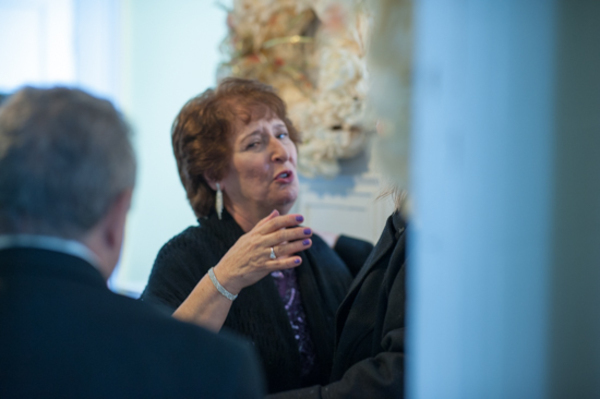 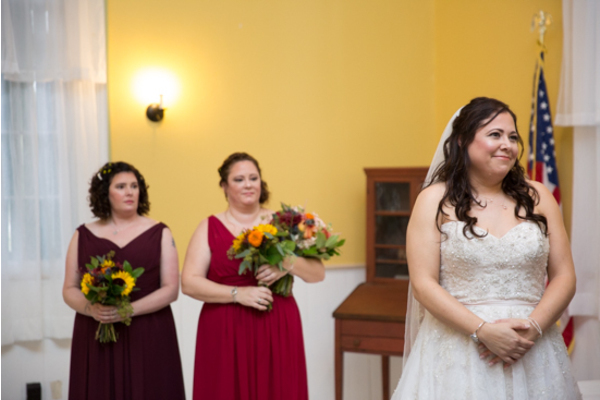 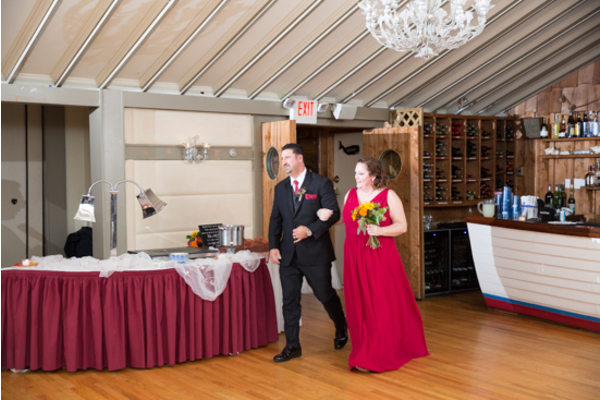 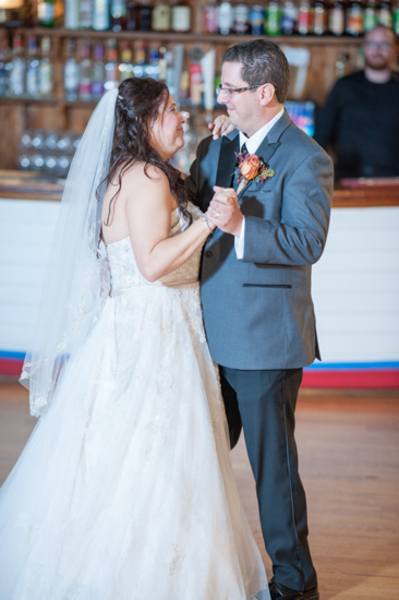 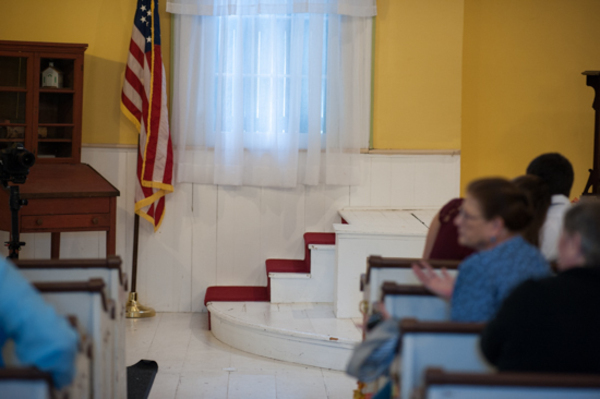 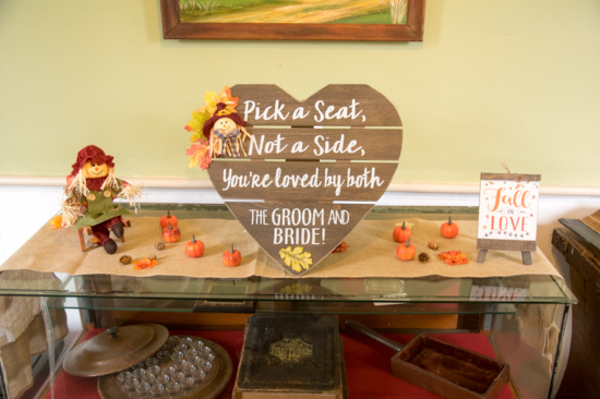 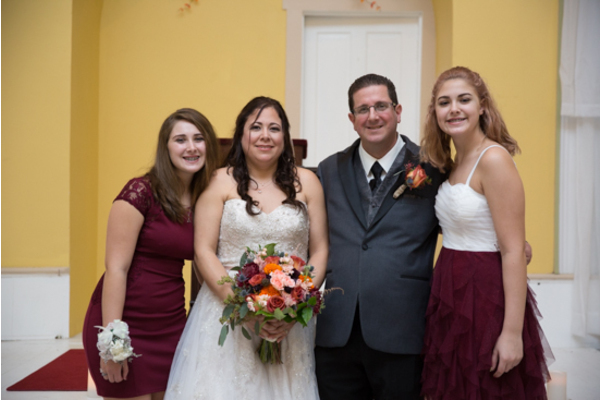 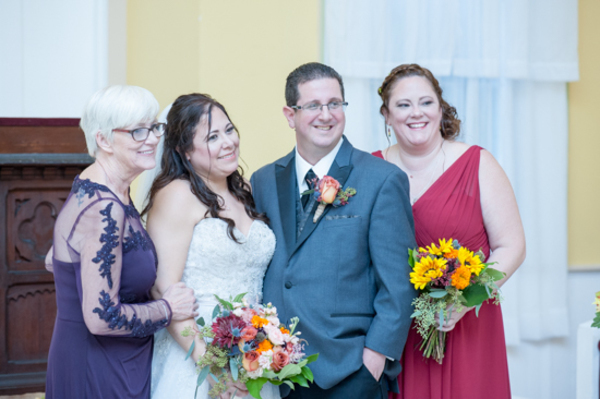 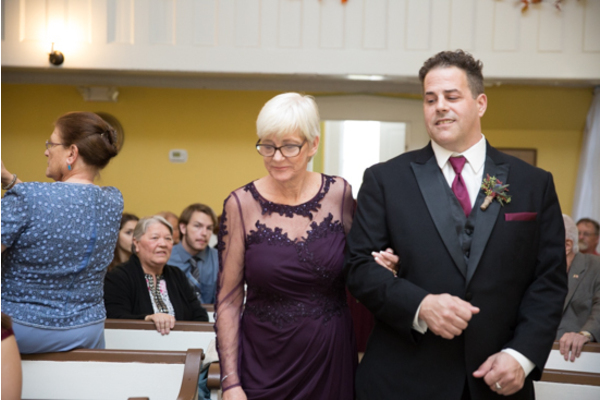 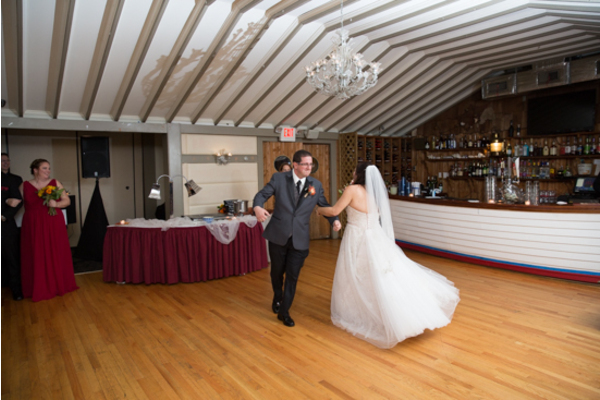 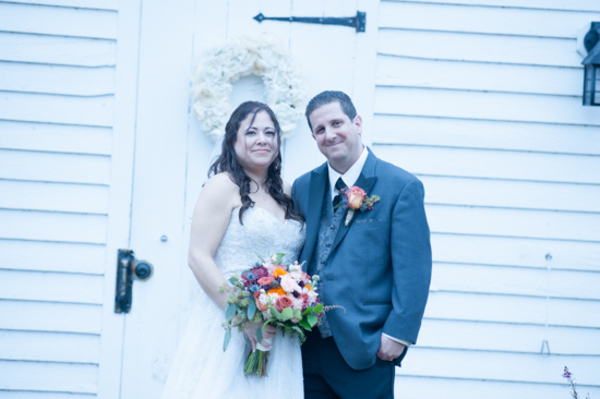 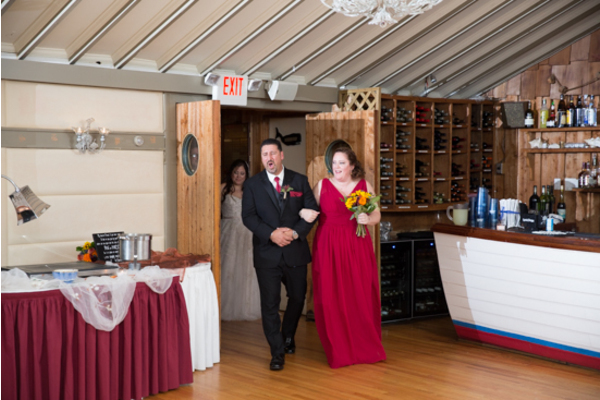 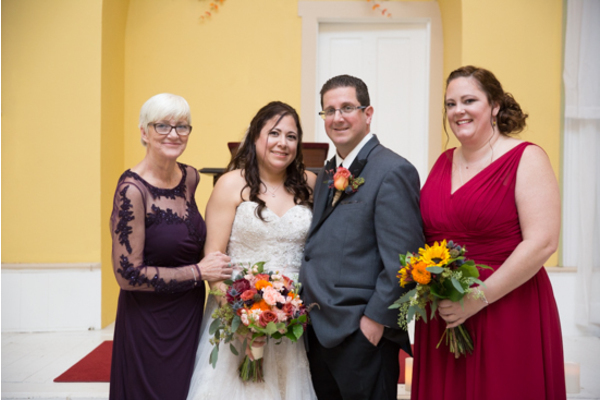 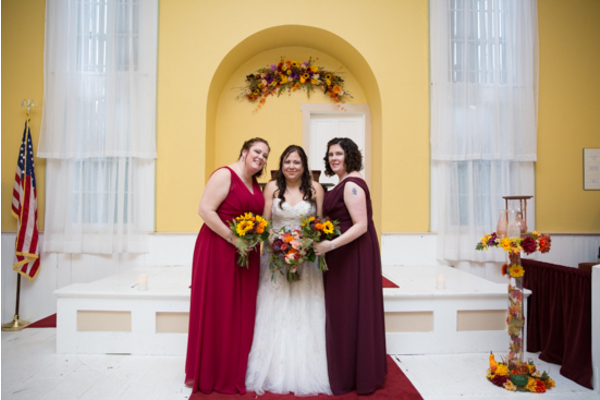 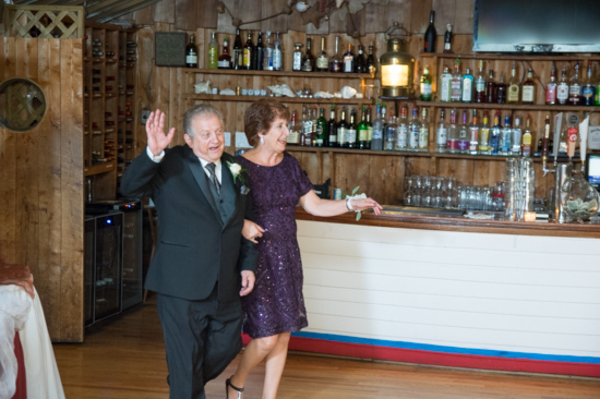 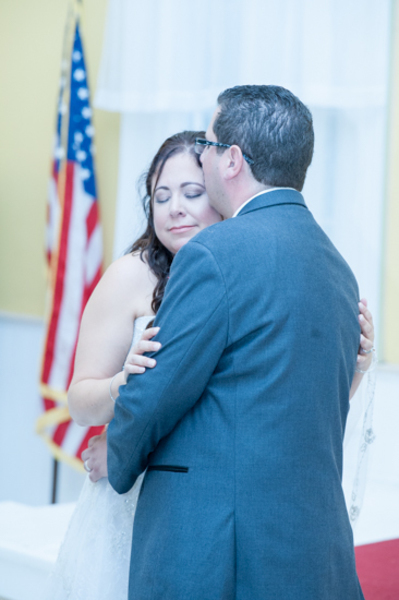 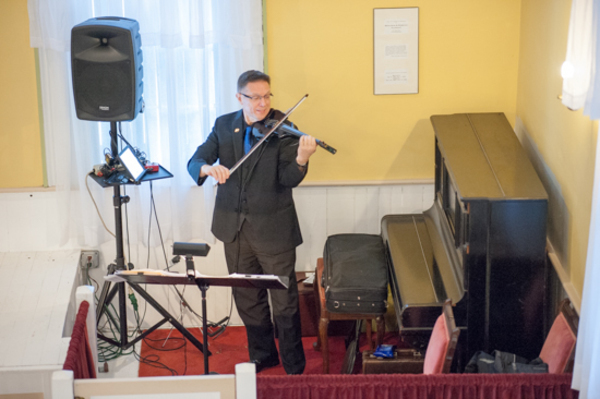 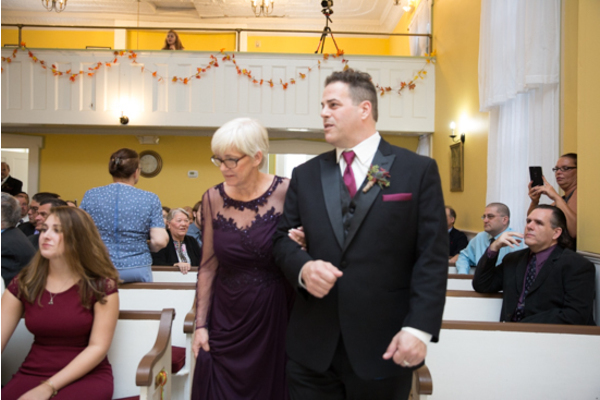 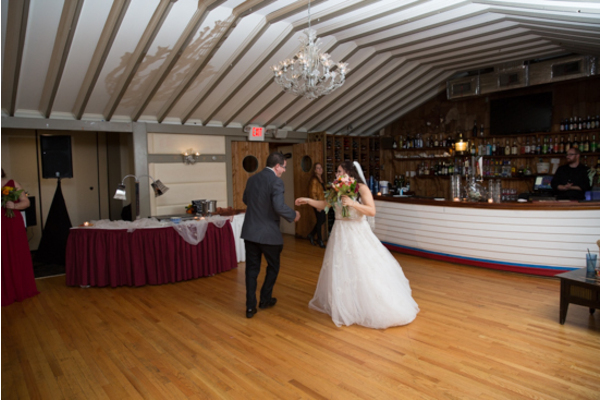 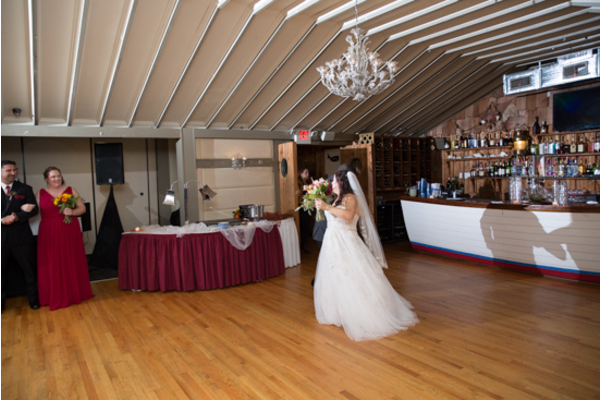 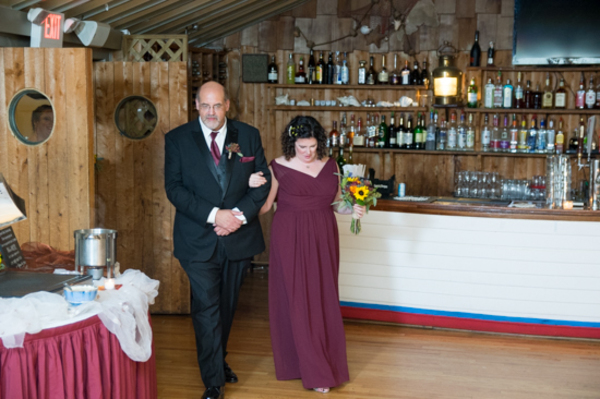 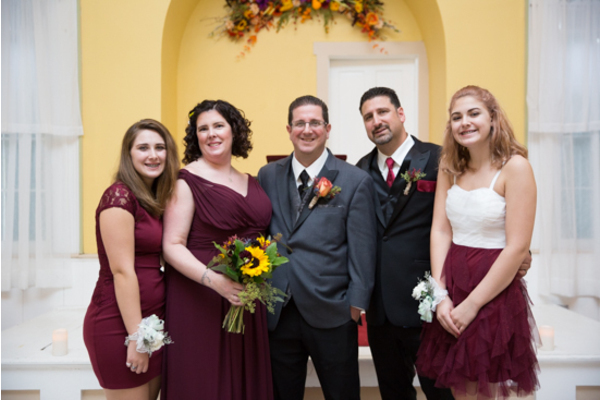 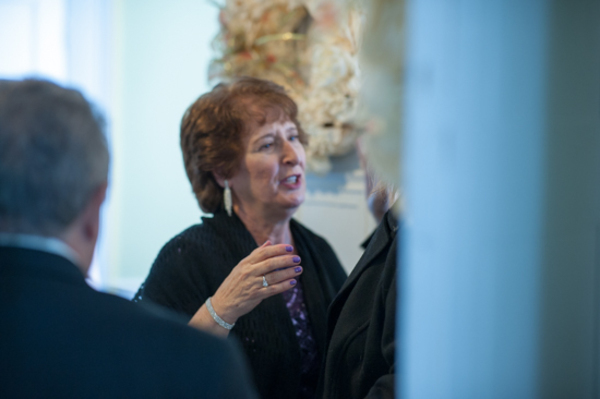 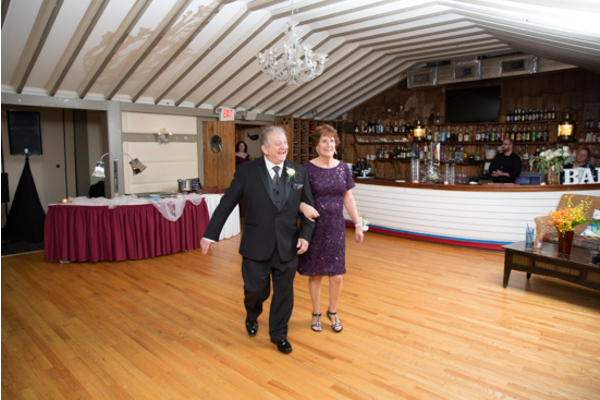 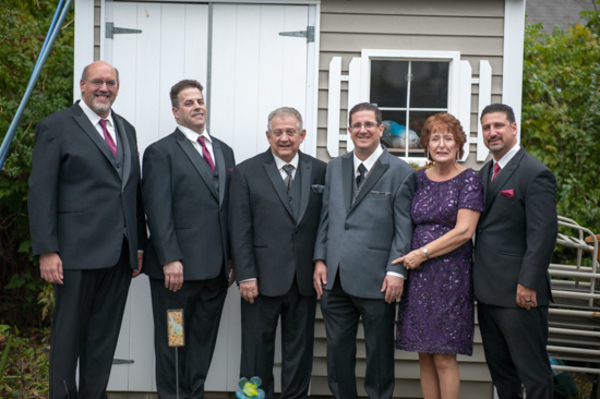 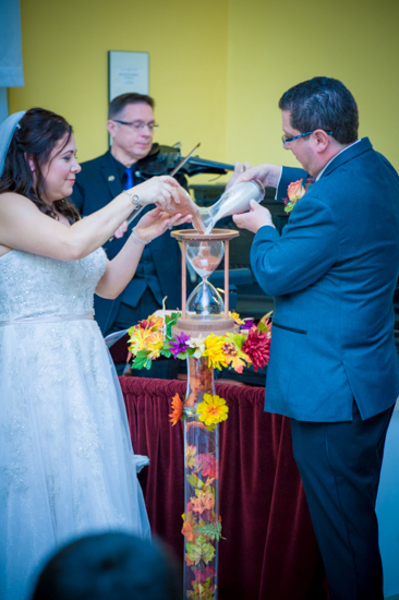 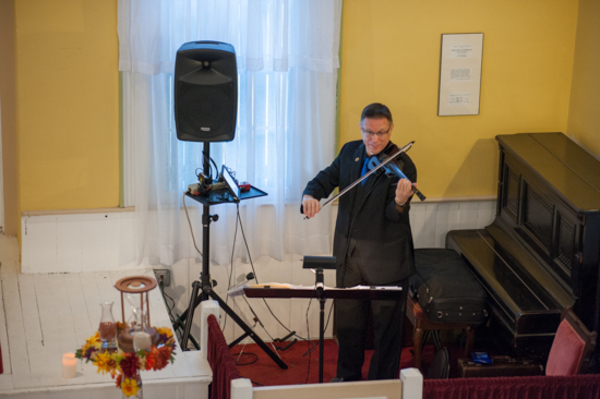 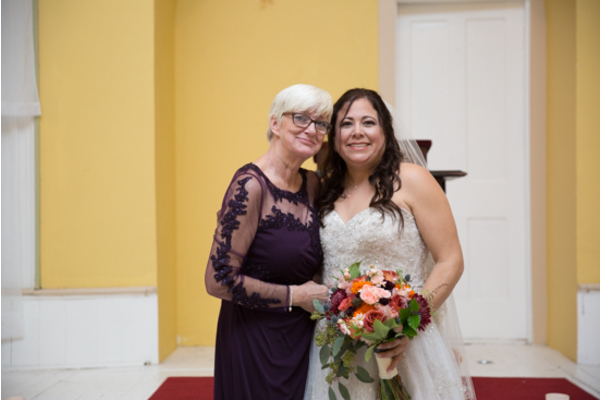 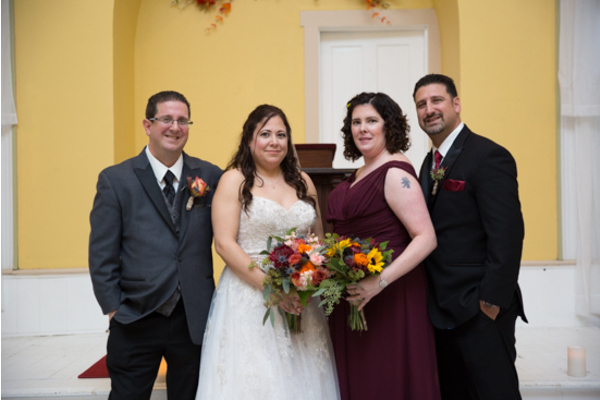 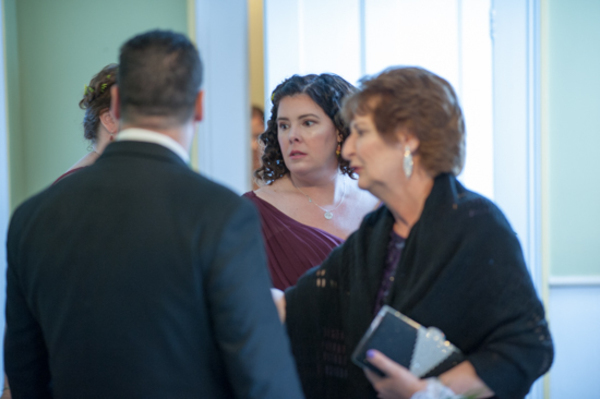 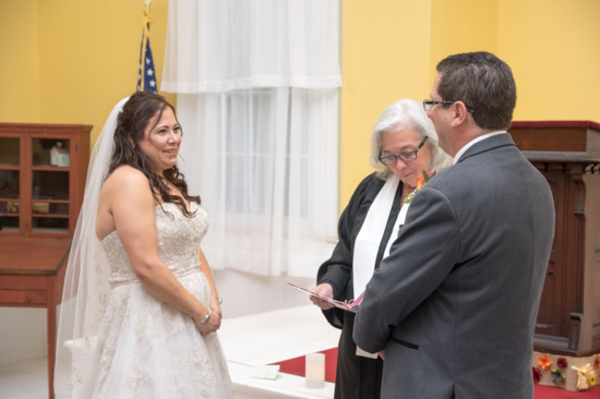 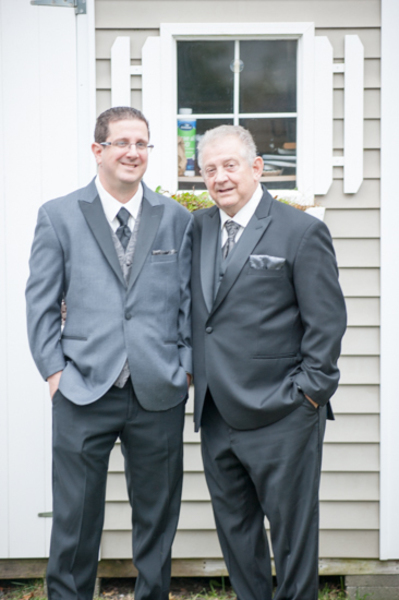 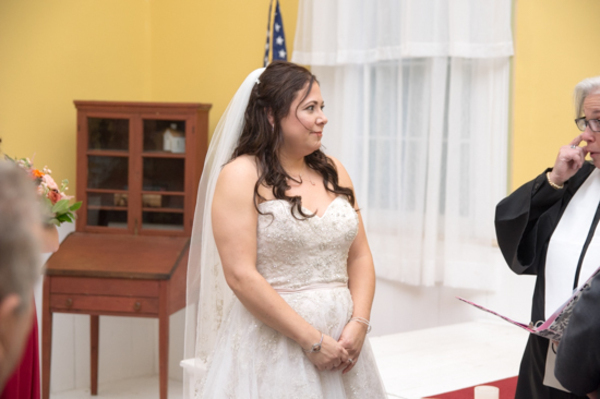 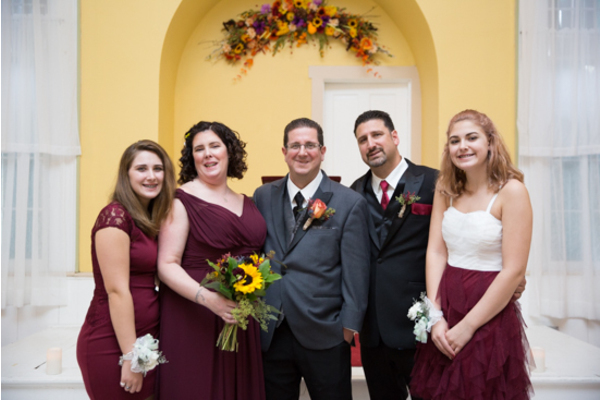 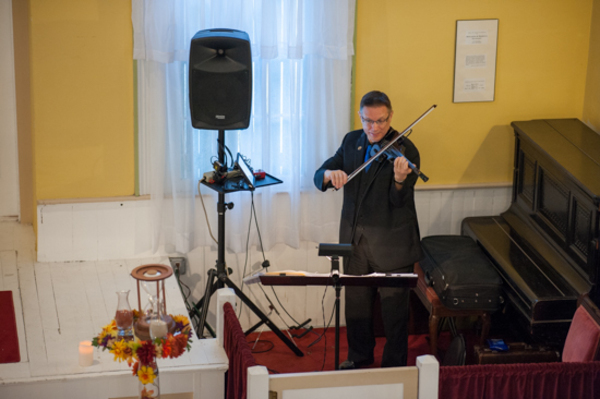 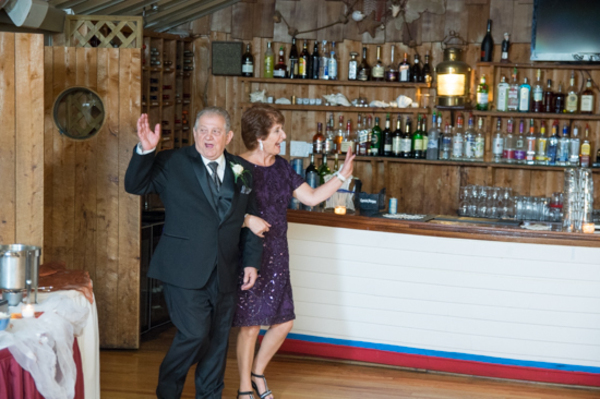 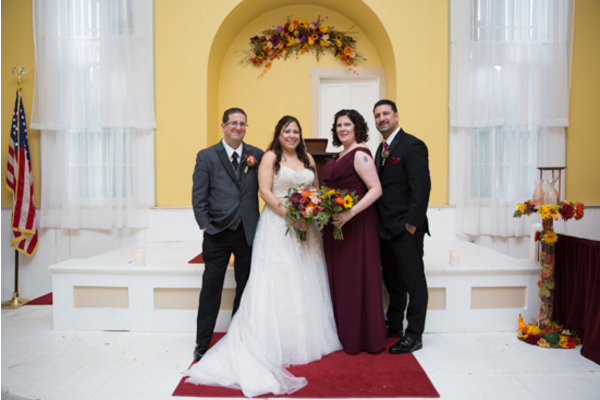 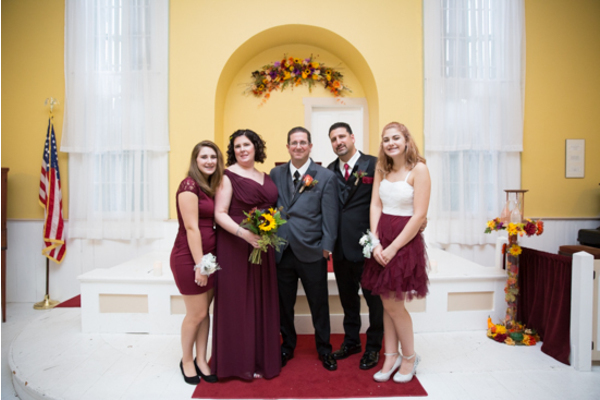 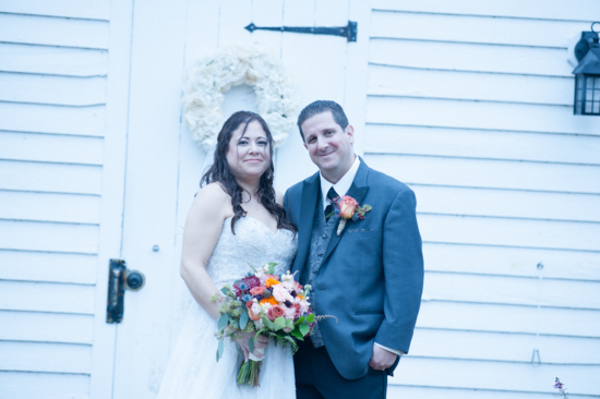 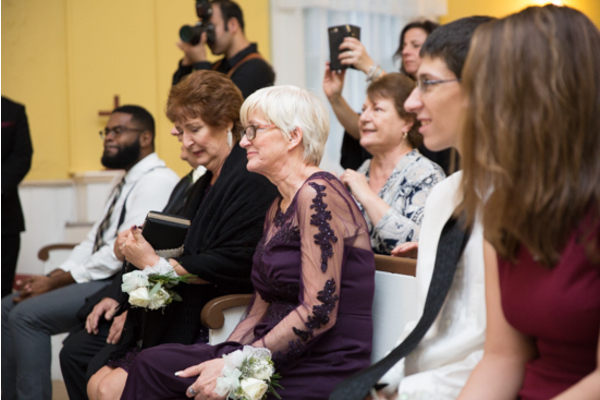 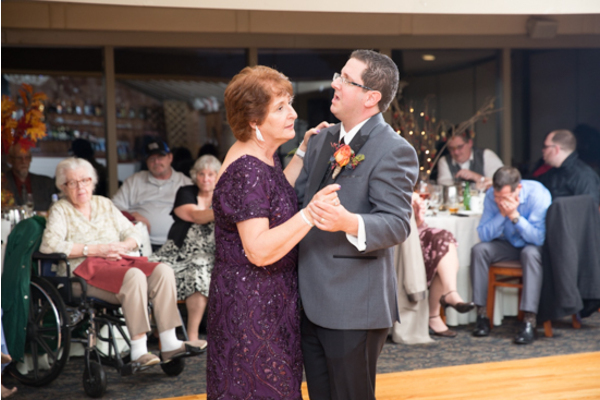 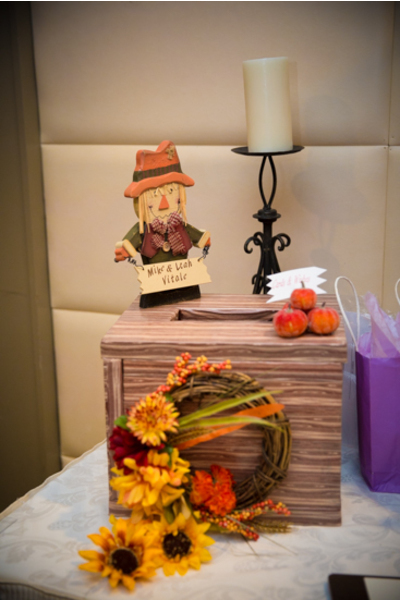 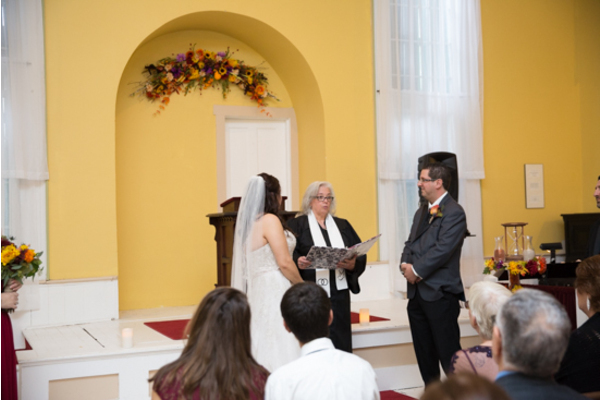 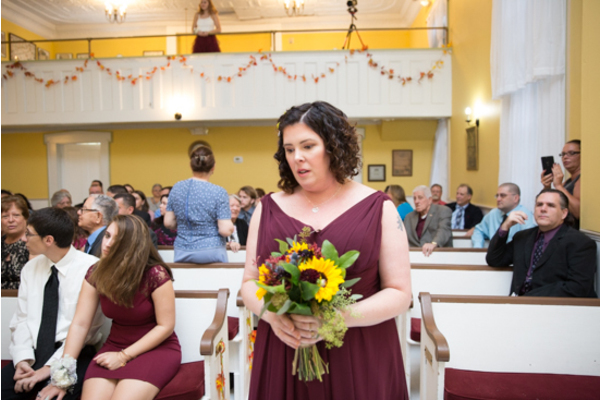 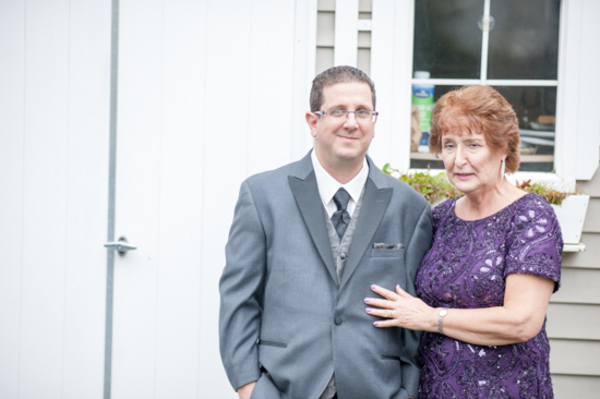 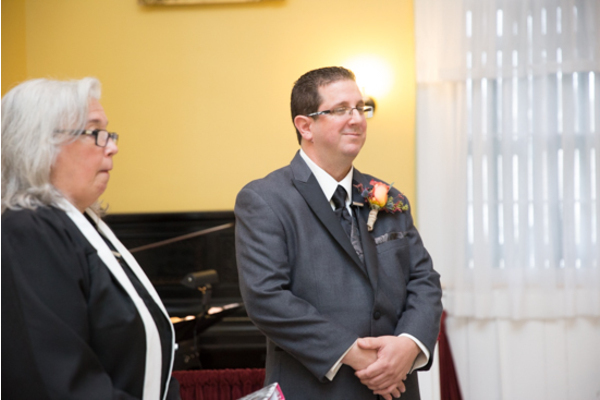 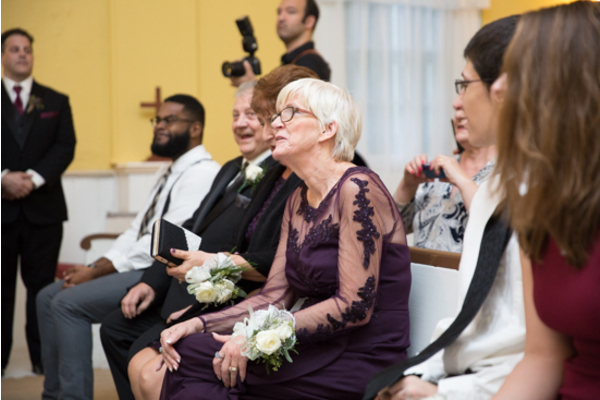 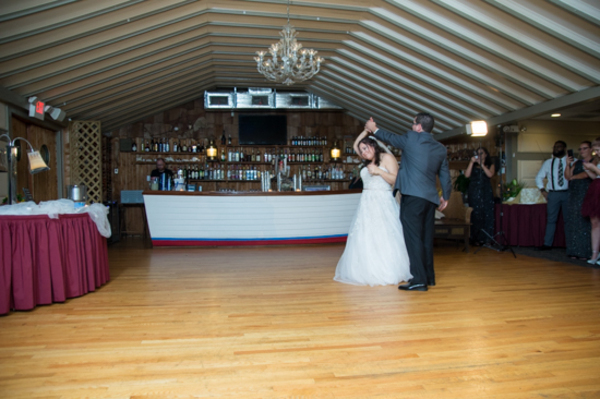 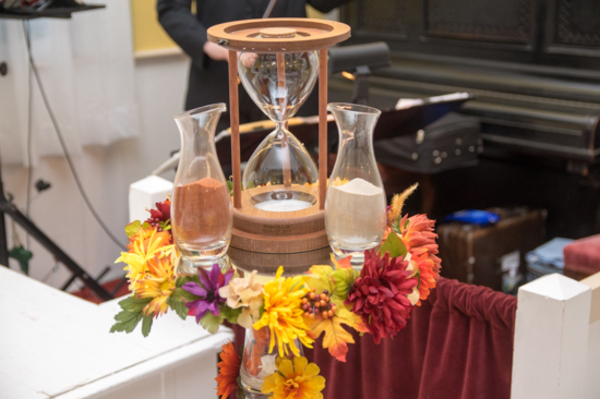 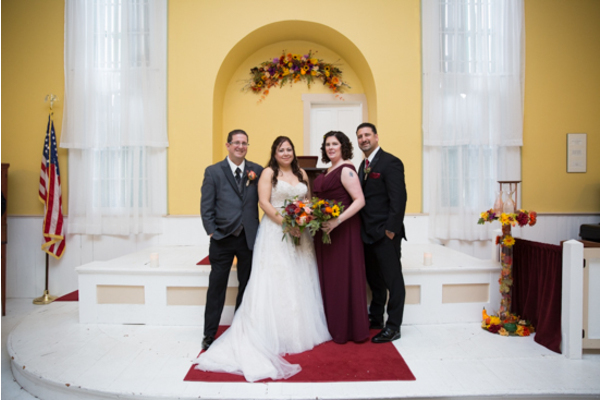 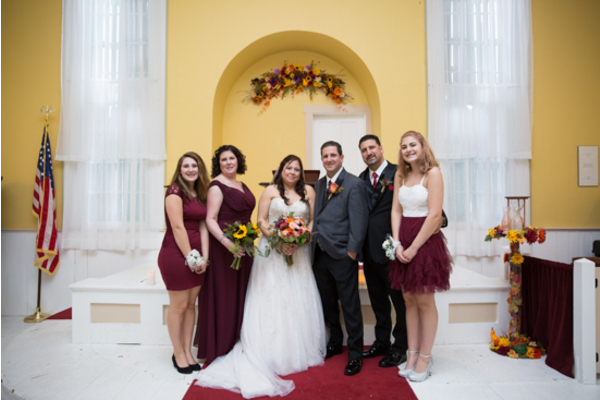 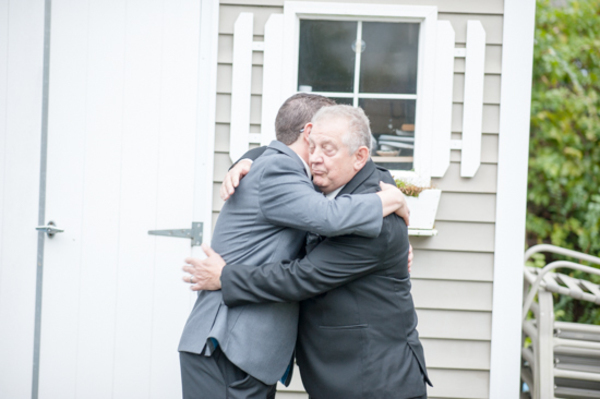 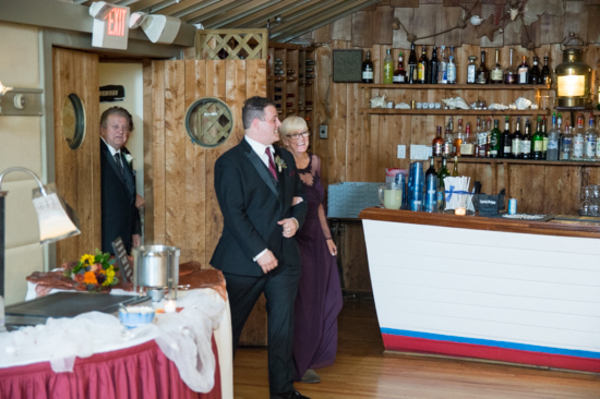 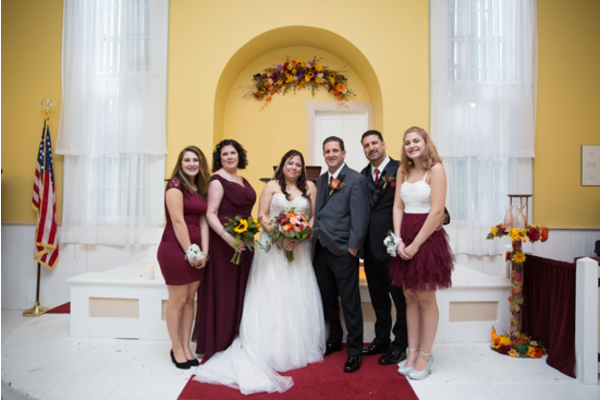 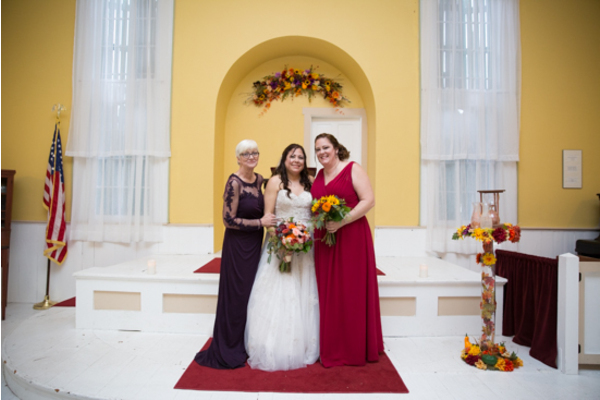 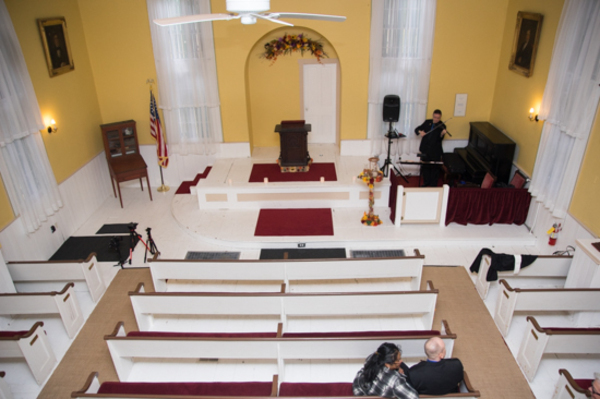 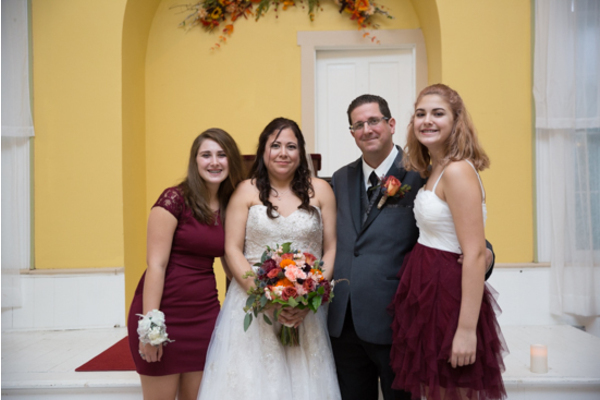 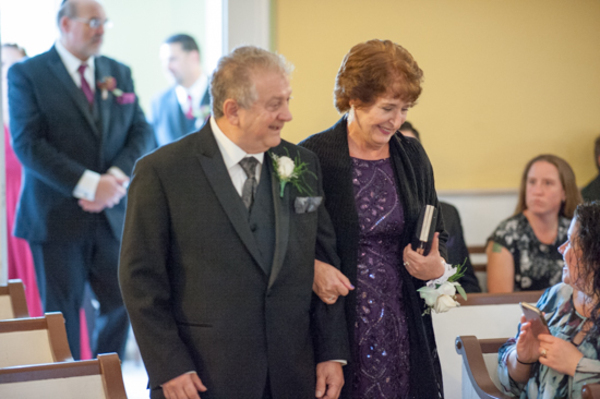 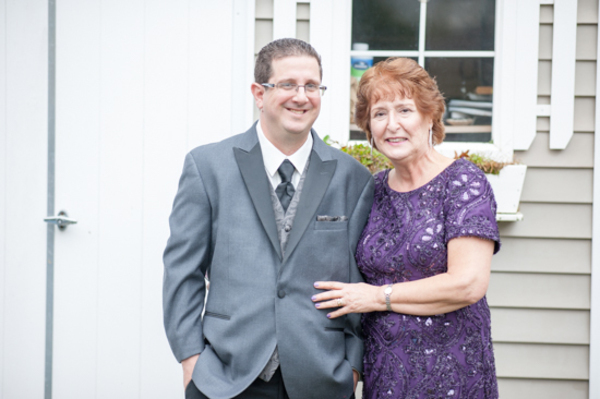 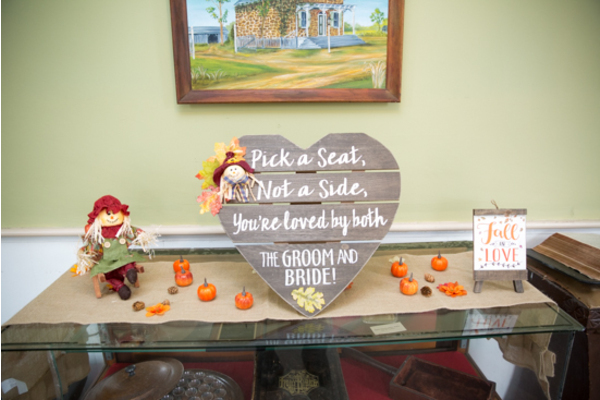 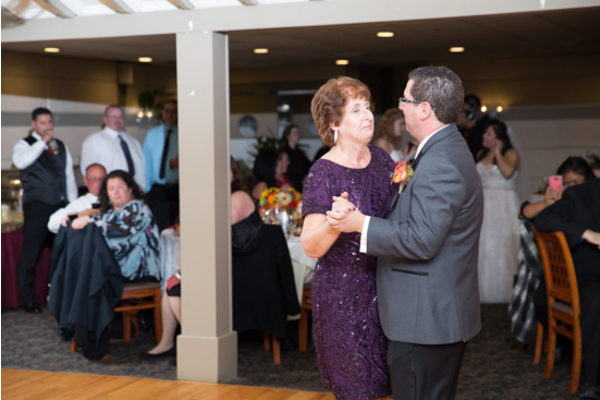 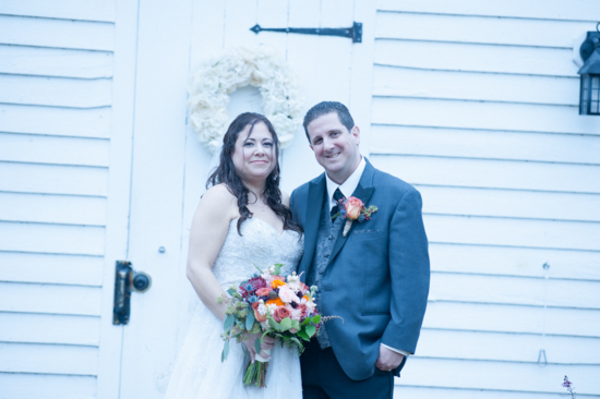 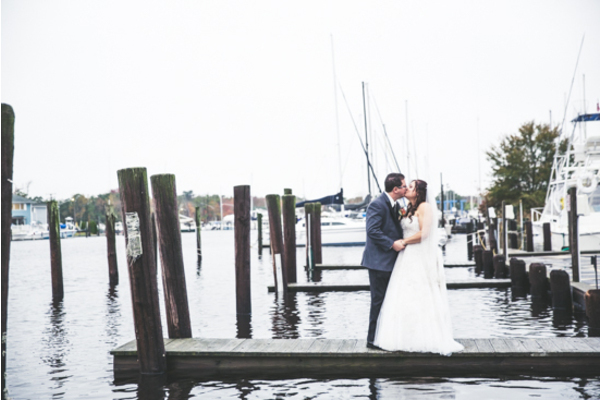 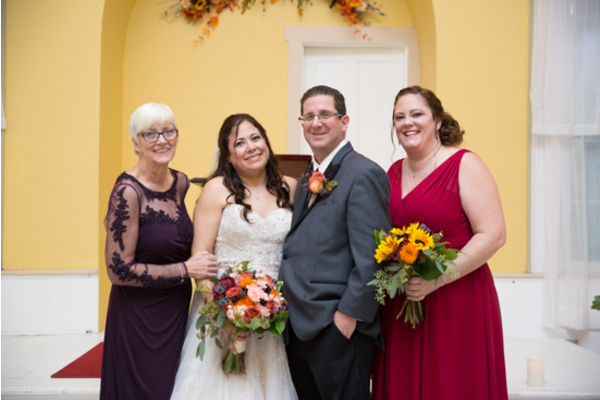 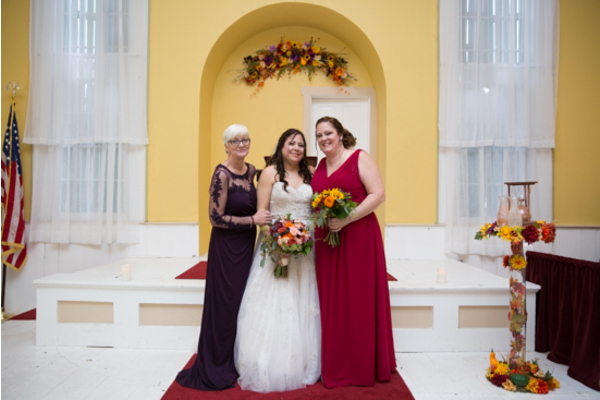 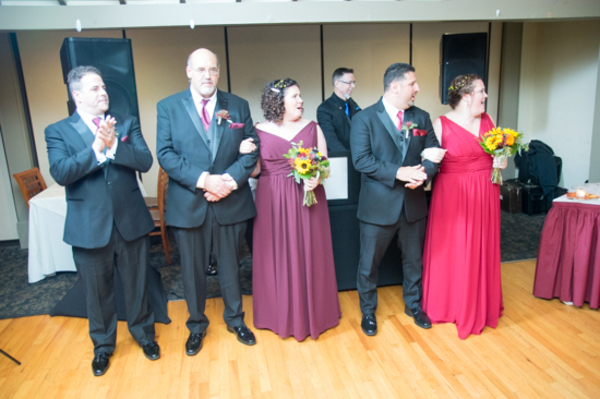 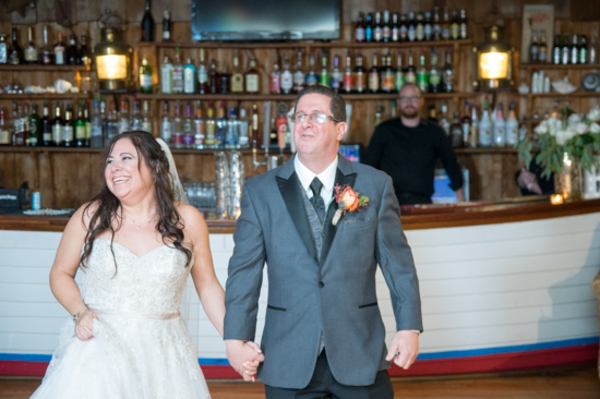 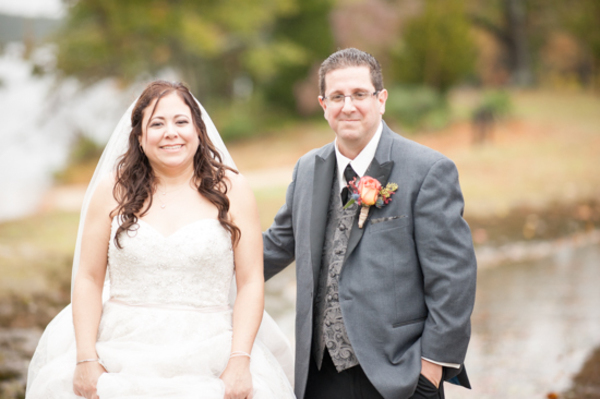 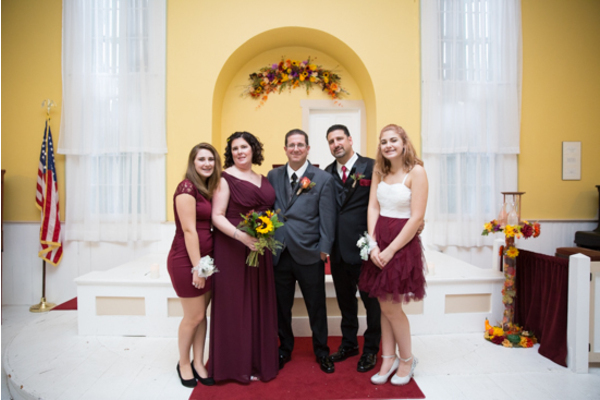 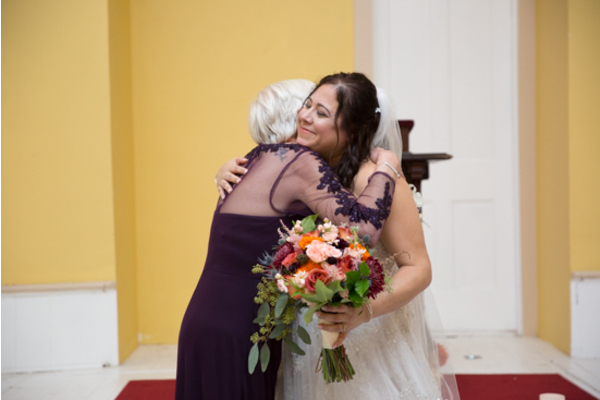 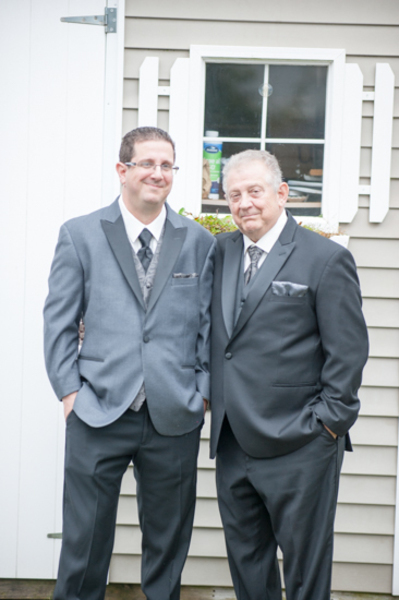 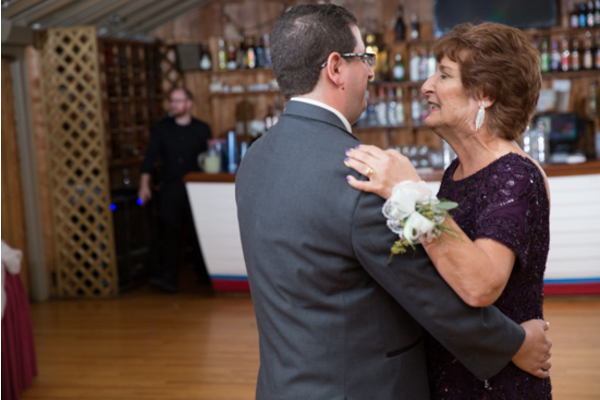 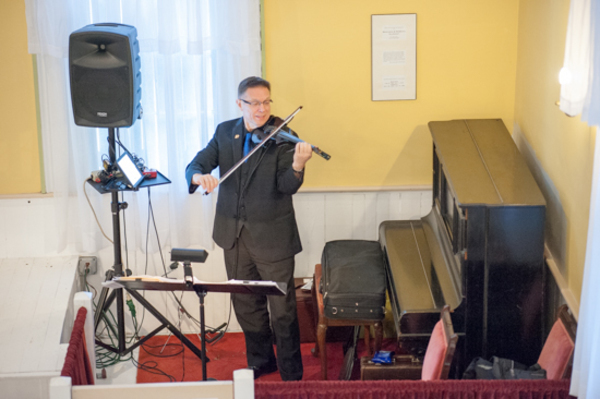 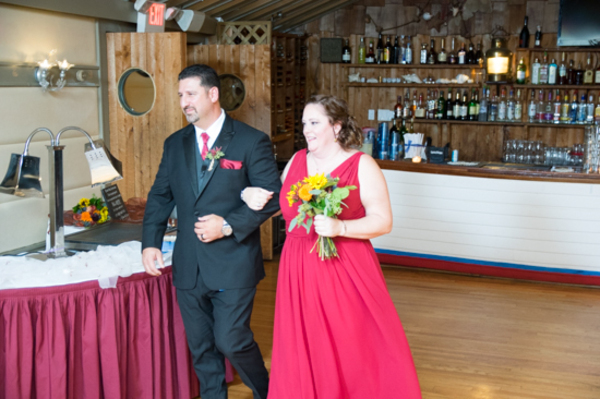 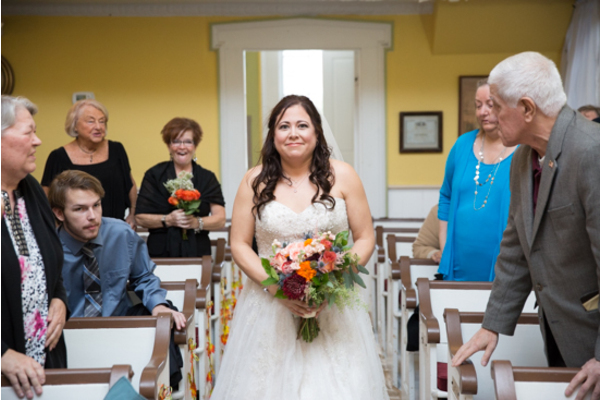 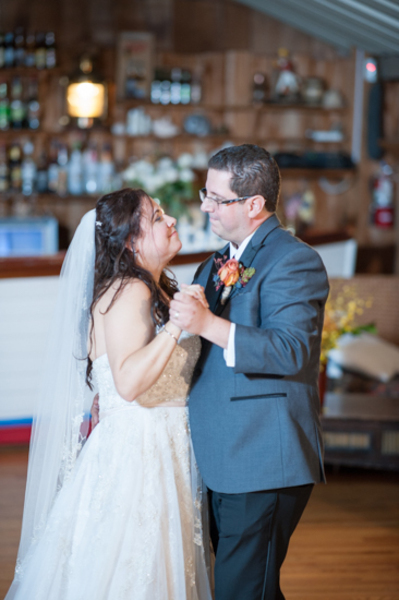 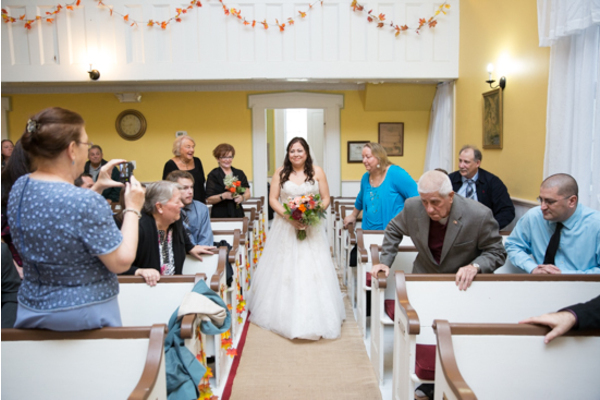 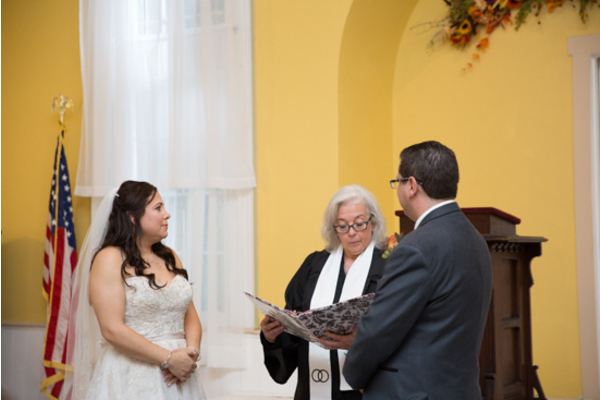 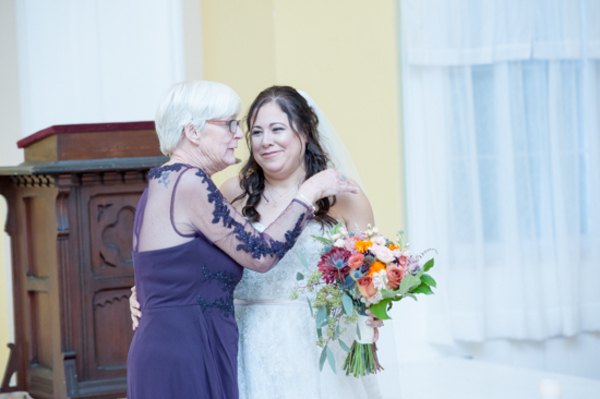 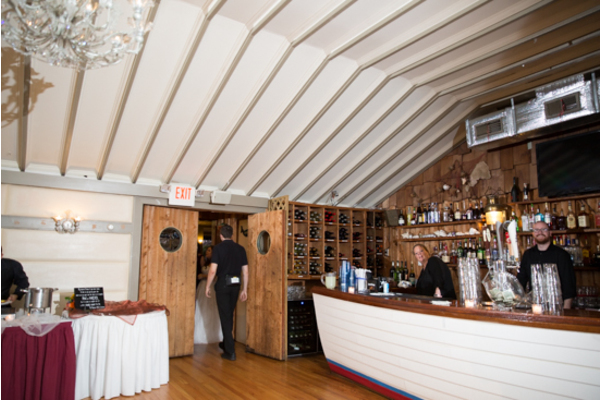 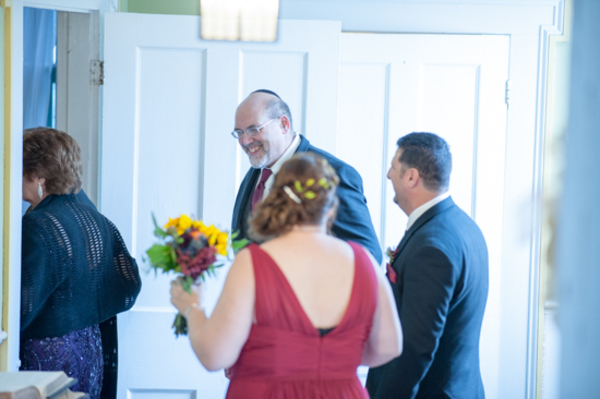 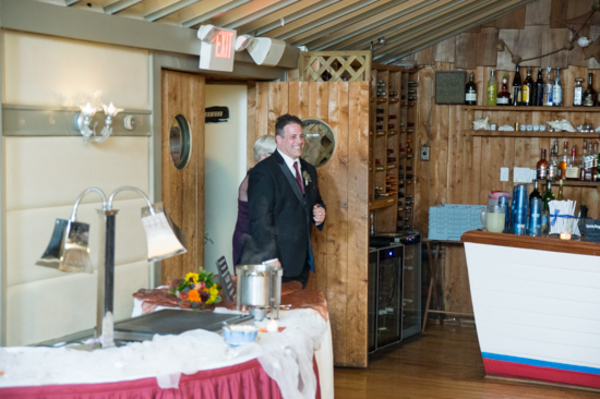 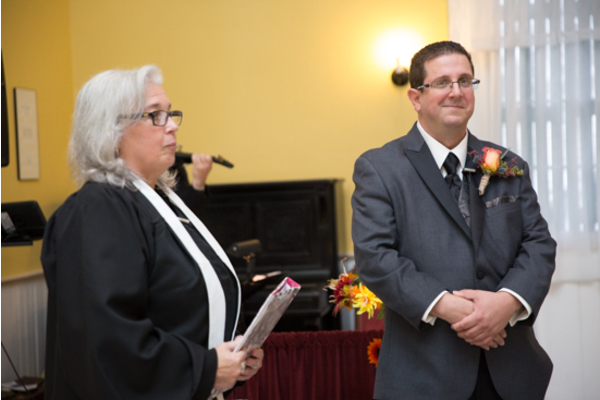 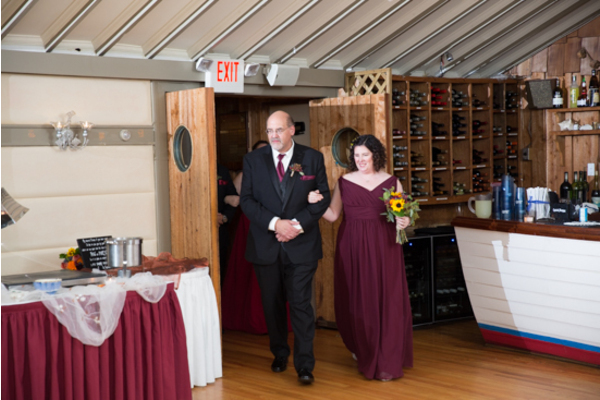 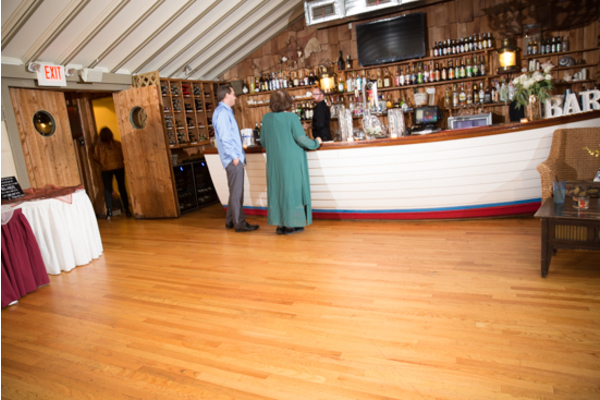 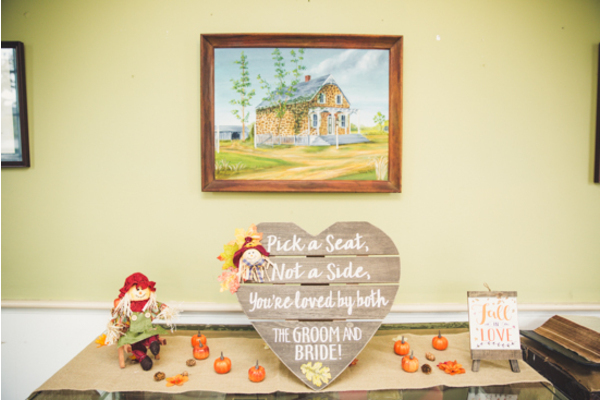 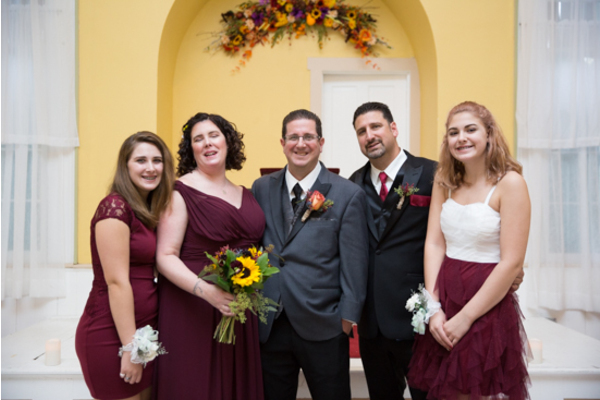 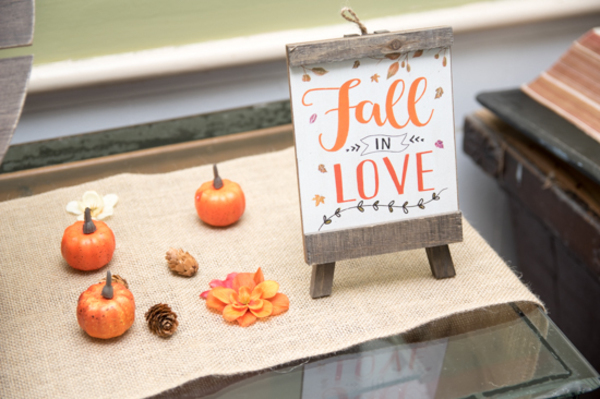 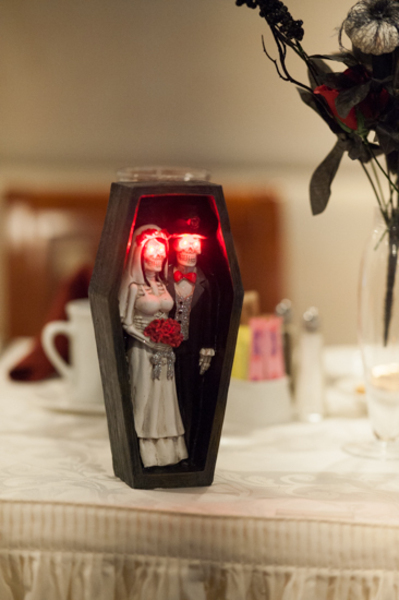 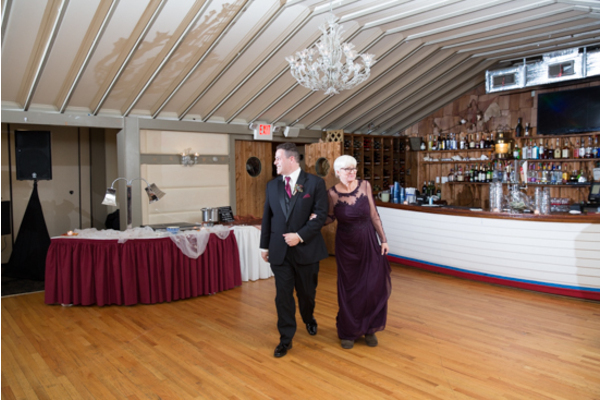 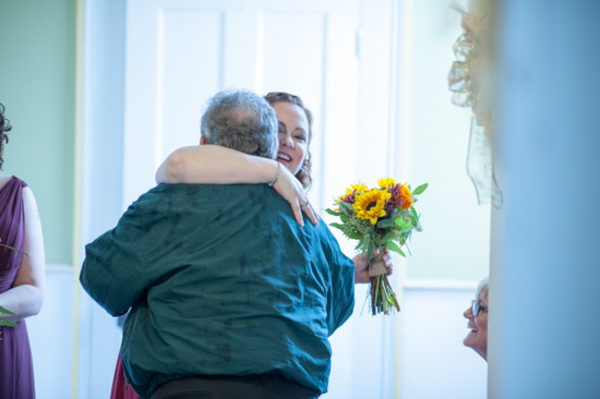 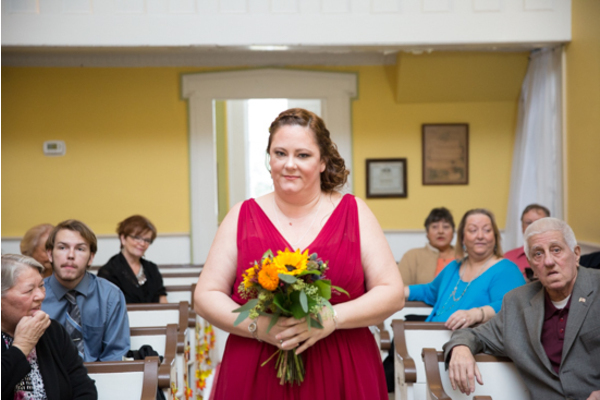 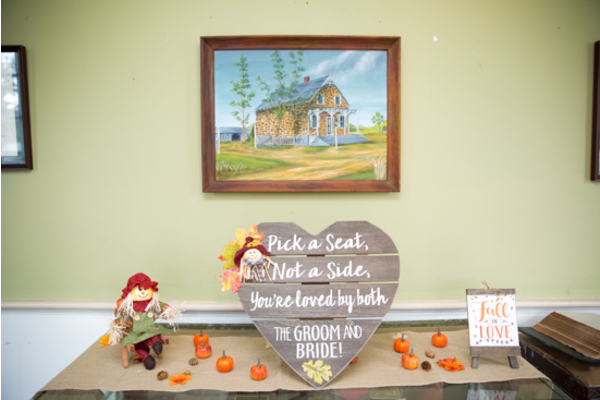 The couple wed on October 27th, 2018 at the Captain’s Inn in Forked River, NJ. 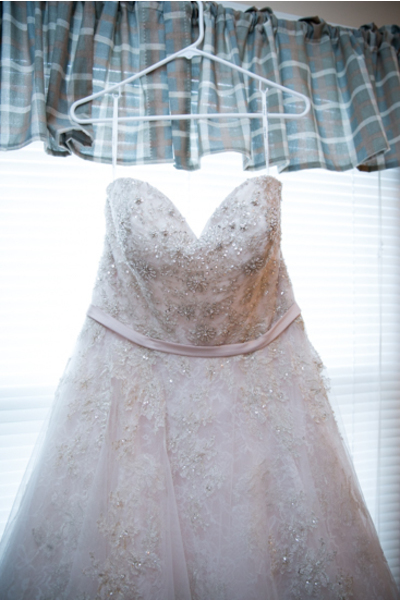 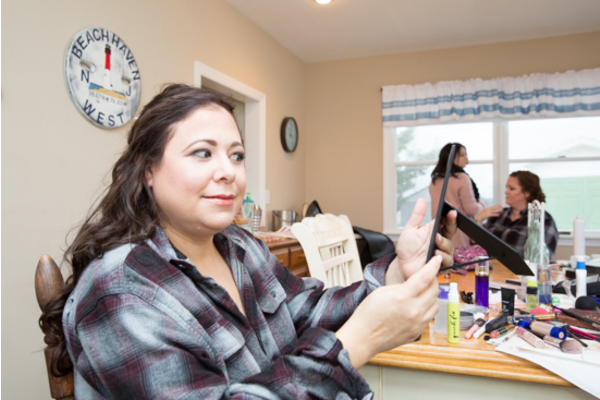 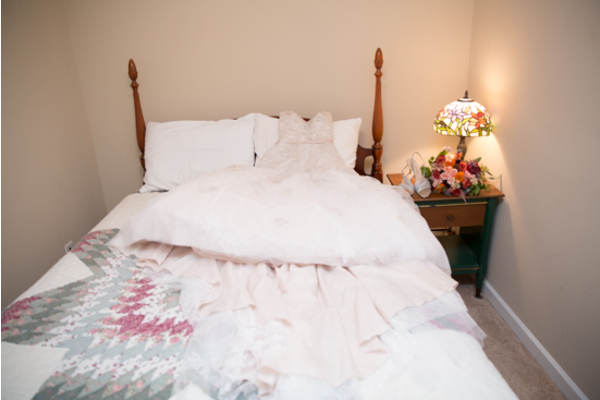 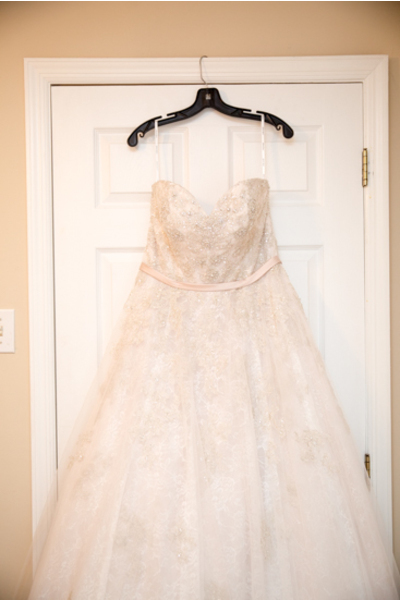 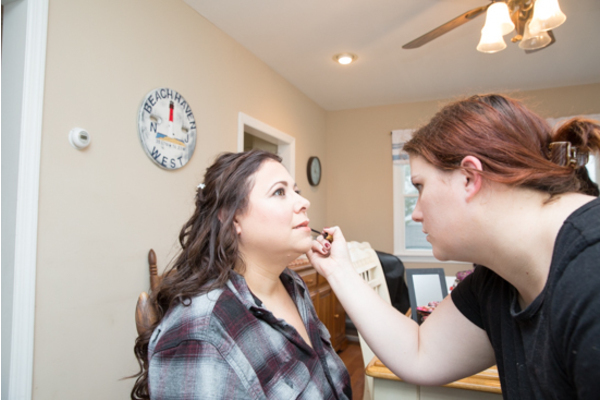 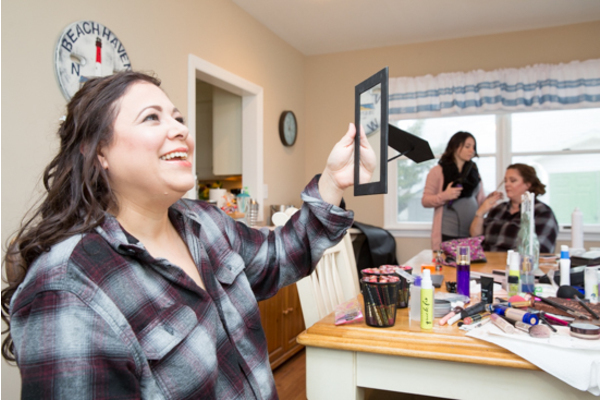 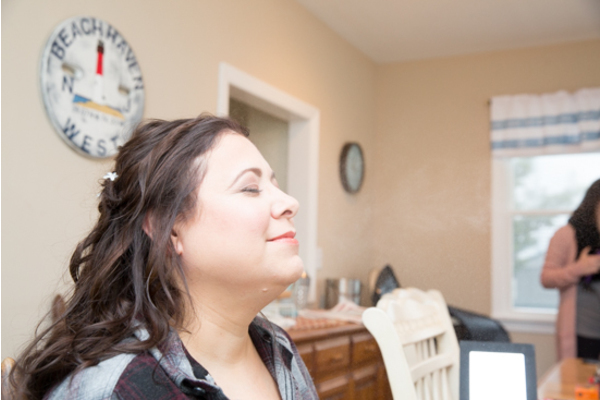 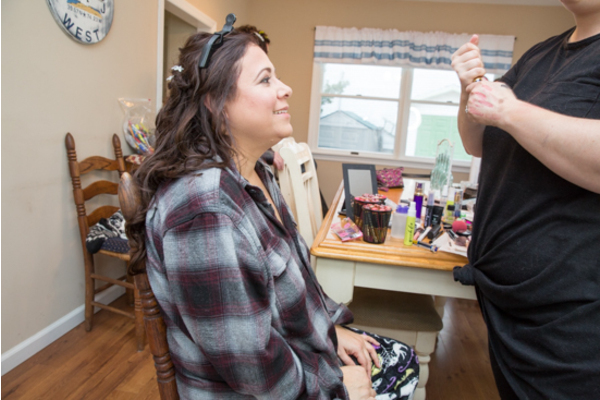 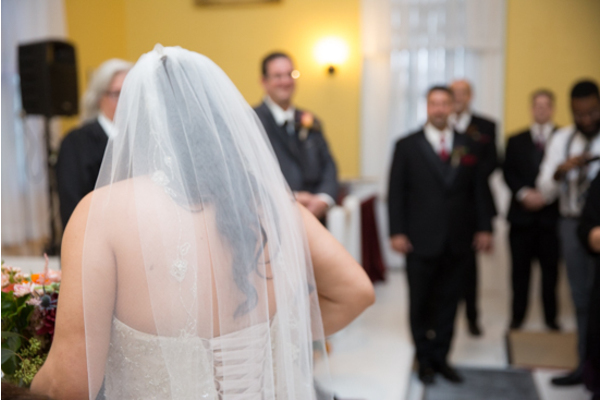 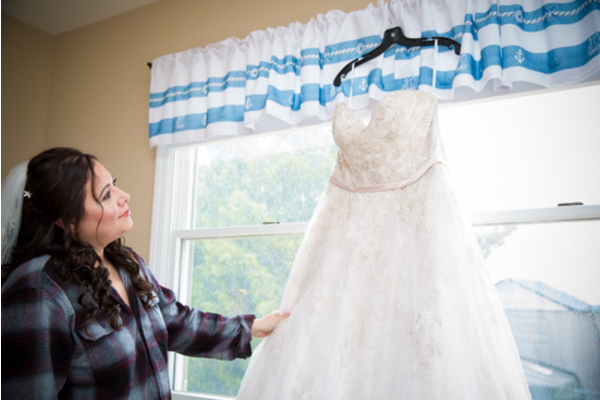 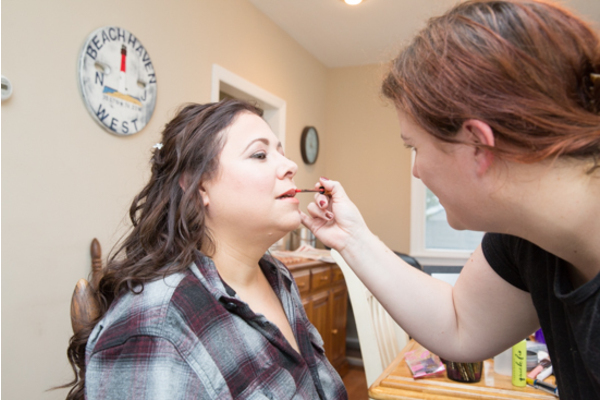 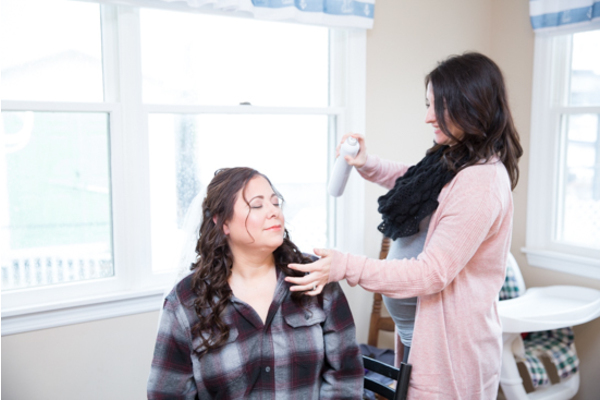 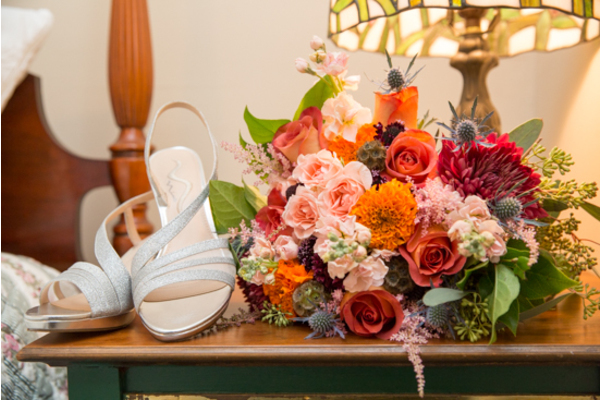 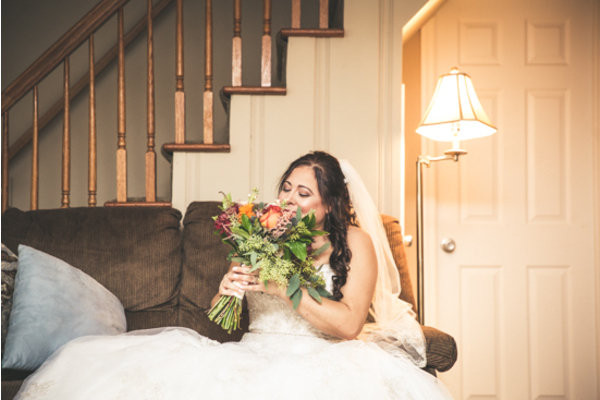 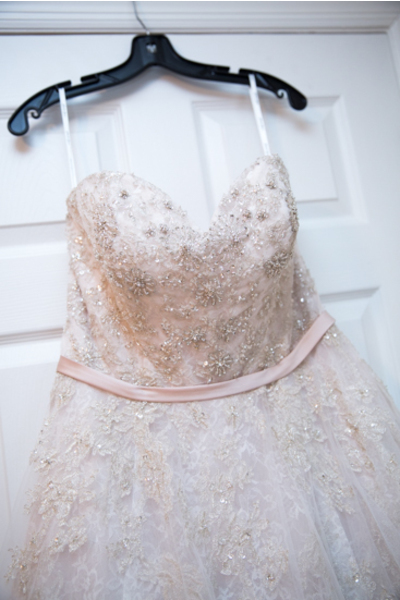 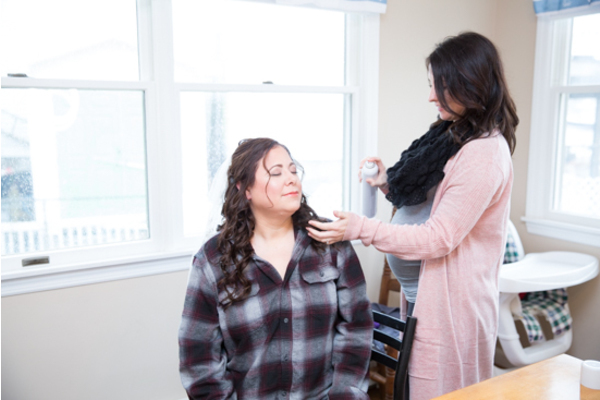 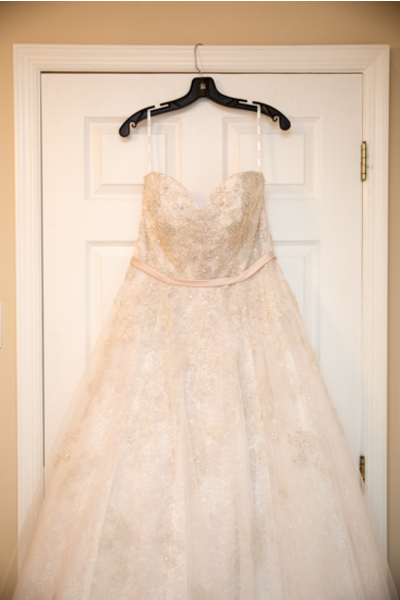 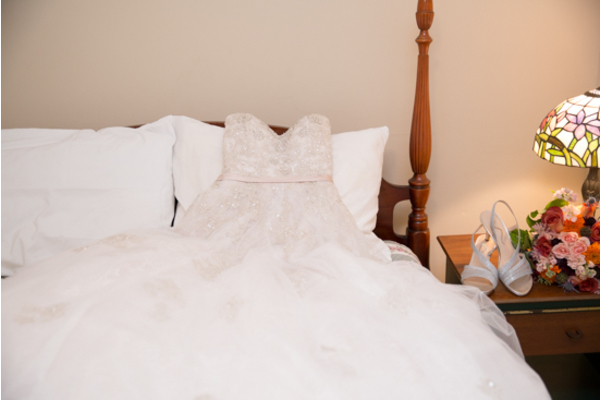 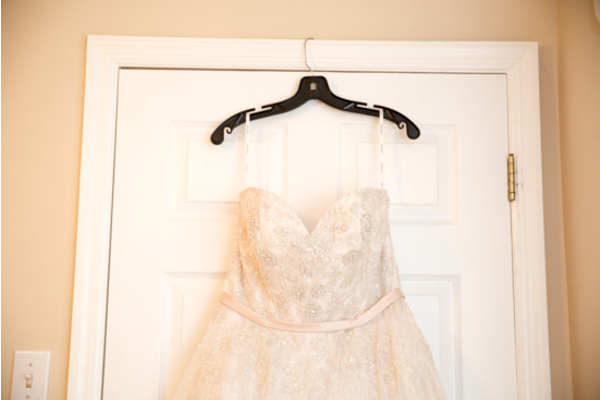 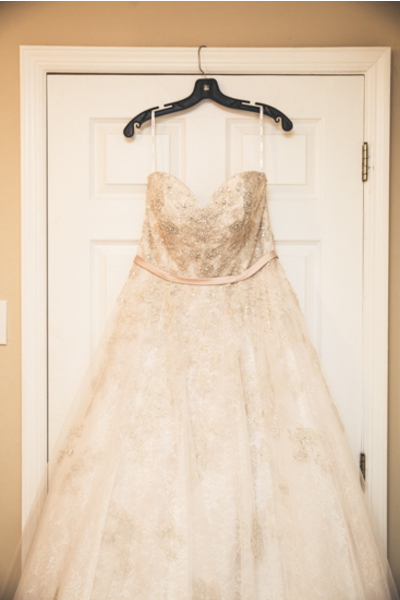 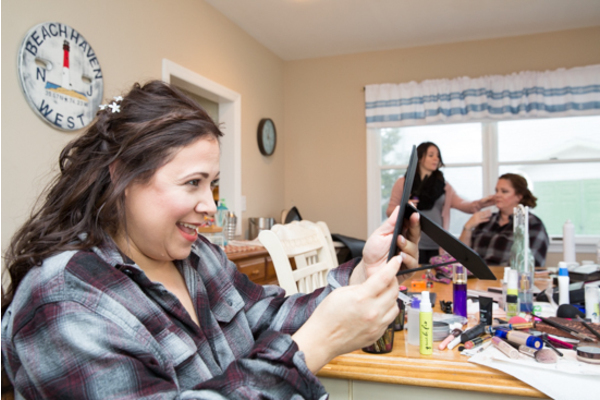 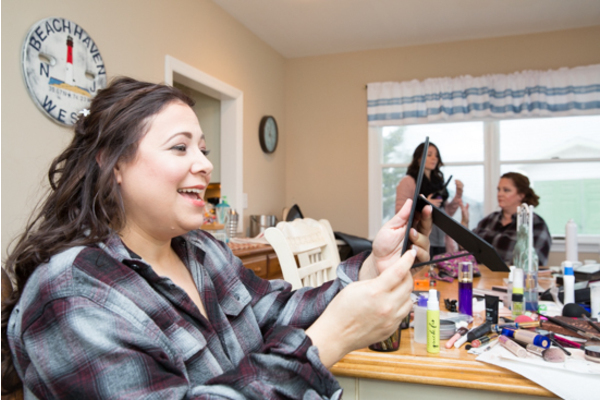 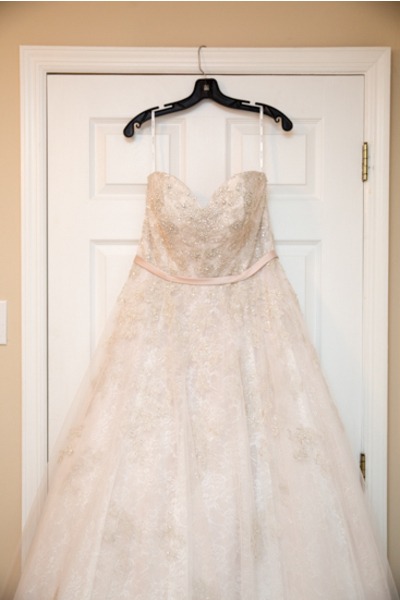 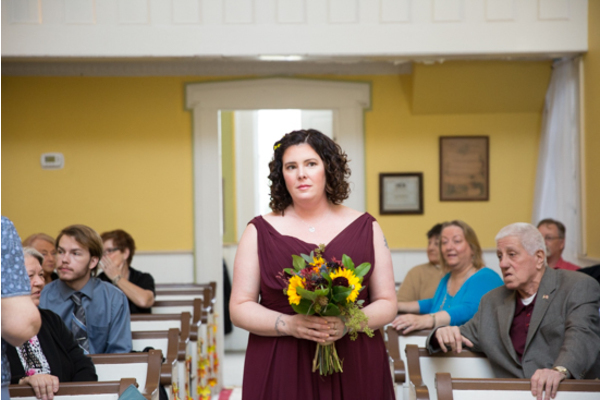 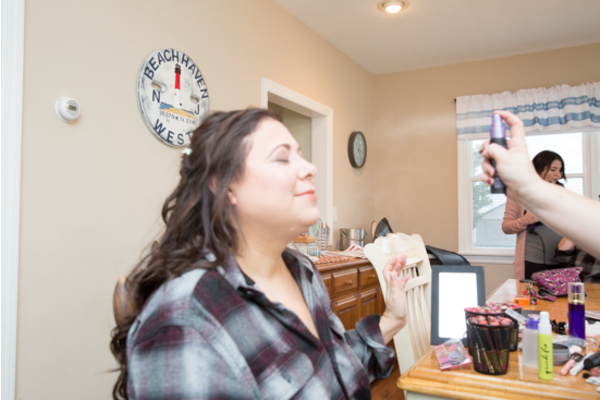 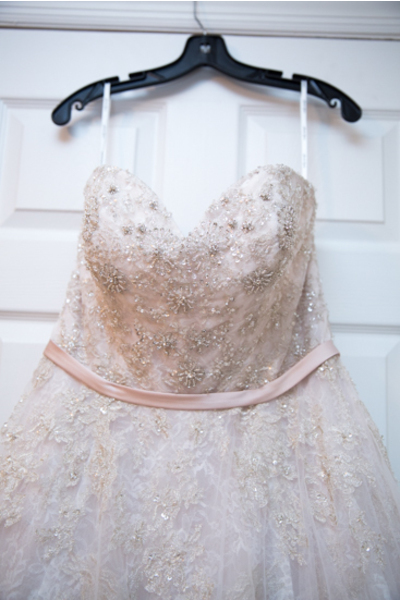 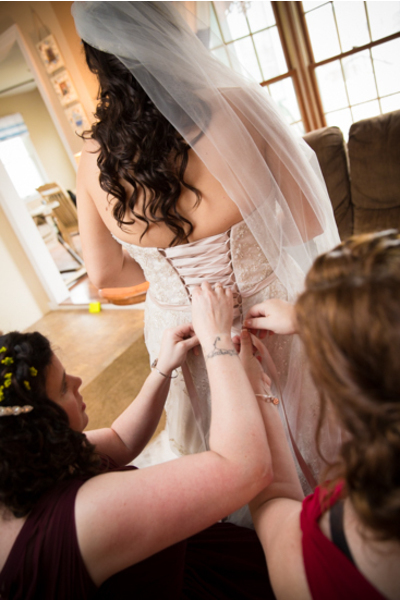 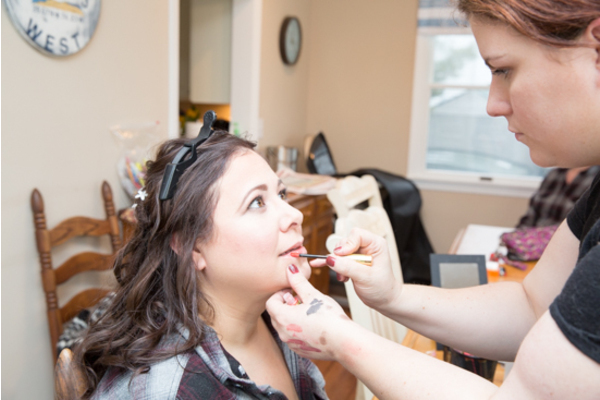 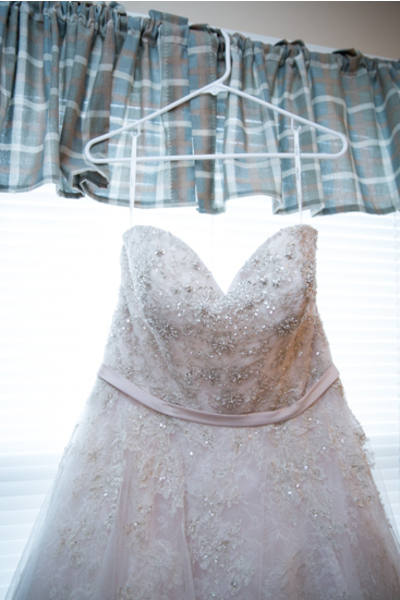 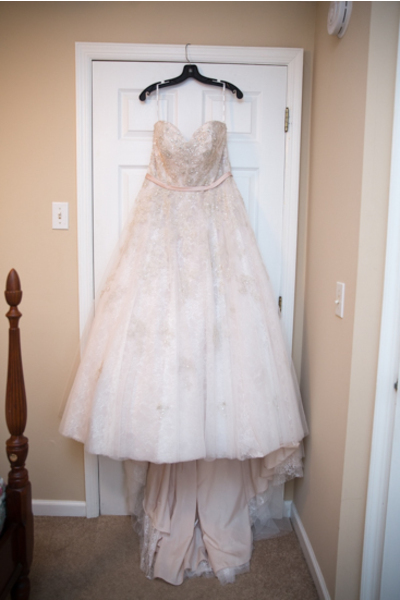 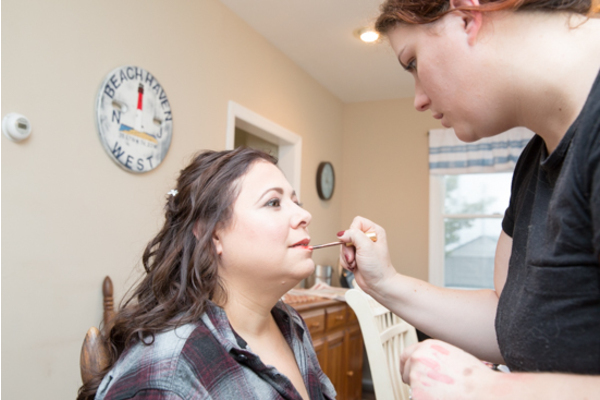 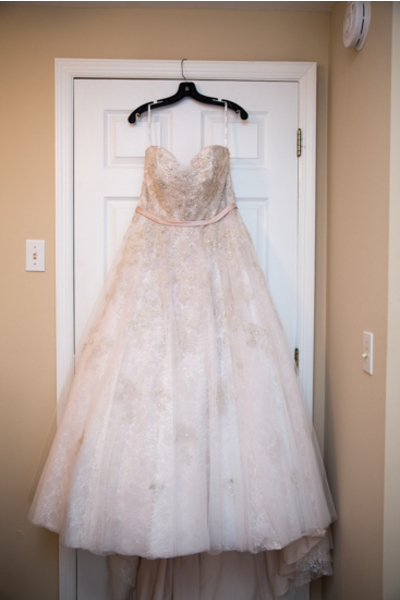 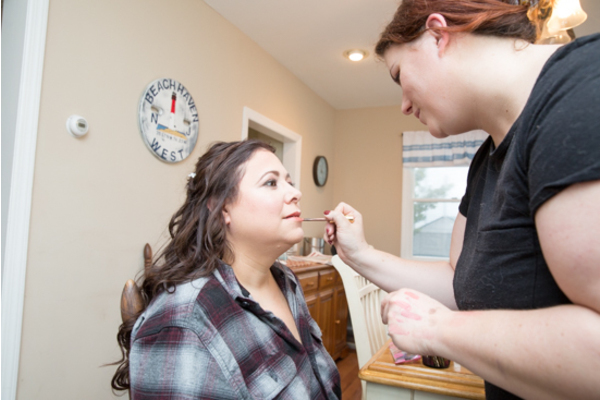 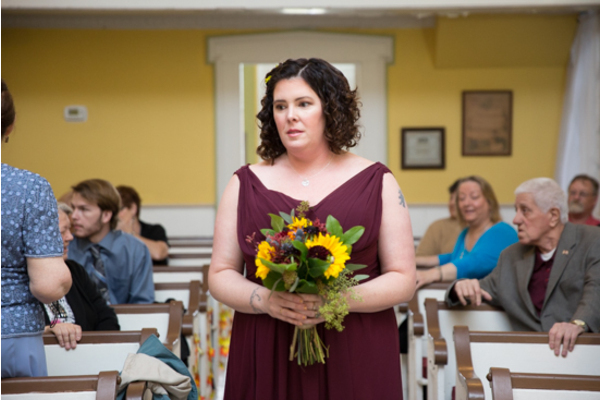 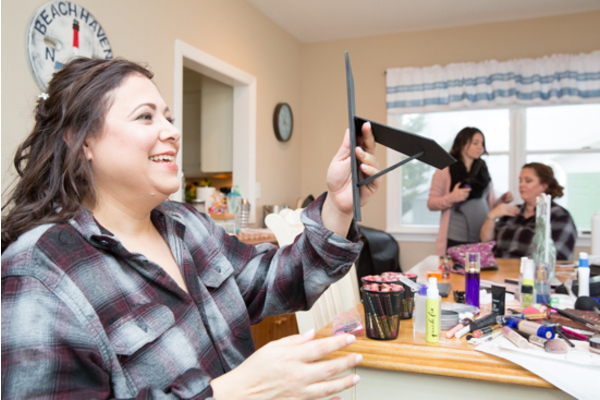 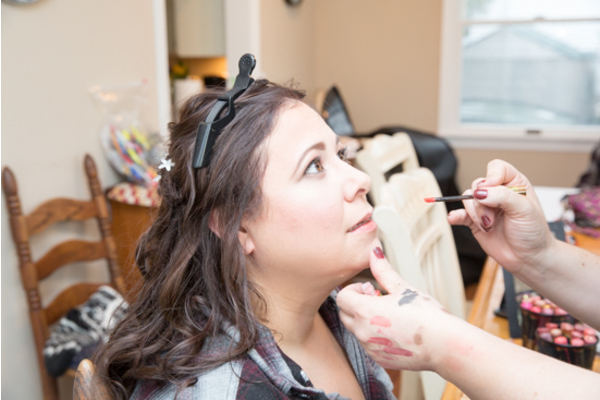 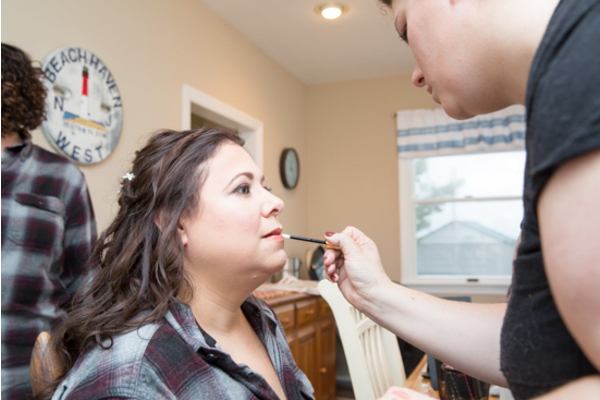 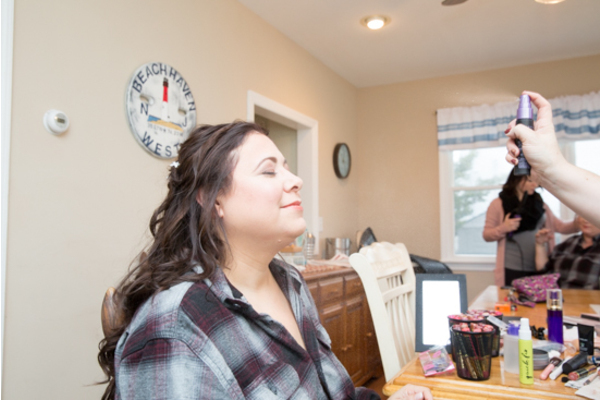 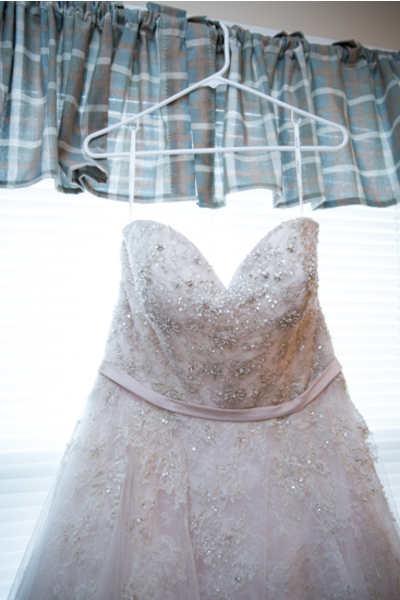 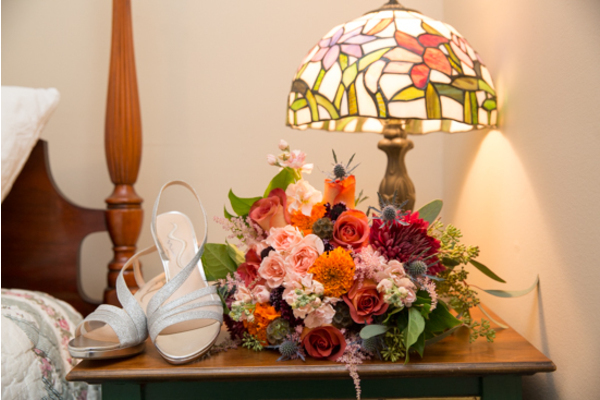 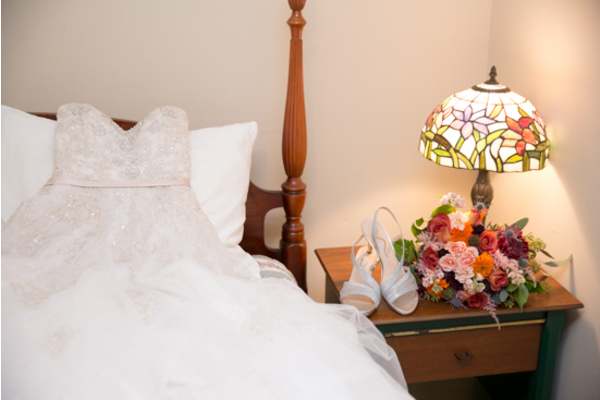 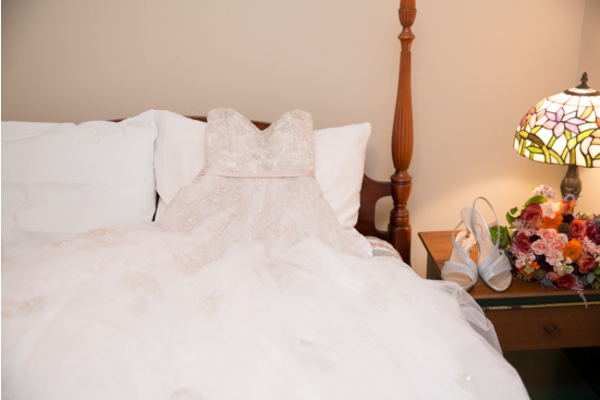 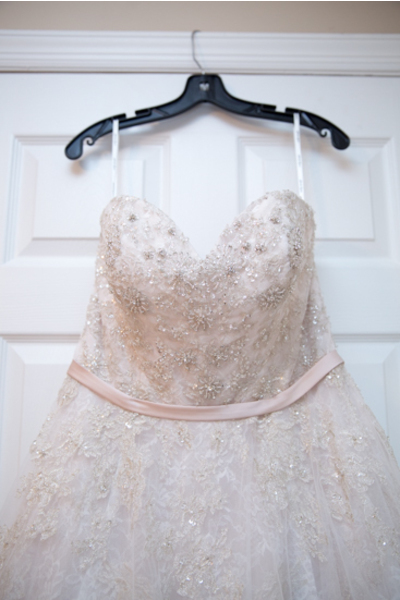 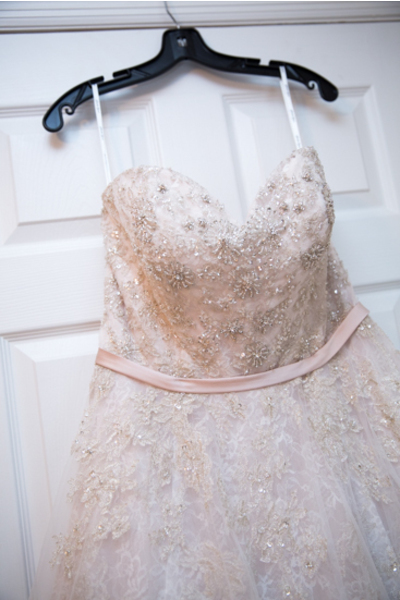 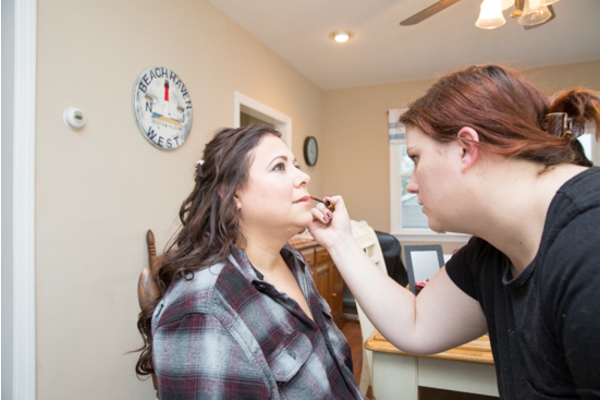 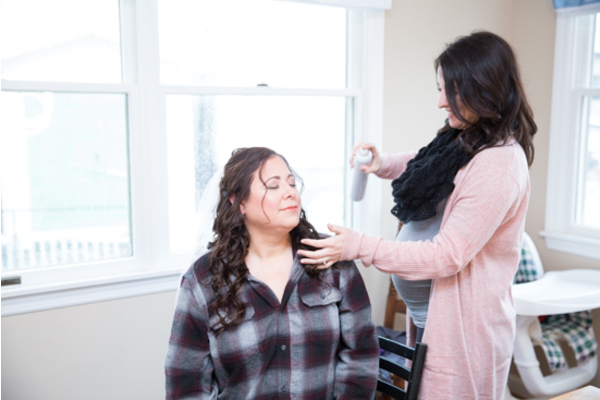 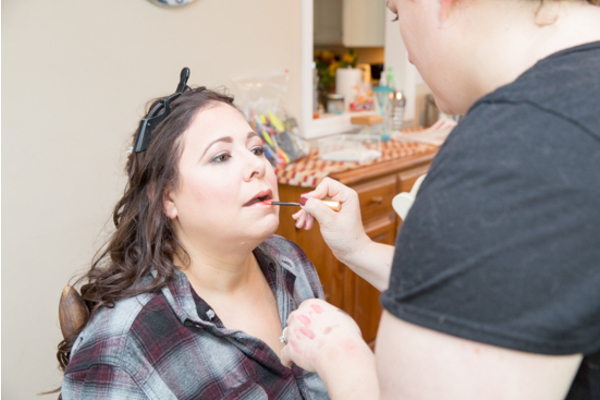 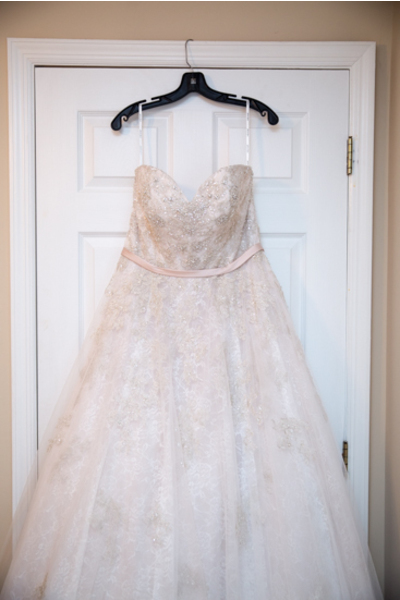 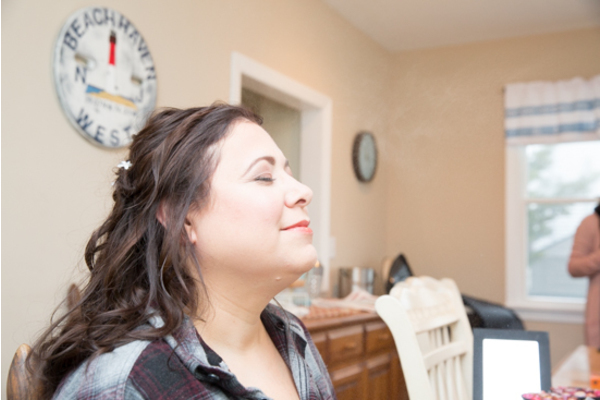 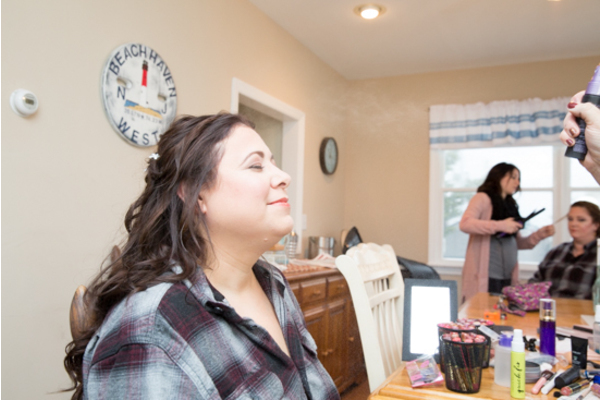 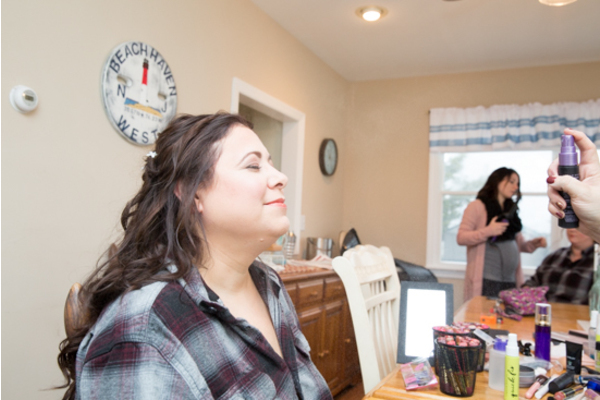 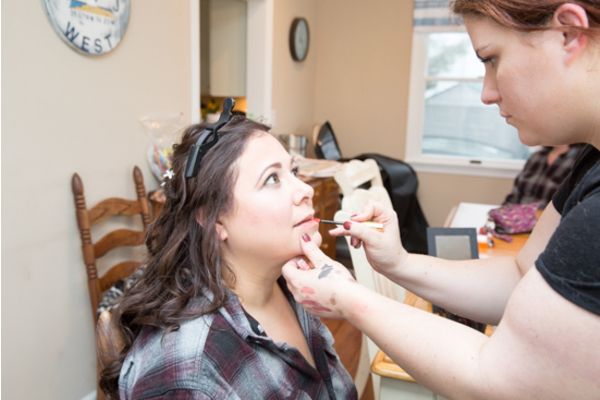 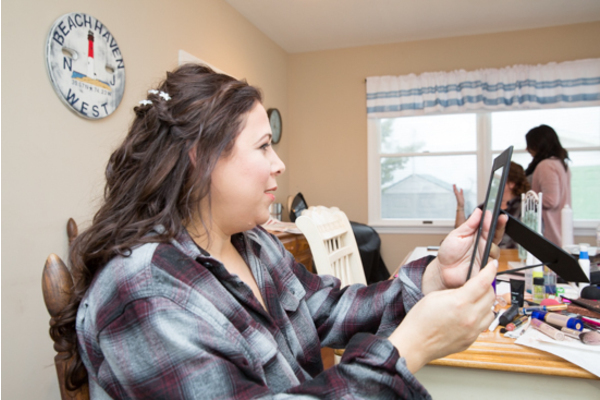 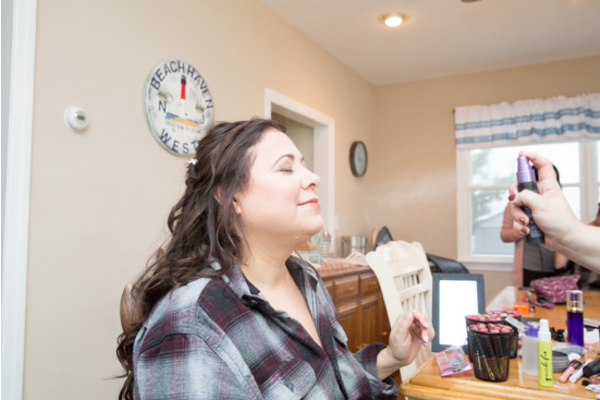 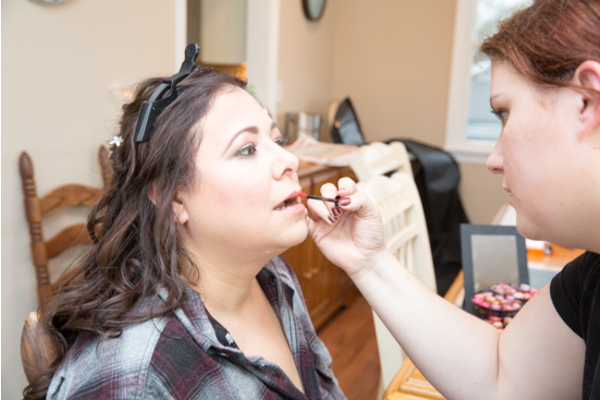 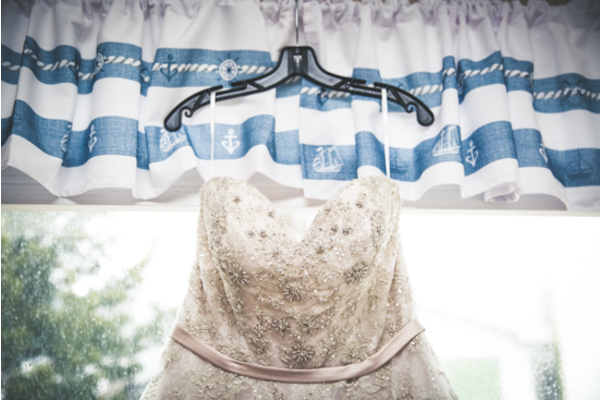 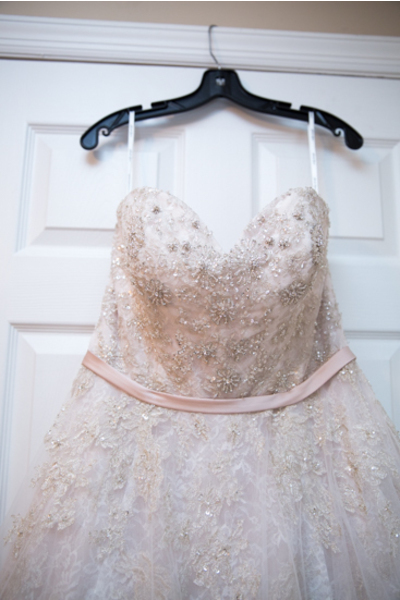 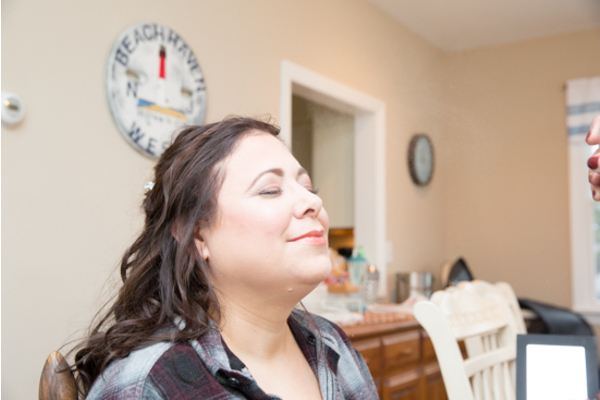 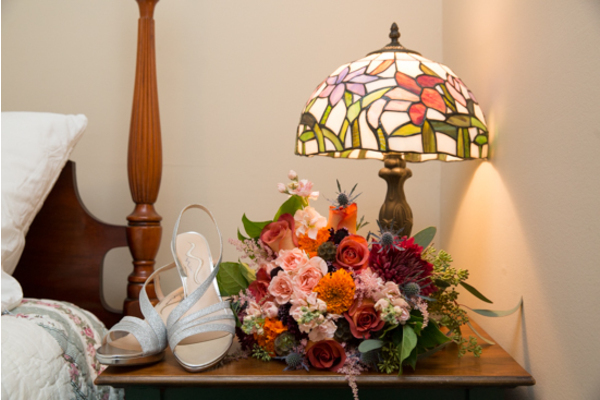 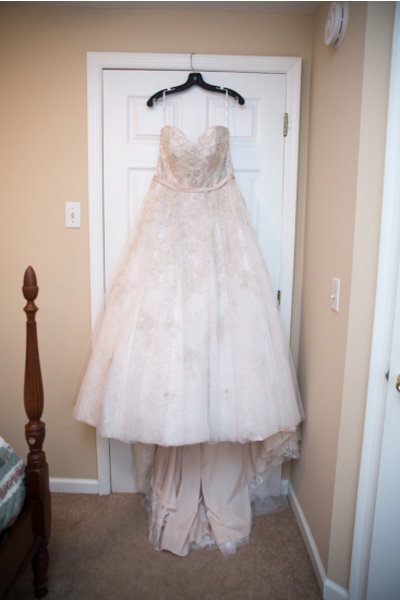 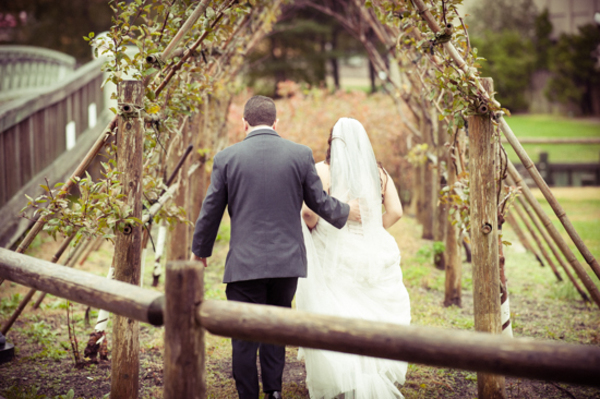 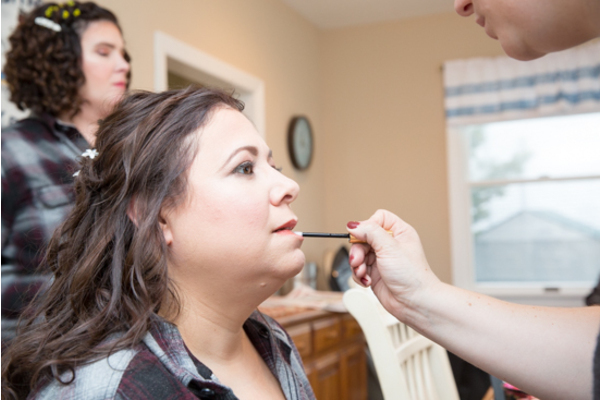 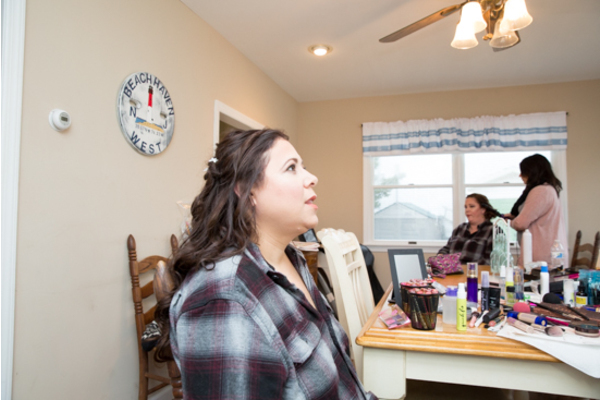 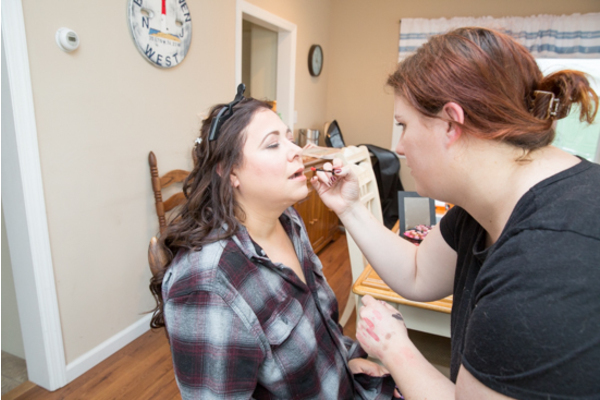 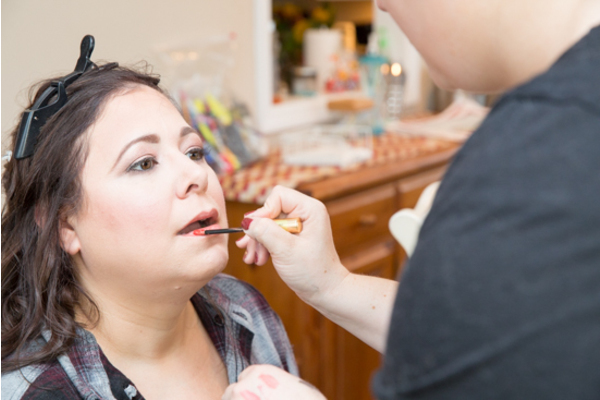 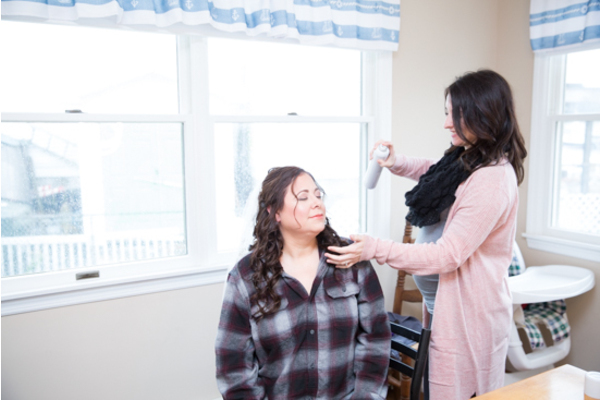 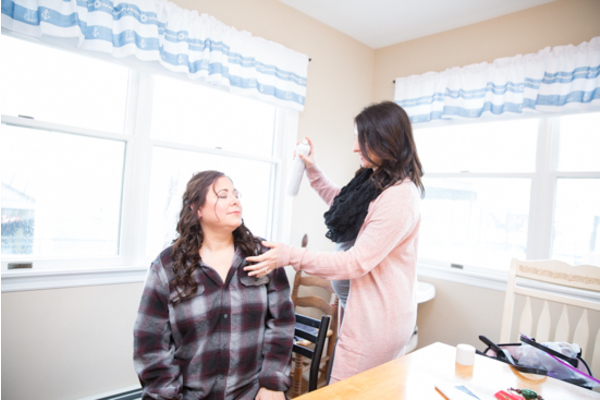 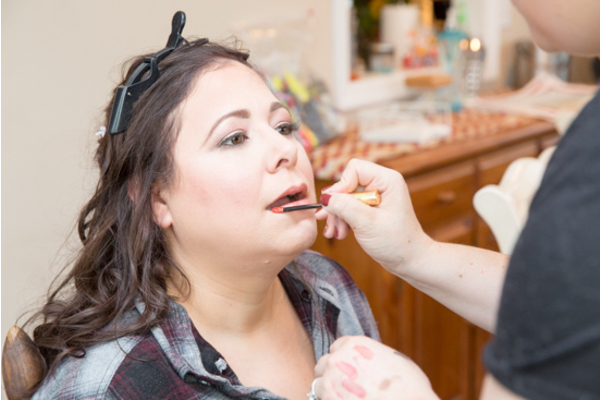 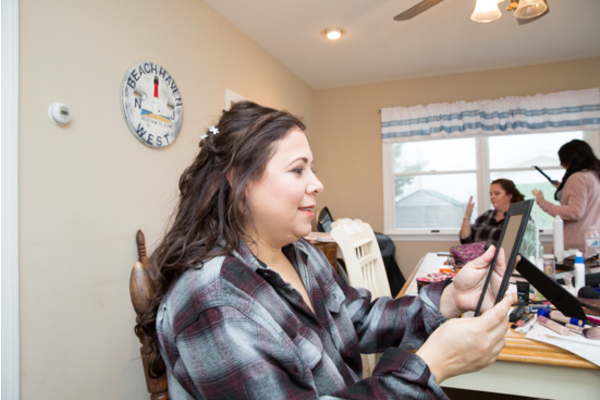 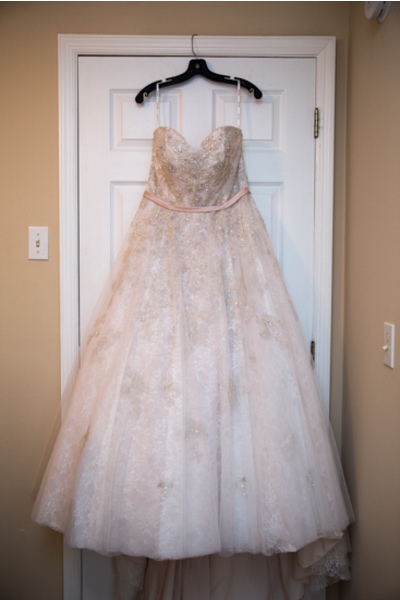 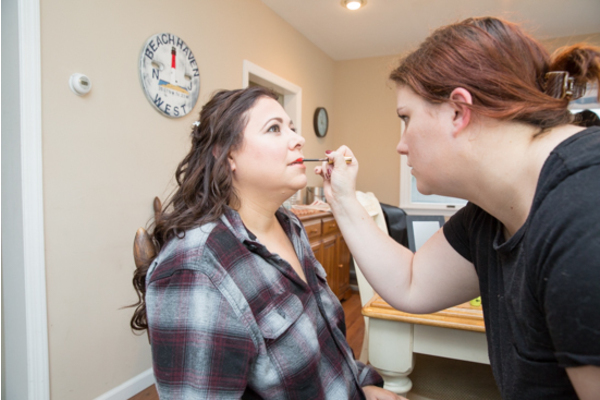 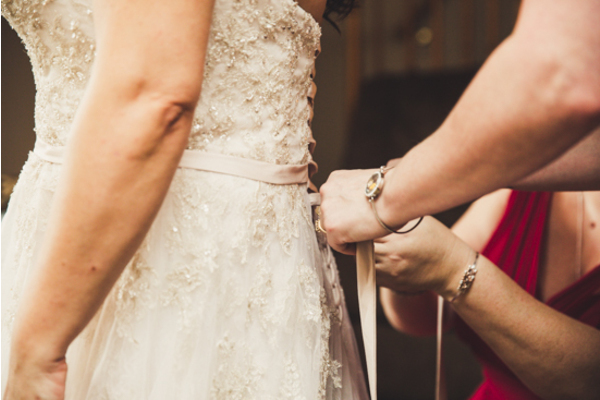 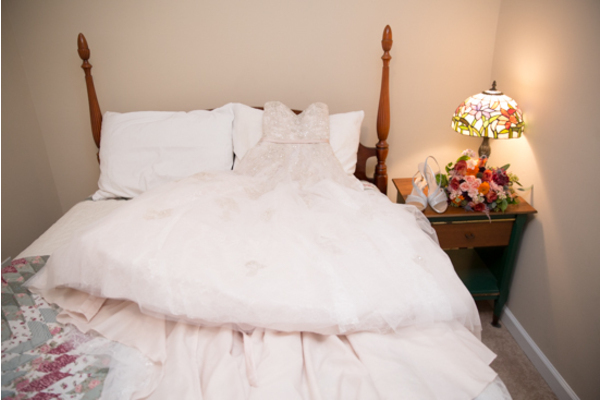 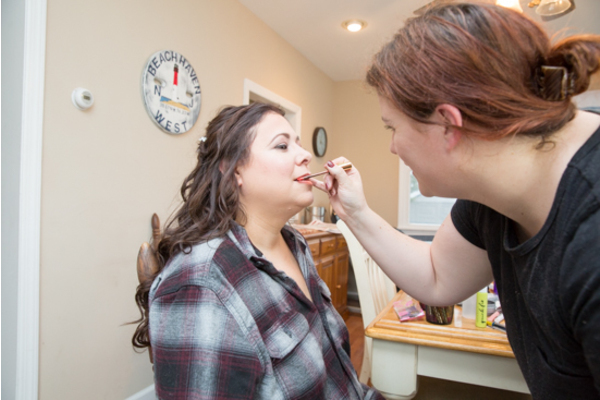 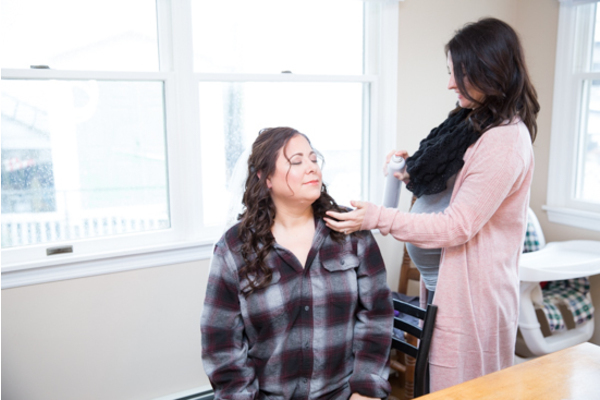 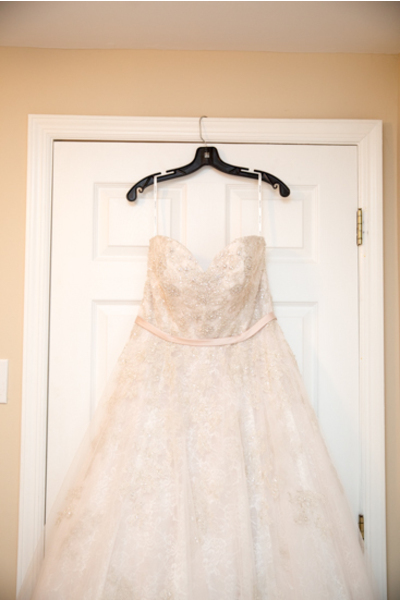 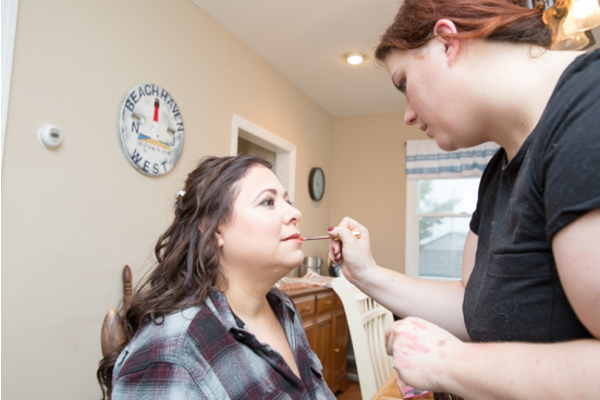 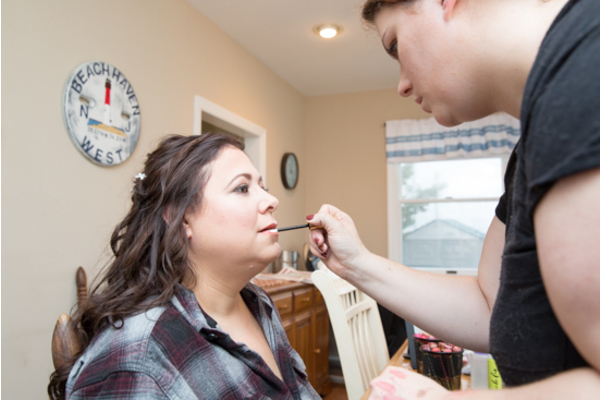 Our NJ Wedding Photographer captured this beautiful bride-to-be preparing for the big day. 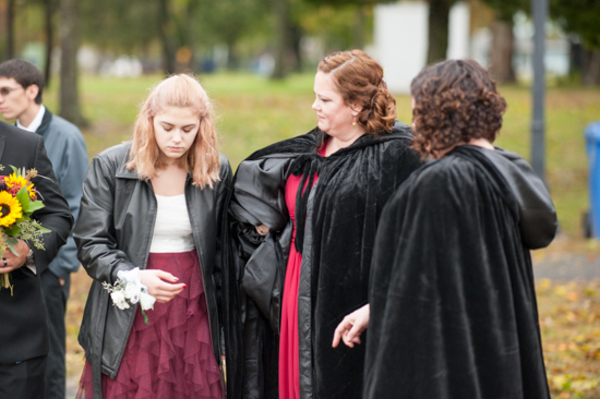 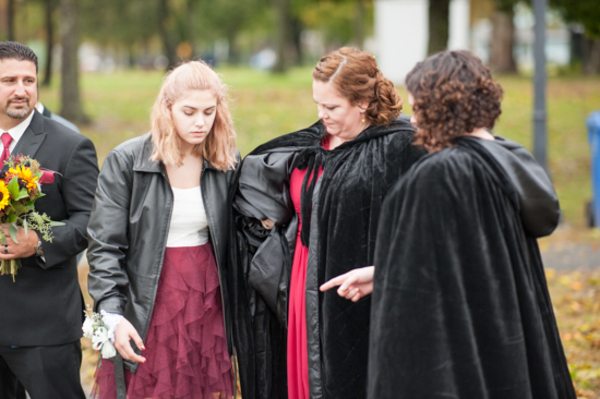 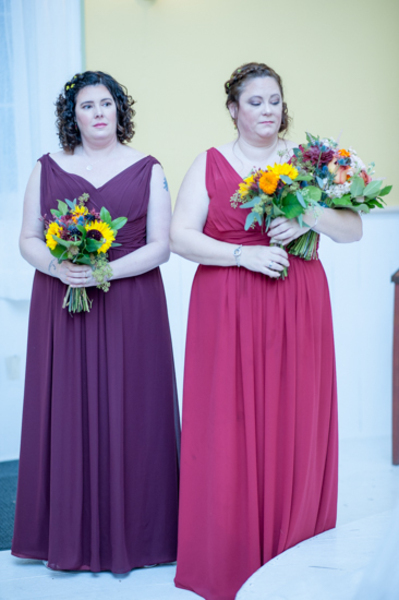 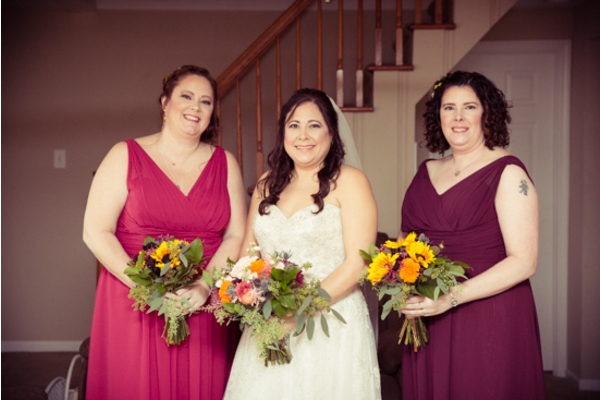 With the help of her bridesmaids, Leah slipped on her dress and sparkling jewels. 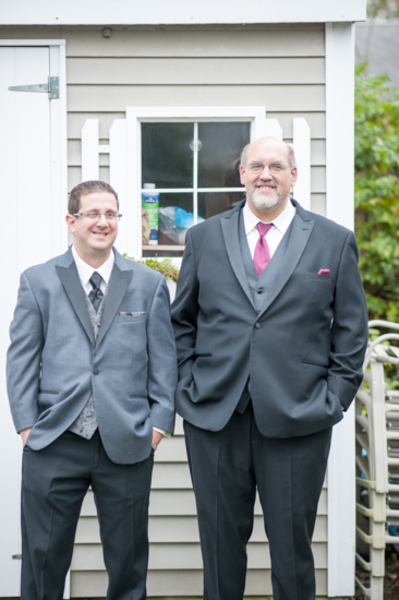 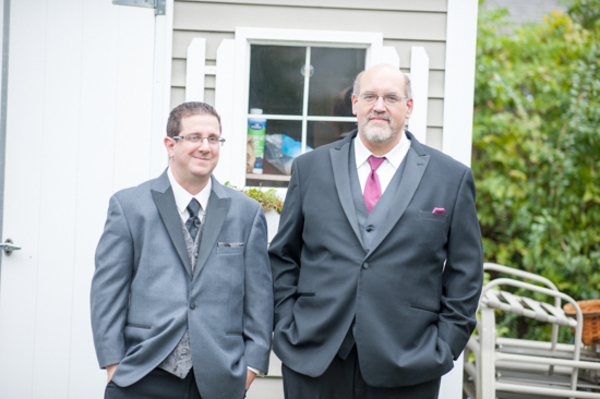 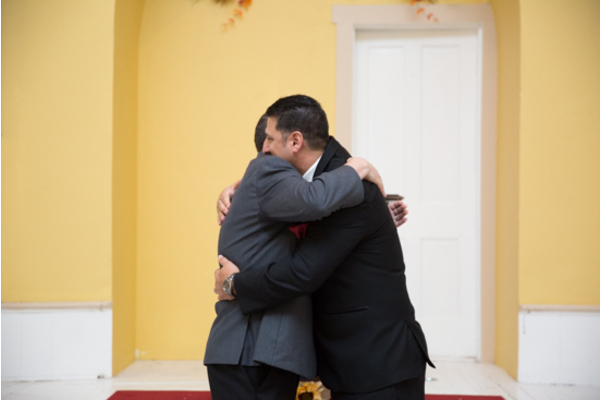 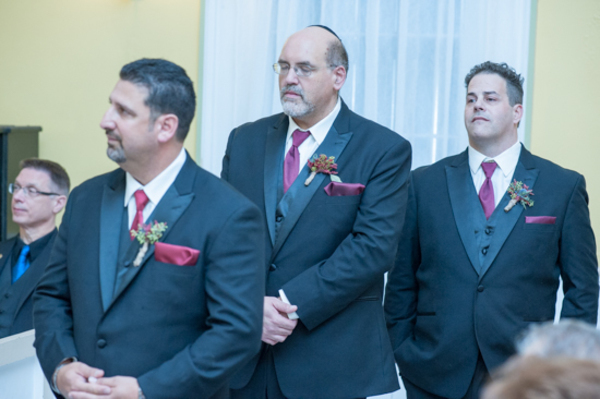 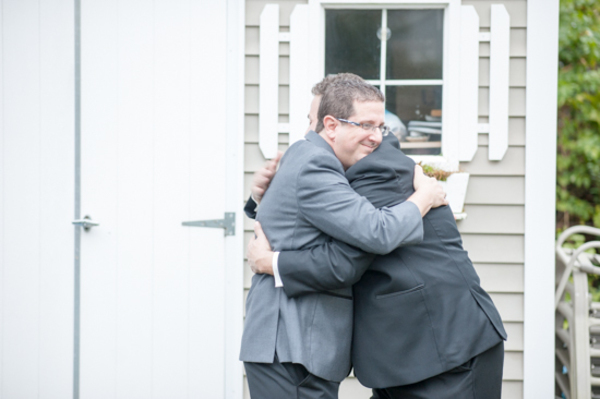 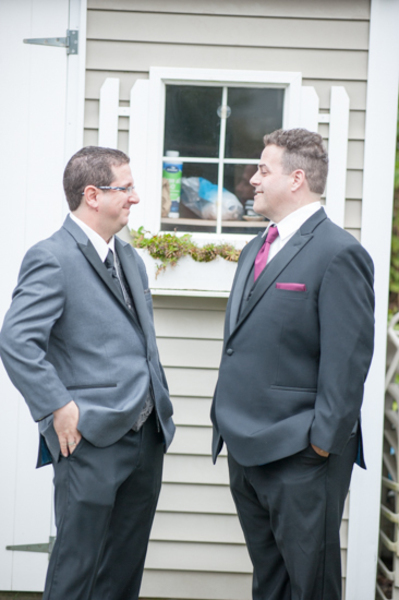 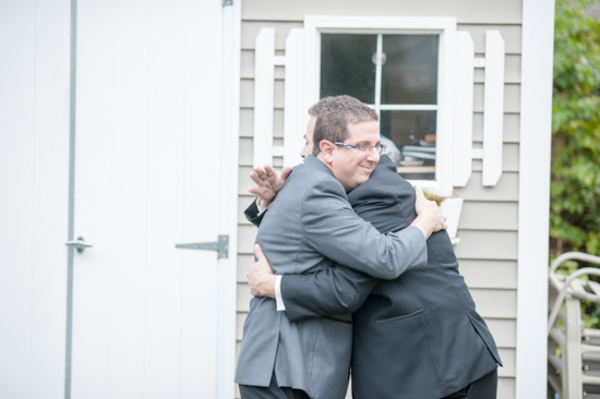 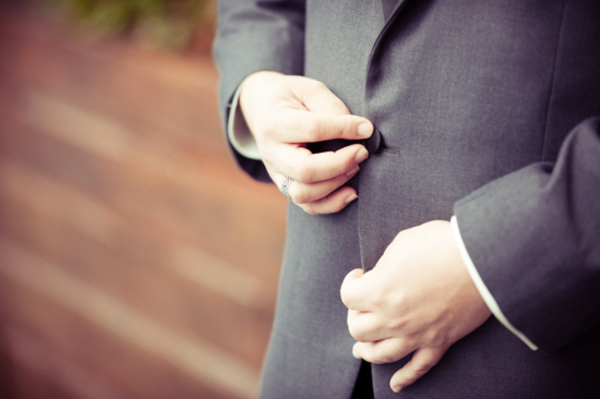 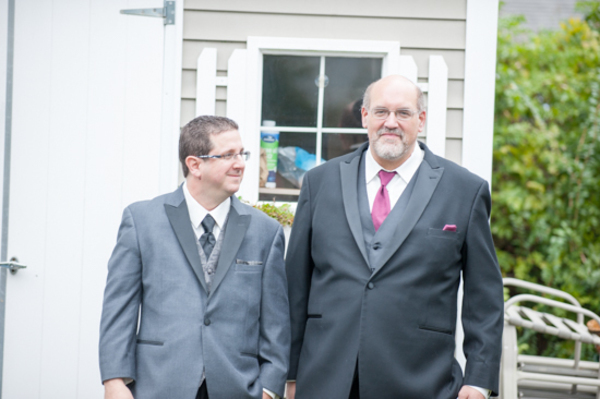 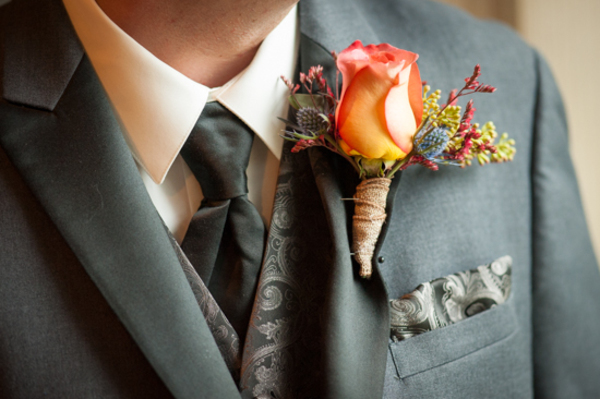 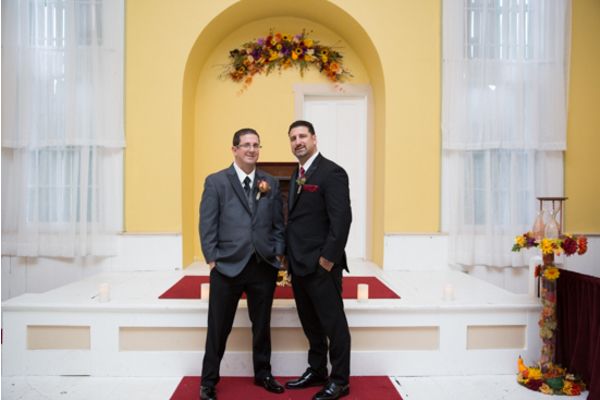 Nearby, Michael and his groomsmen were prepping for the big day together, as well. 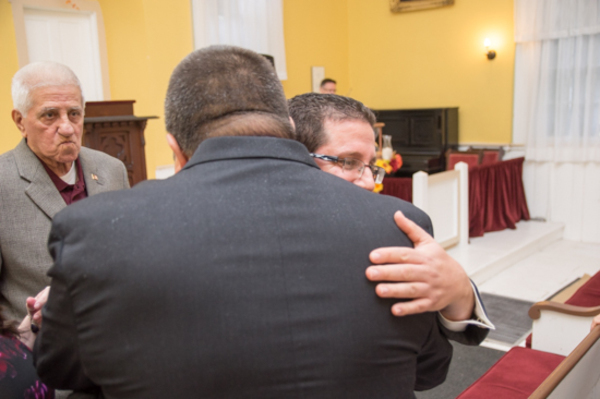 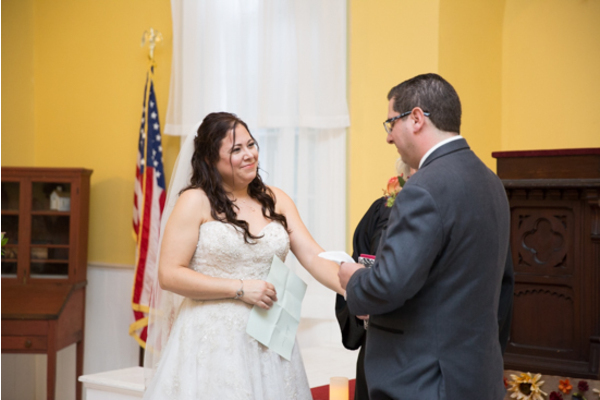 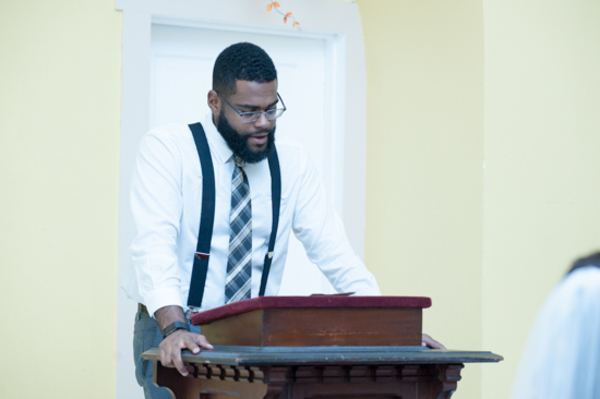 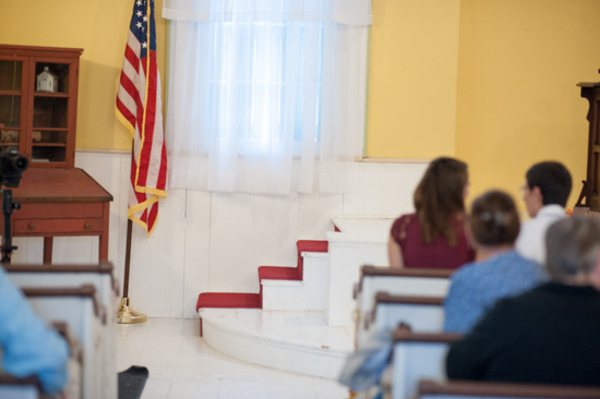 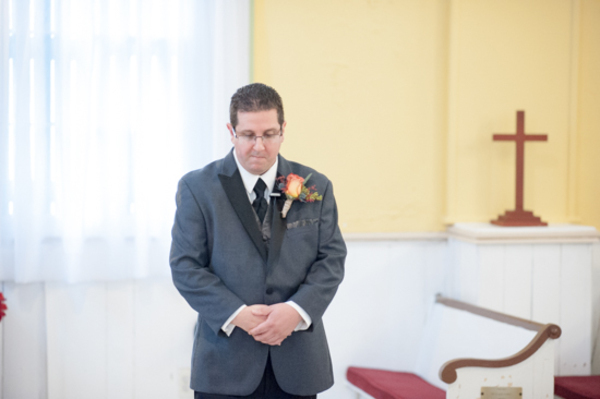 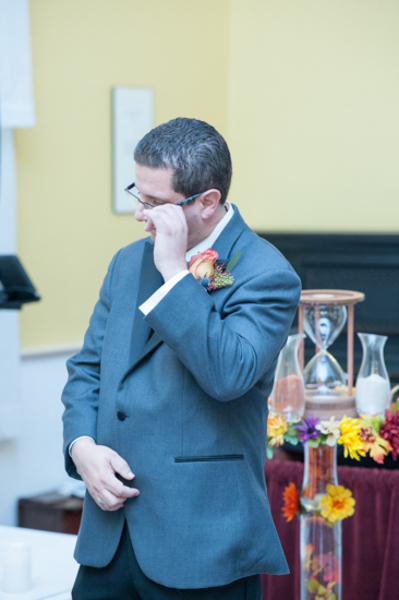 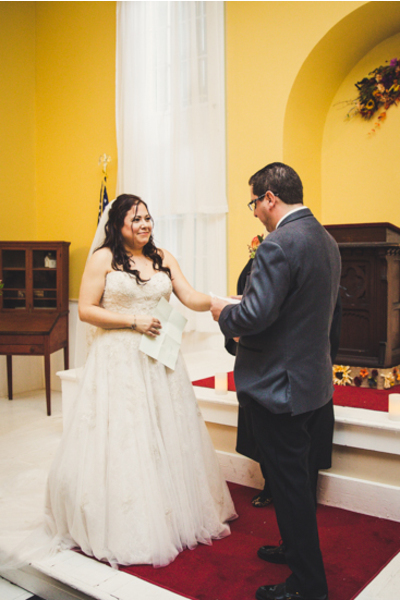 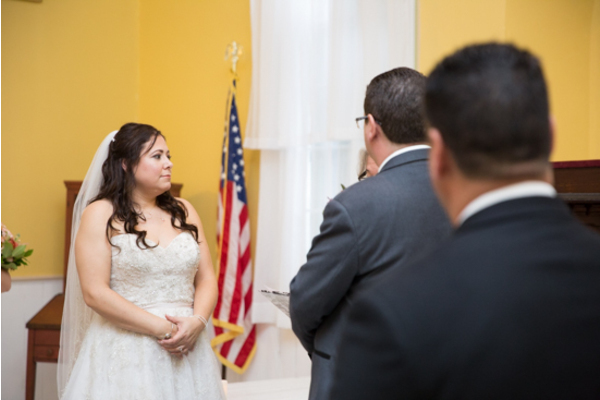 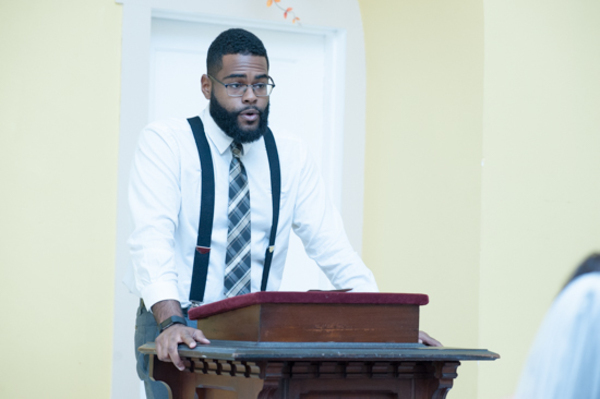 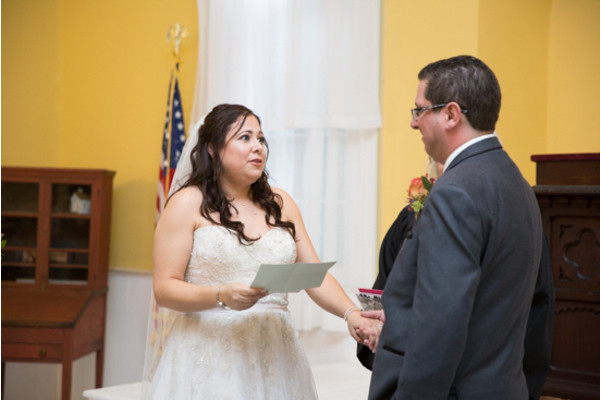 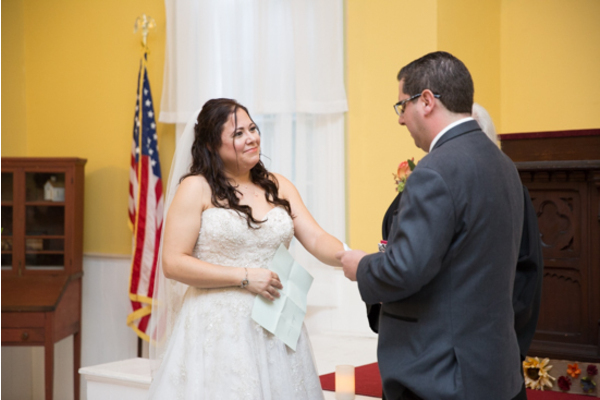 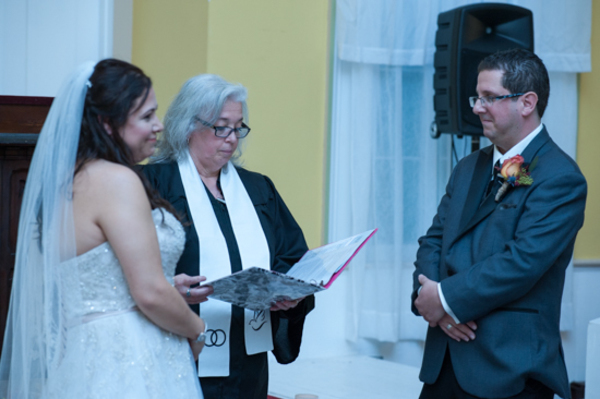 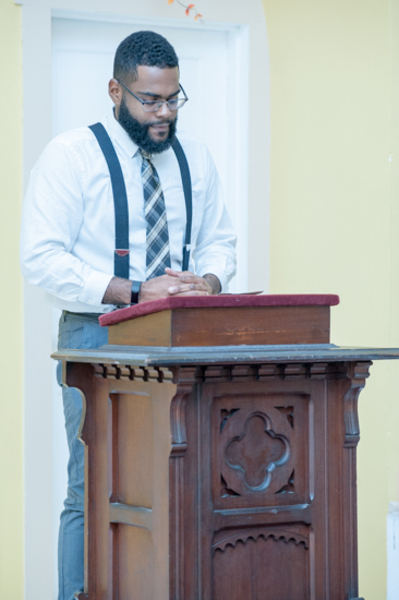 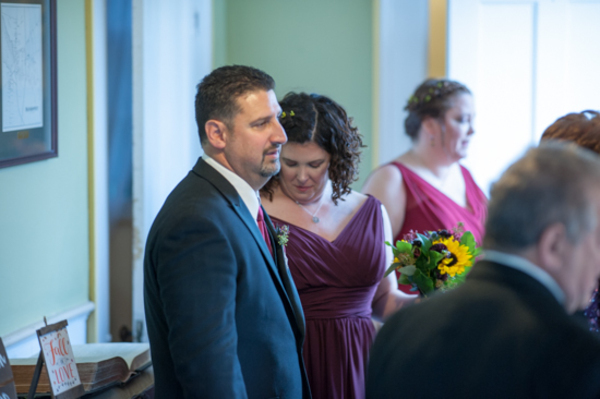 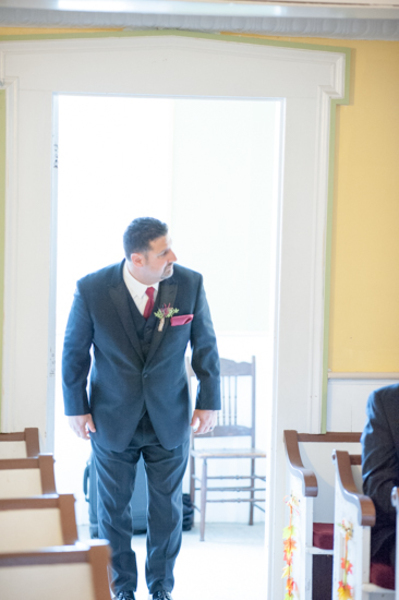 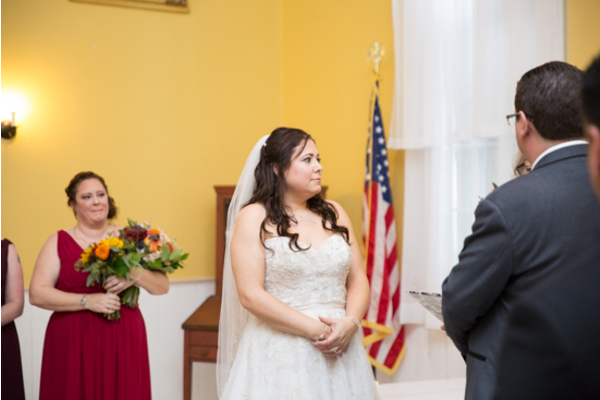 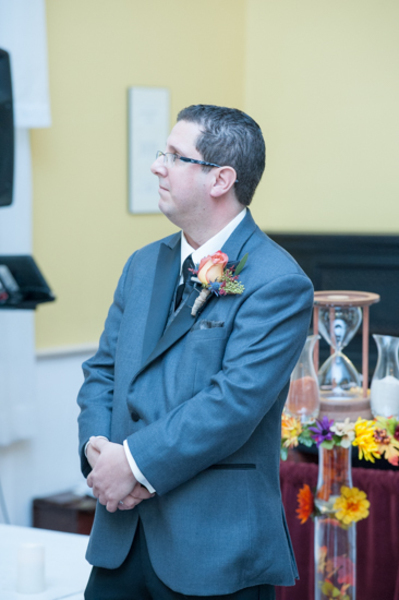 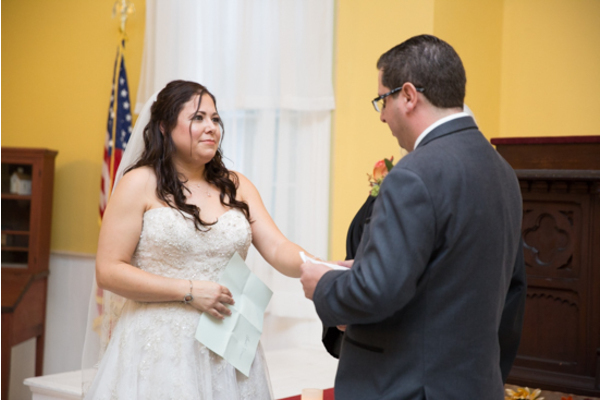 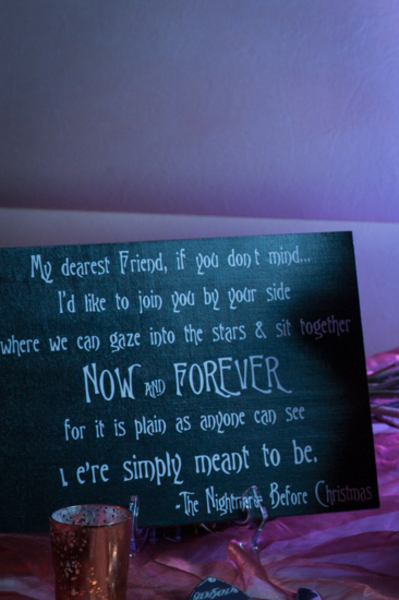 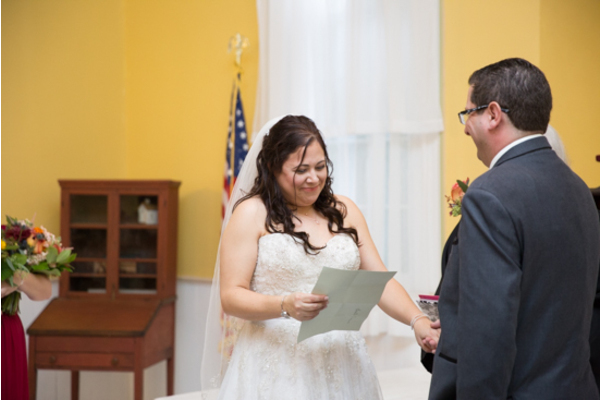 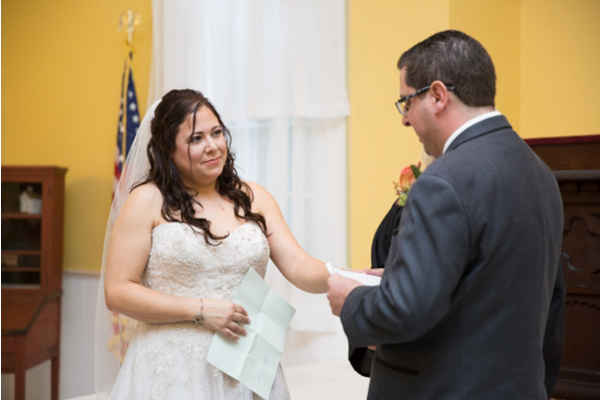 Prior to the ceremony, Michael took a few minutes alone to read a heartfelt letter his girl had left for him! 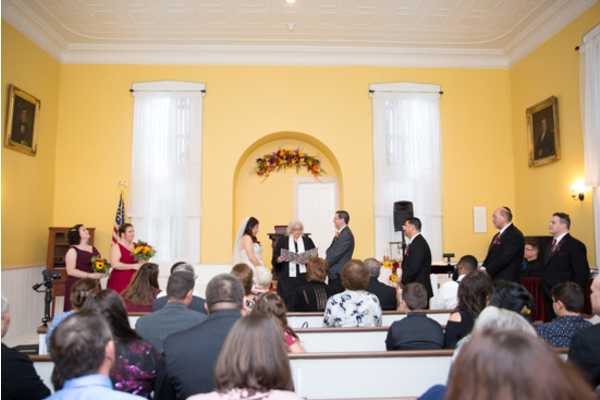 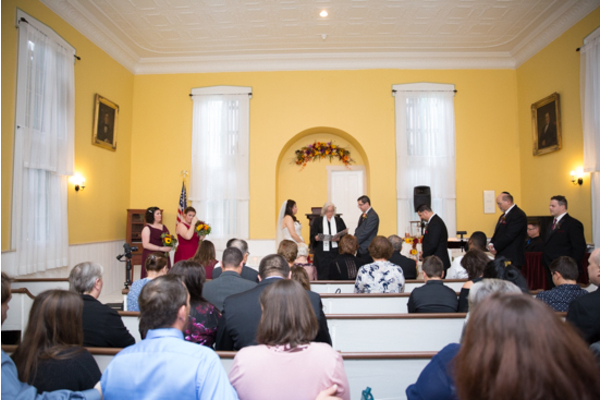 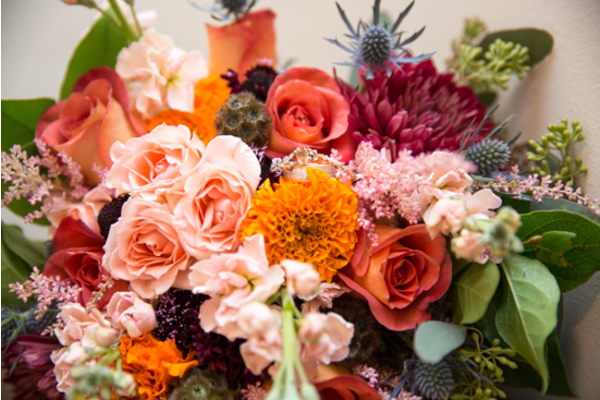 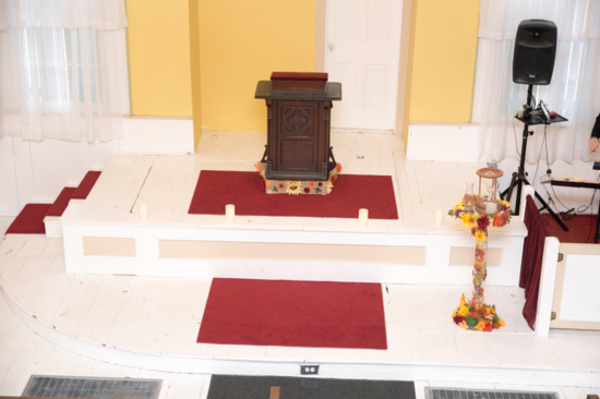 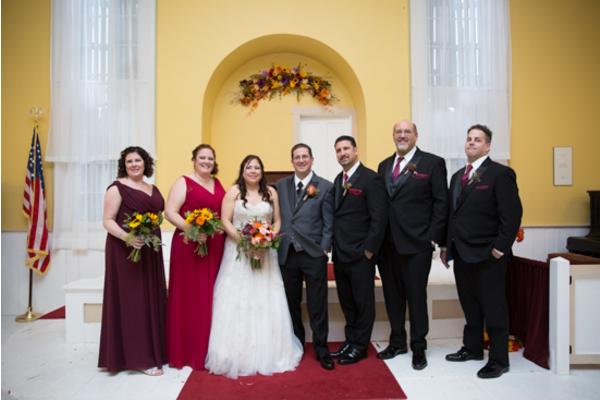 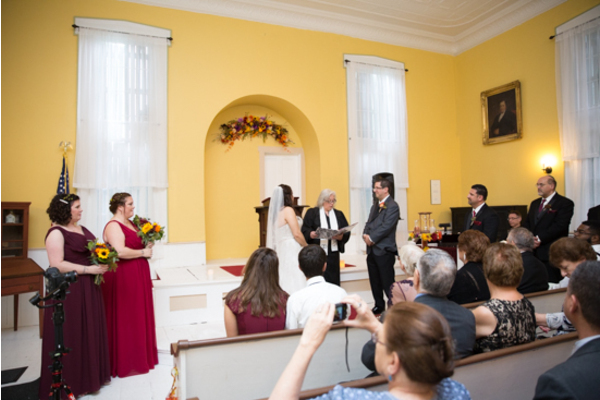 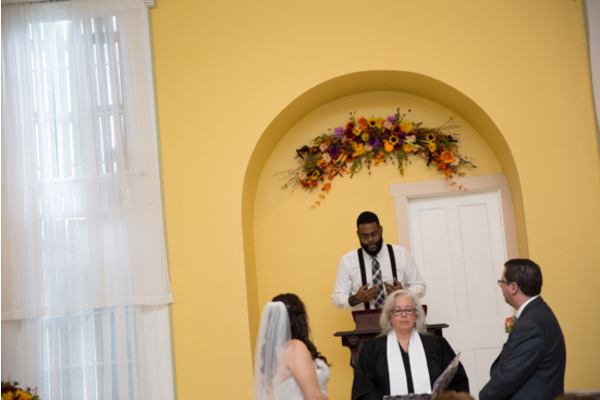 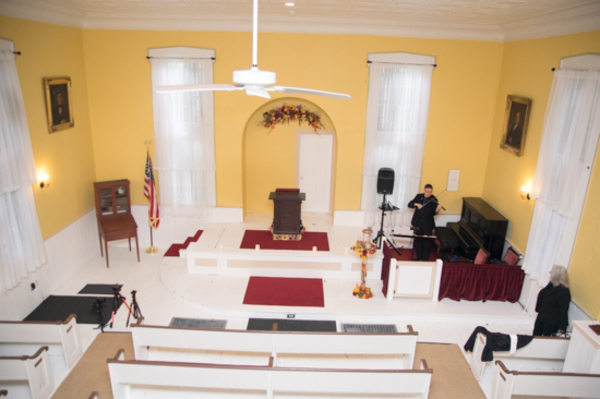 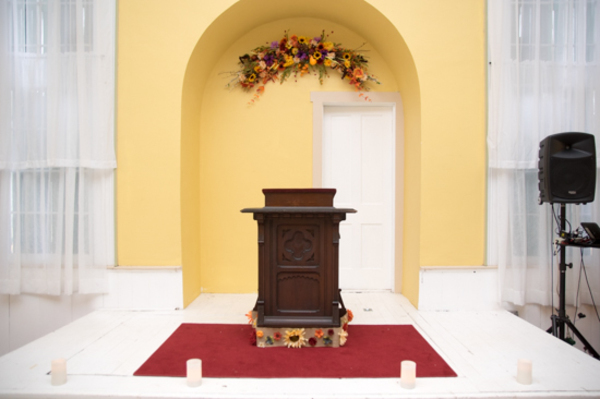 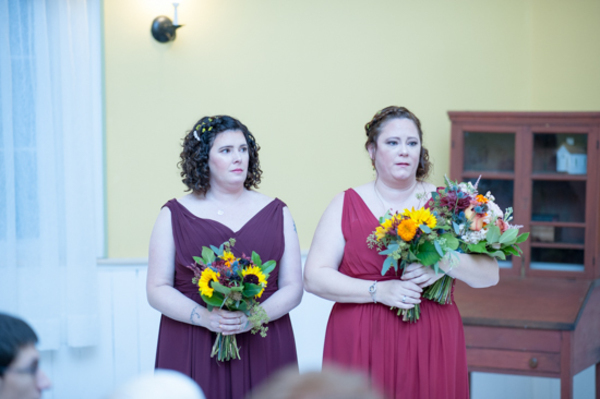 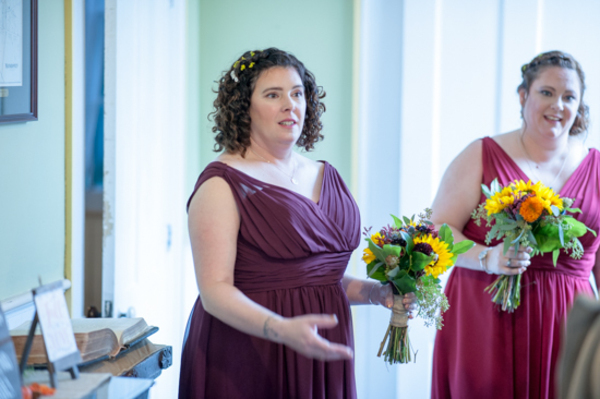 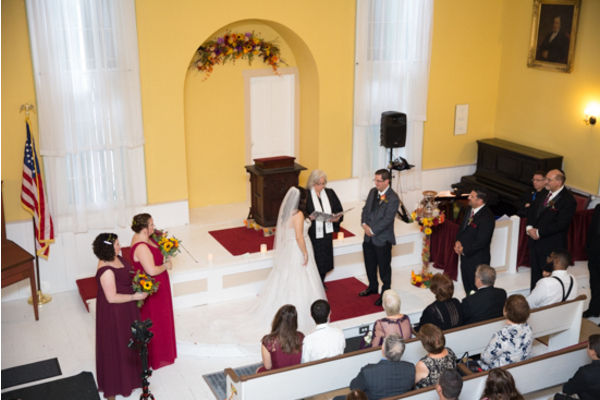 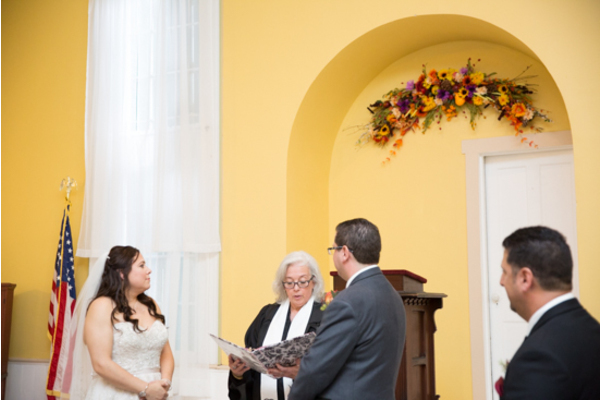 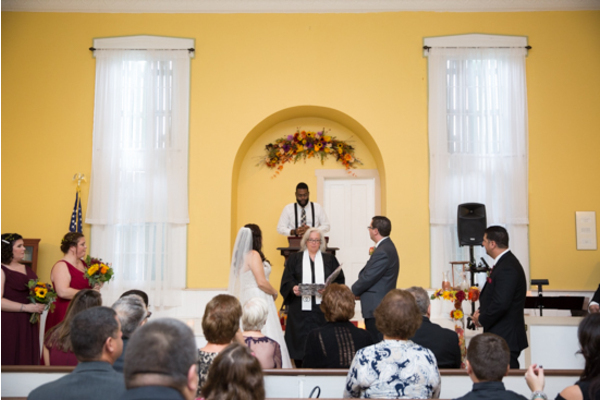 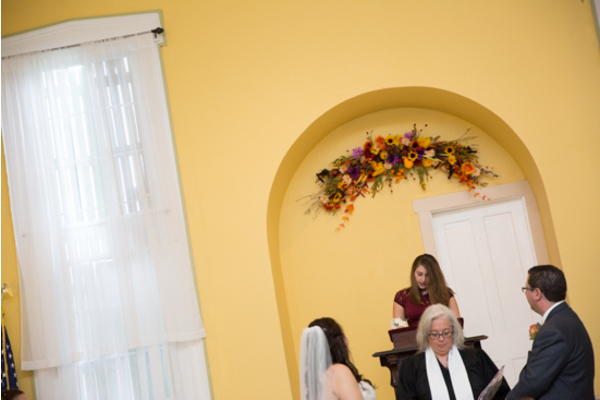 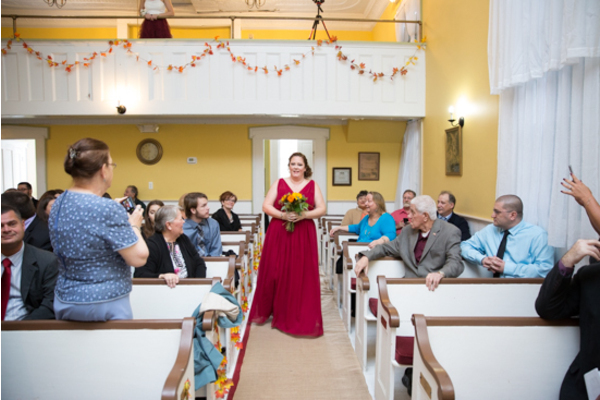 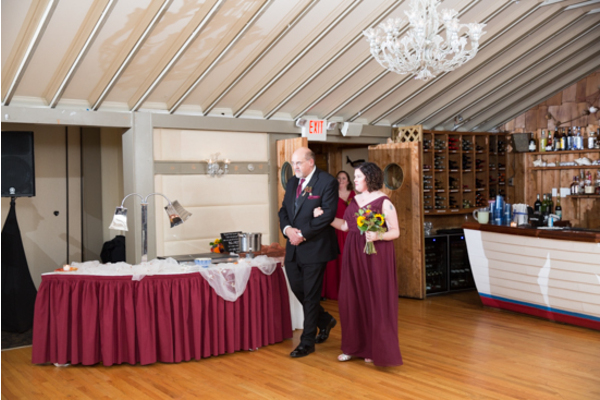 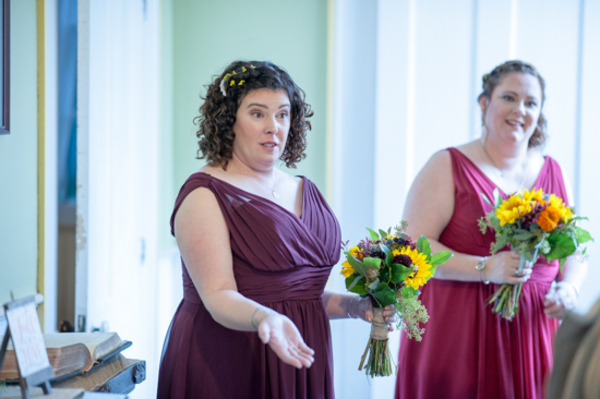 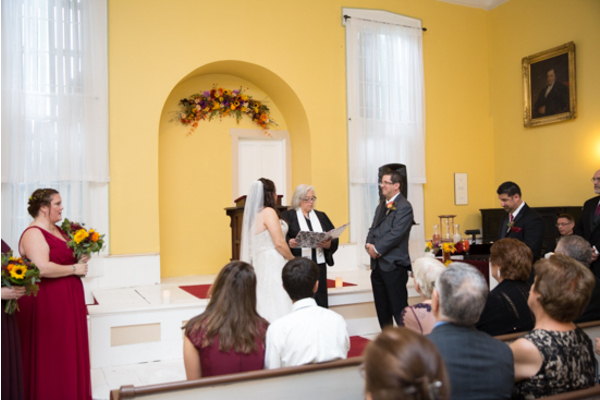 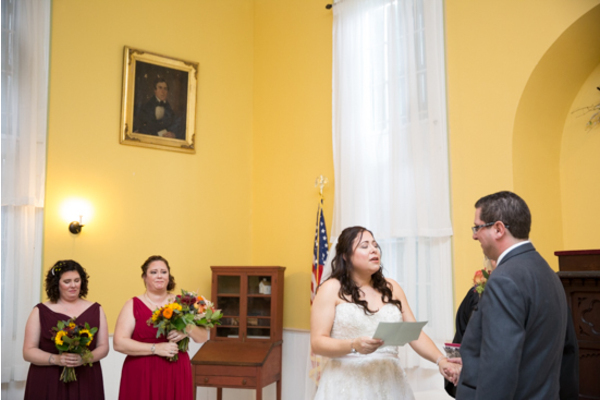 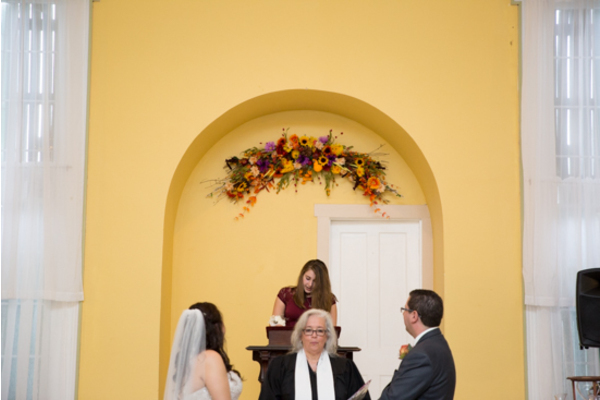 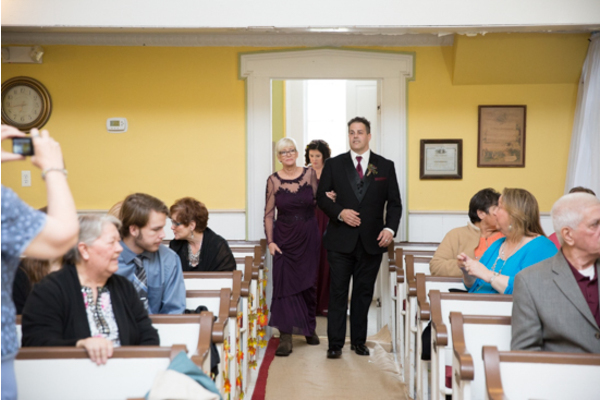 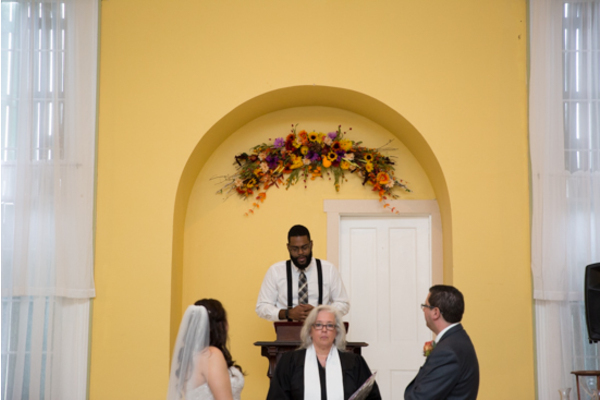 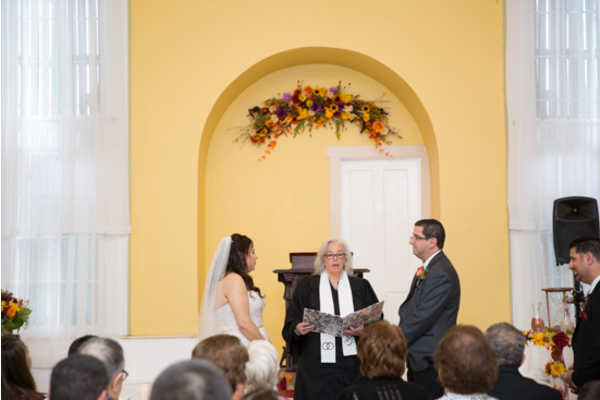 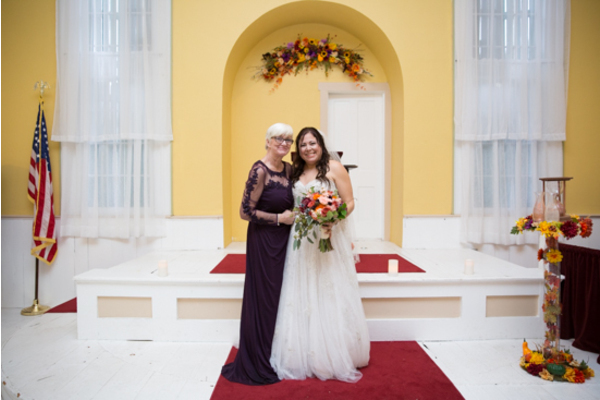 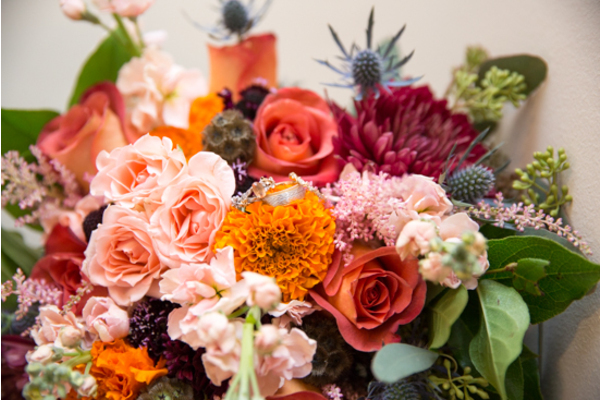 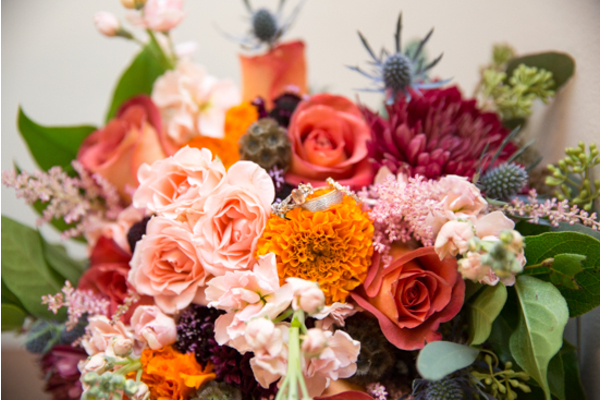 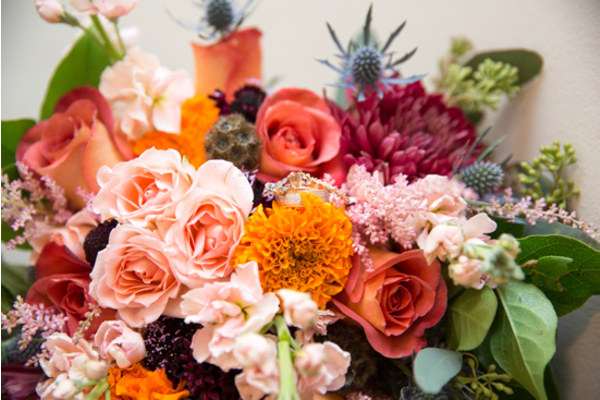 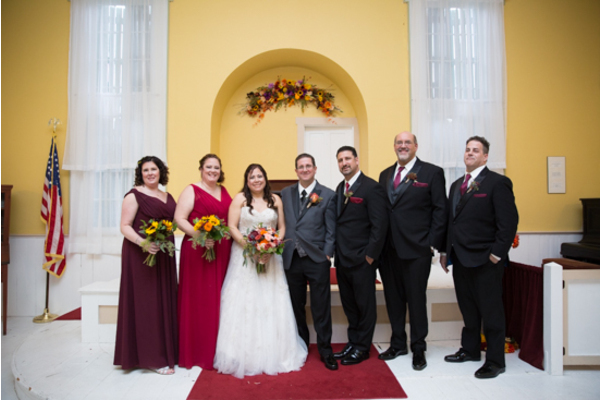 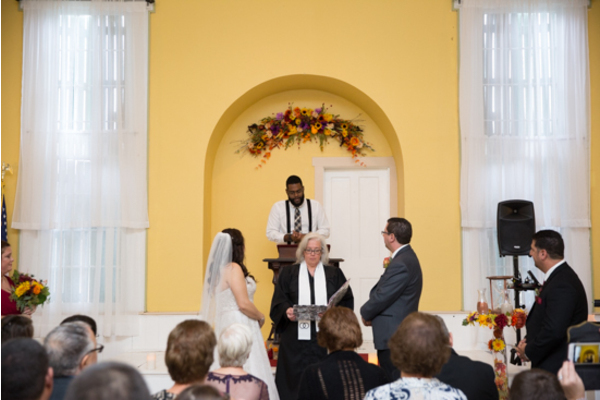 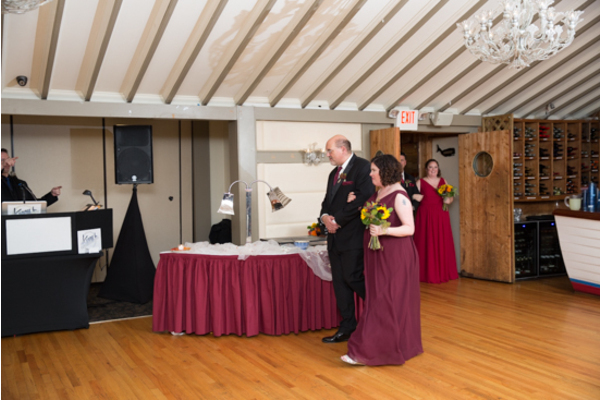 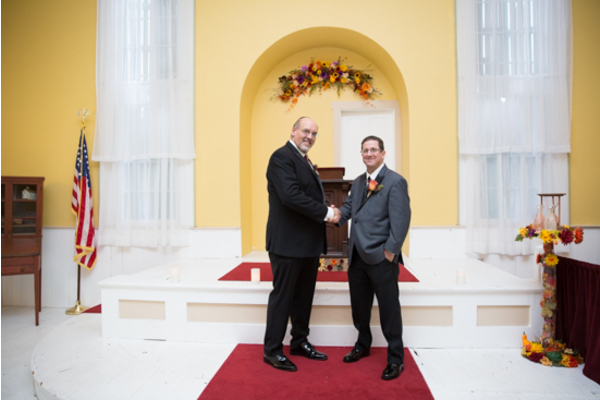 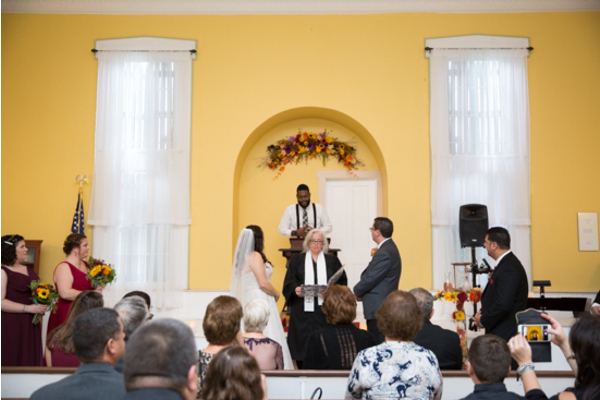 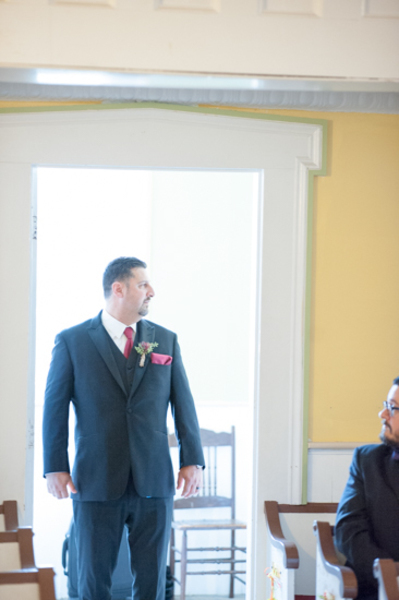 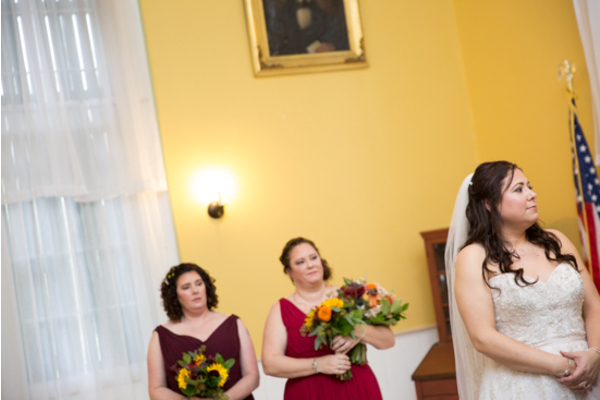 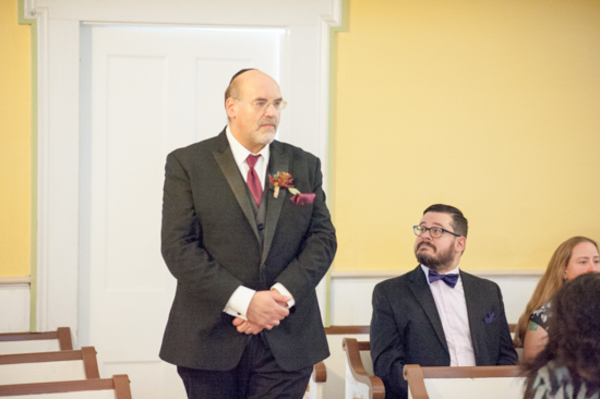 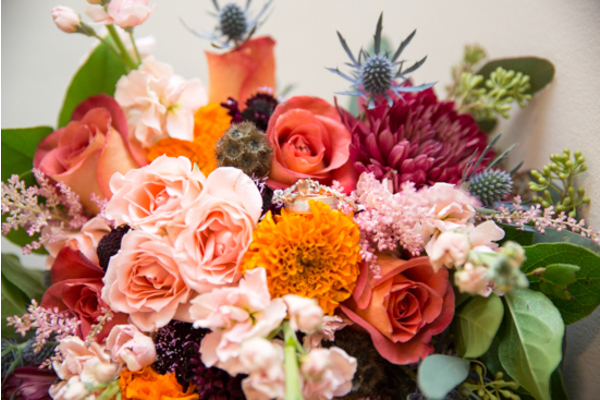 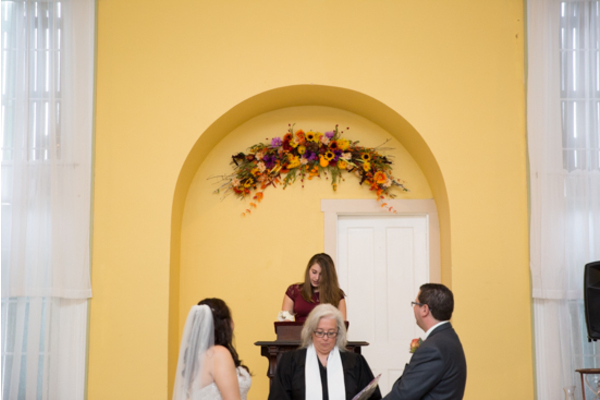 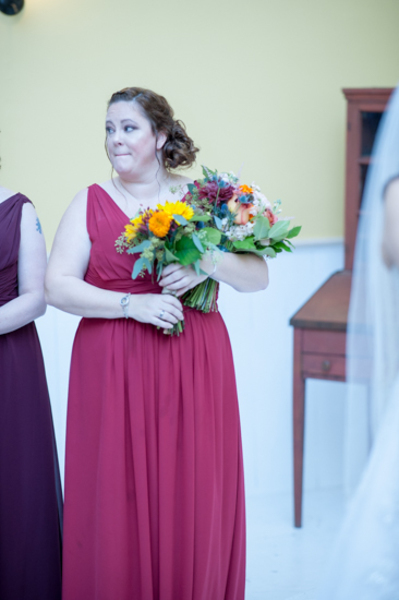 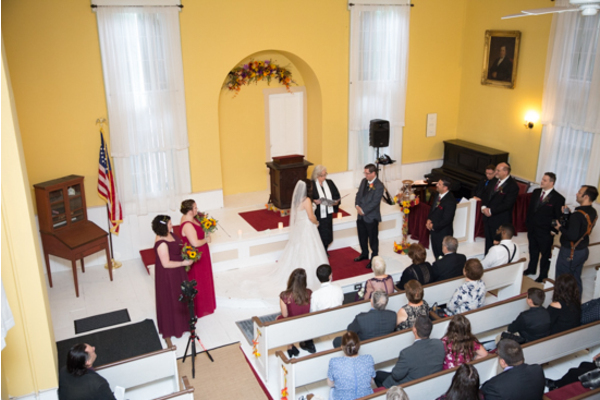 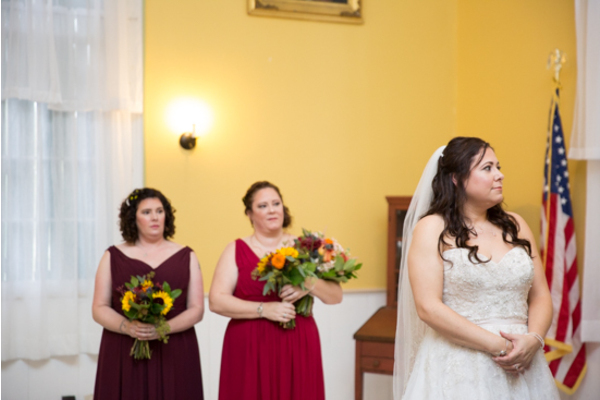 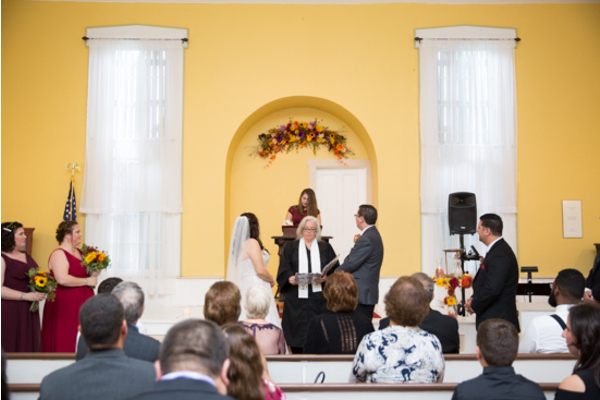 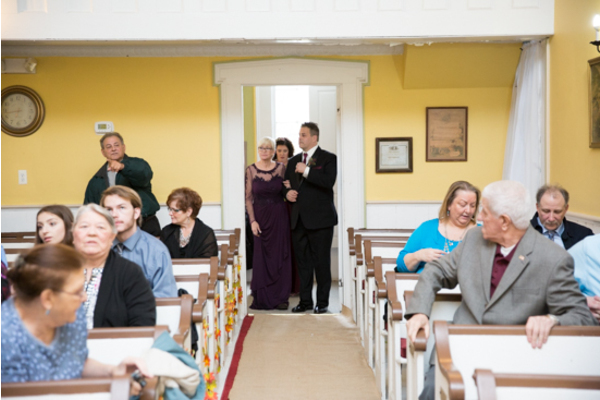 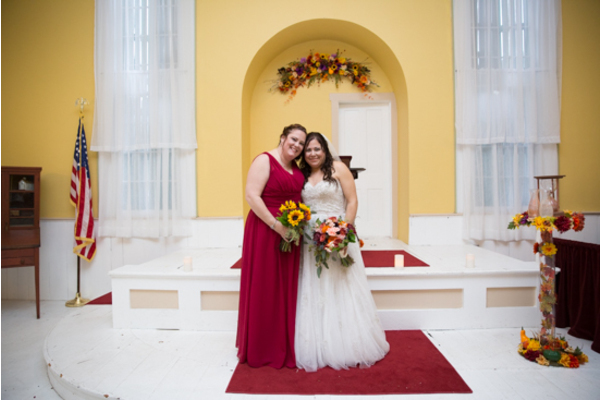 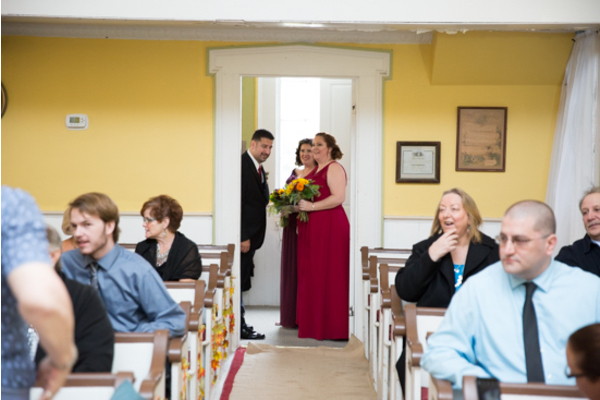 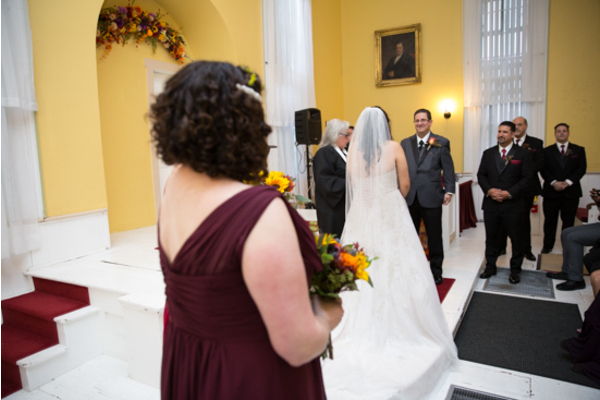 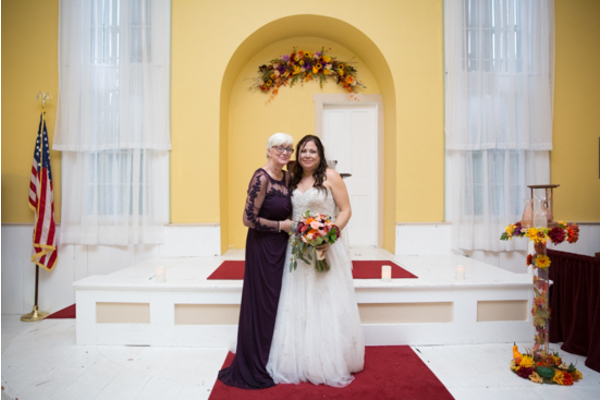 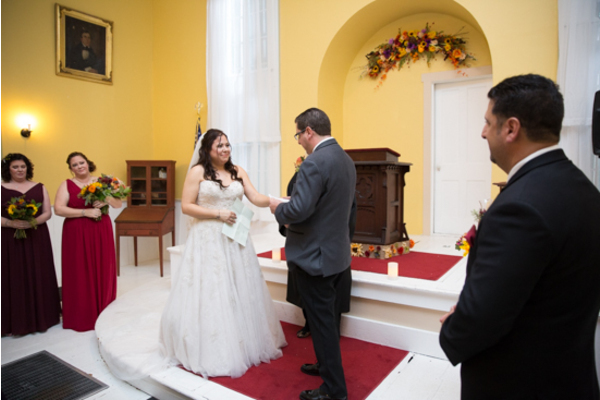 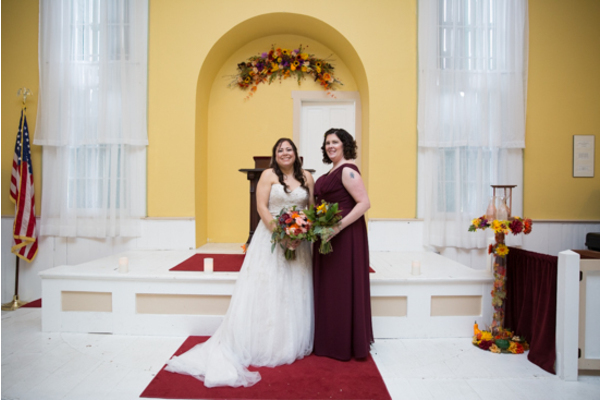 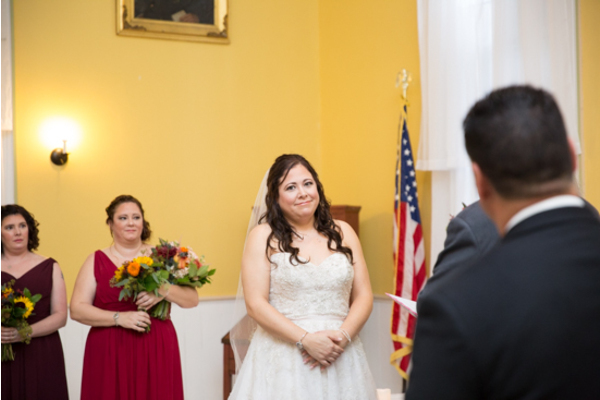 The ceremony room was so bright and vibrant! 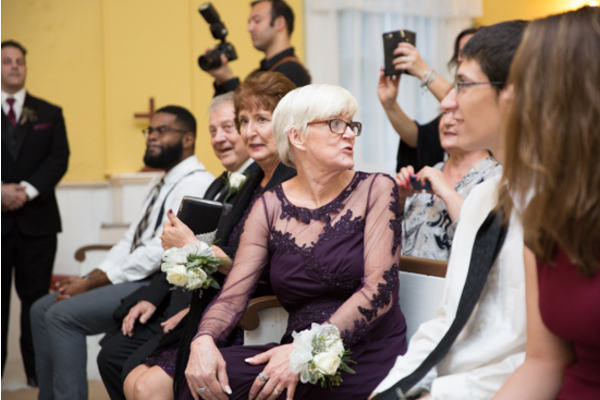 Friends and Family of the bride and groom filed into their seats getting excited to watch this couple finally marry! 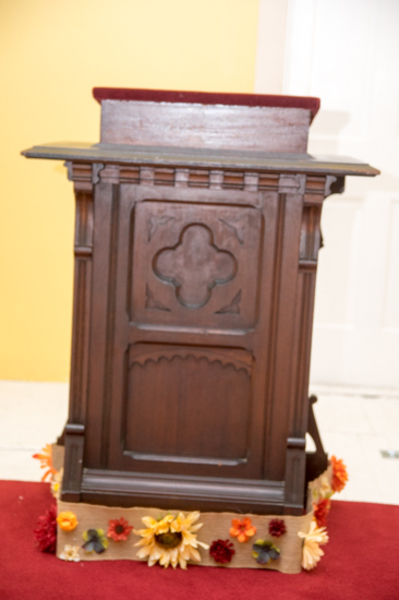 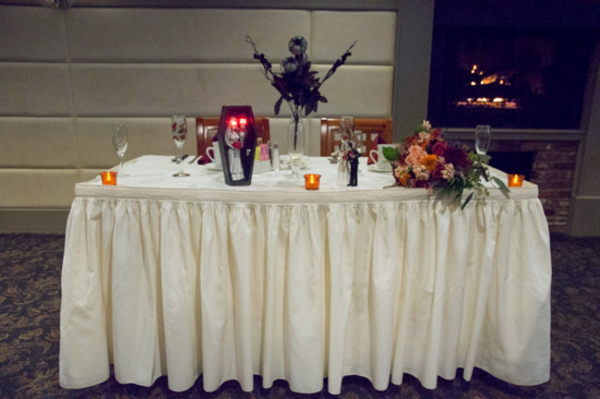 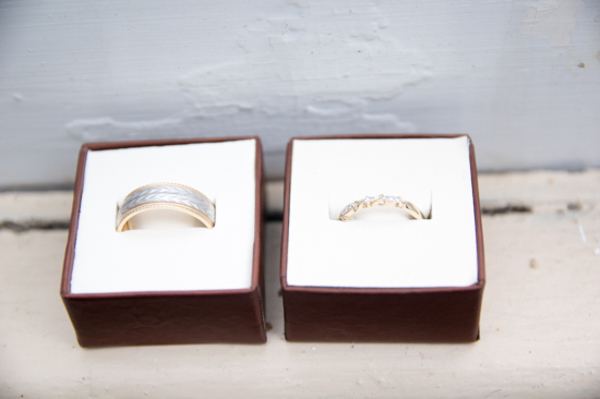 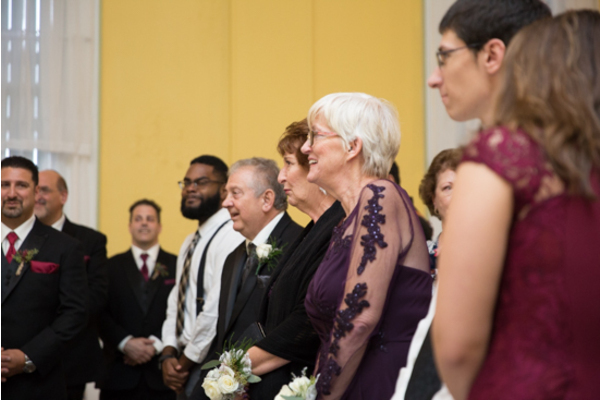 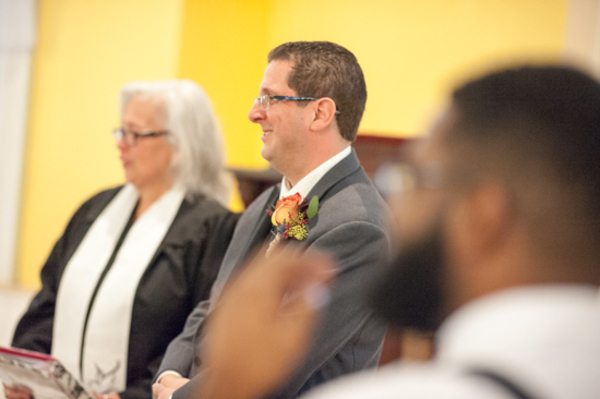 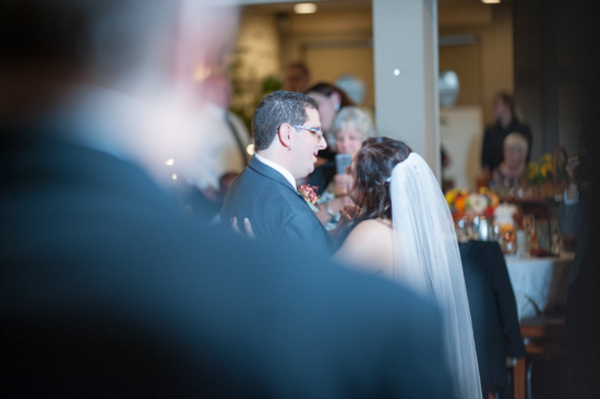 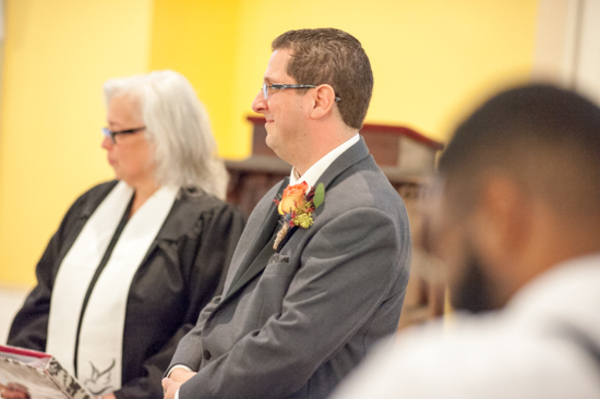 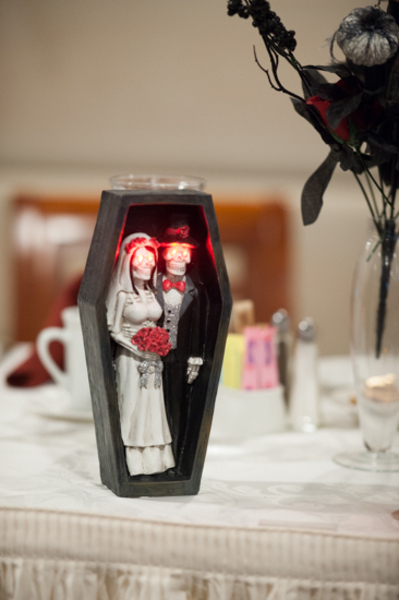 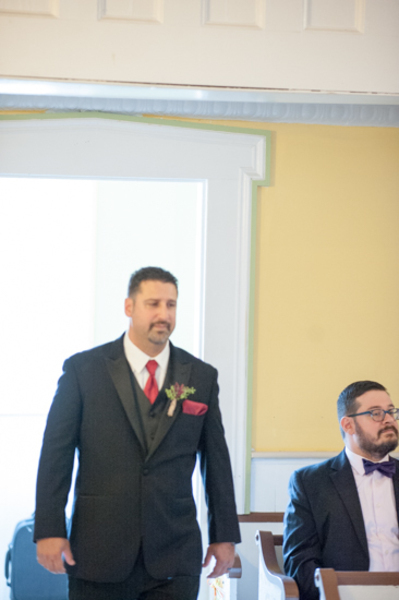 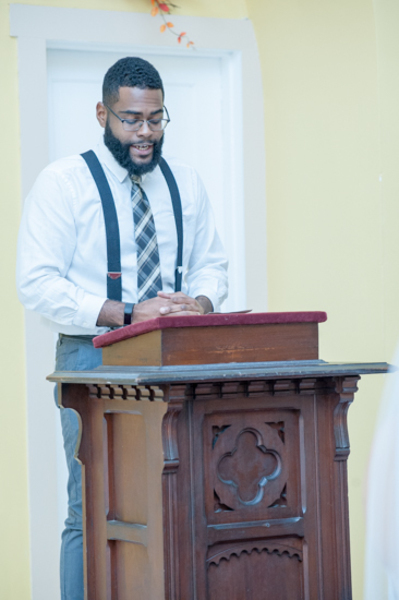 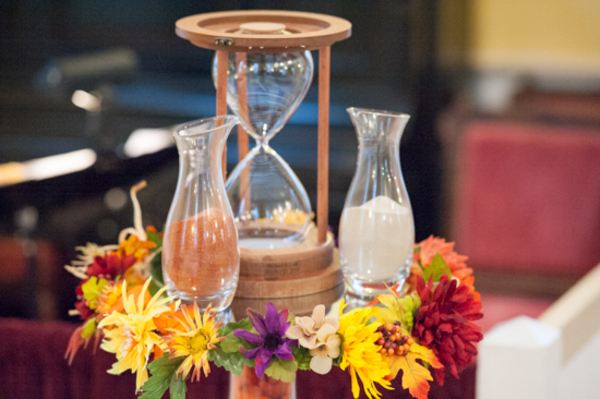 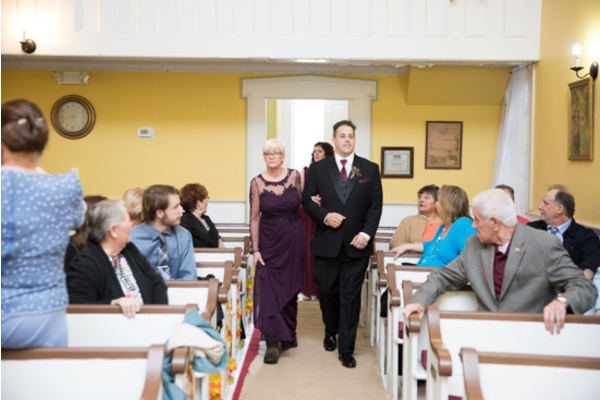 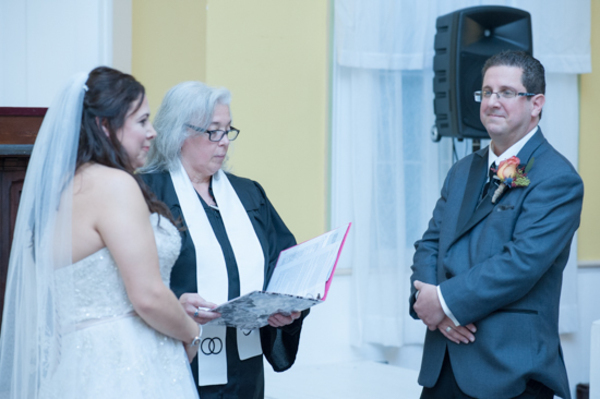 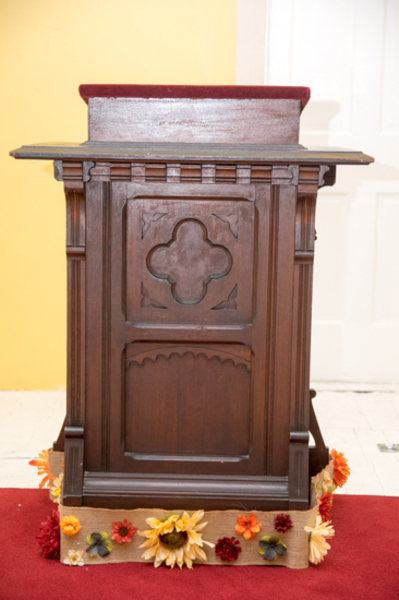 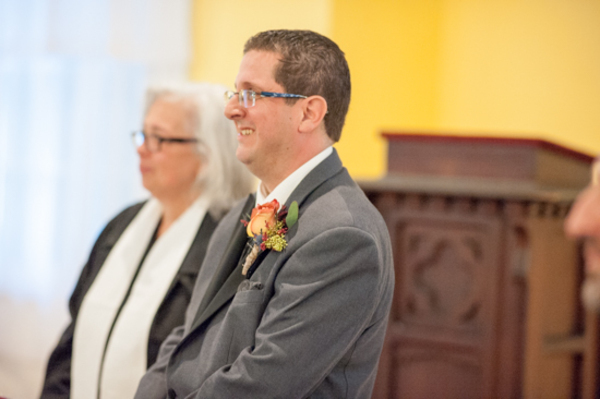 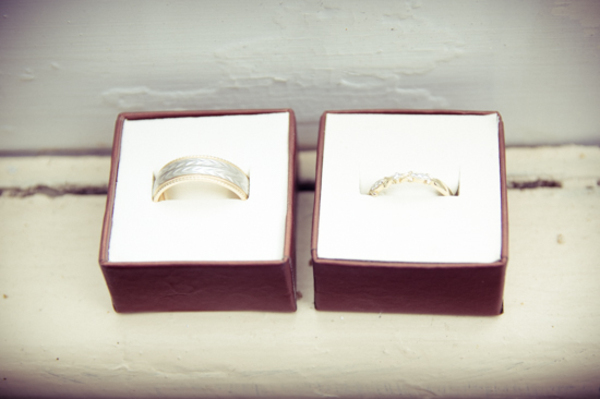 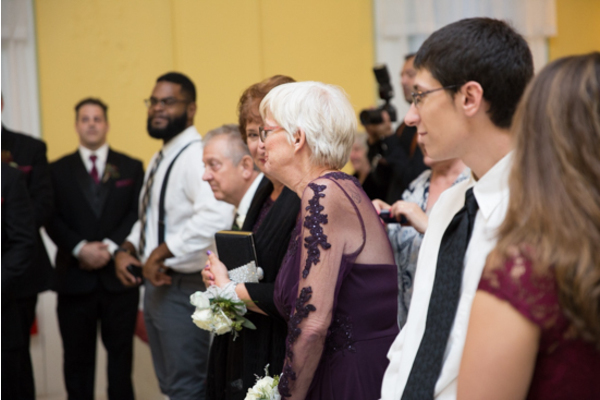 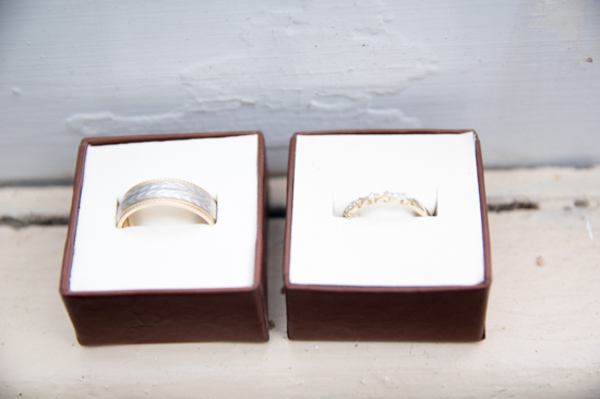 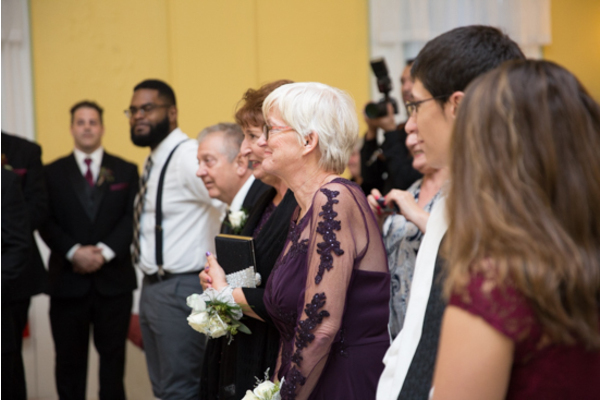 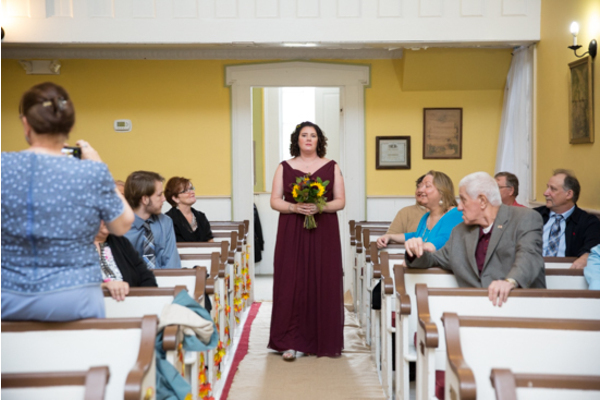 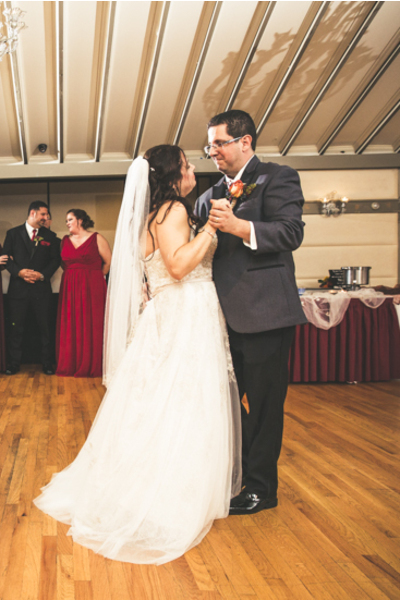 All guests in attendance smiled wide as the soon-to-be Mr. and Mrs. stood up at the alter. 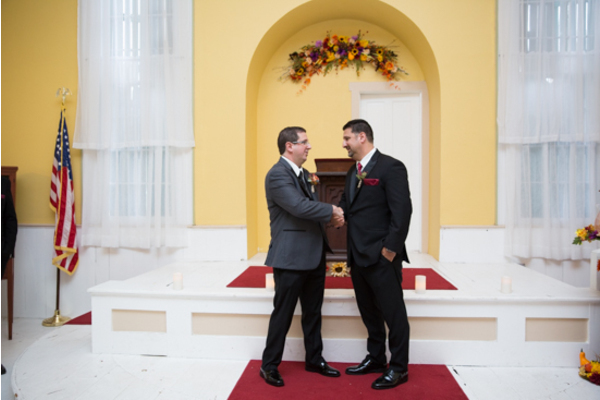 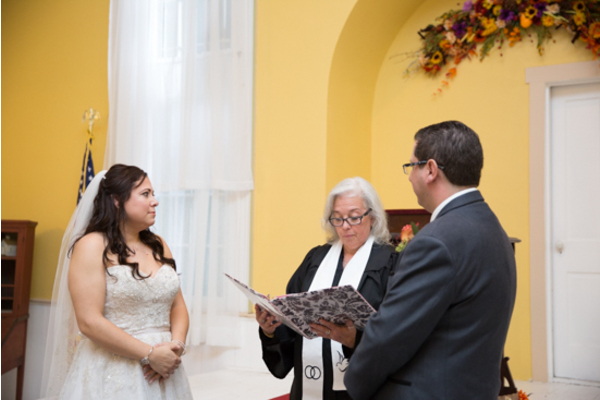 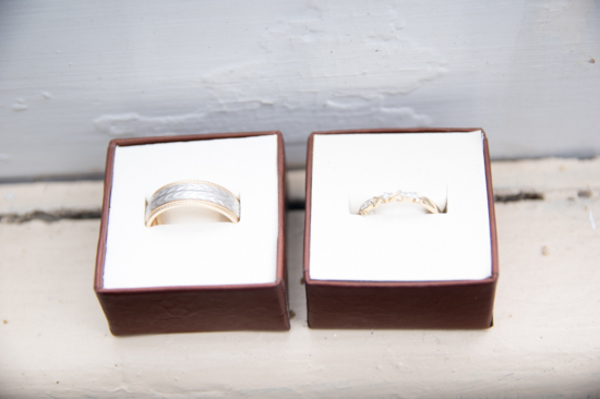 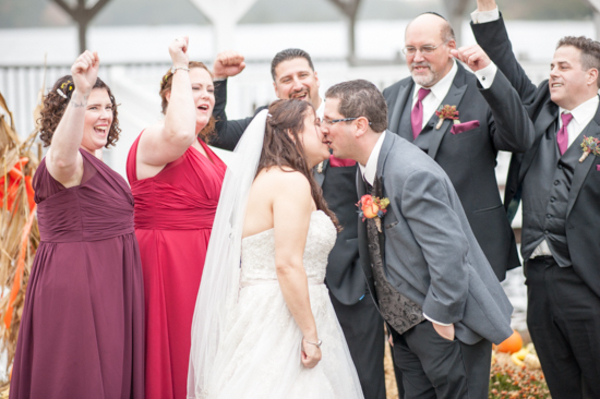 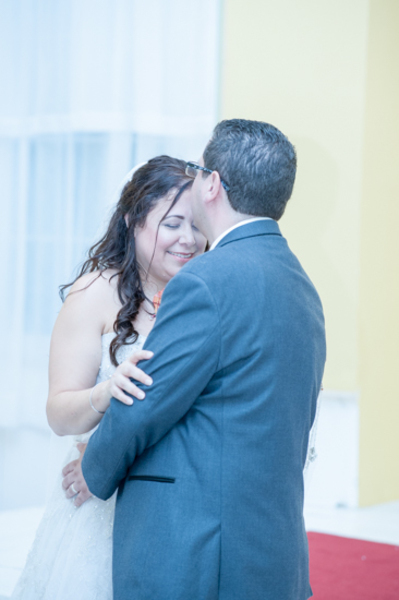 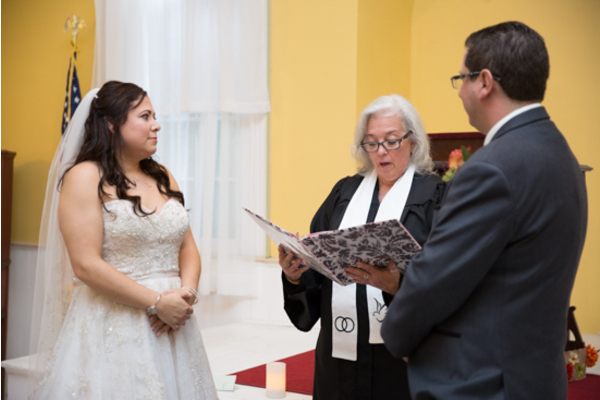 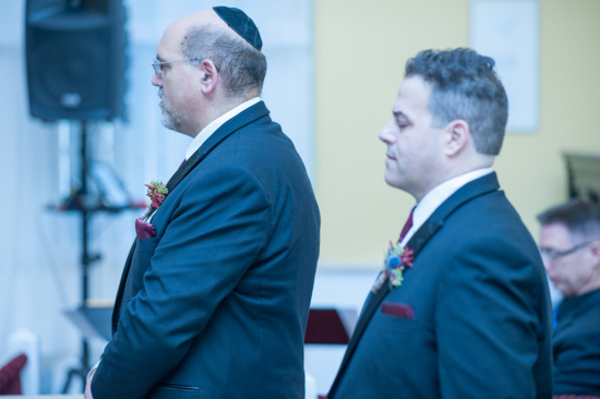 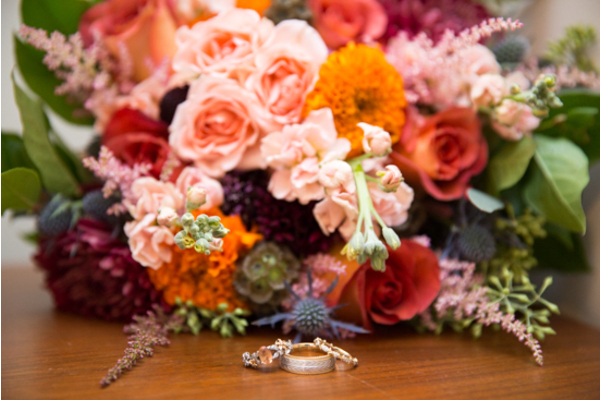 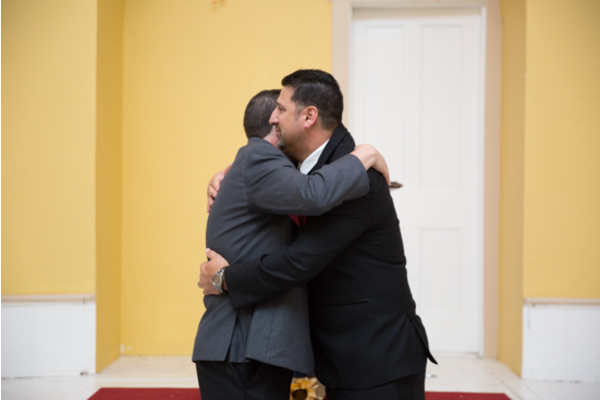 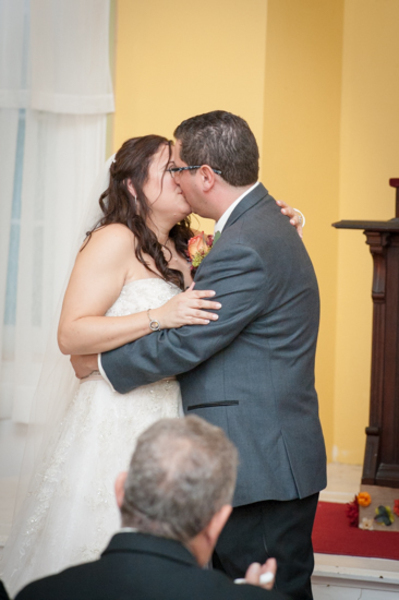 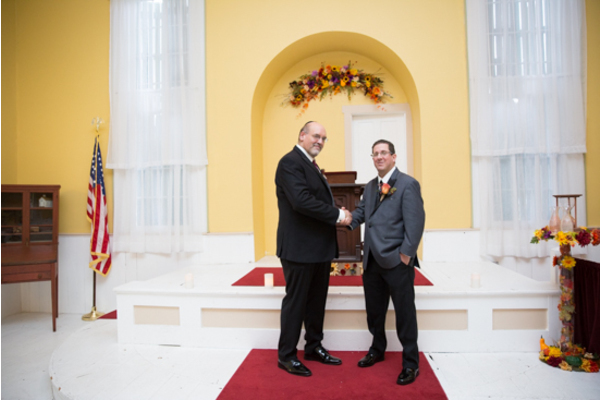 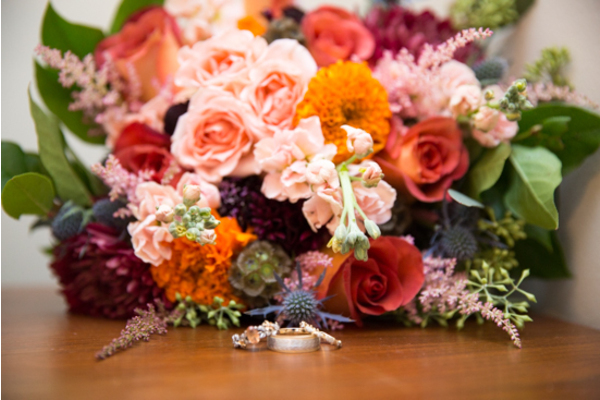 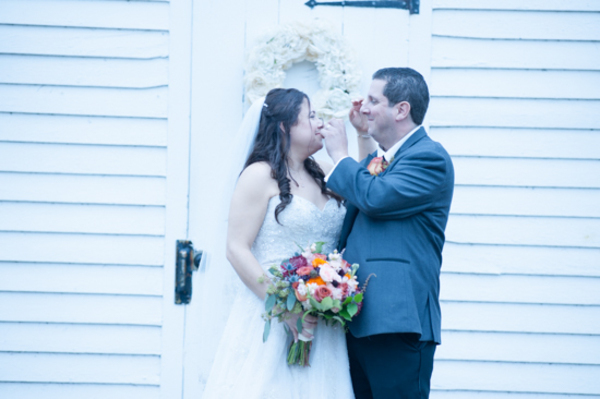 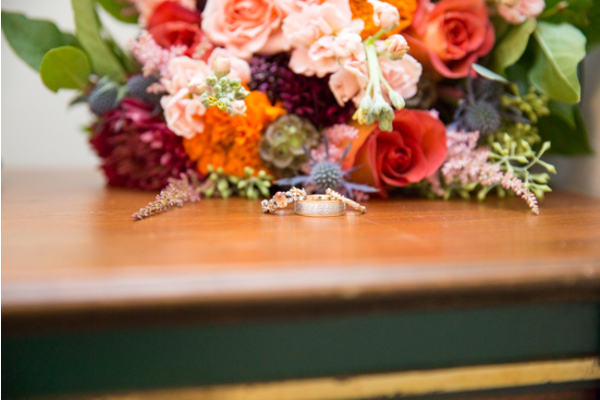 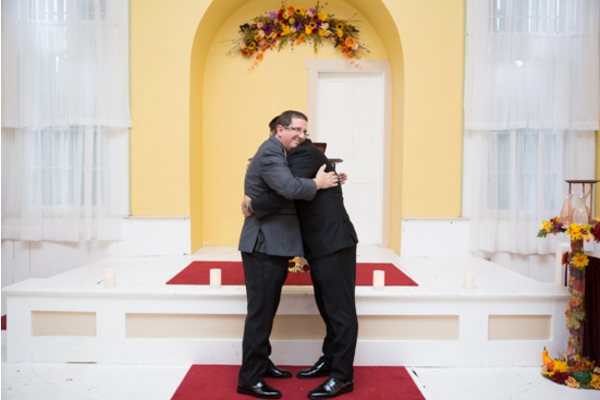 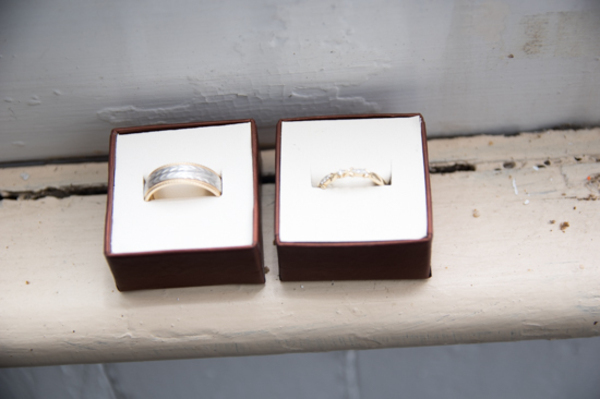 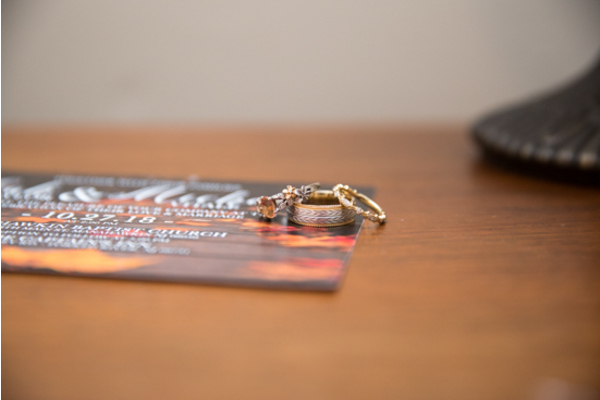 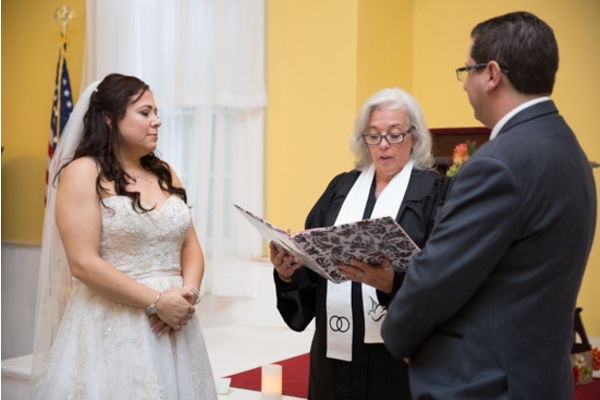 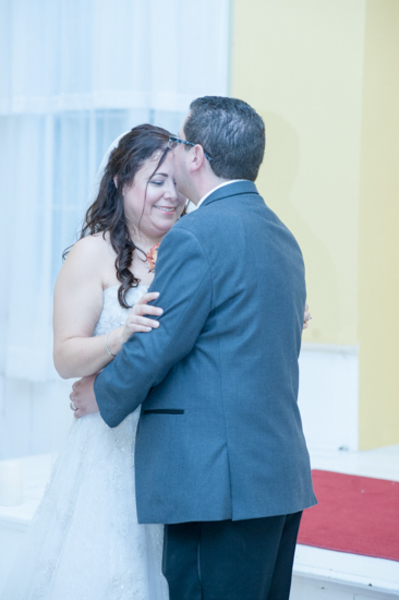 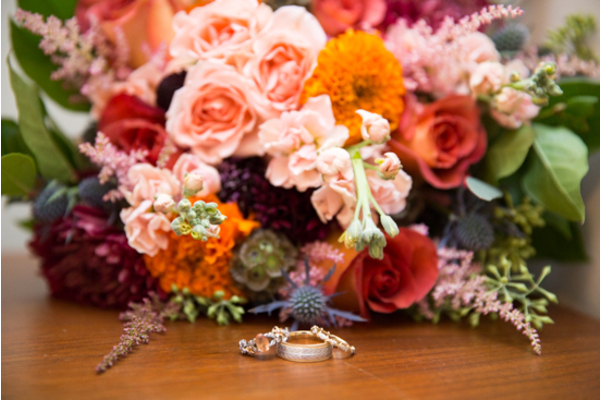 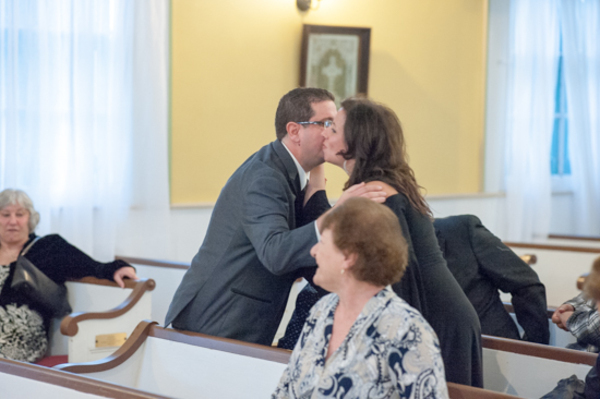 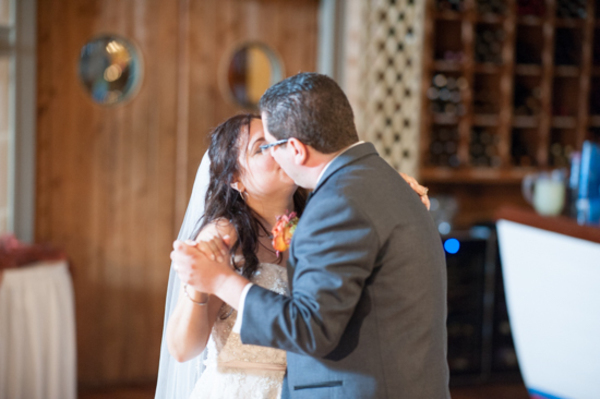 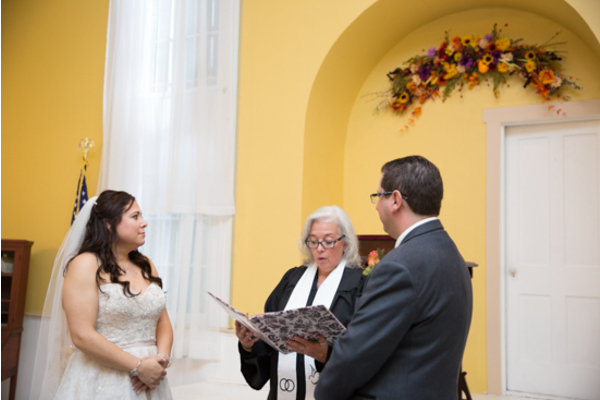 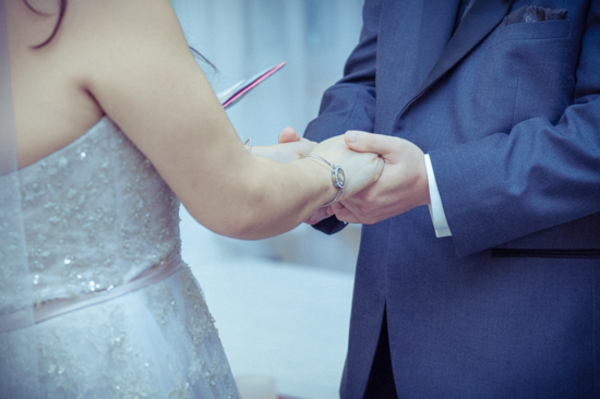 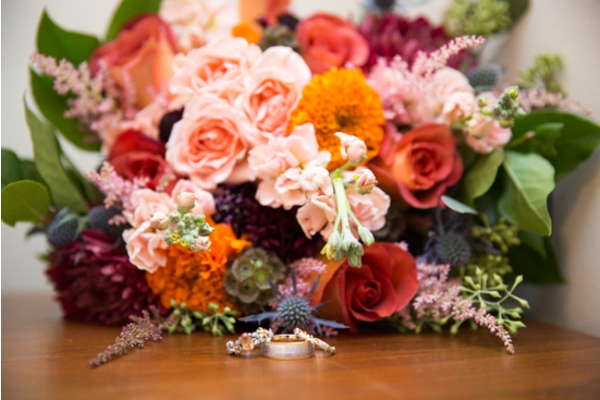 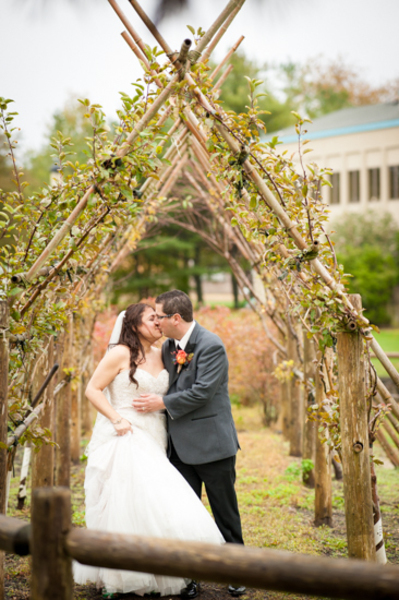 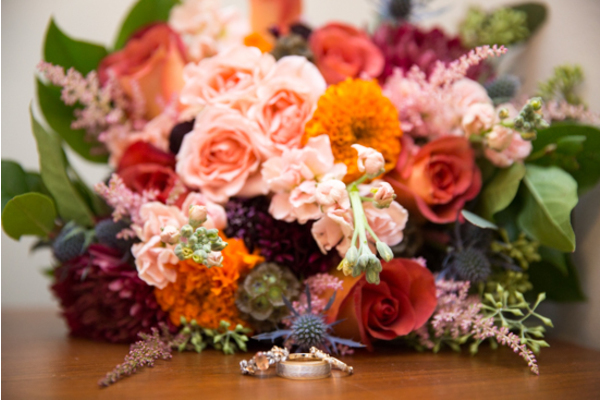 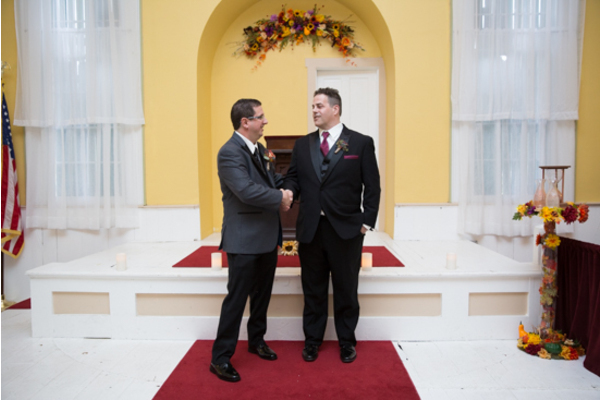 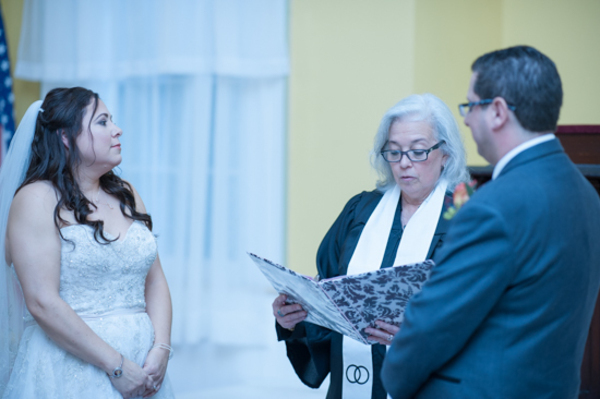 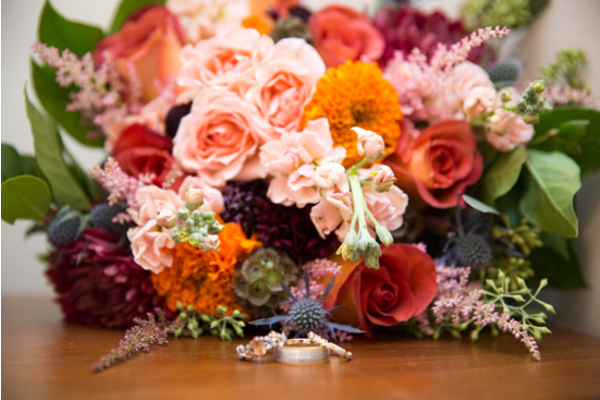 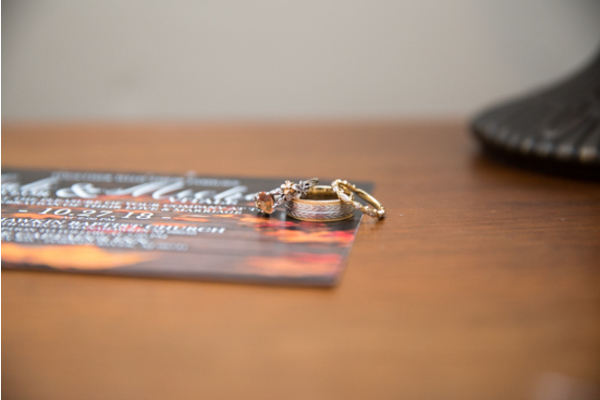 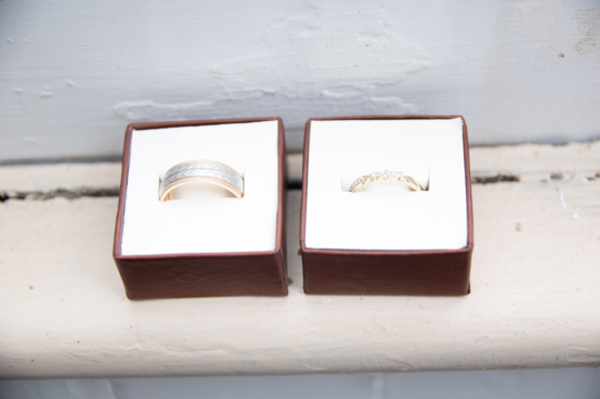 They were surrounded by loved ones as they shared their vows and sealed their promises with a passionate kiss! 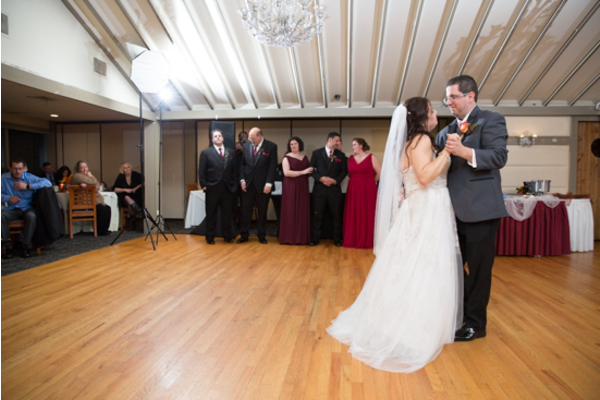 Before heading to the reception, everyone headed outside with our NJ Wedding Photographer to take some fun photos for the couple to remember their day forever! 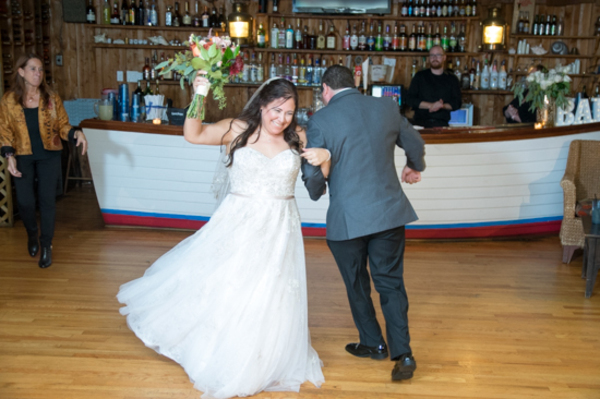 Ready to celebrate, the newlyweds cheered their way inside the venue and started the party with their first dance together. 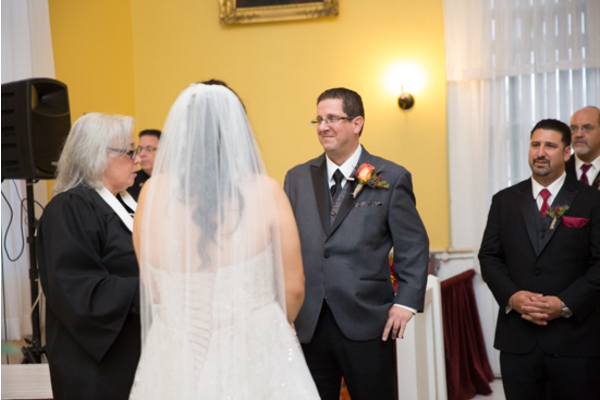 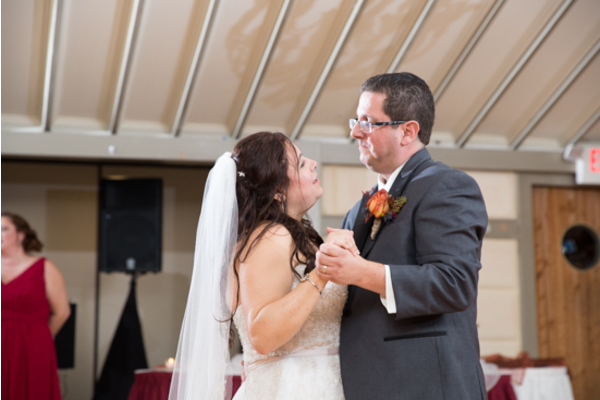 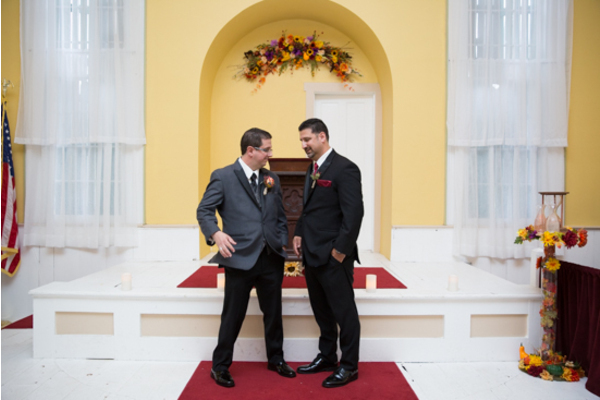 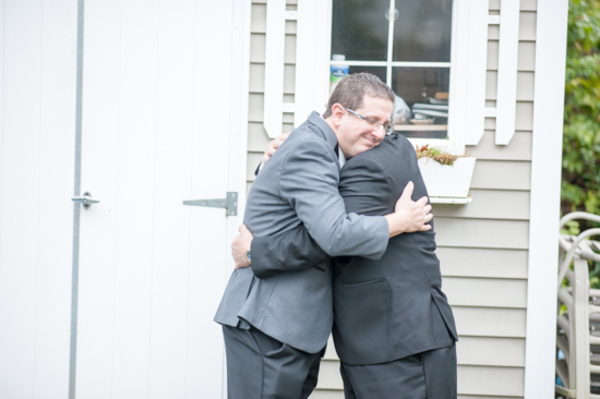 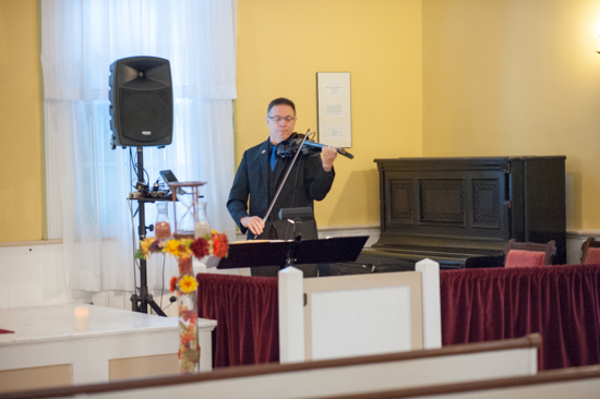 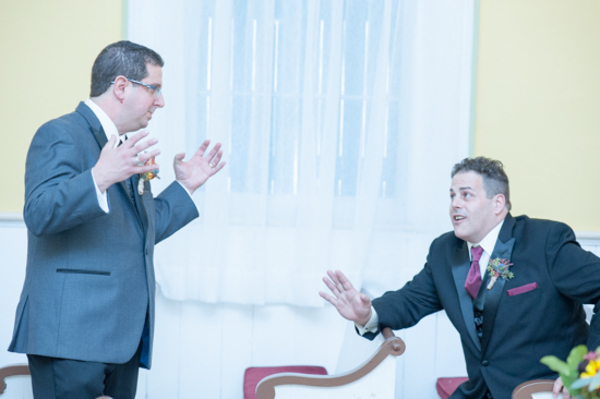 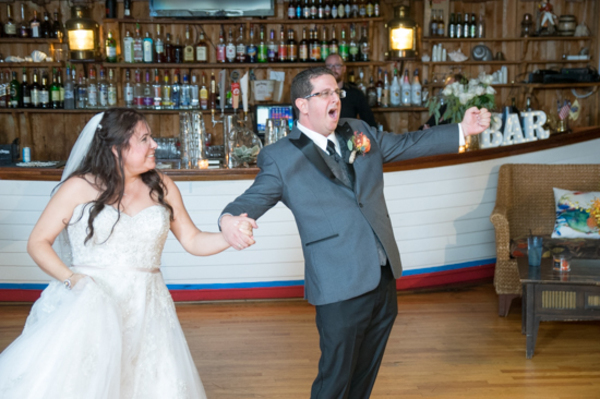 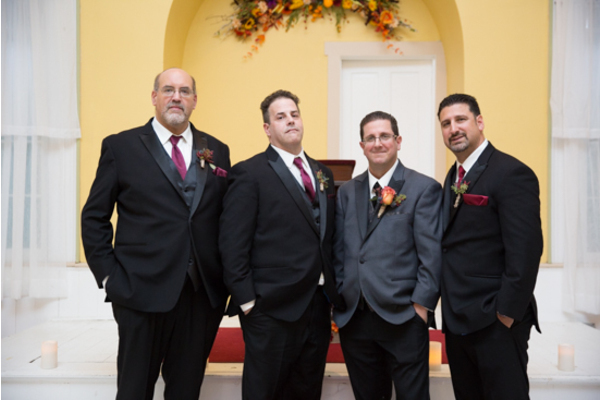 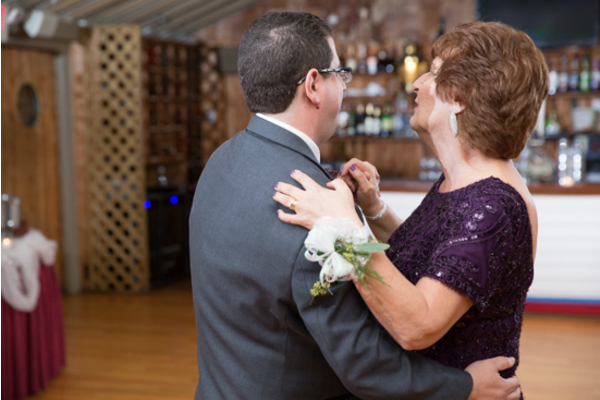 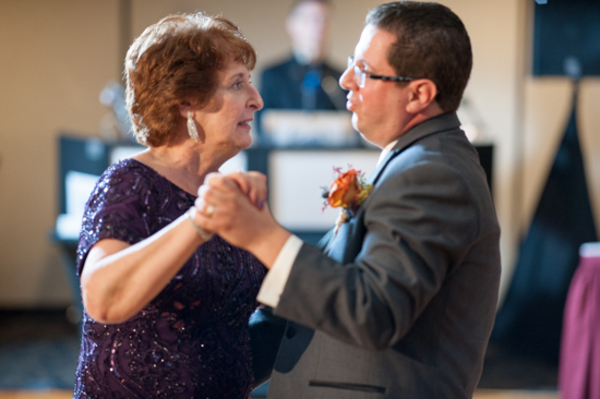 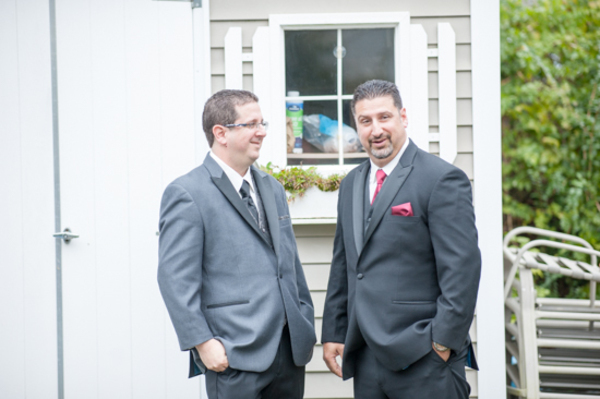 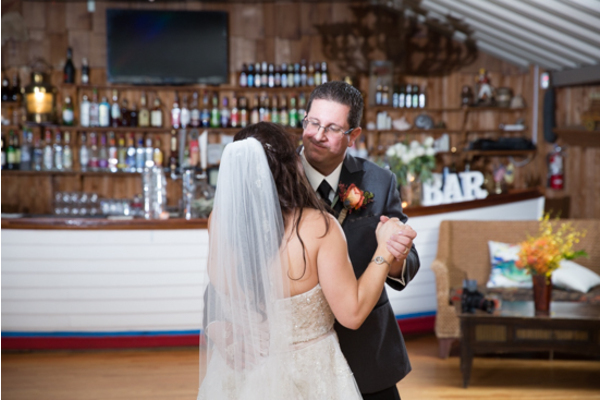 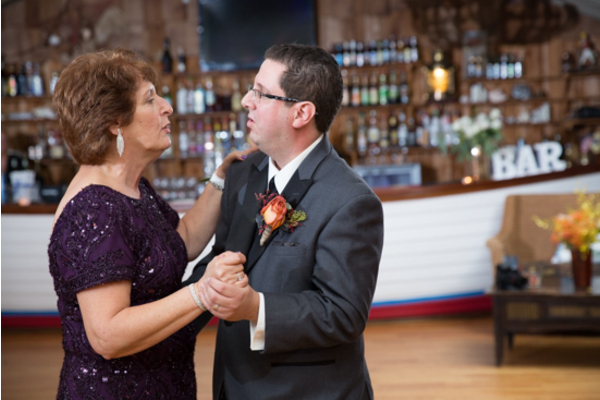 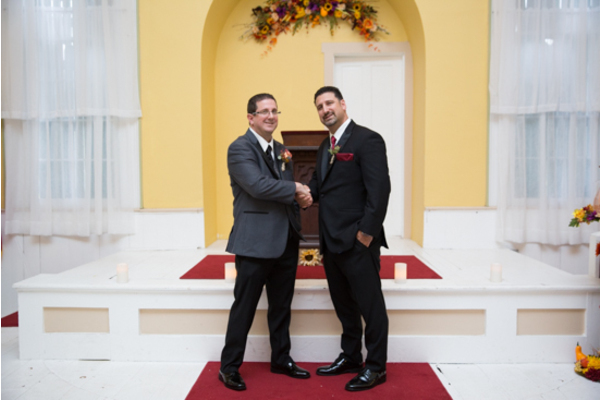 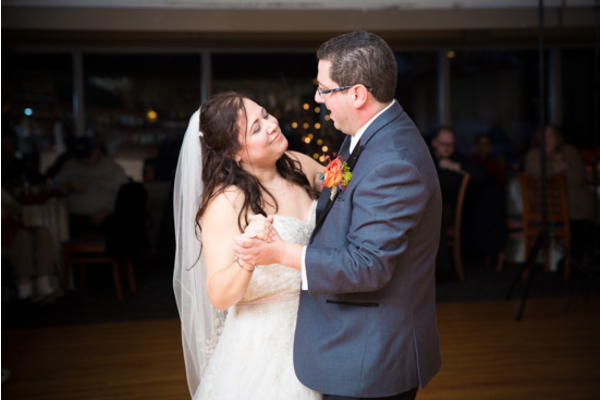 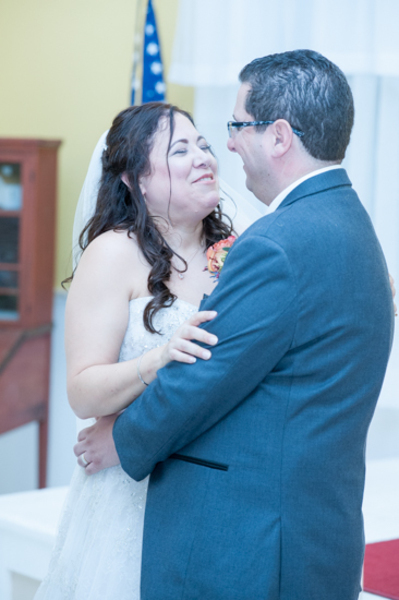 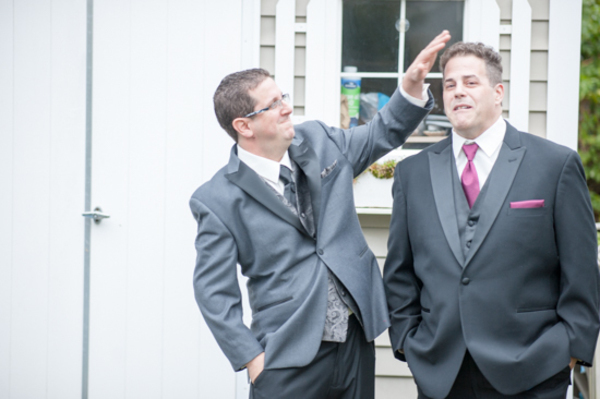 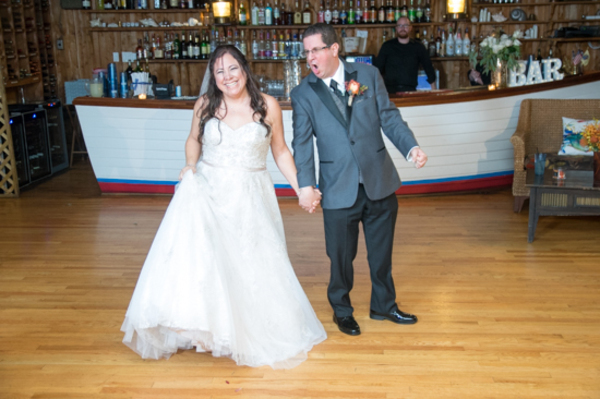 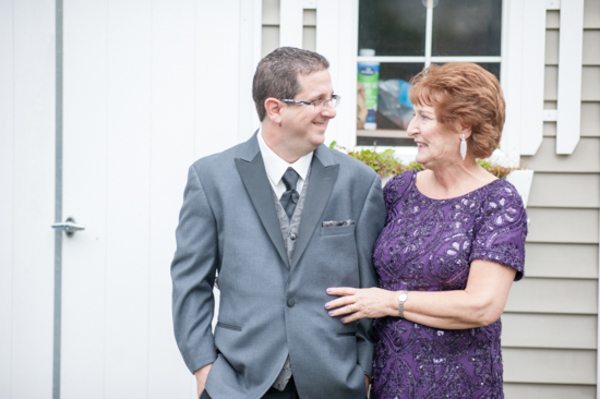 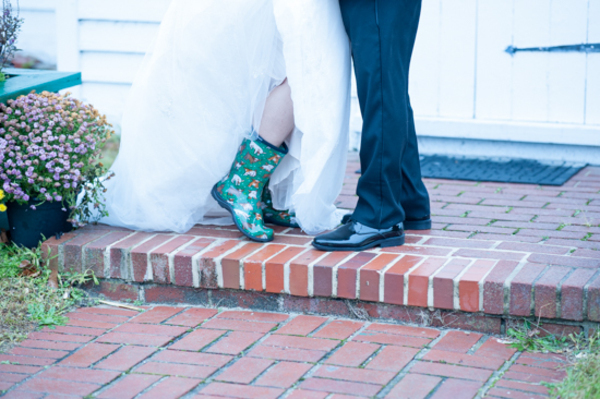 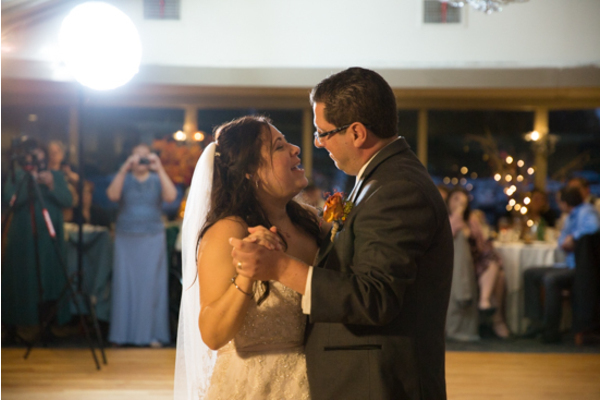 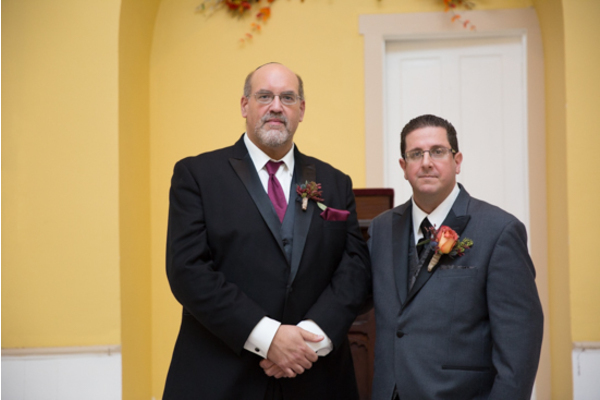 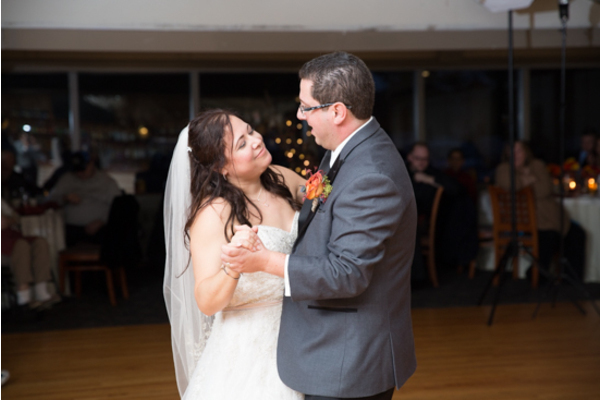 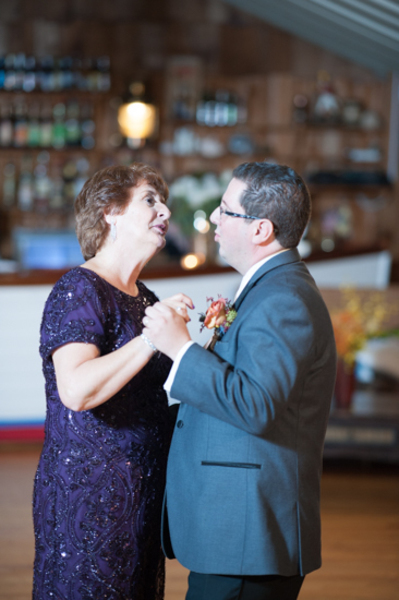 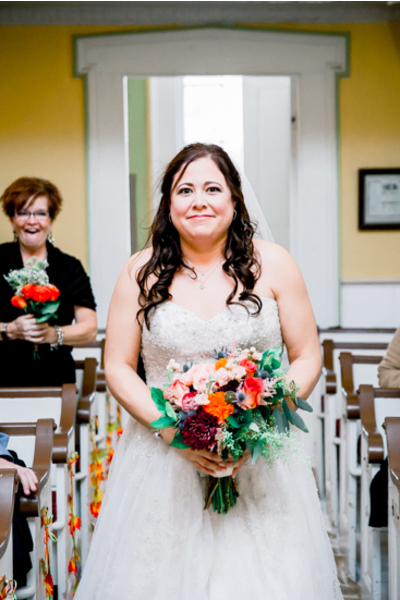 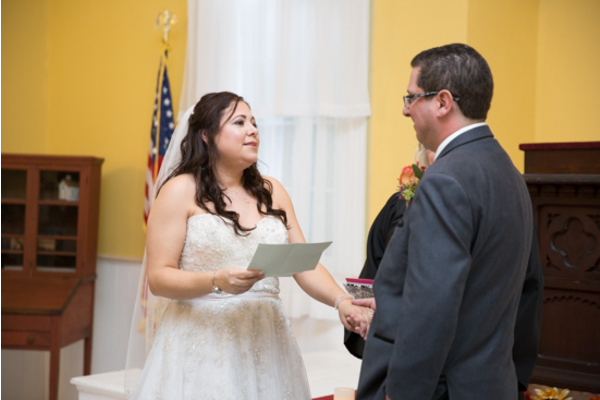 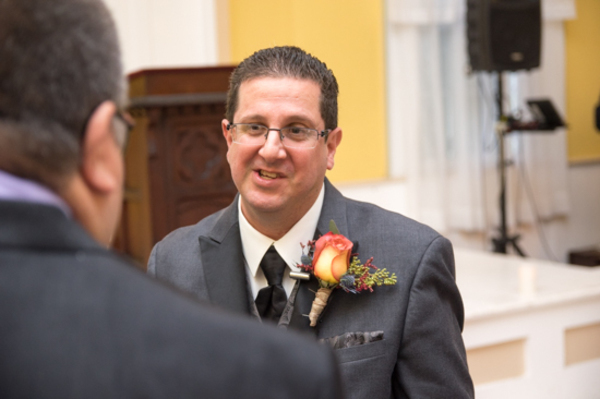 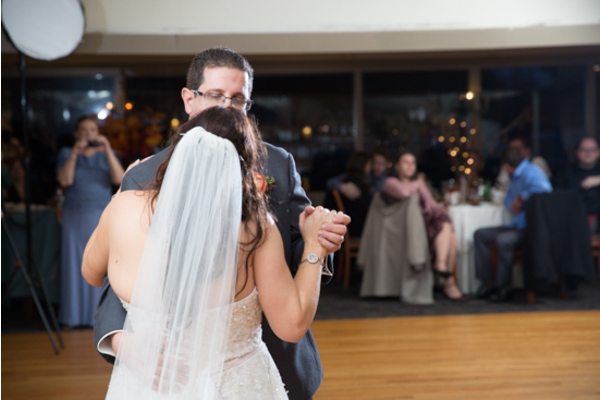 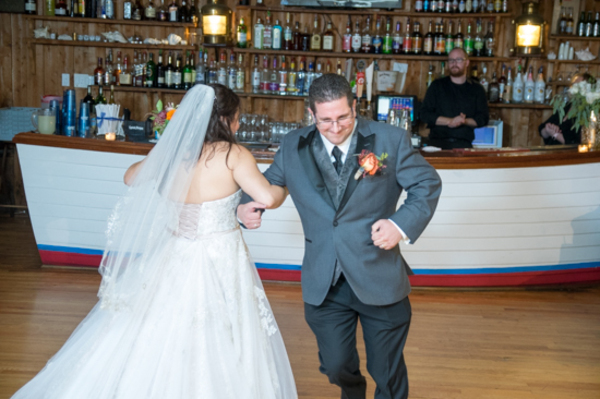 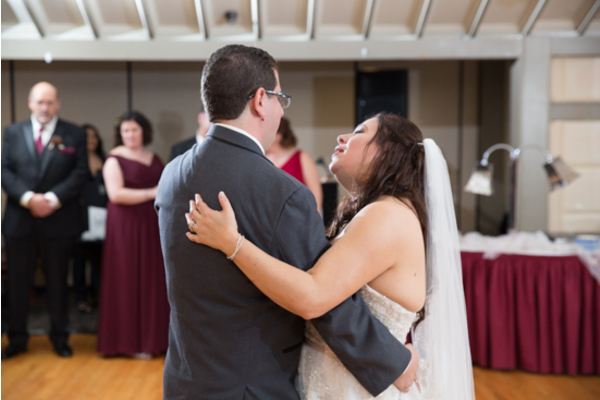 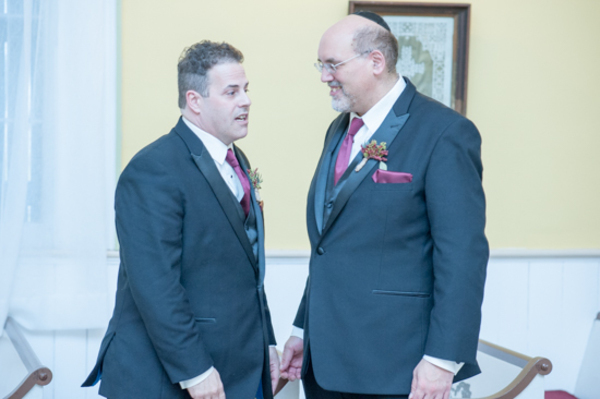 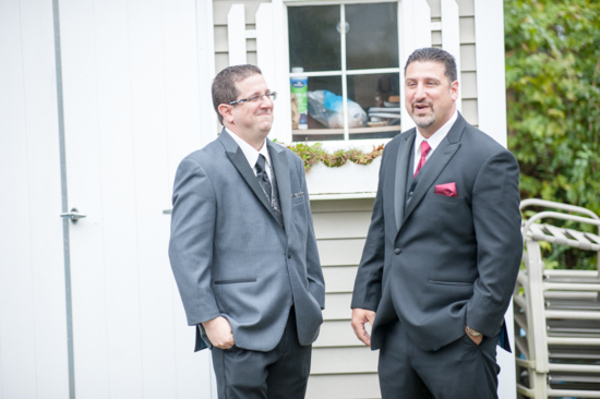 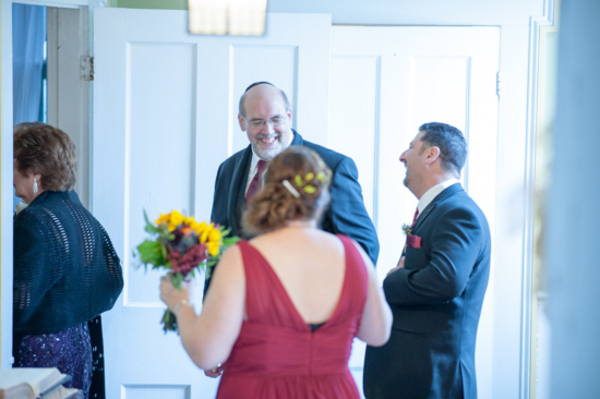 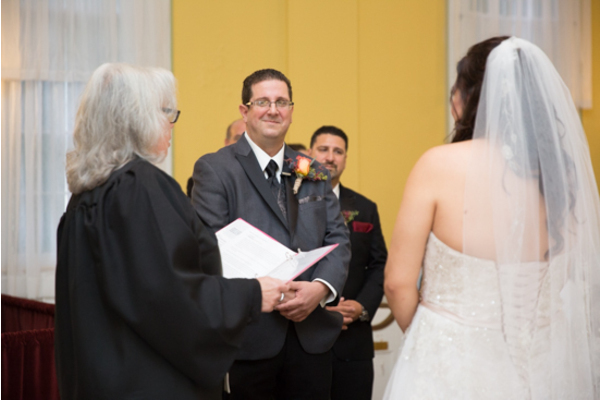 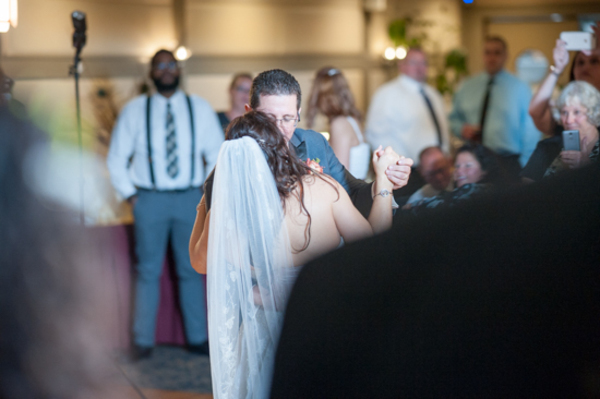 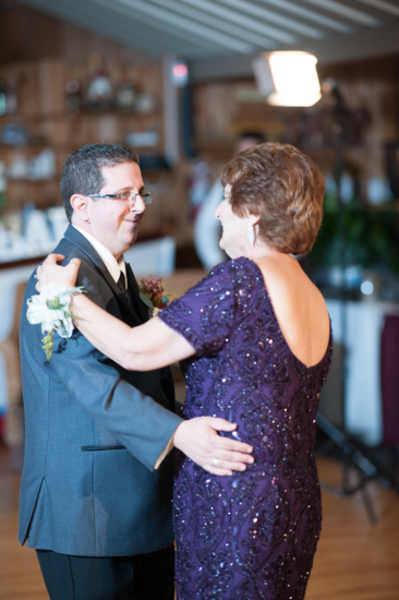 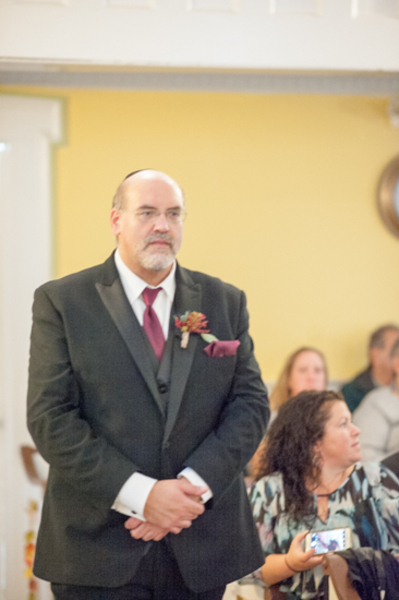 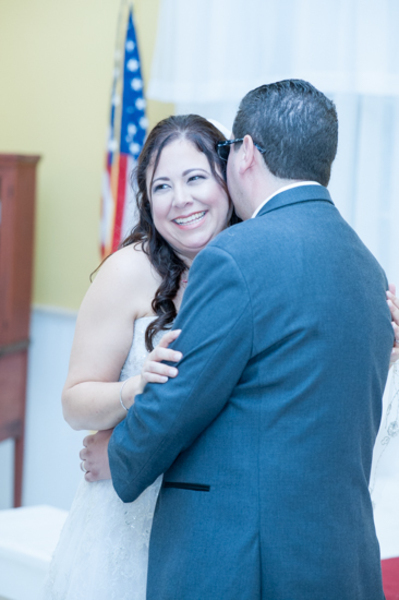 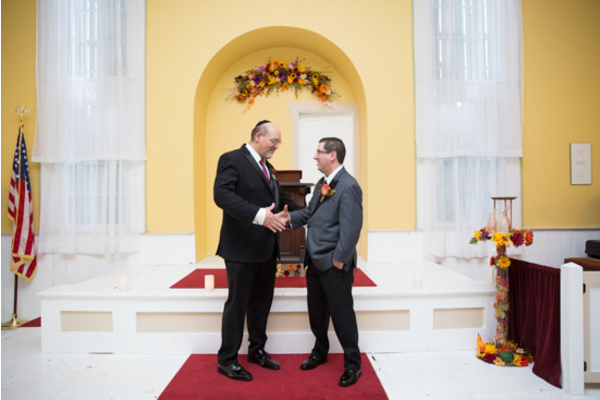 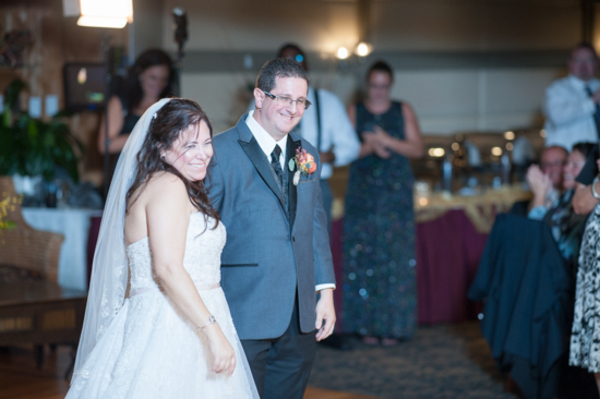 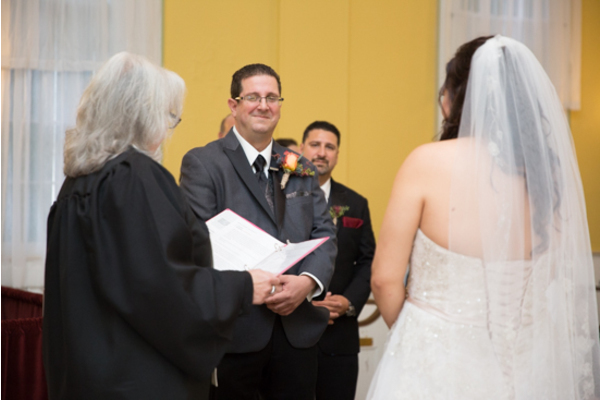 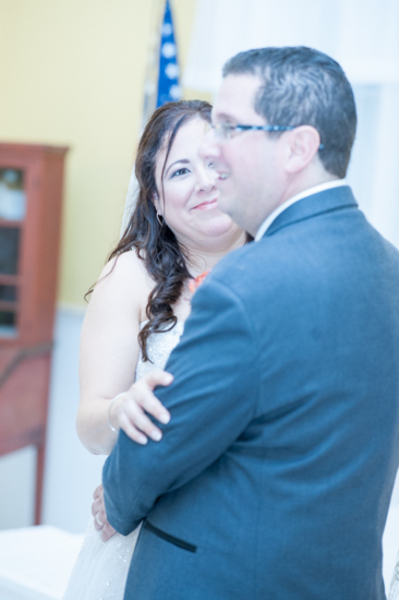 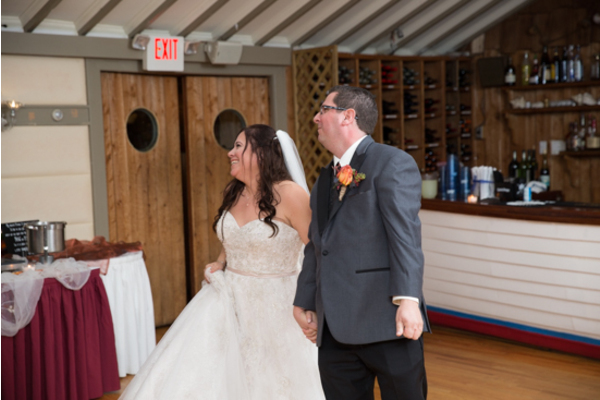 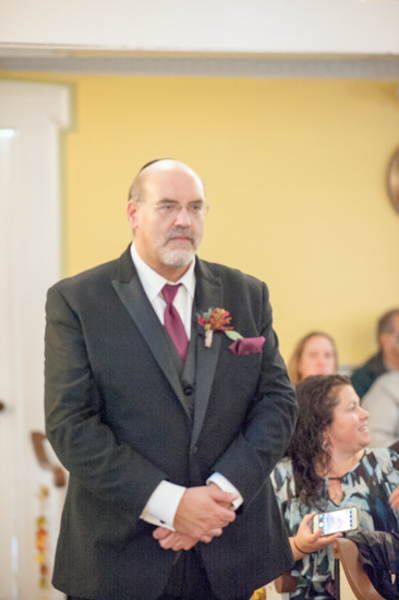 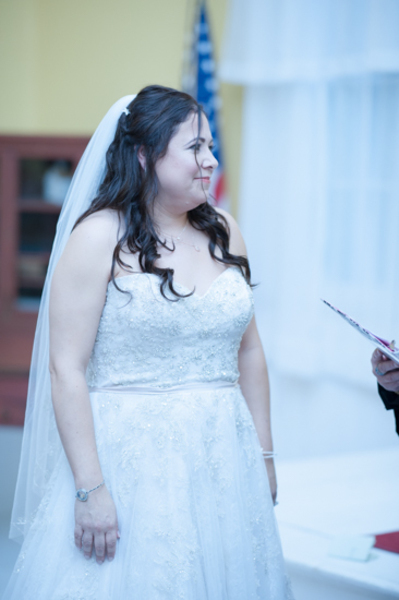 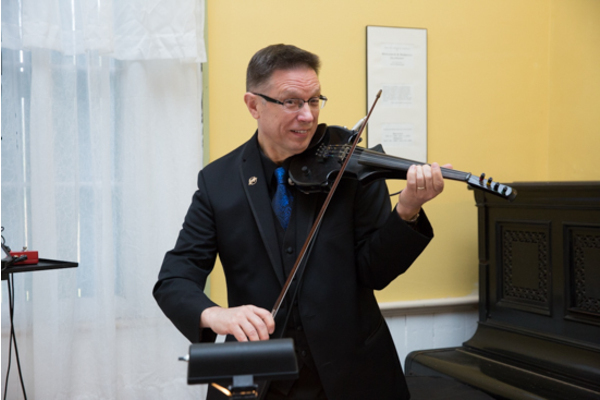 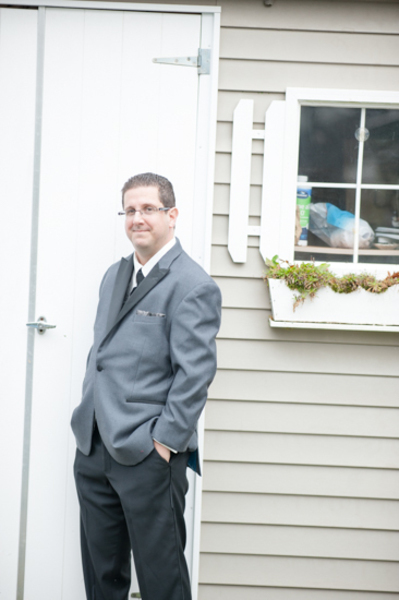 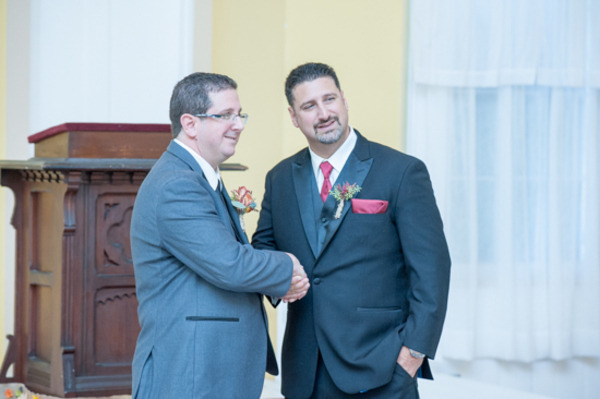 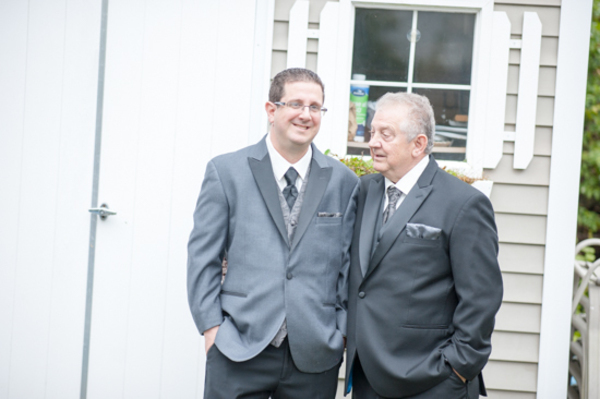 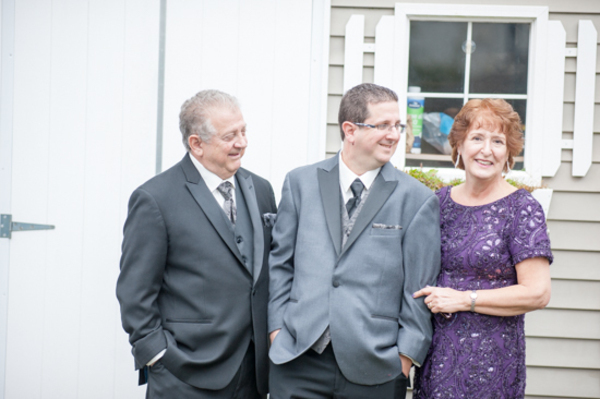 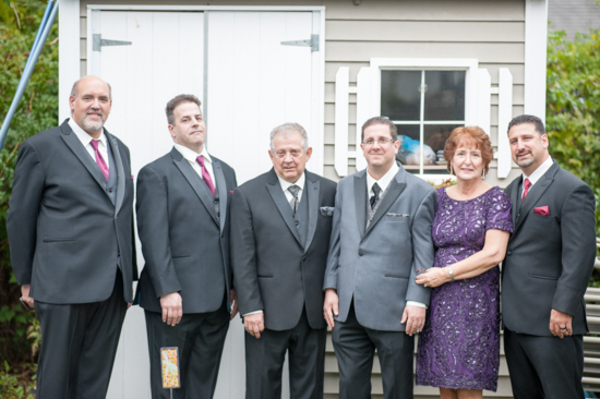 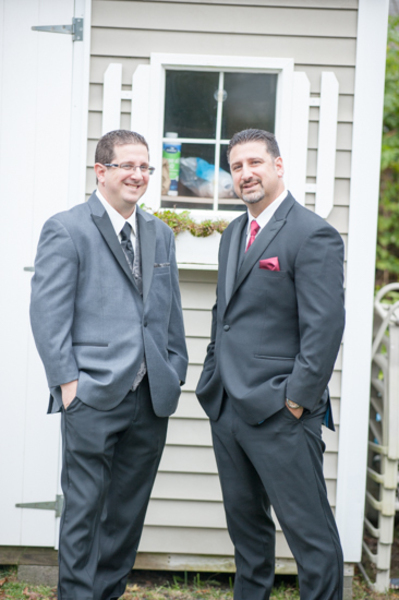 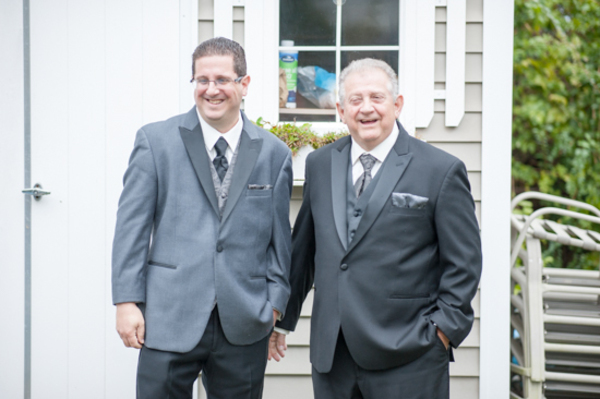 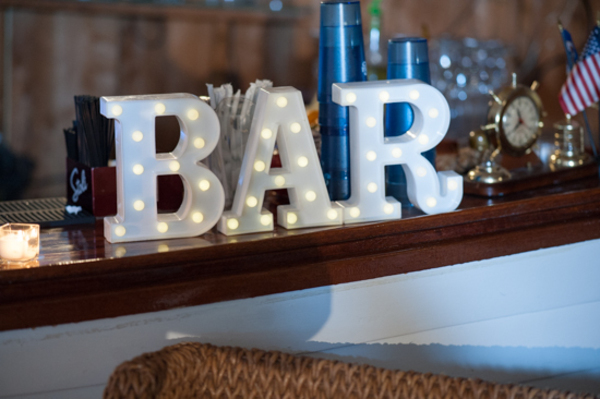 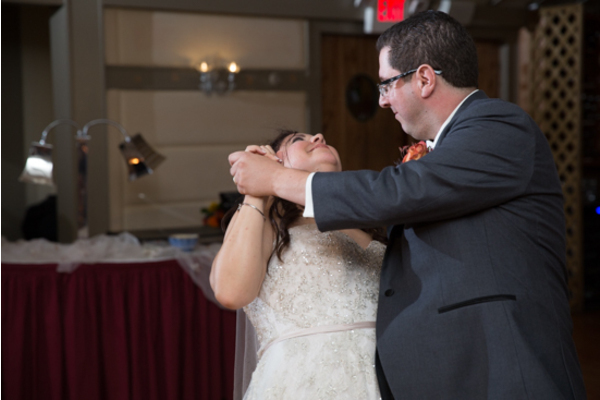 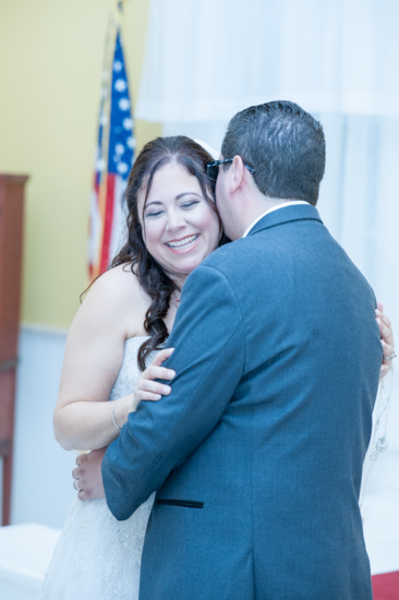 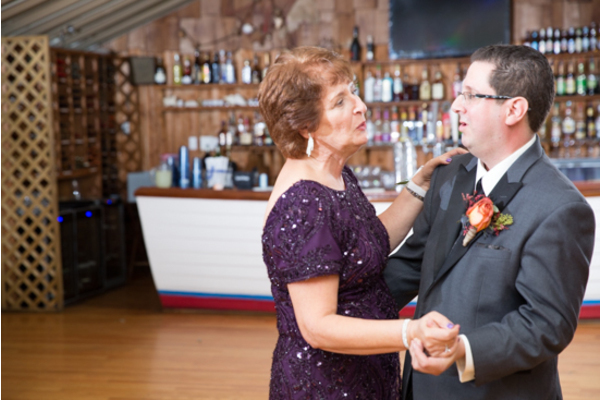 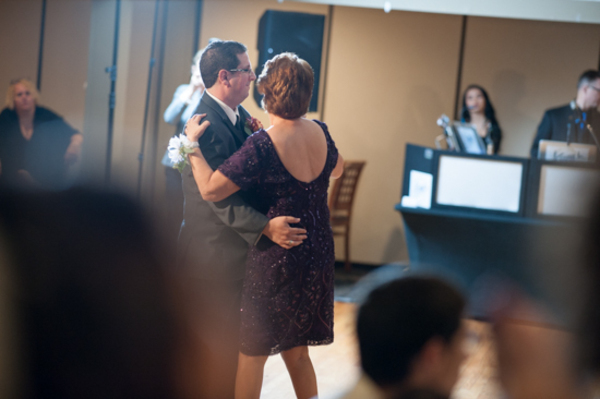 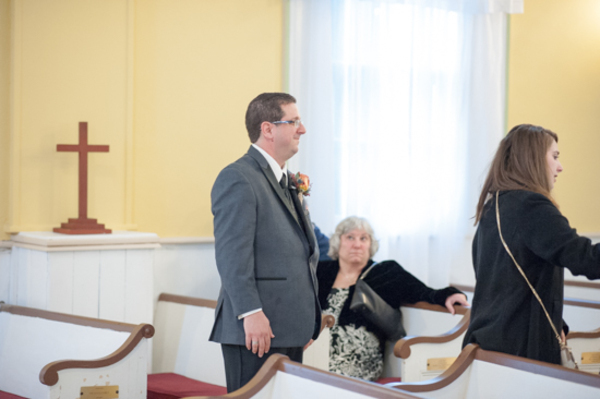 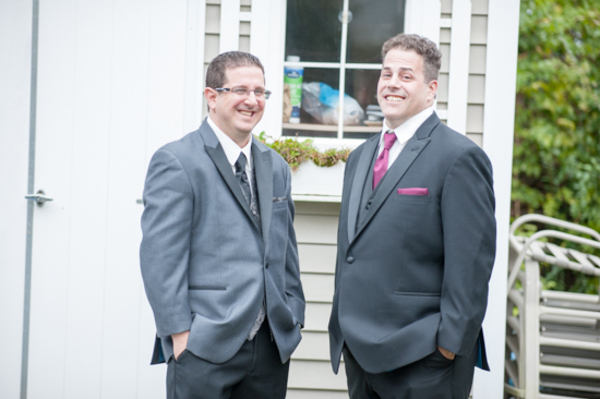 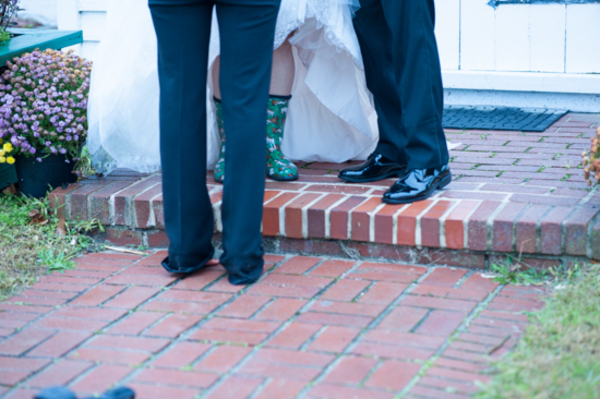 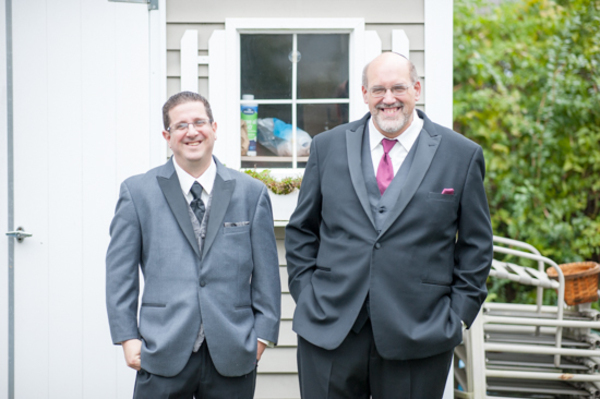 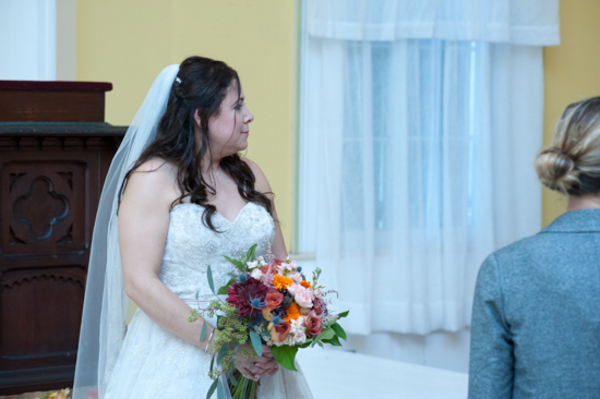 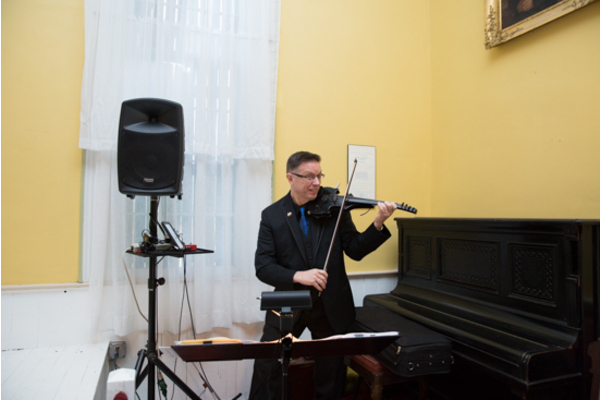 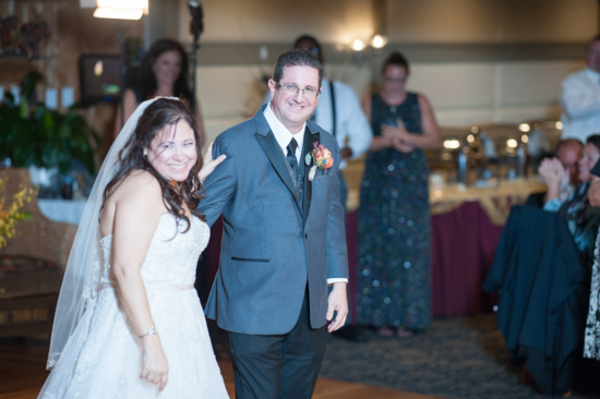 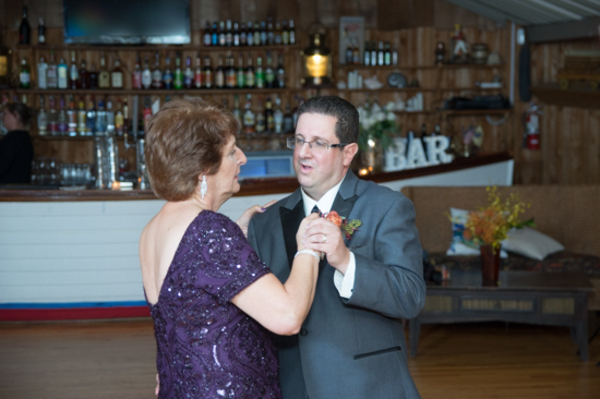 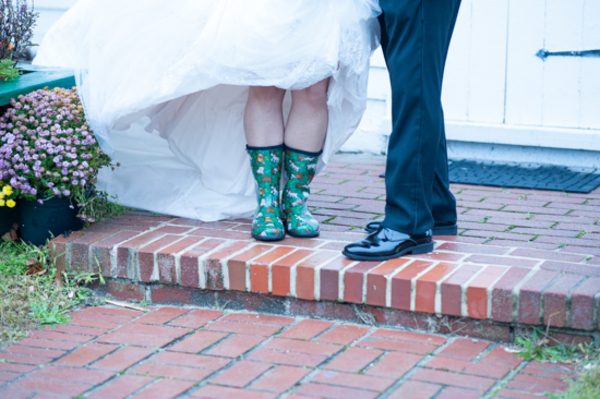 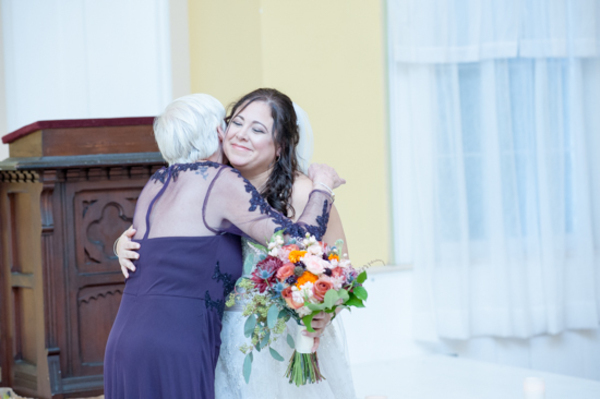 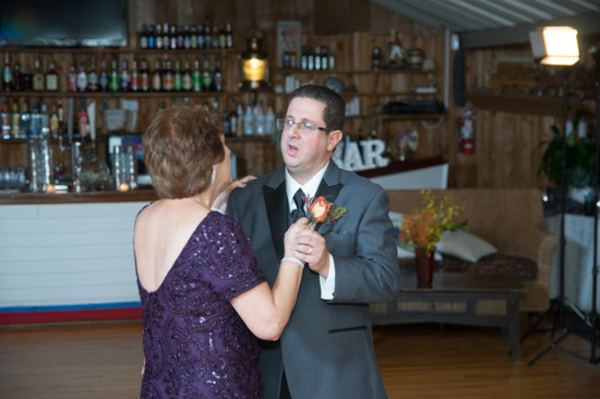 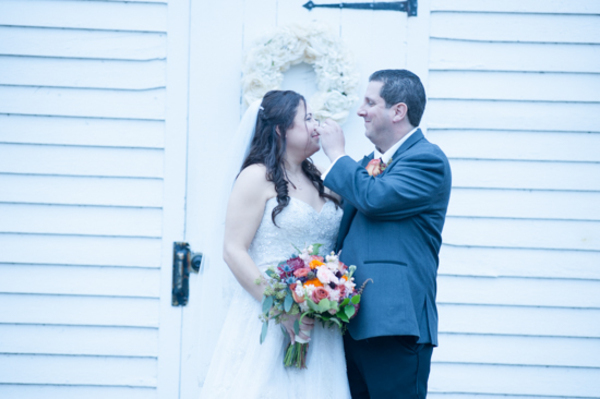 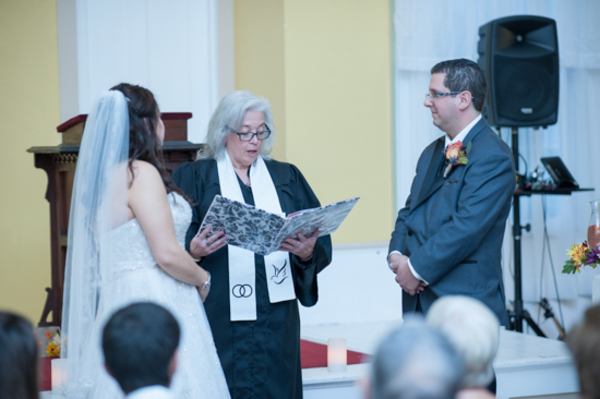 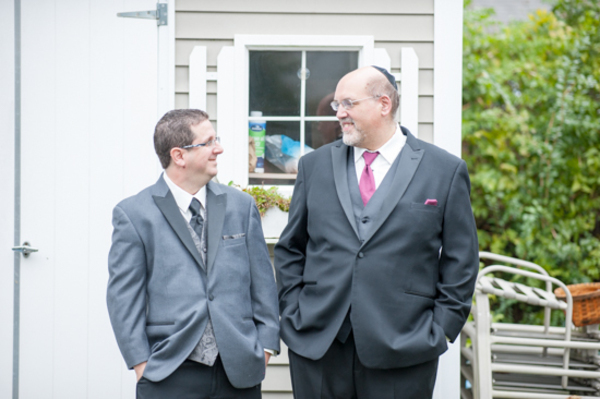 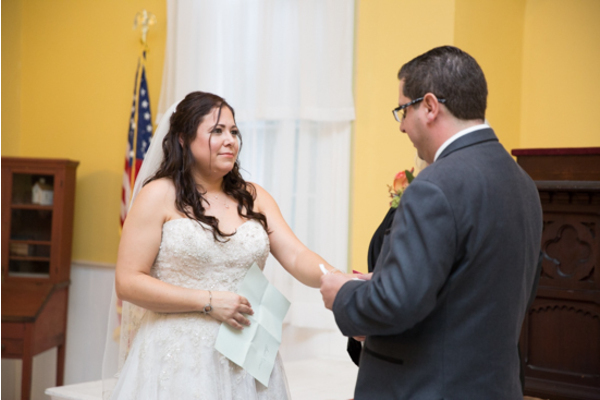 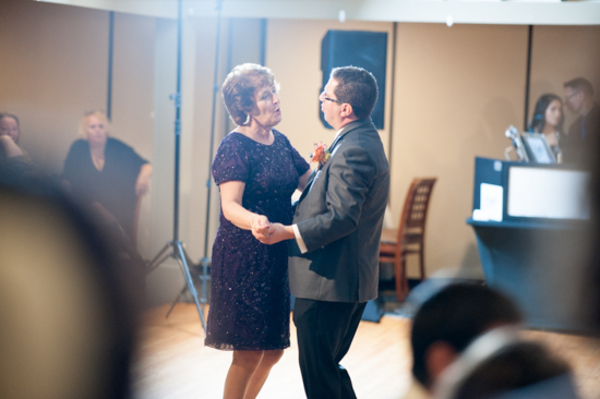 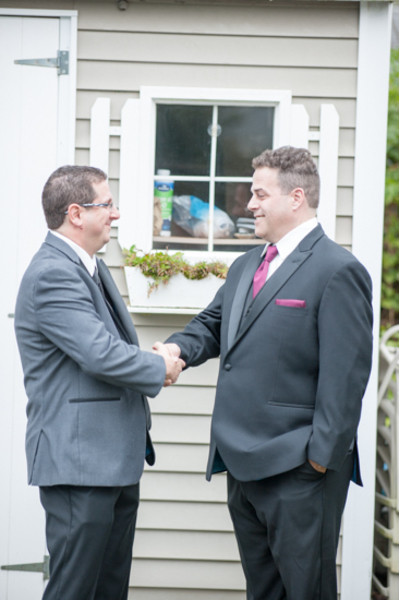 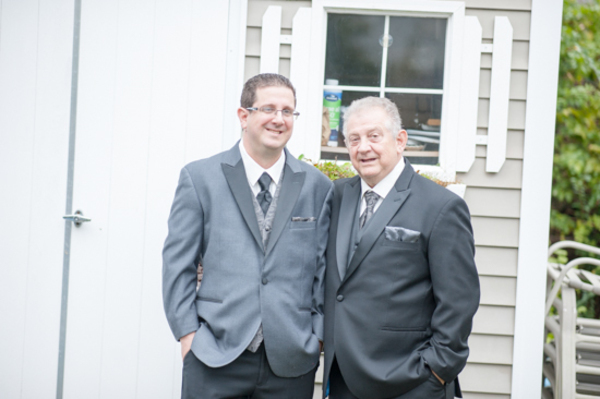 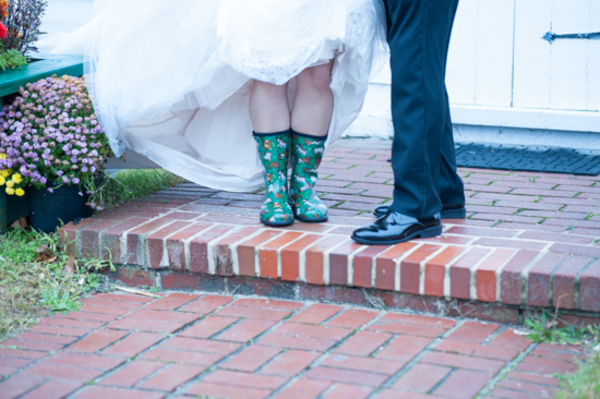 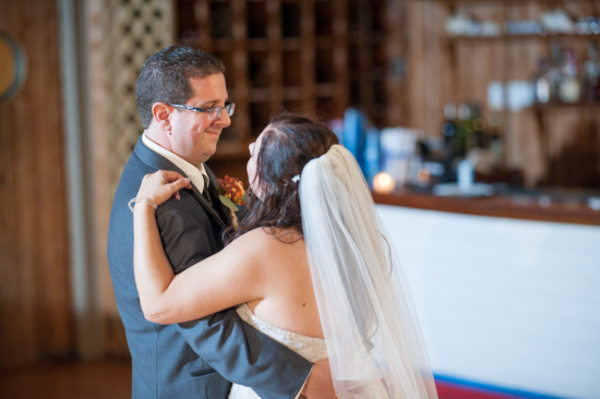 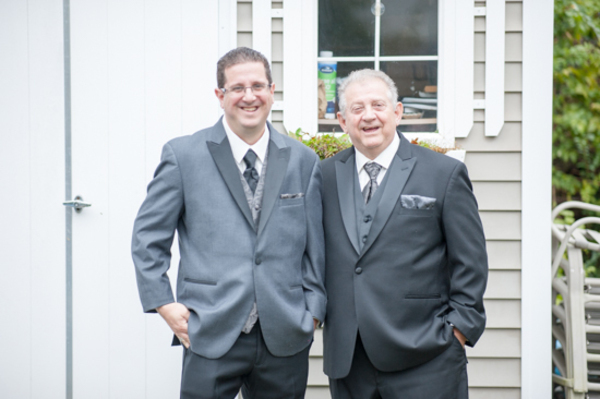 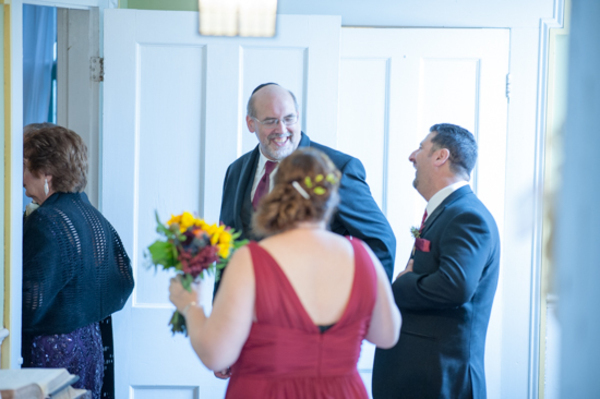 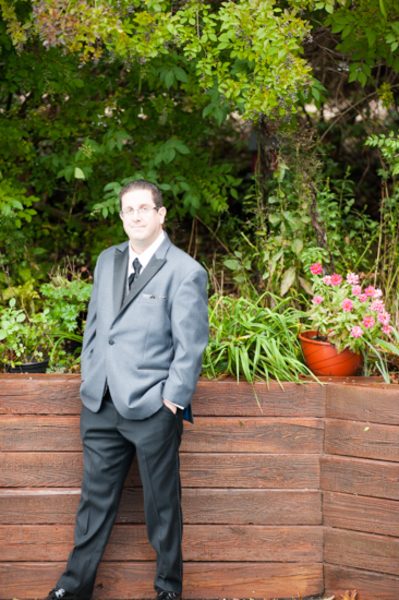 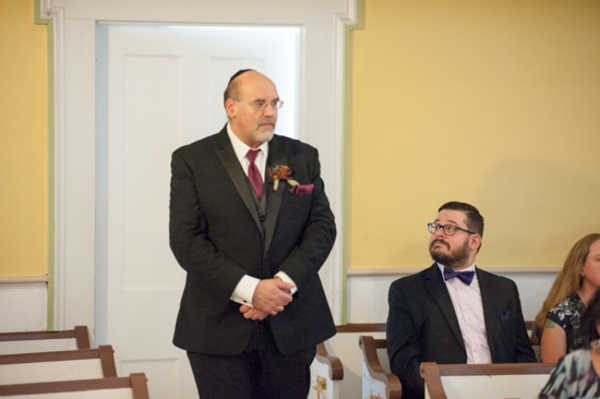 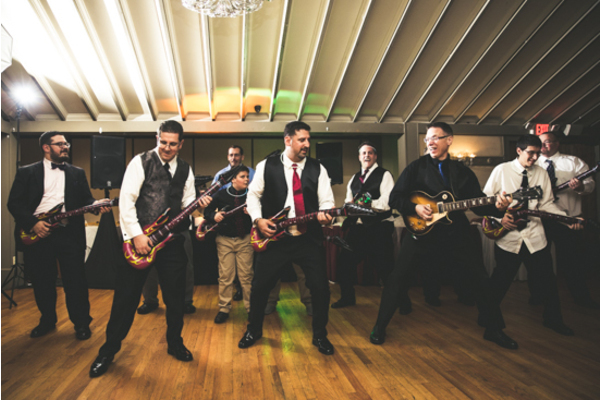 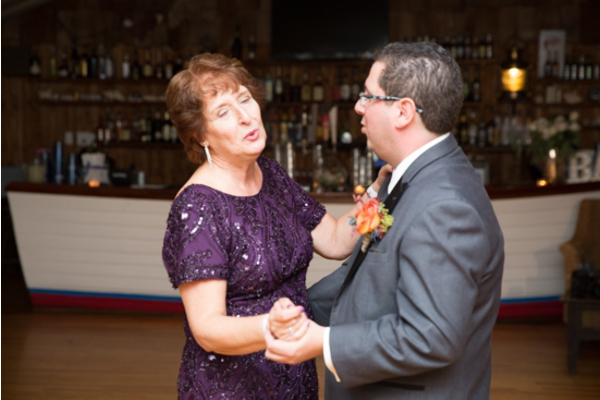 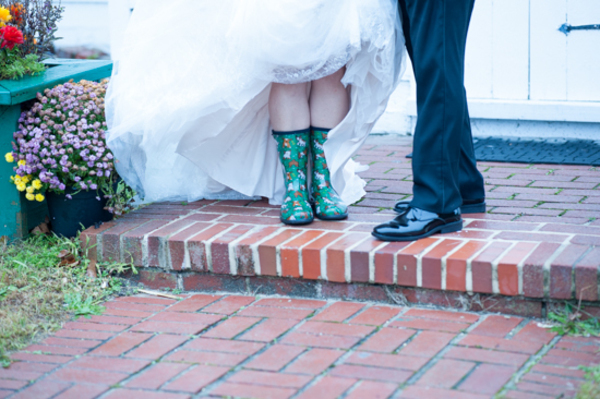 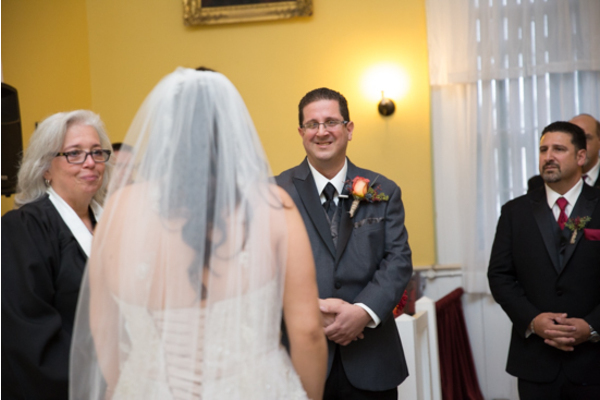 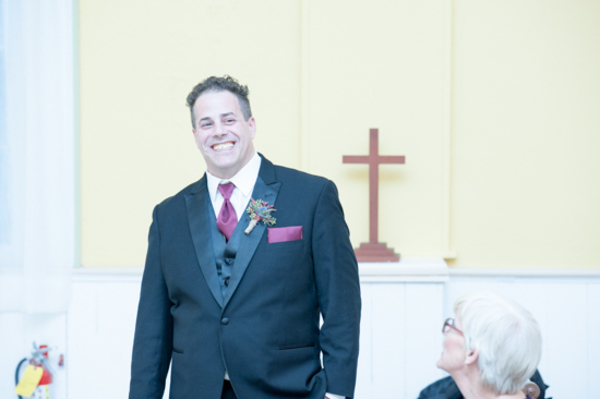 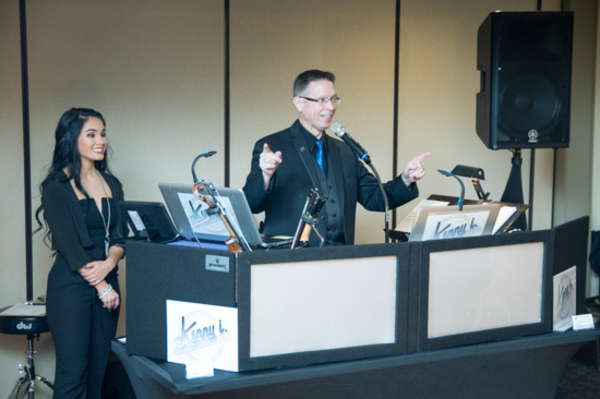 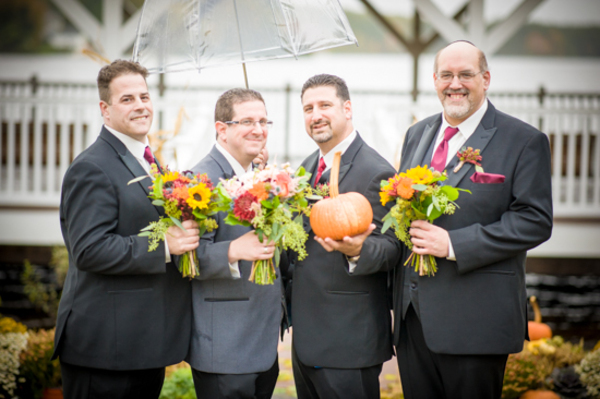 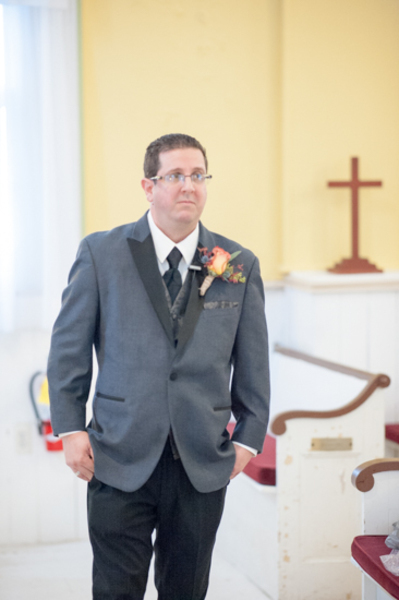 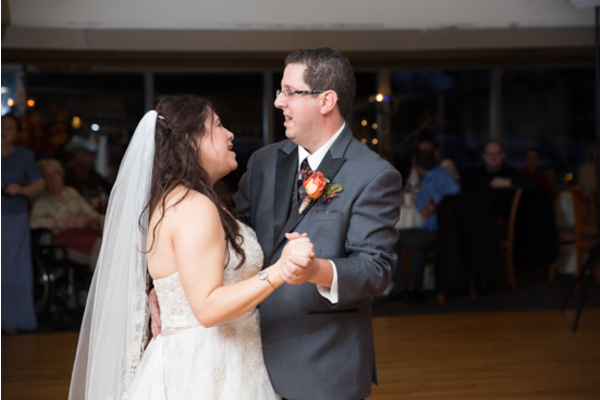 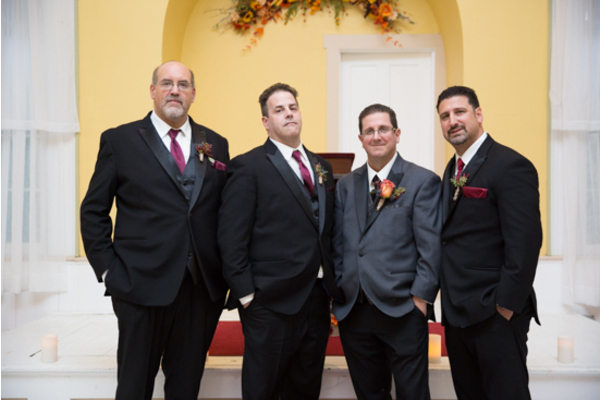 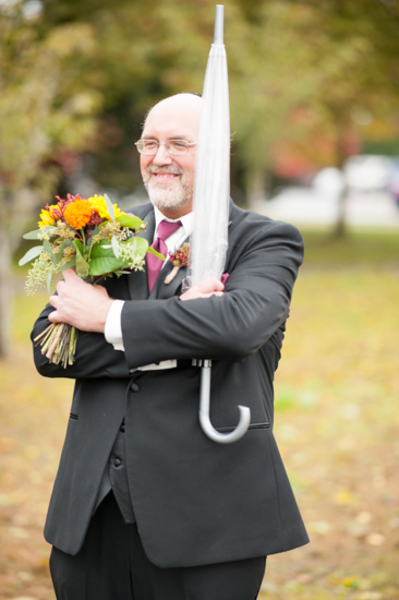 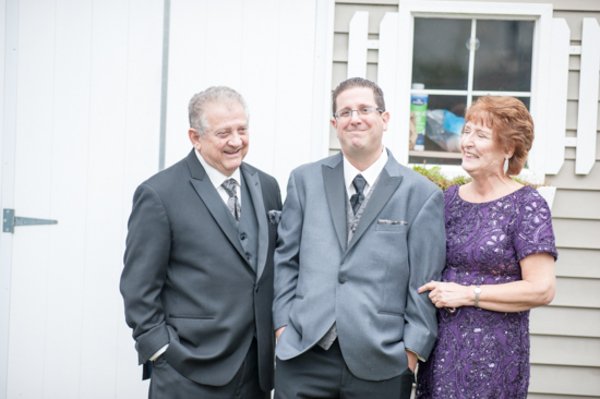 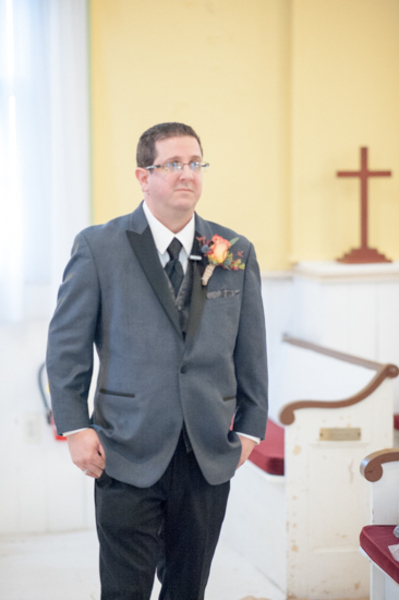 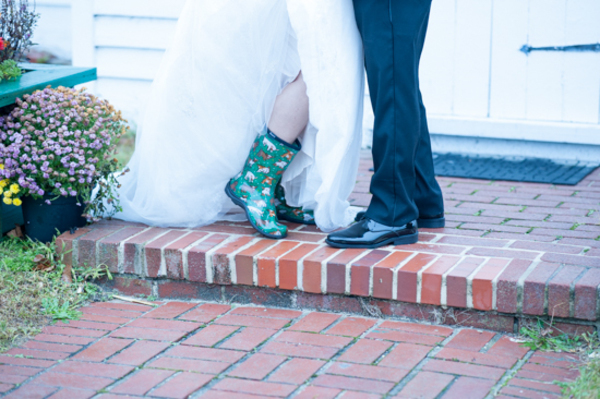 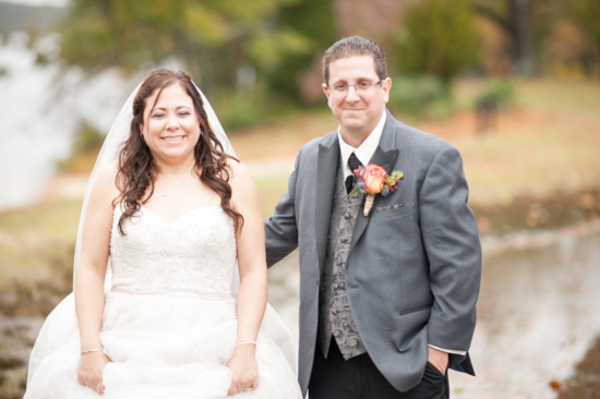 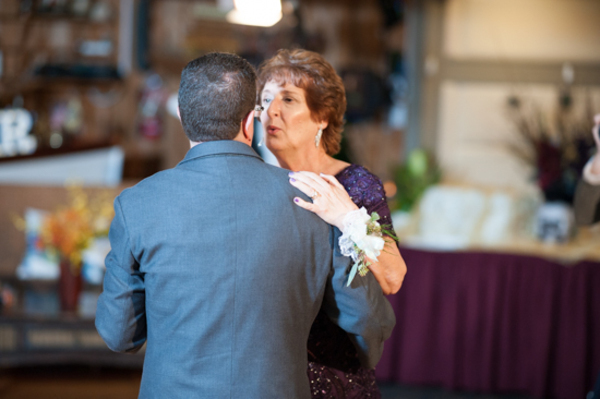 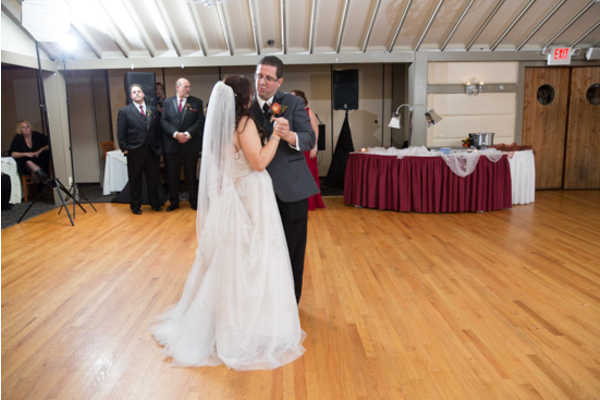 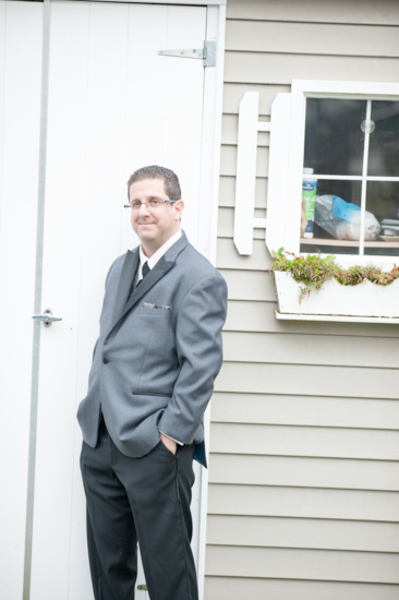 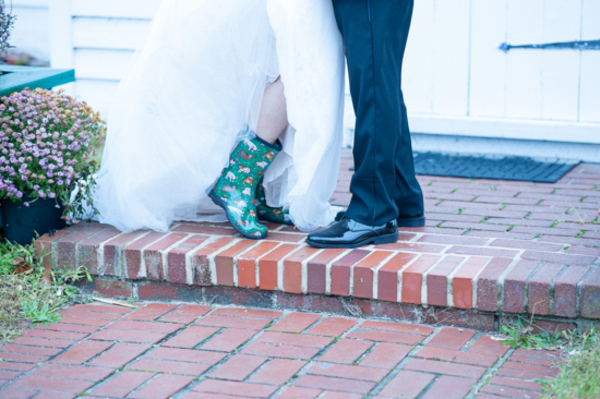 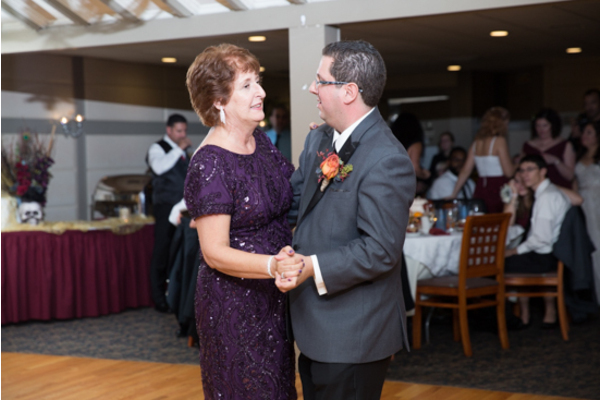 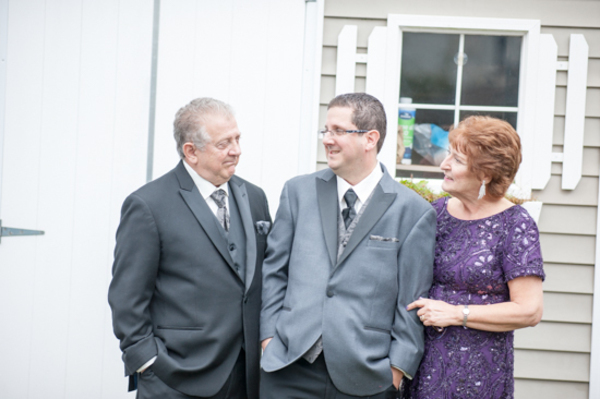 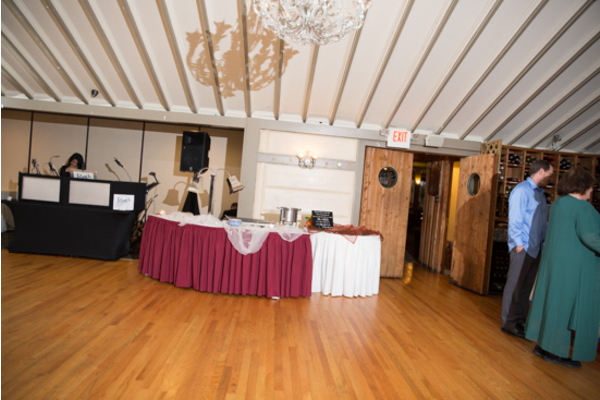 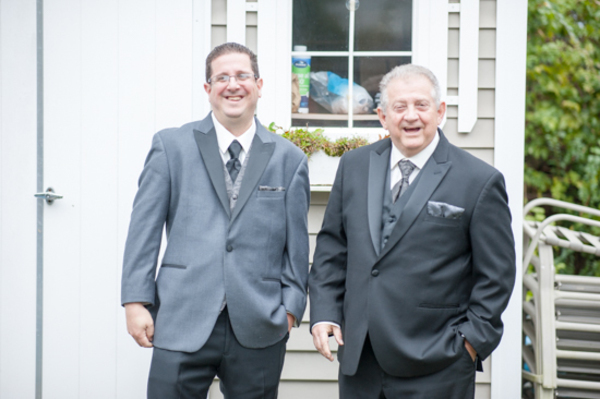 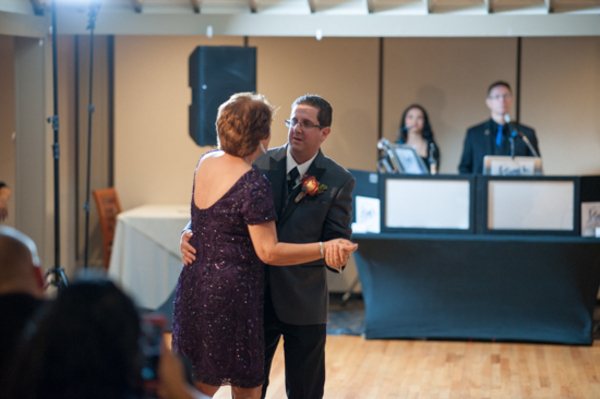 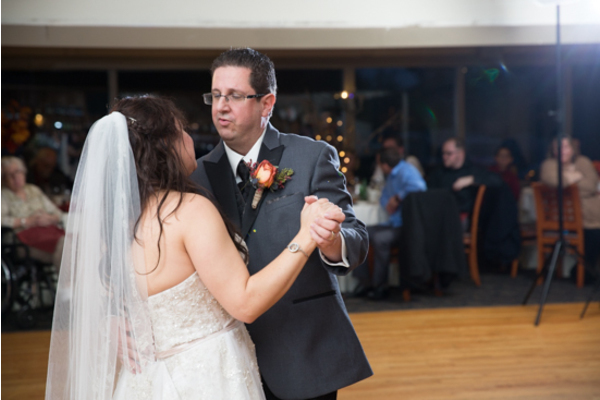 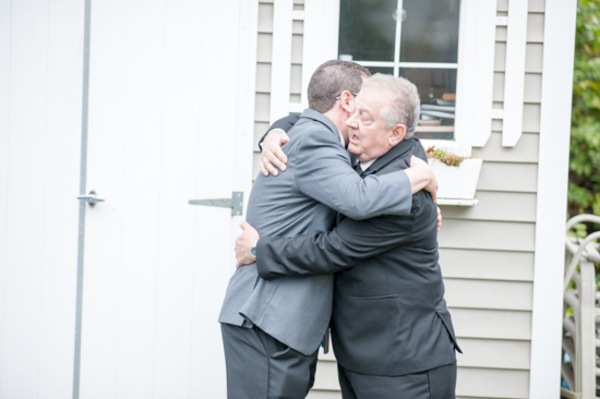 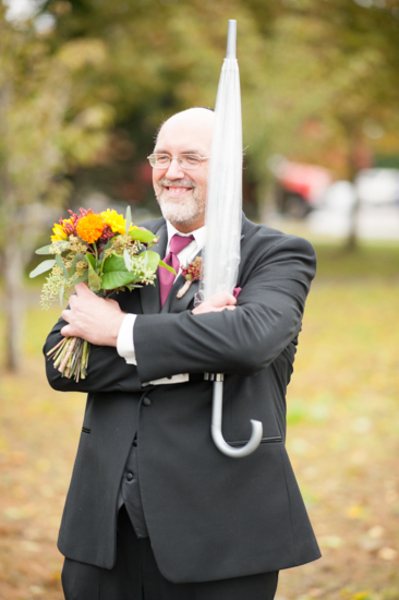 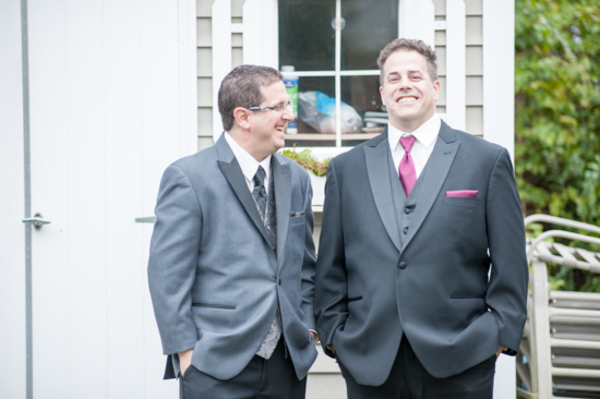 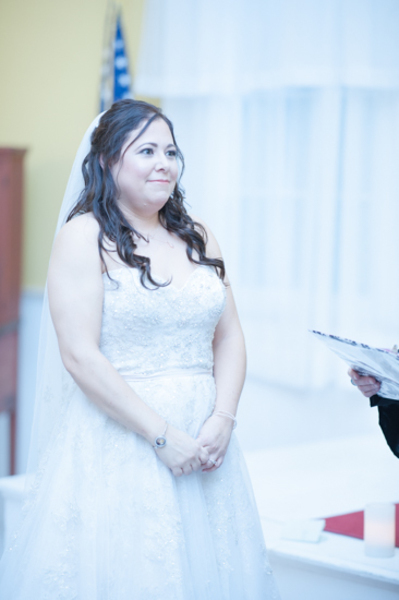 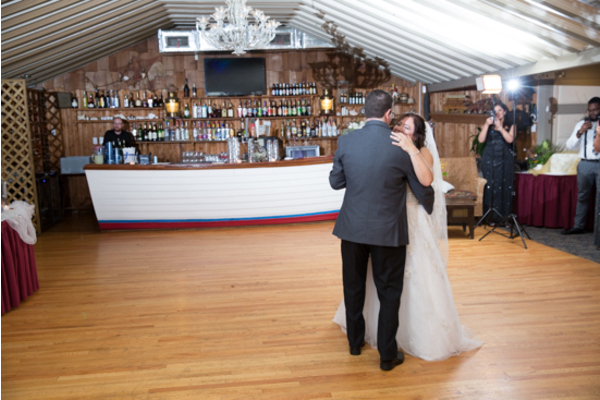 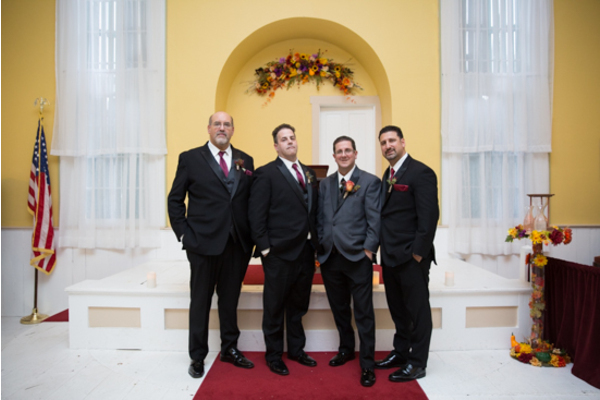 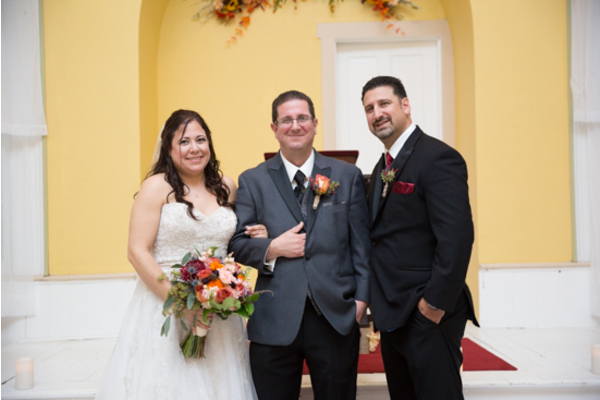 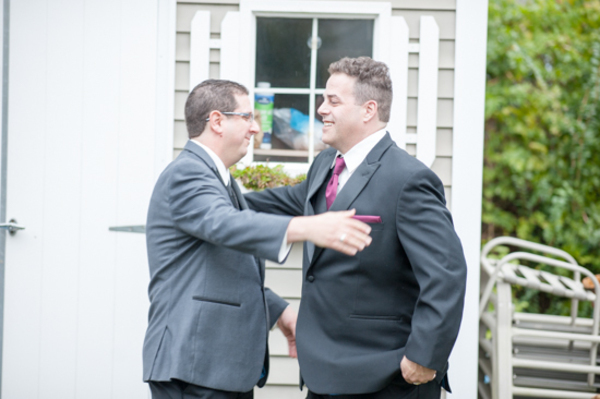 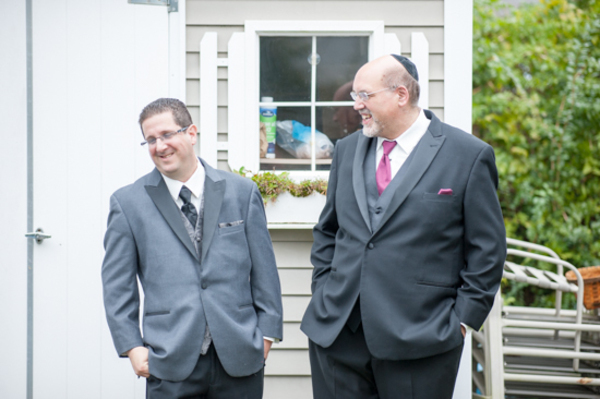 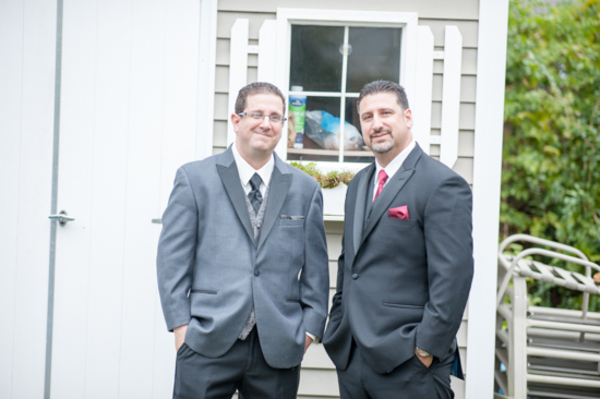 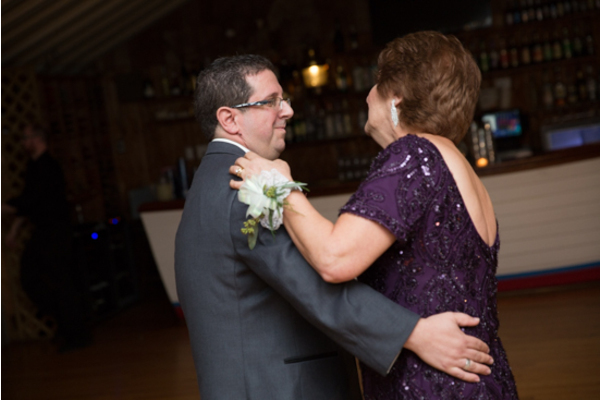 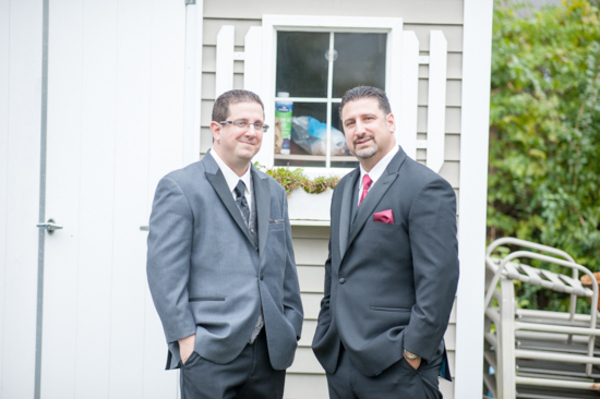 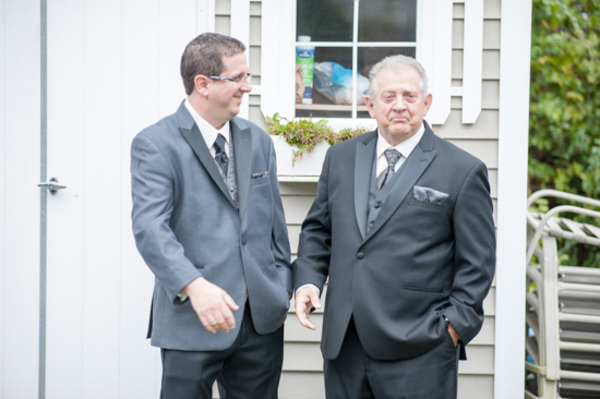 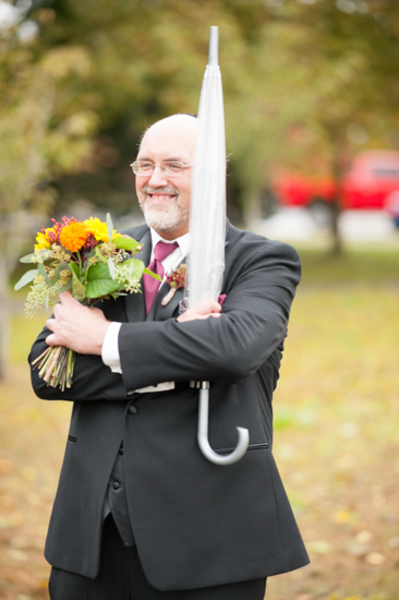 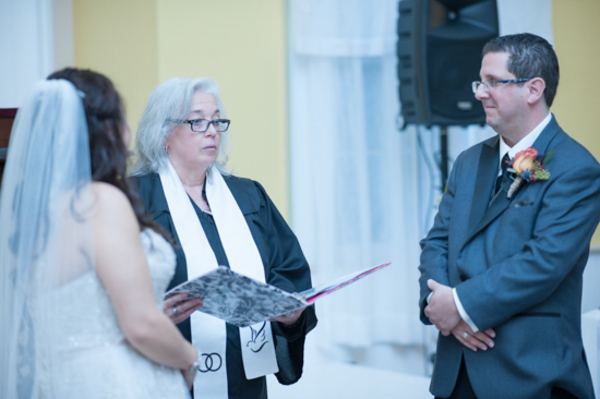 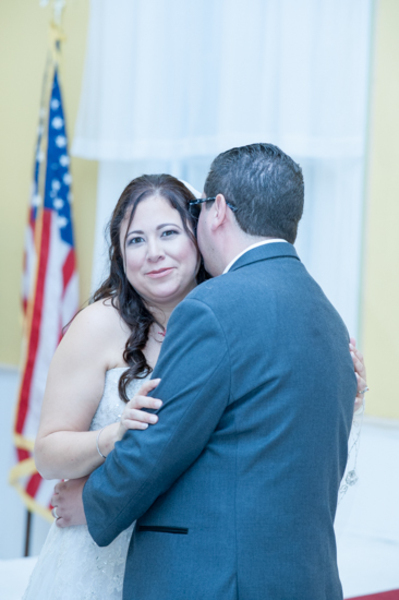 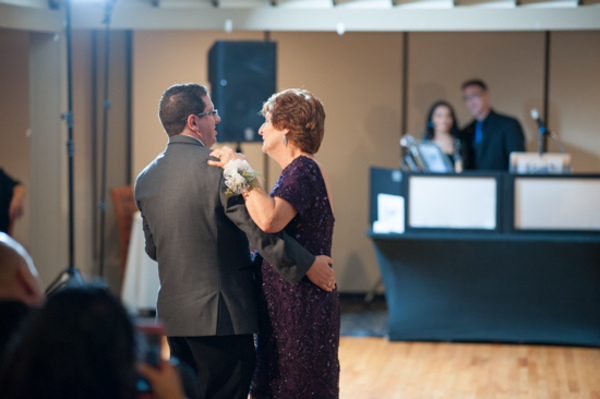 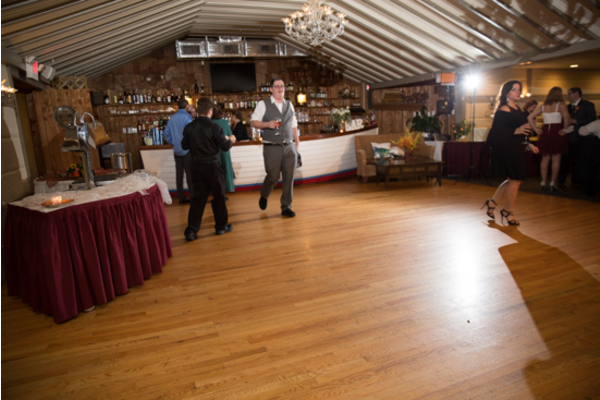 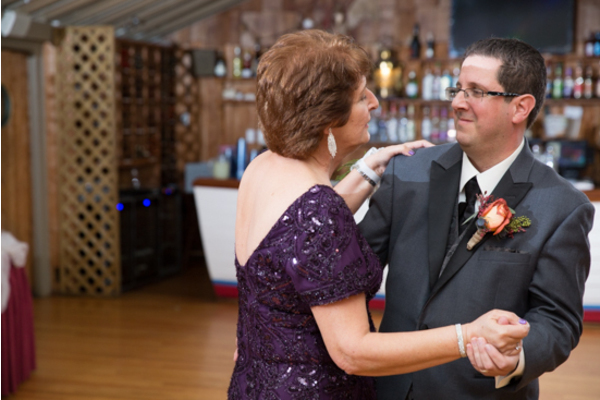 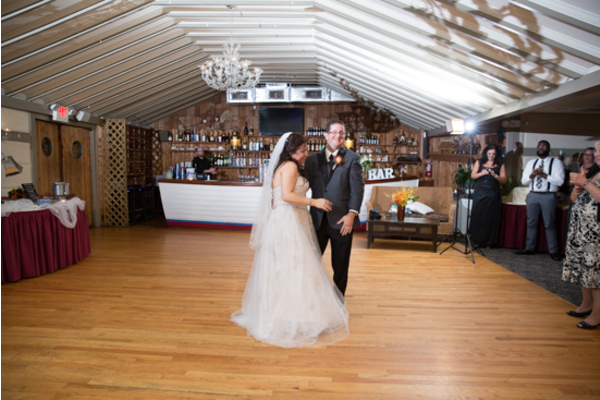 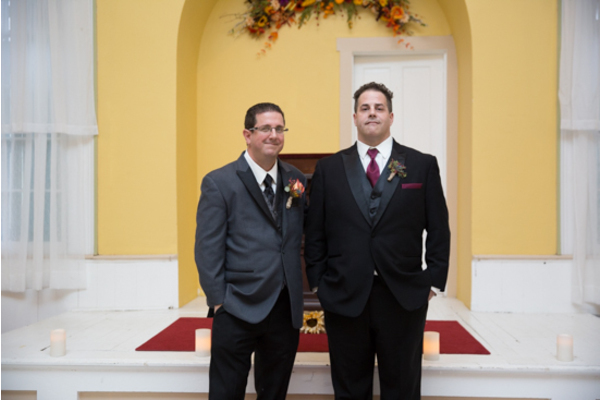 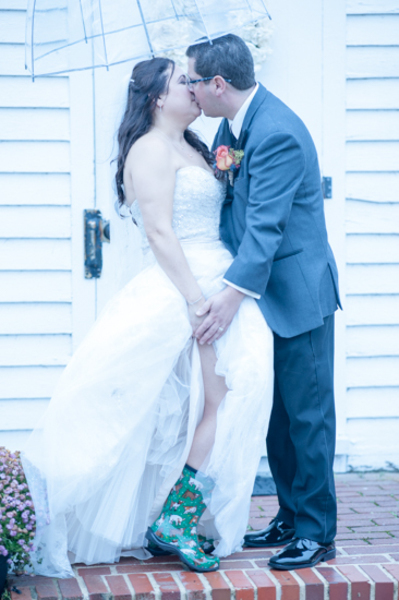 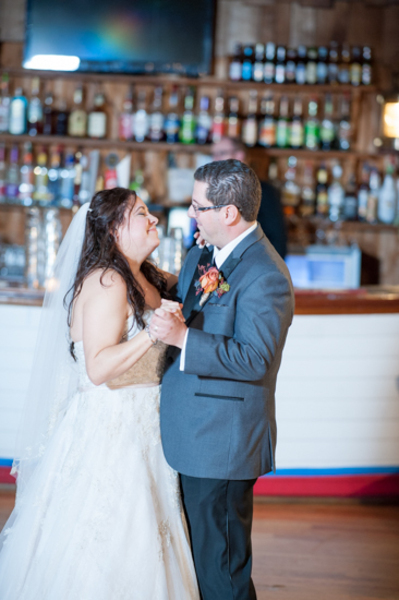 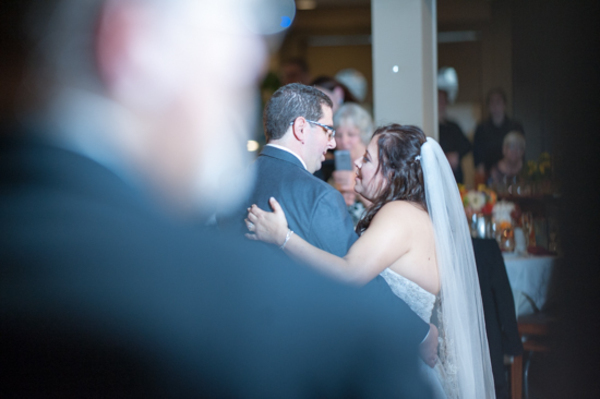 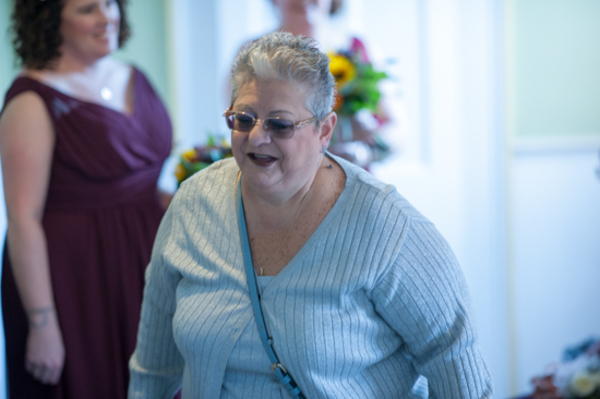 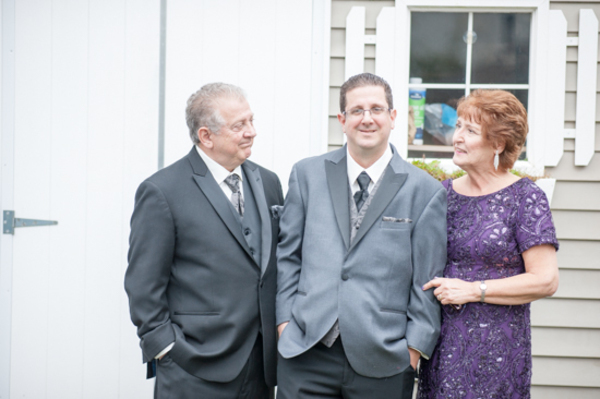 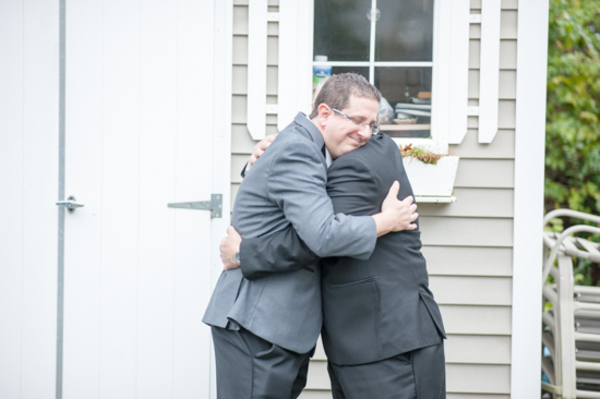 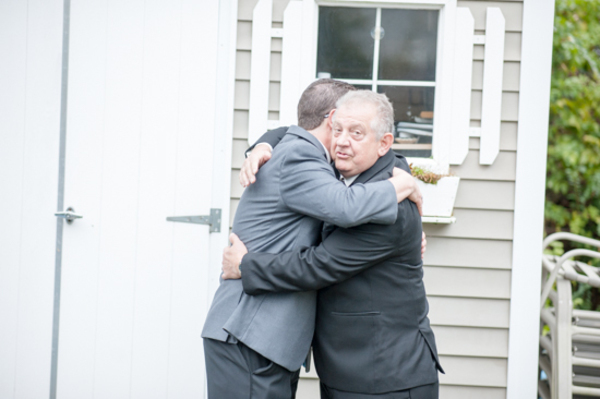 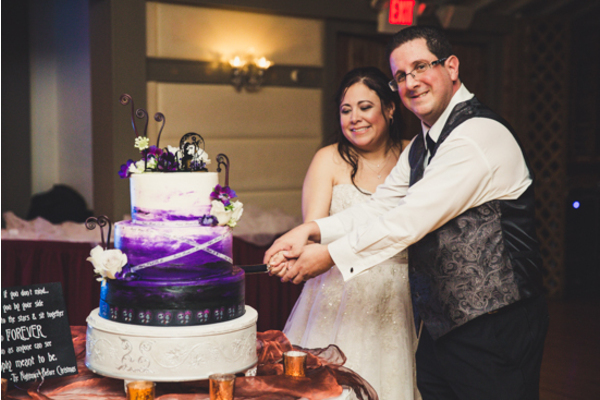 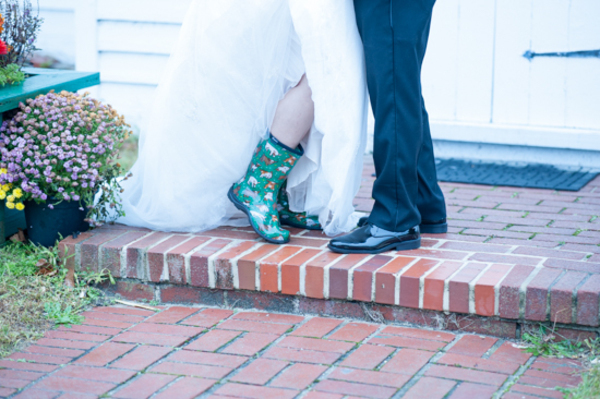 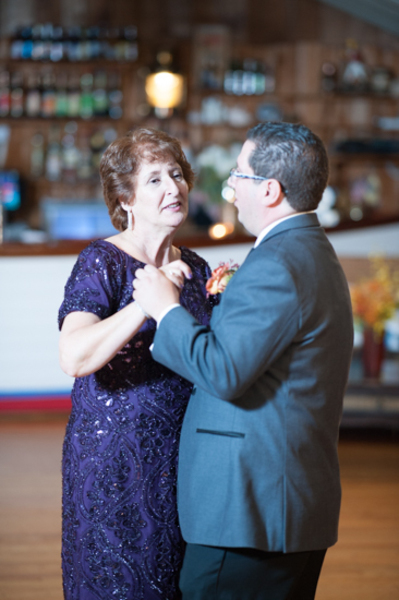 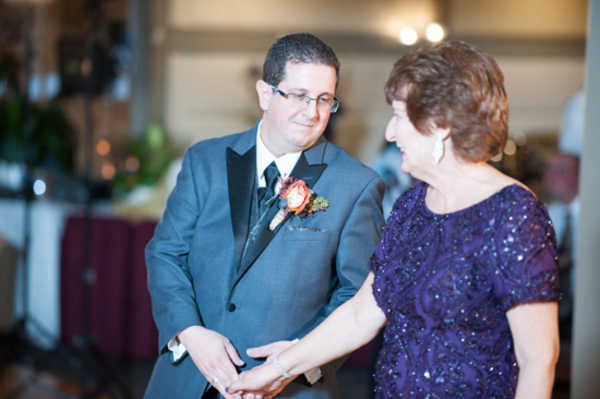 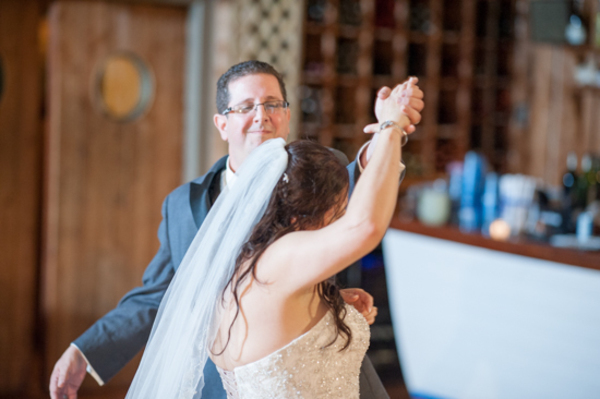 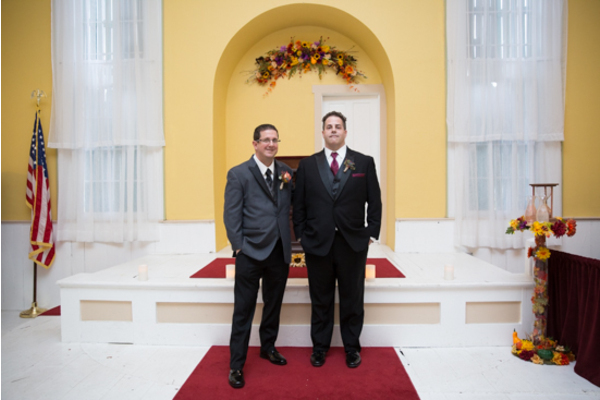 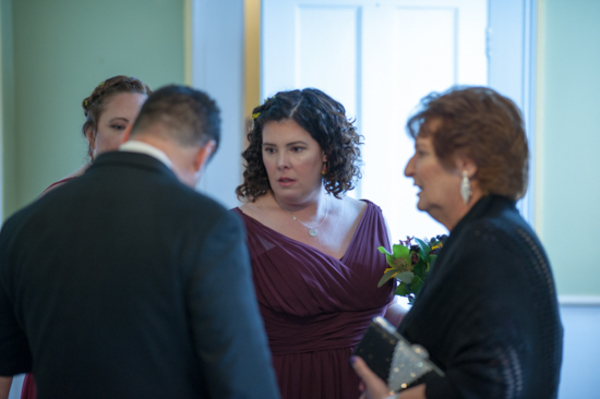 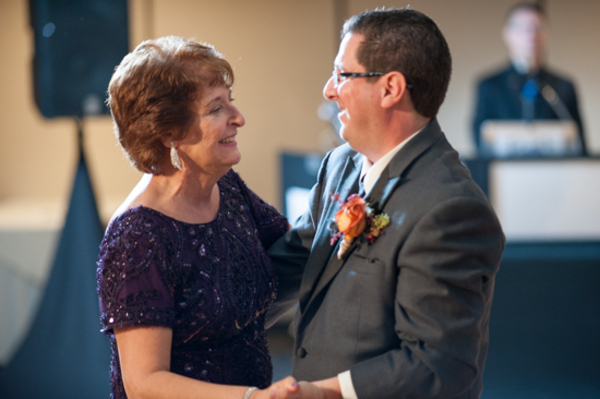 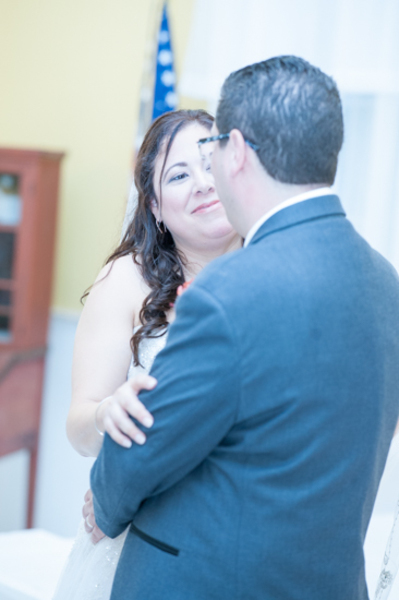 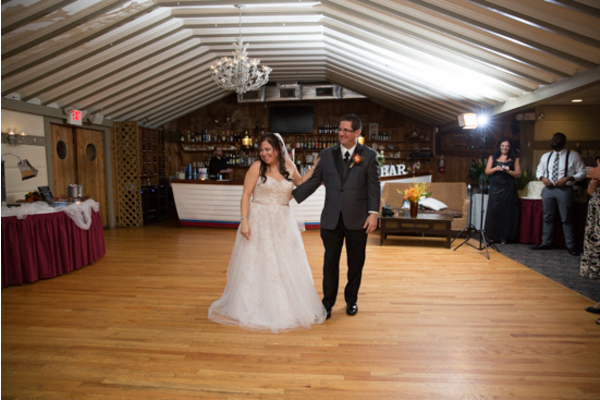 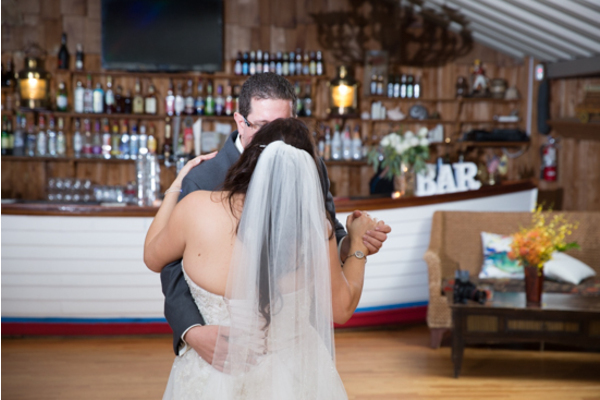 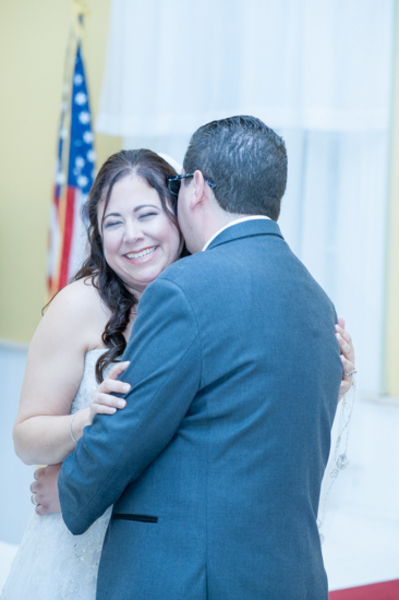 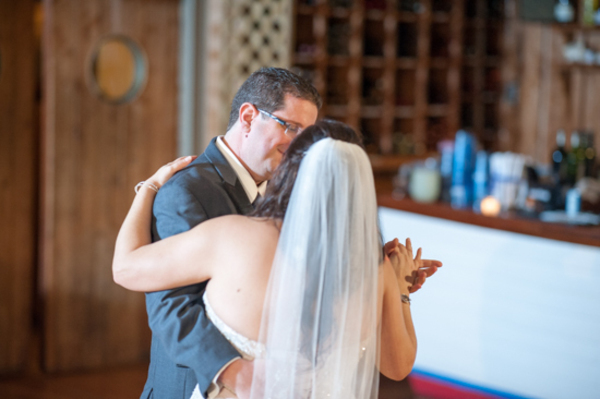 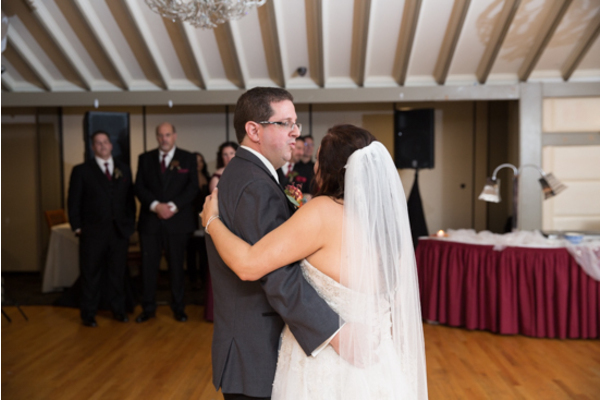 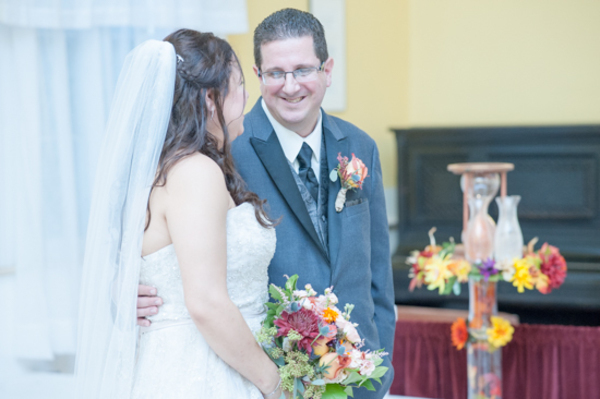 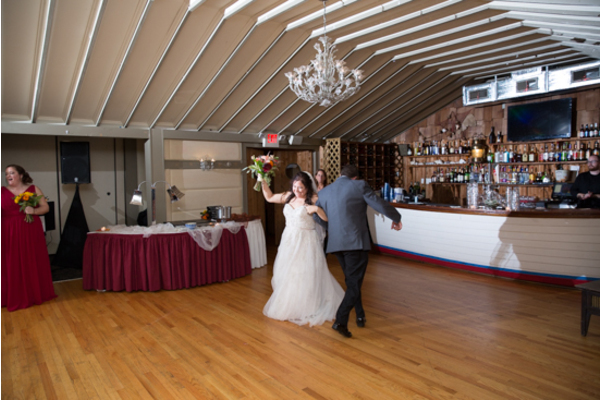 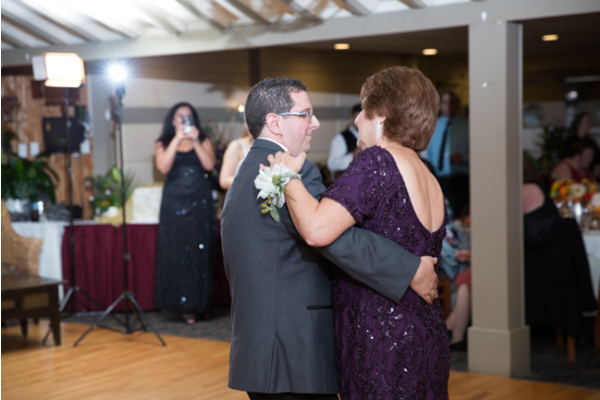 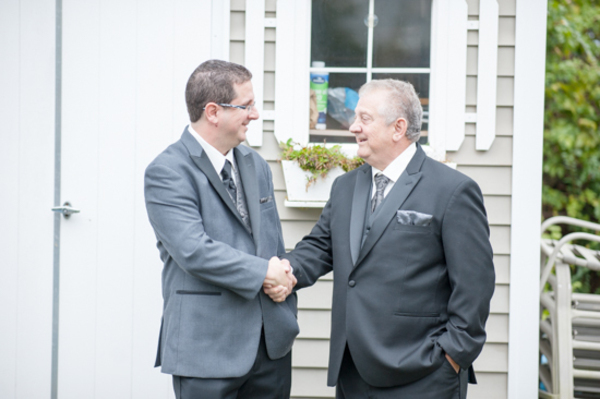 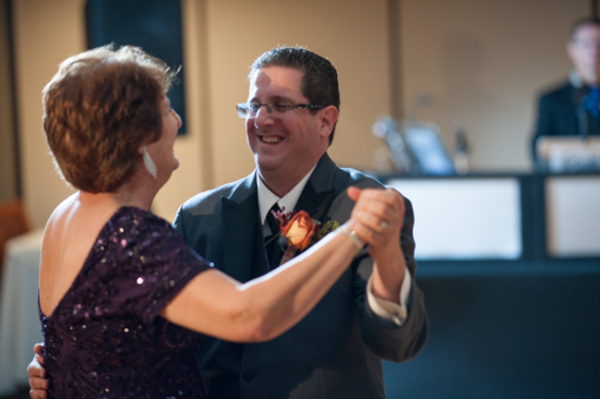 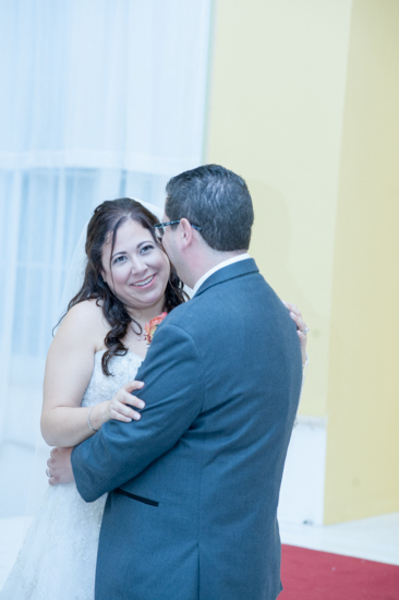 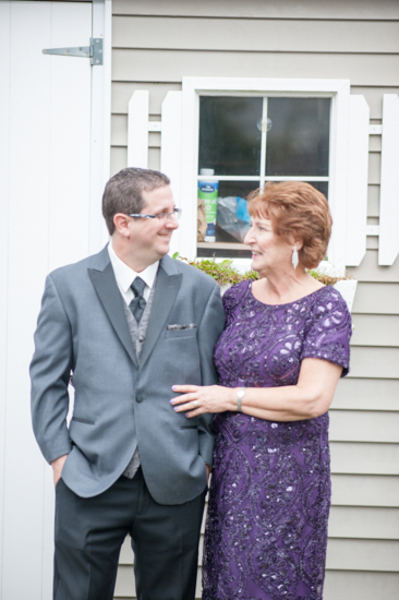 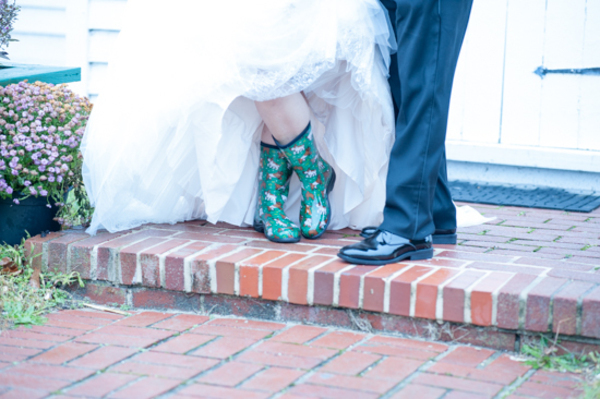 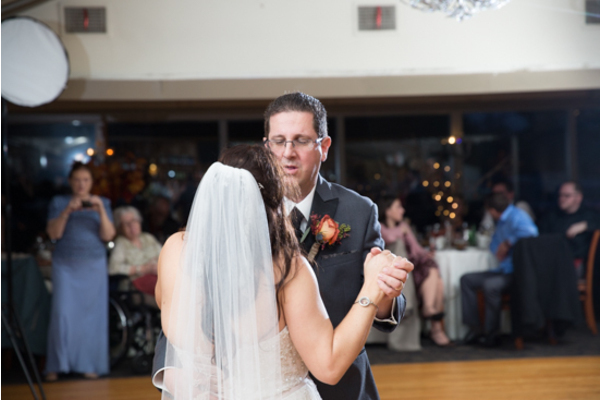 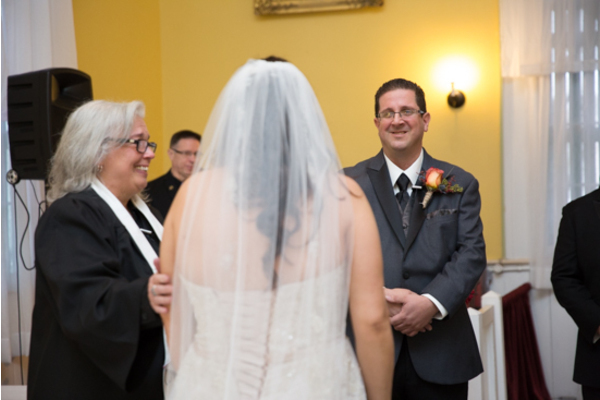 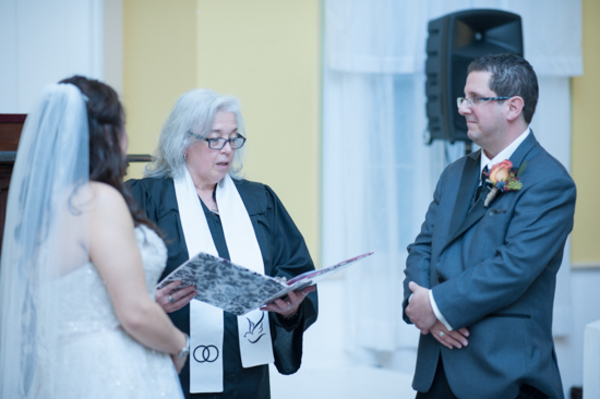 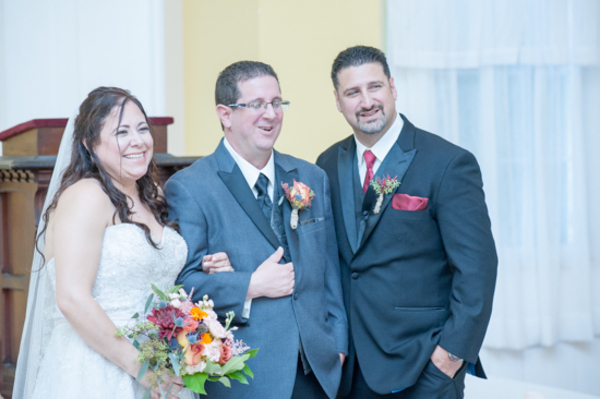 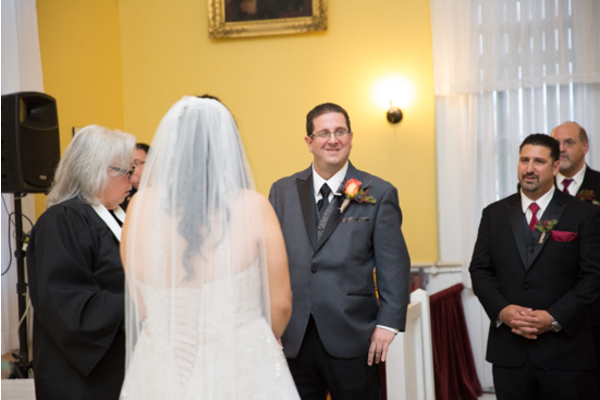 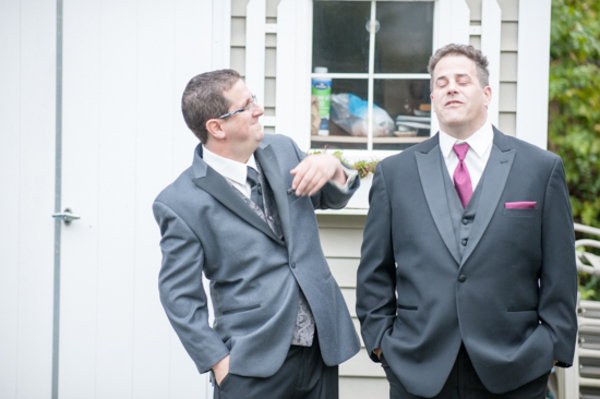 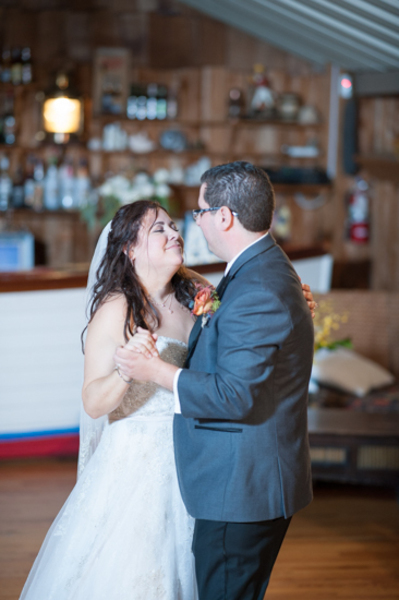 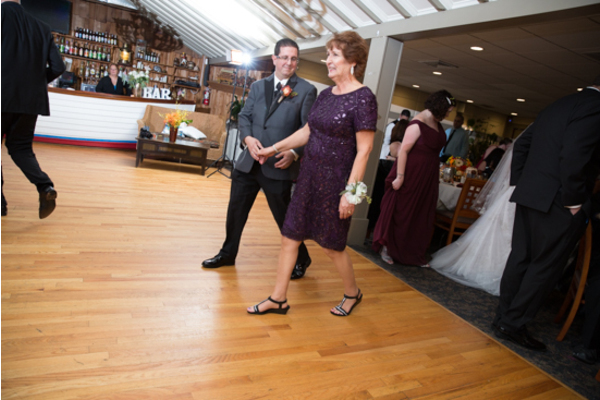 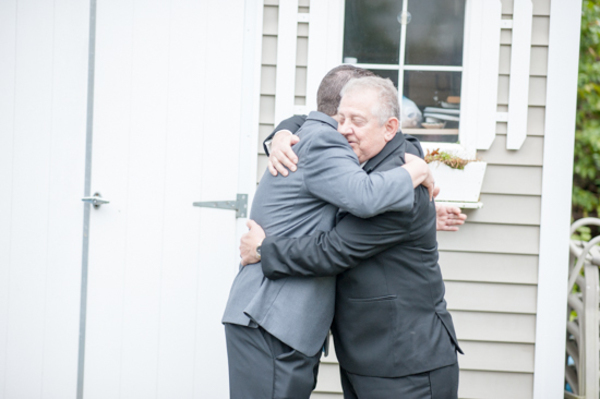 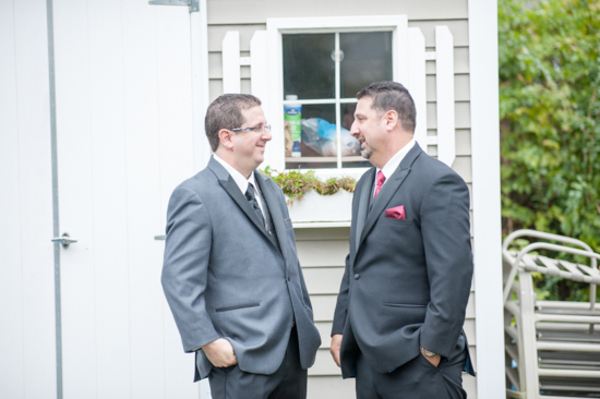 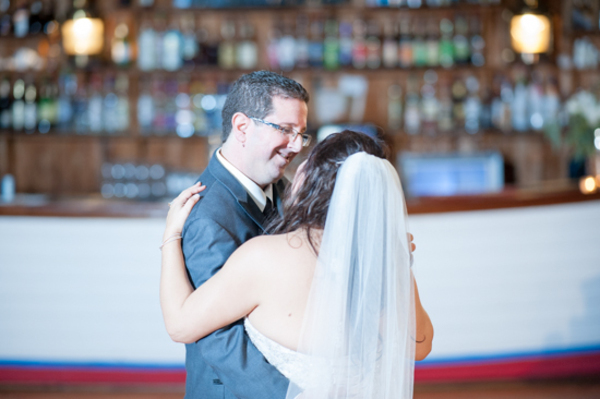 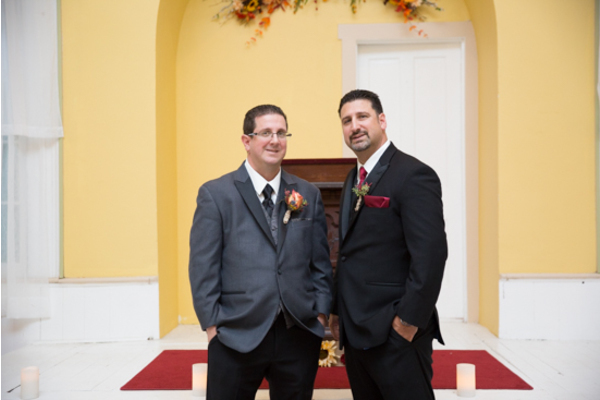 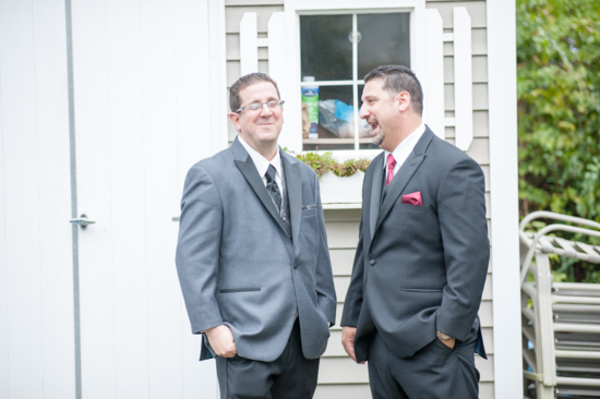 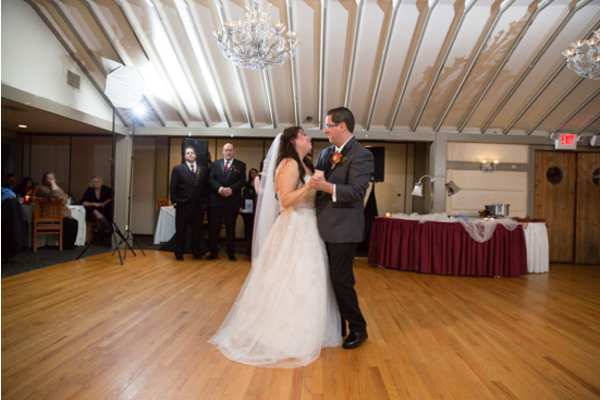 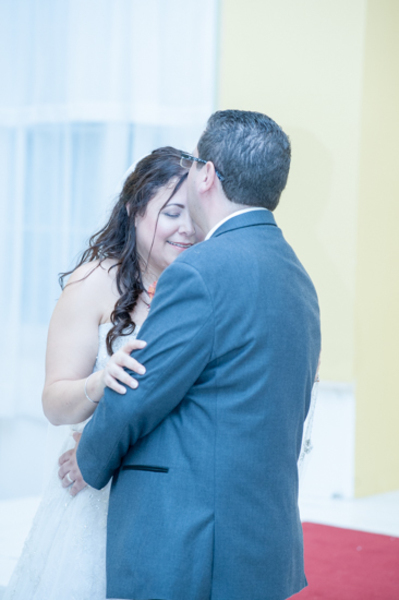 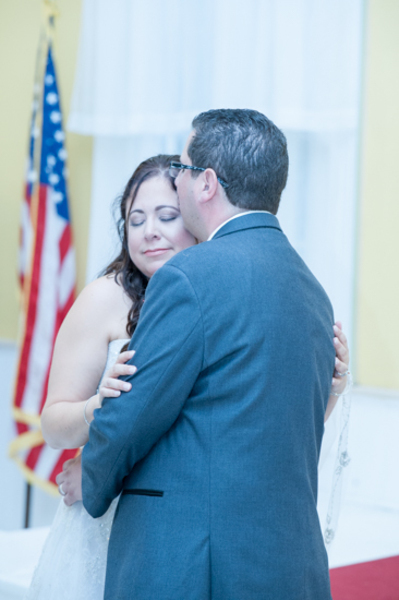 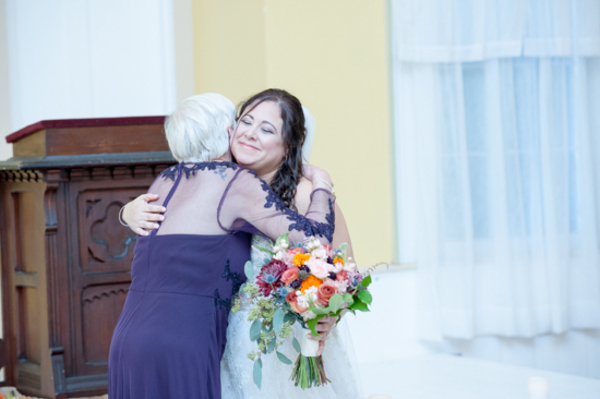 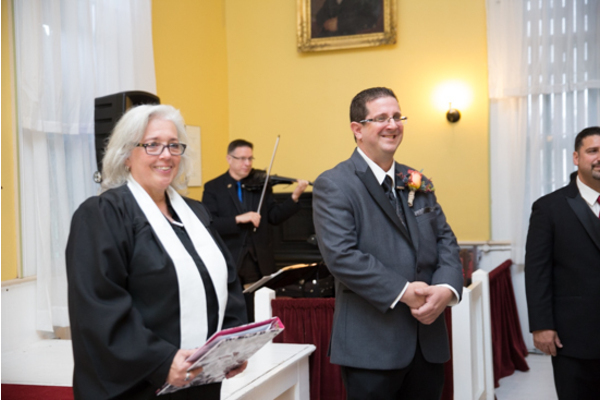 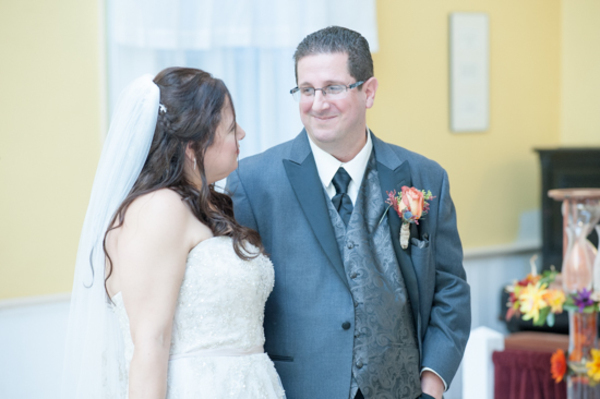 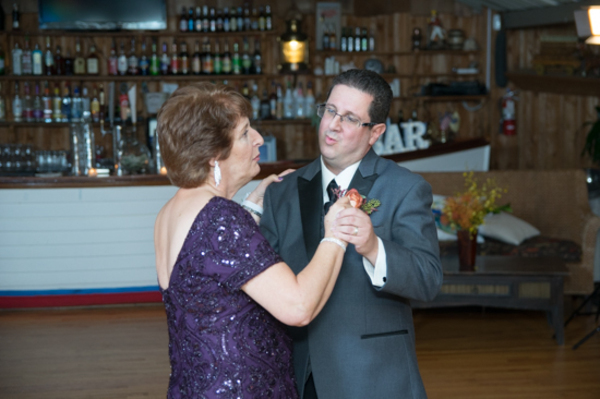 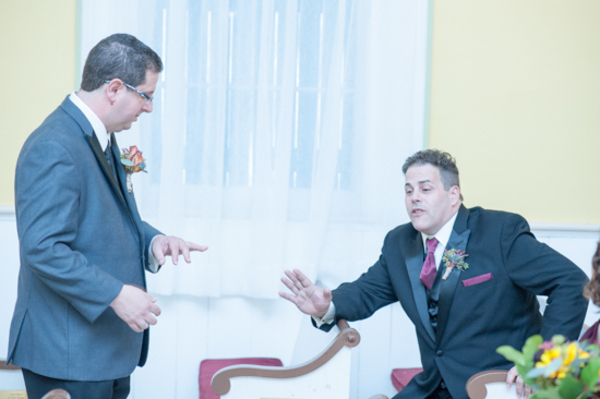 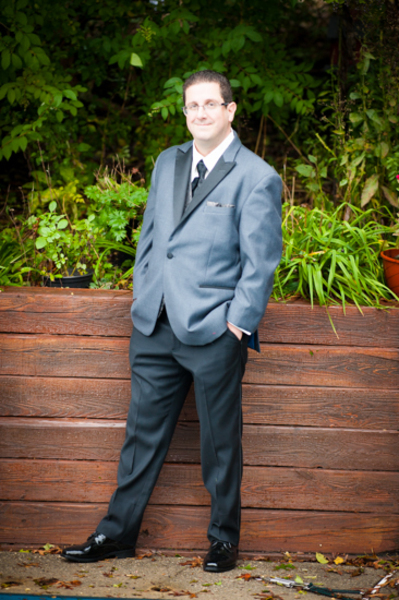 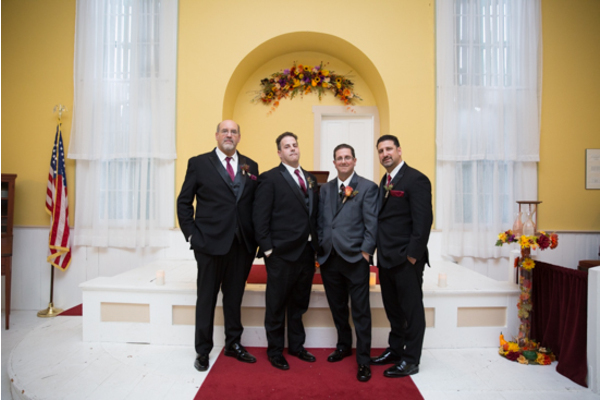 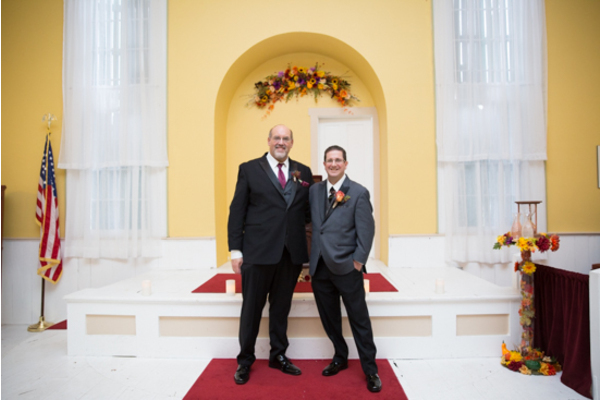 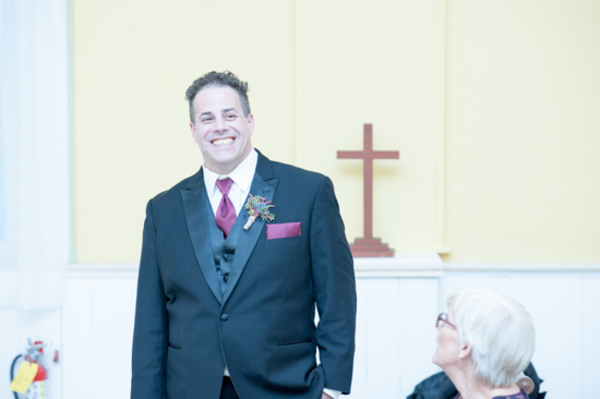 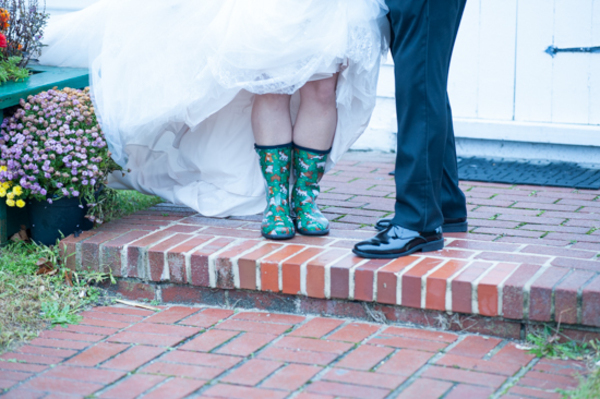 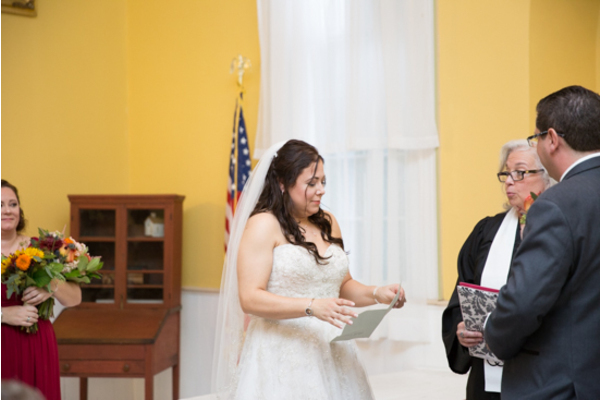 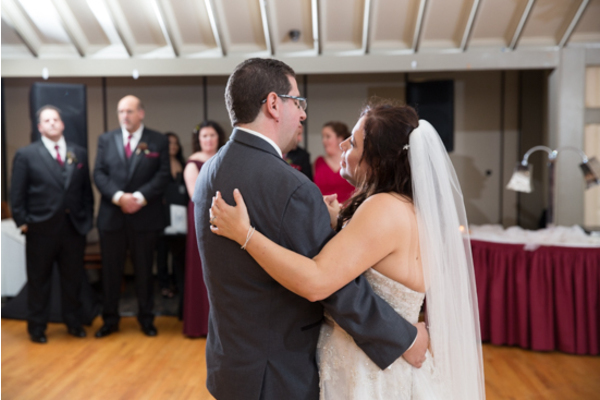 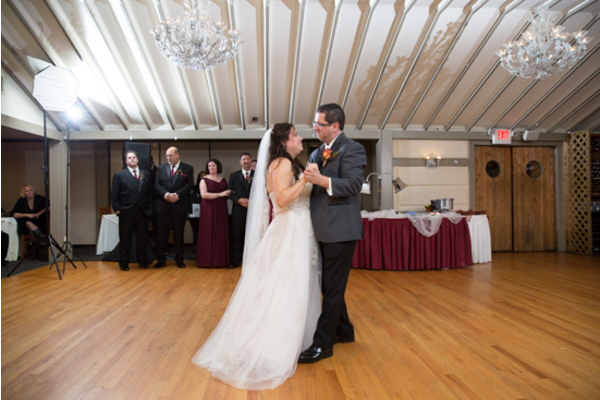 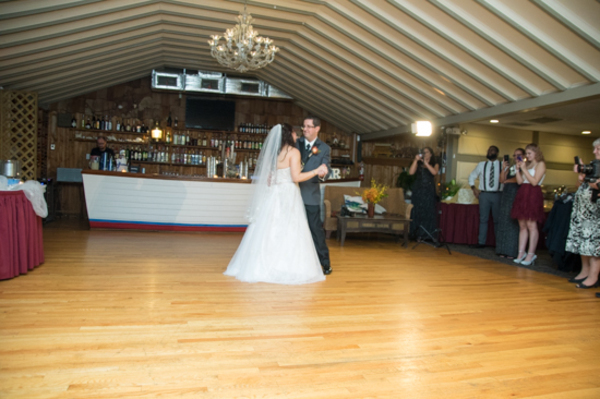 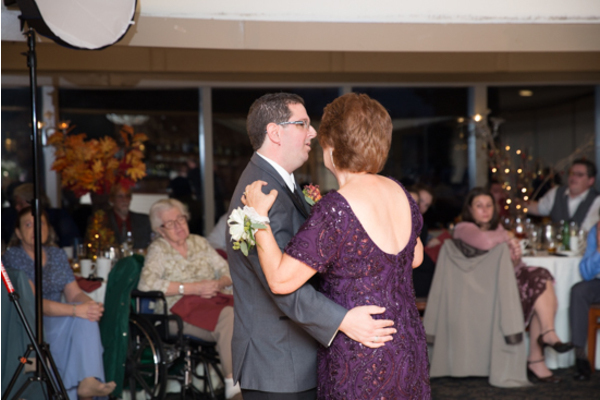 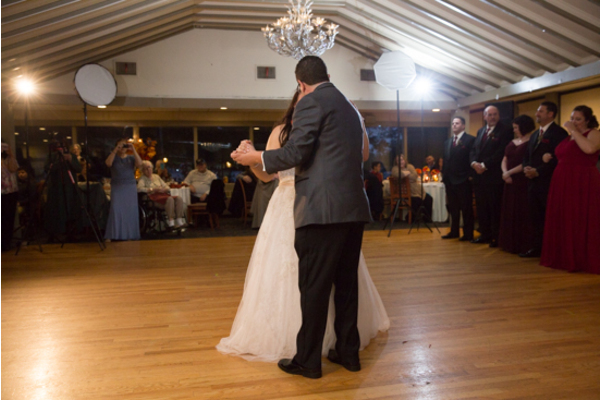 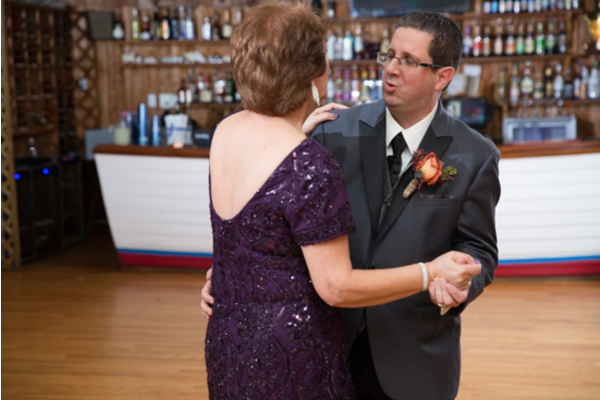 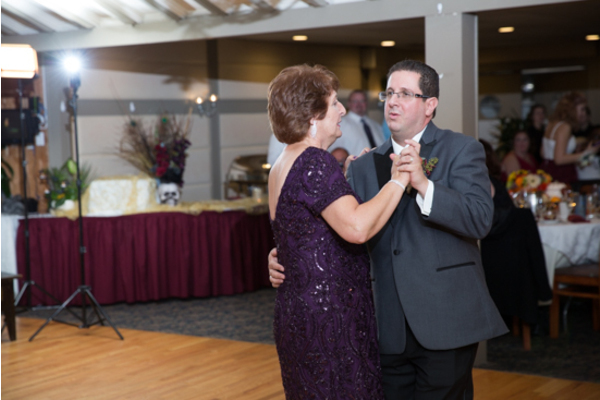 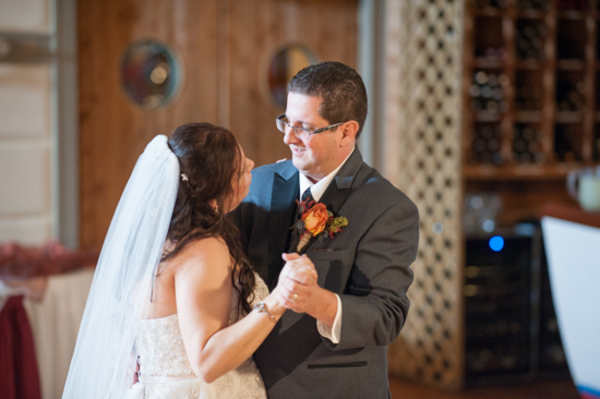 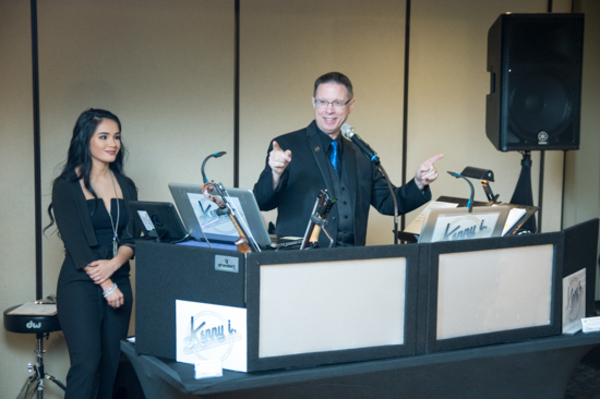 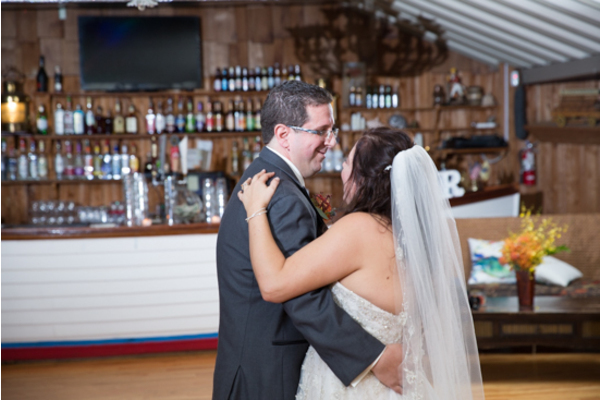 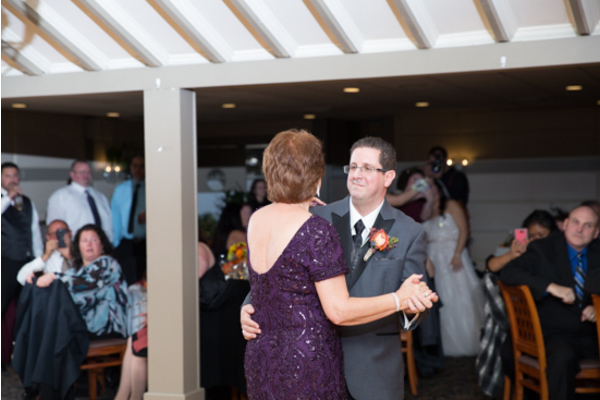 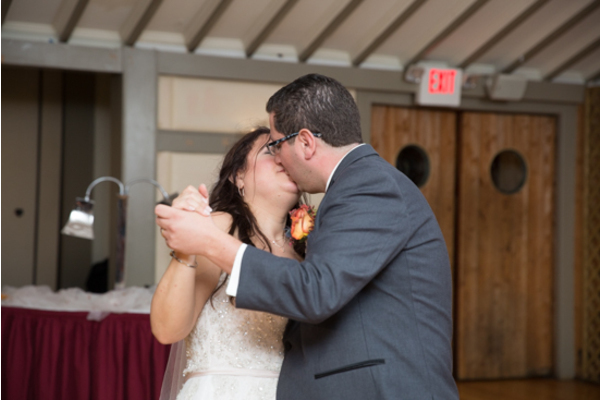 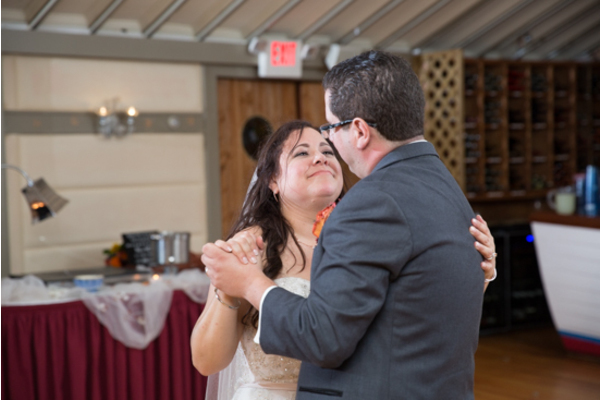 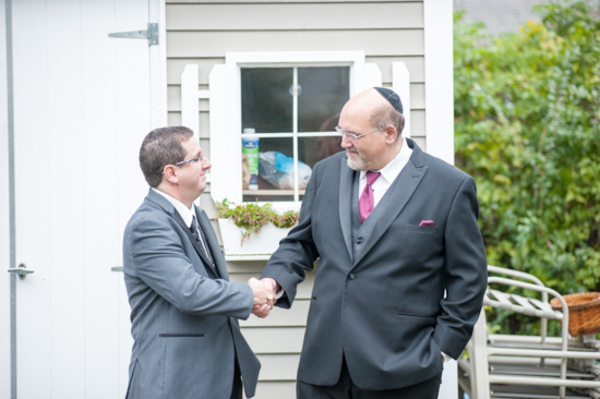 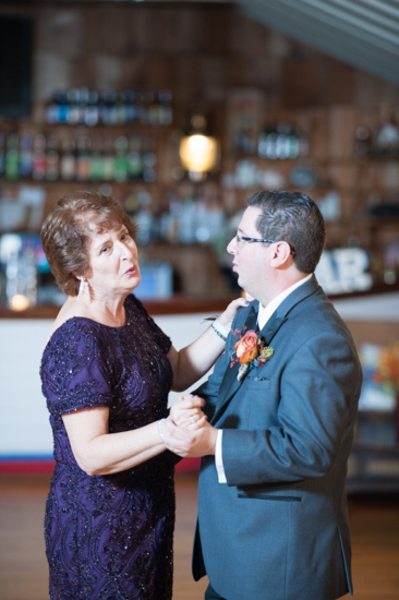 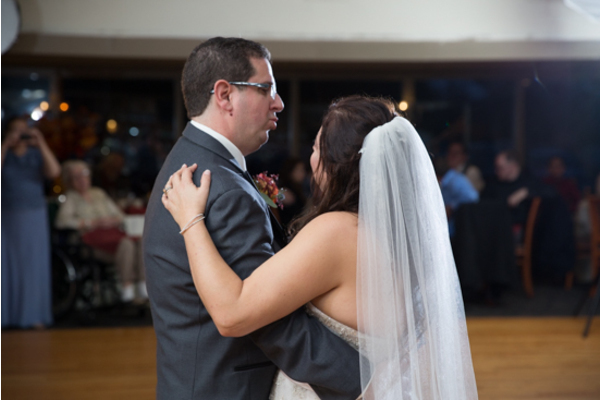 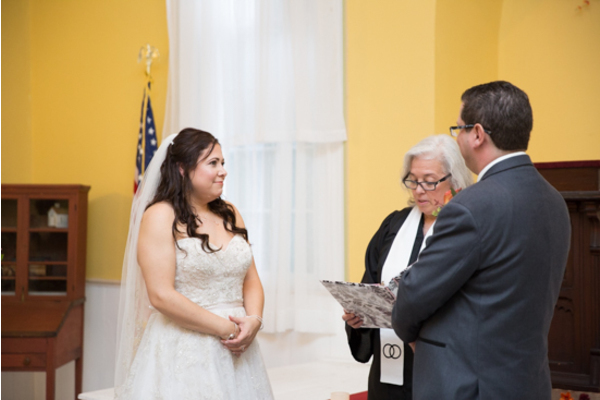 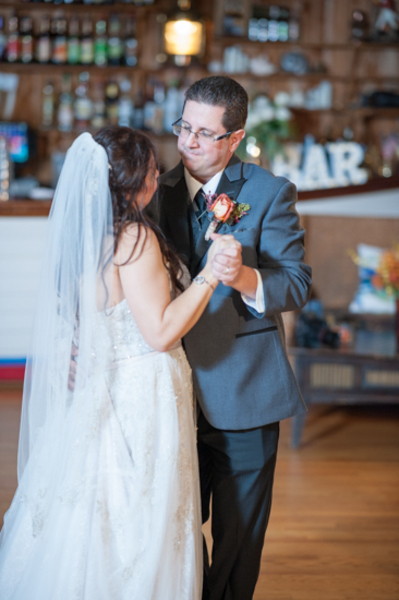 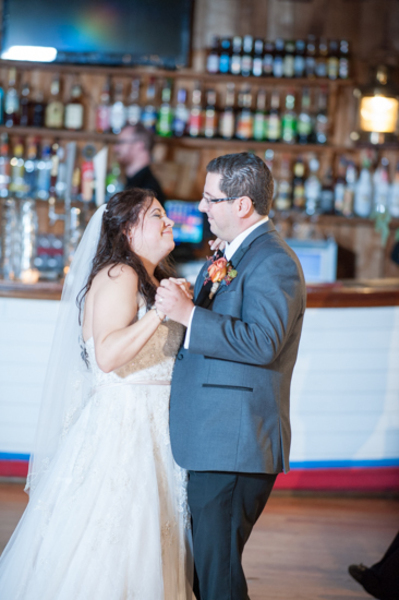 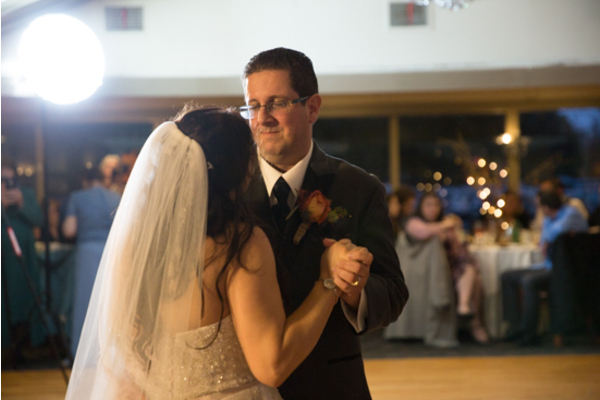 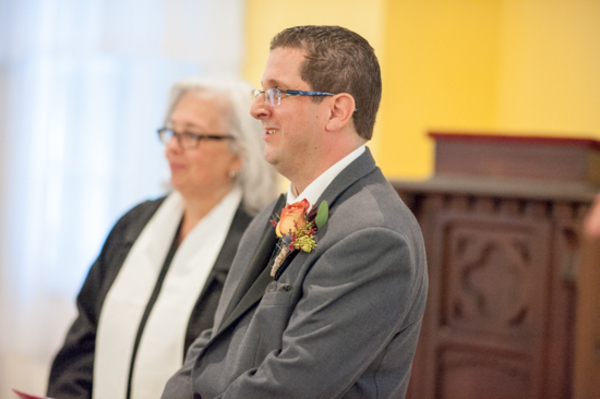 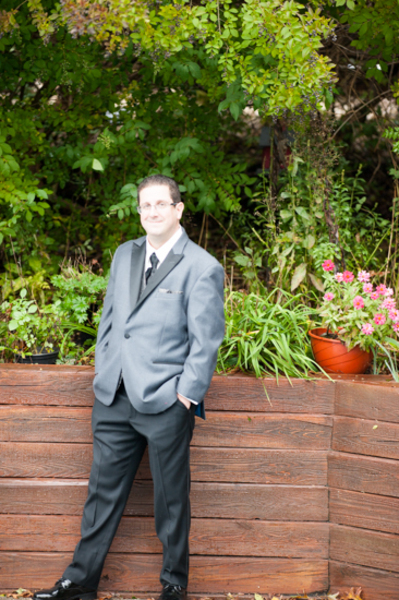 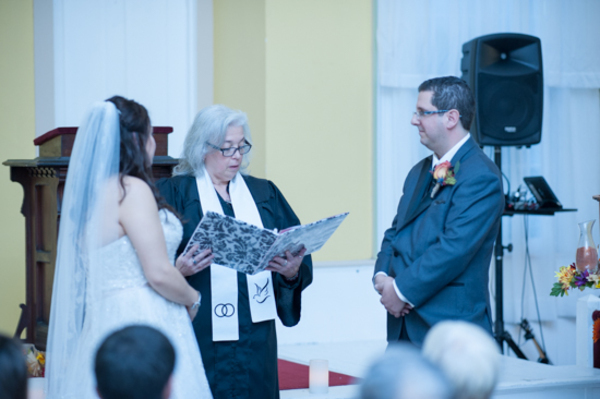 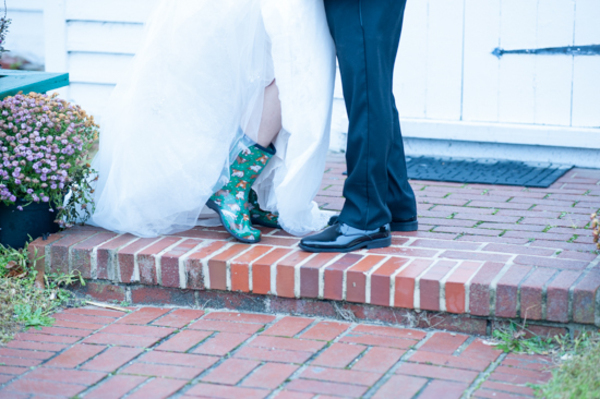 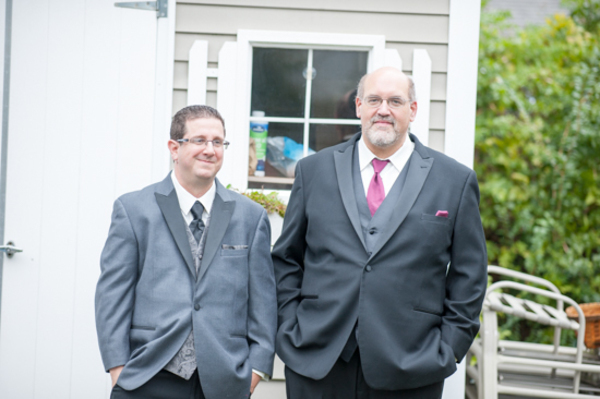 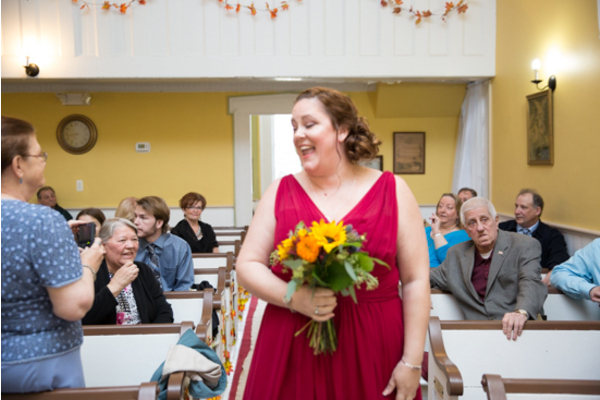 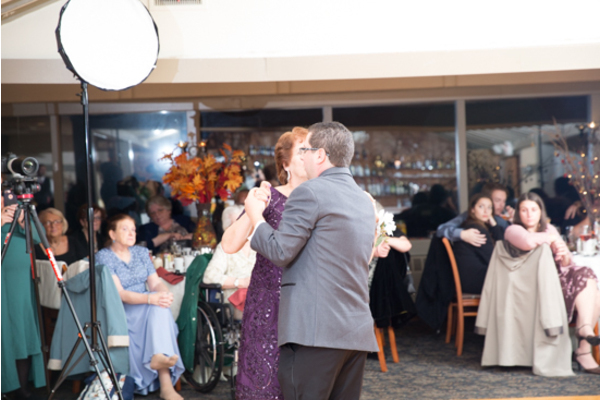 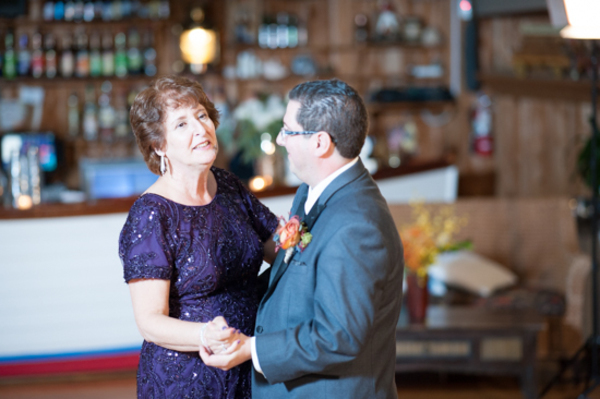 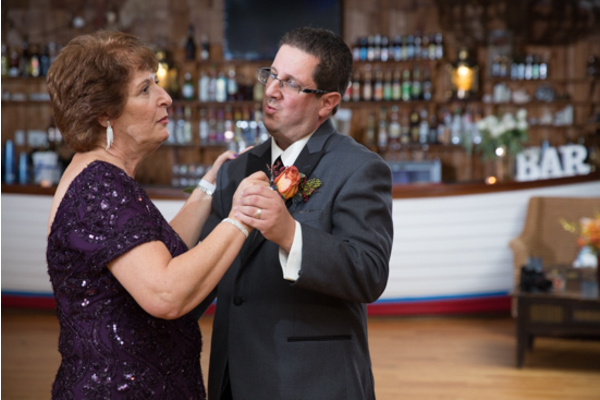 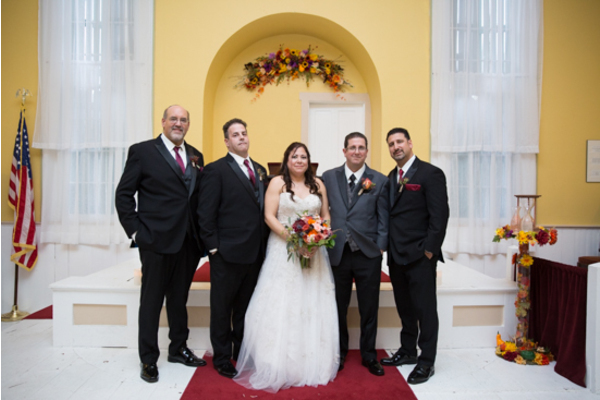 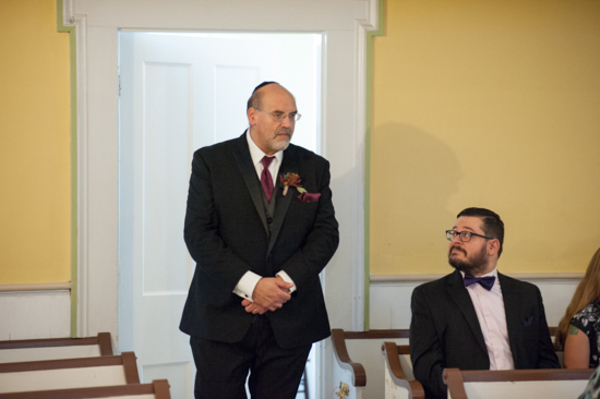 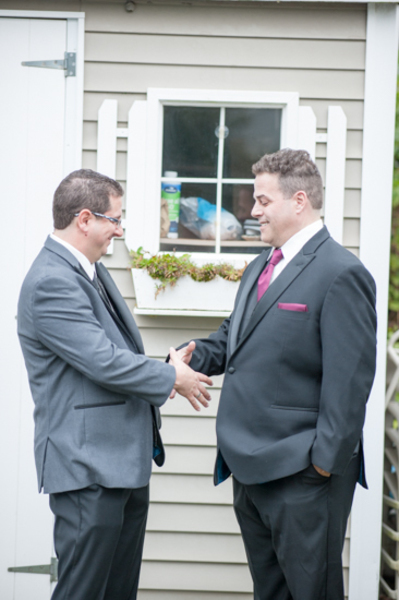 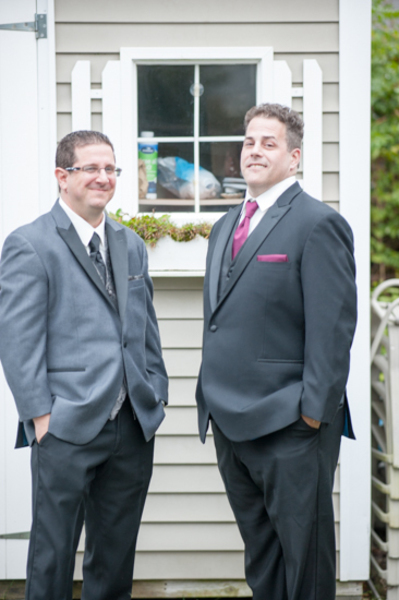 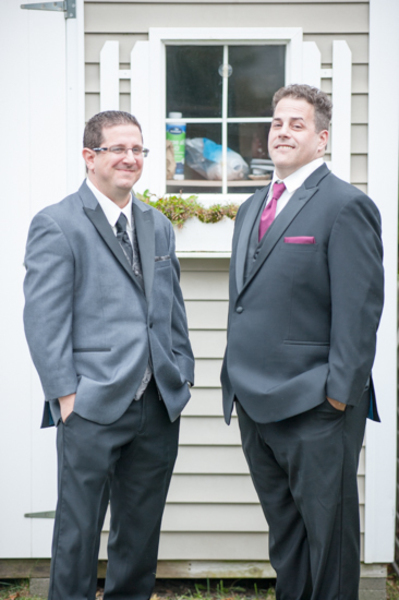 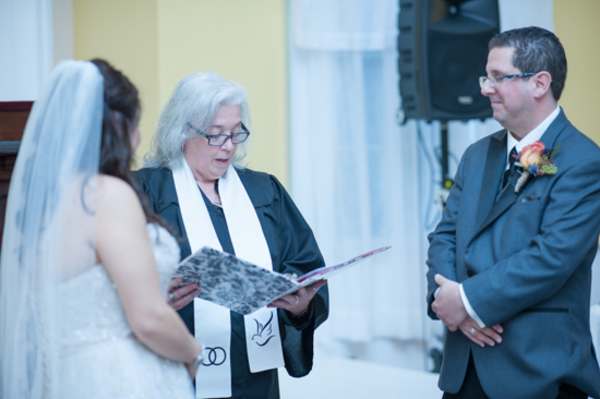 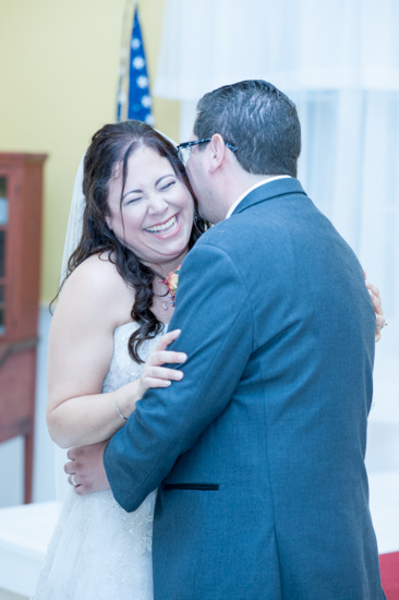 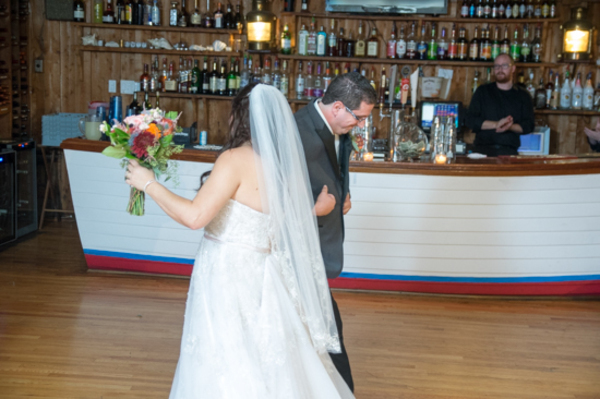 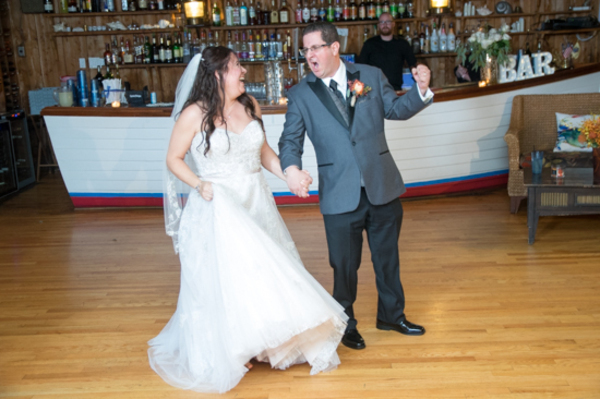 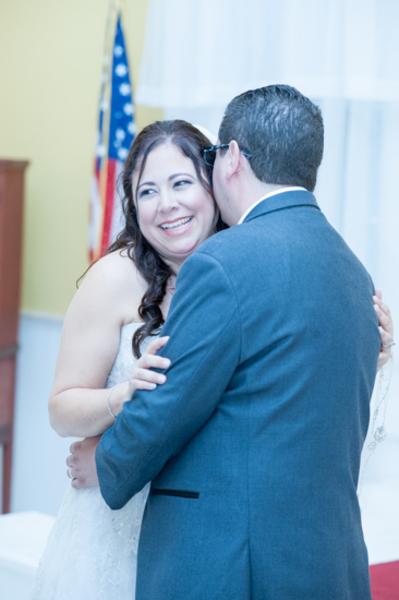 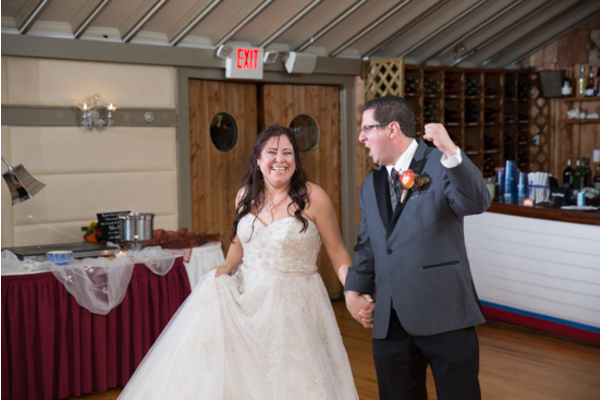 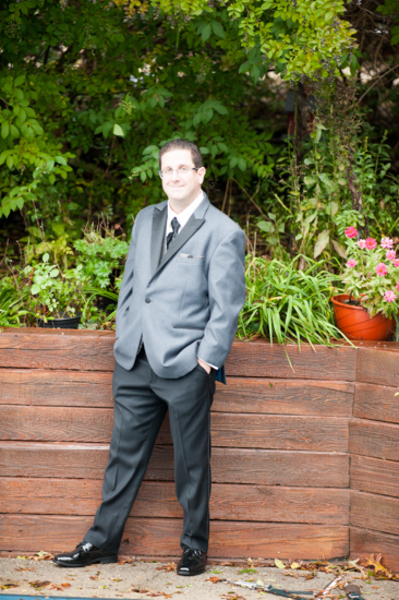 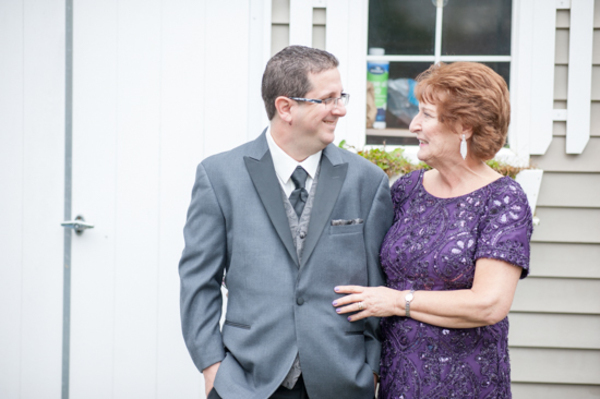 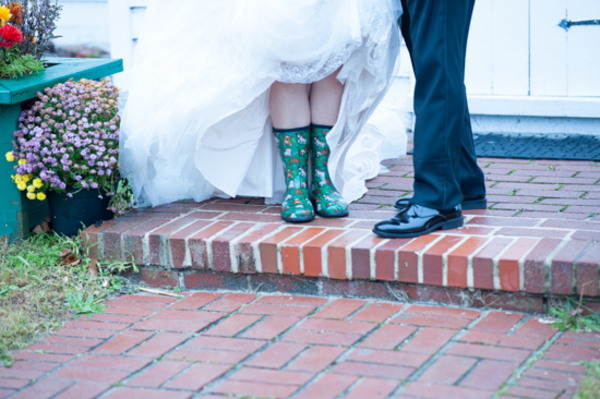 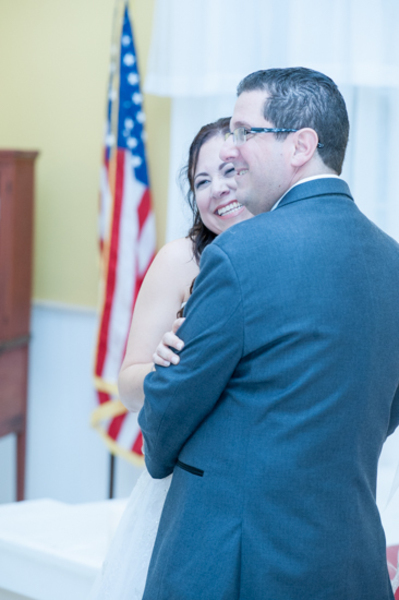 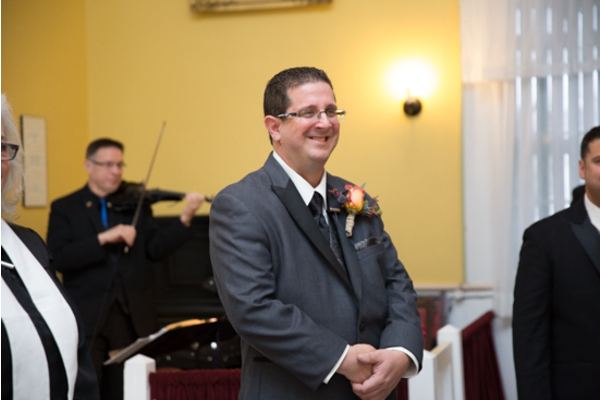 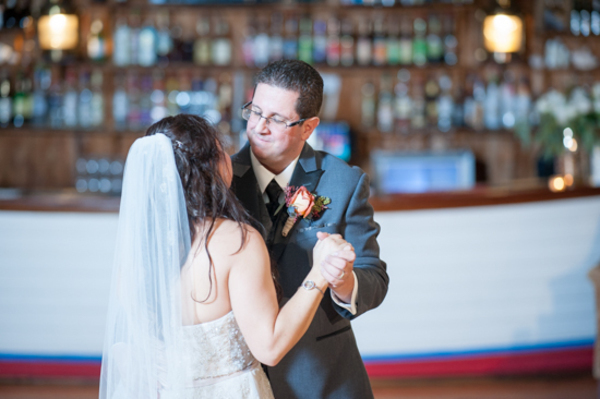 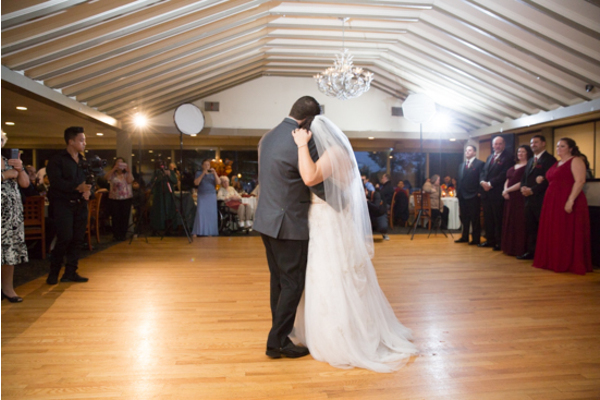 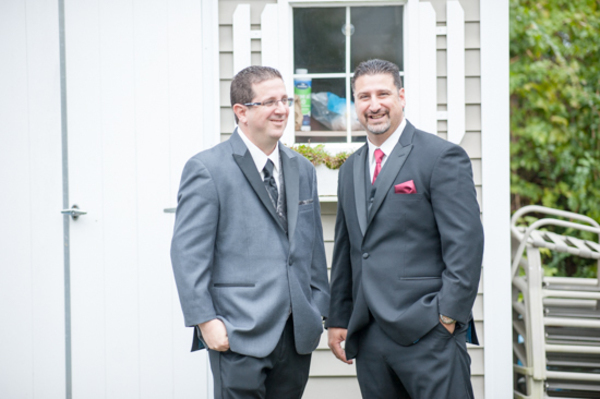 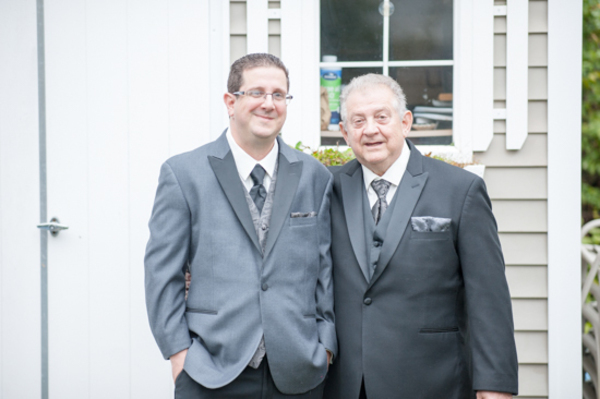 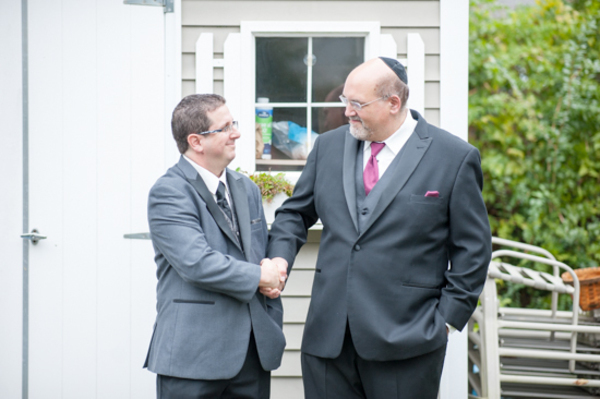 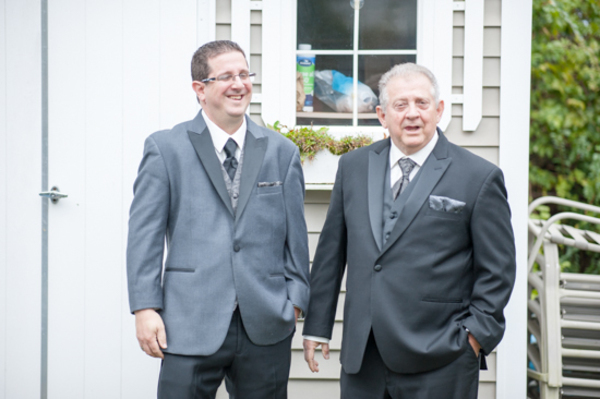 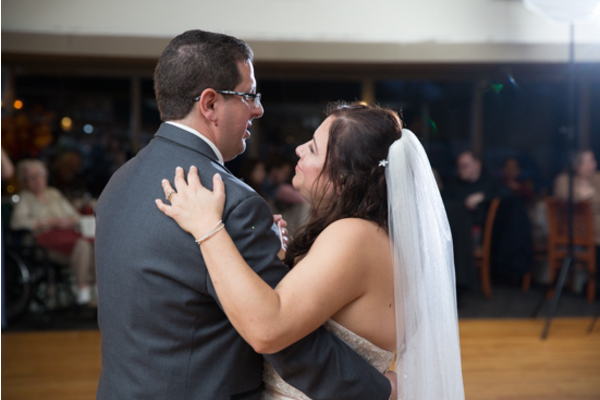 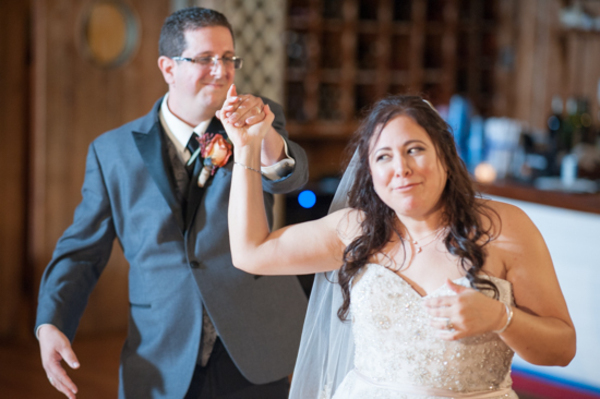 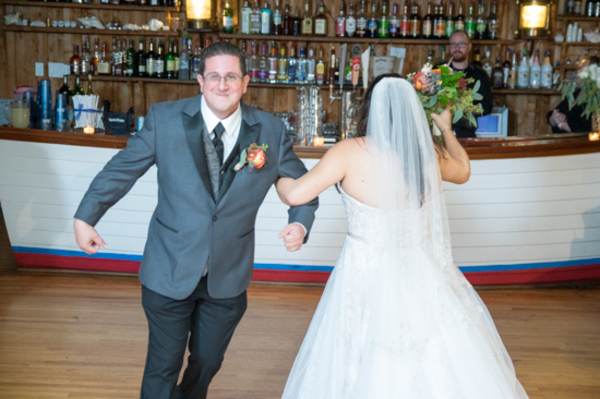 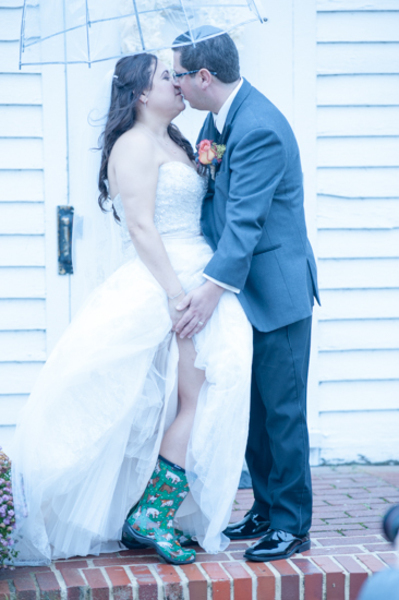 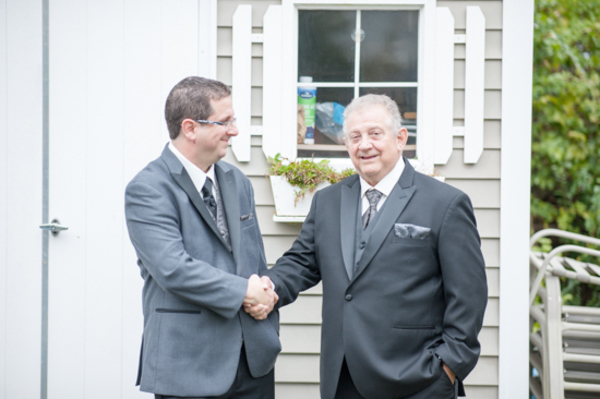 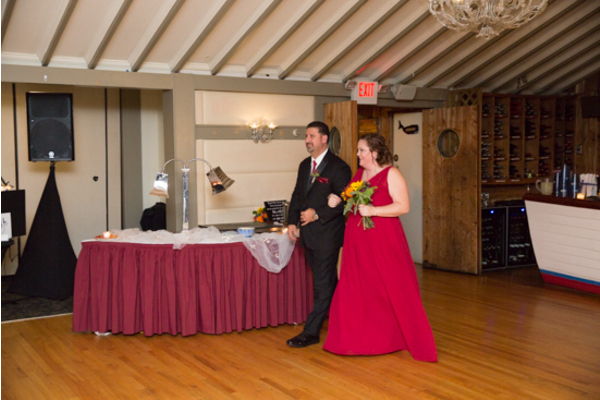 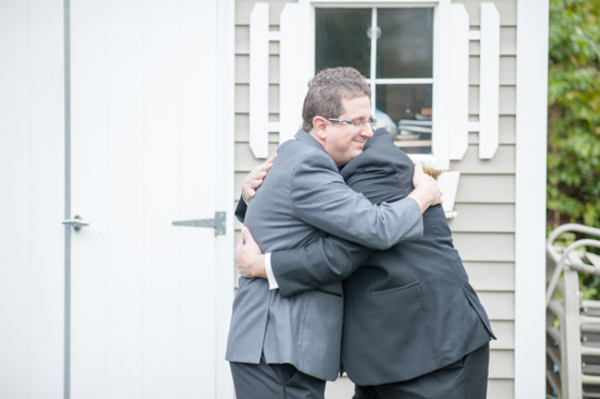 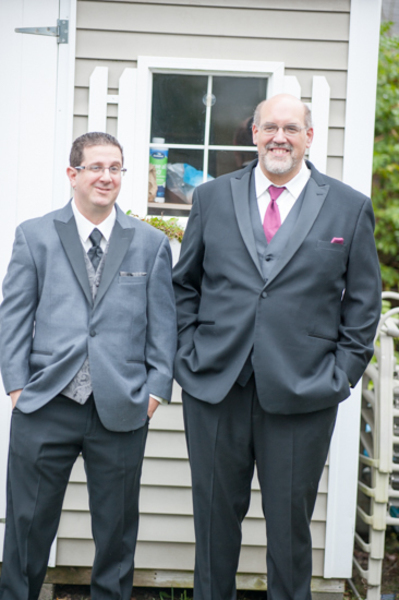 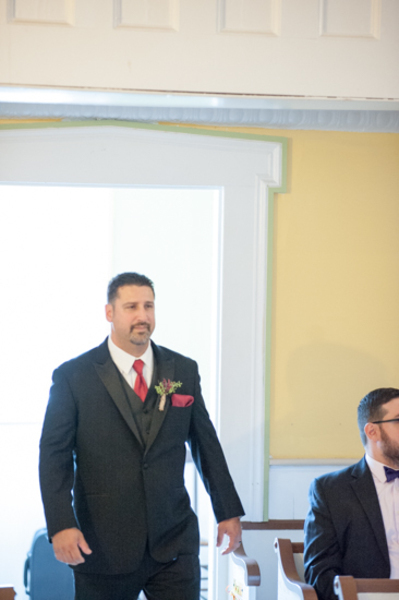 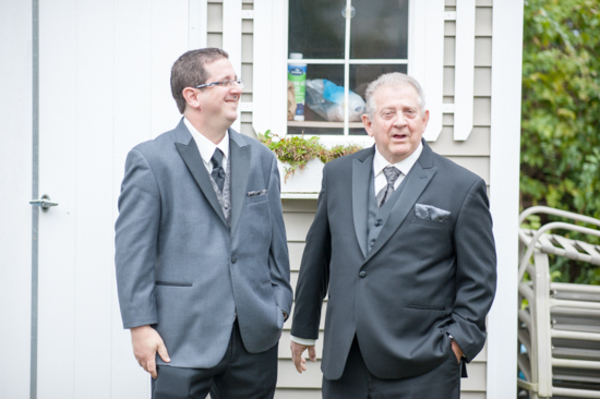 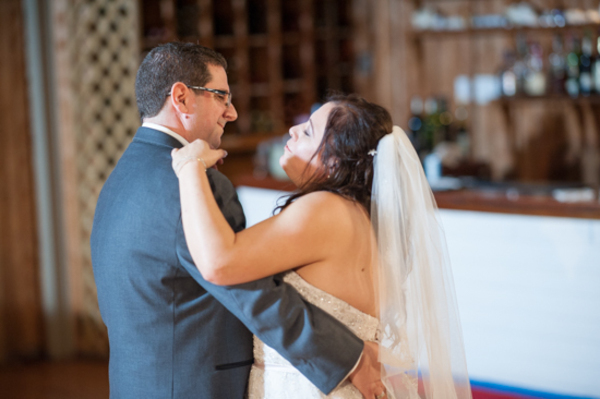 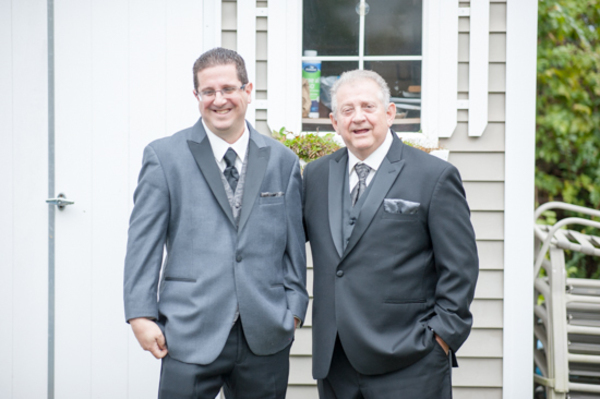 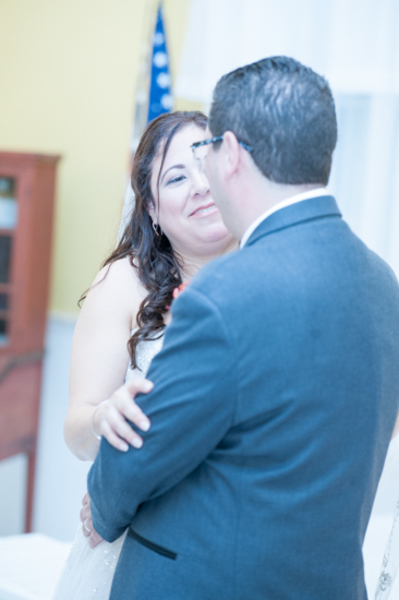 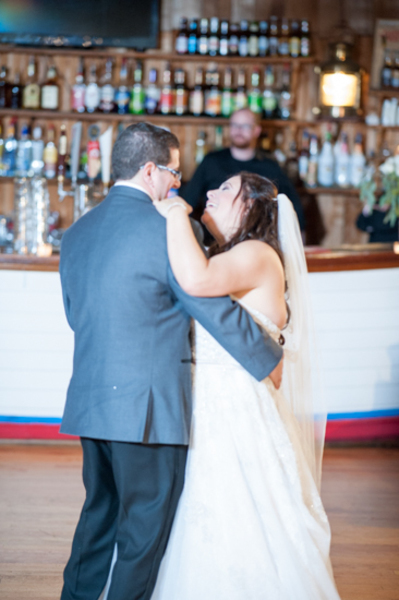 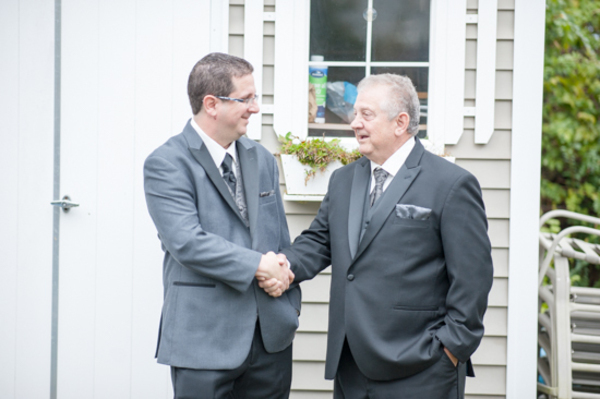 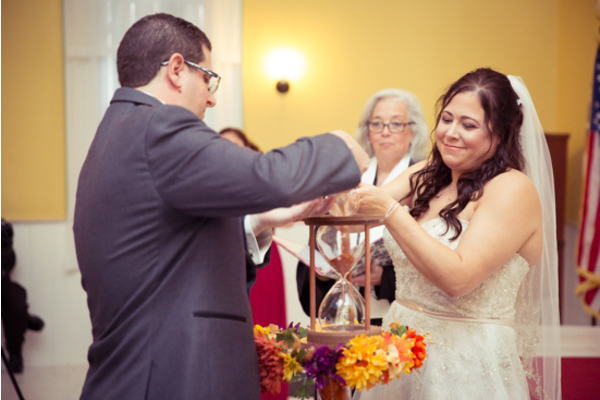 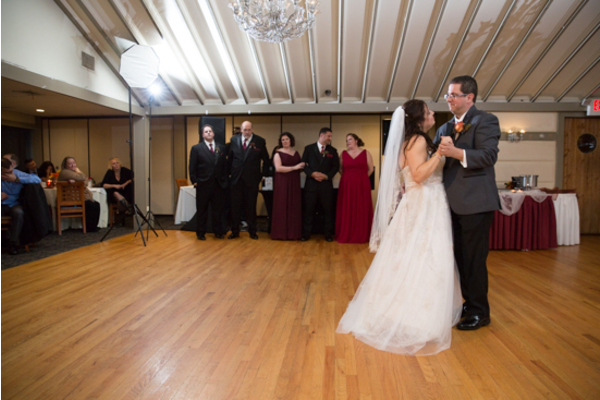 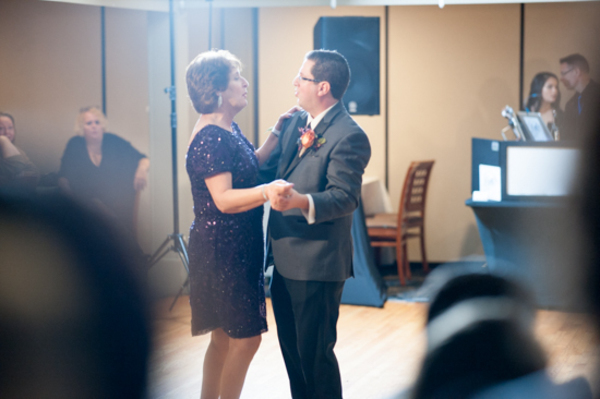 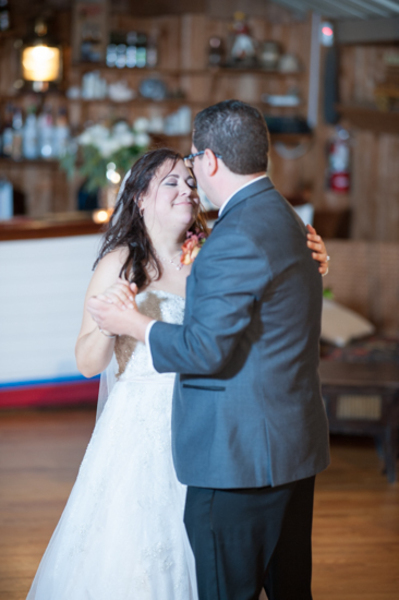 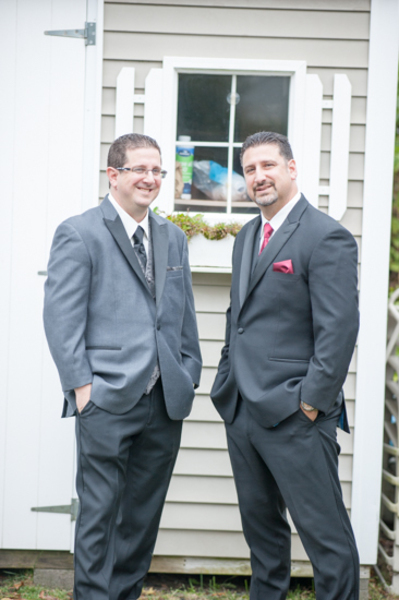 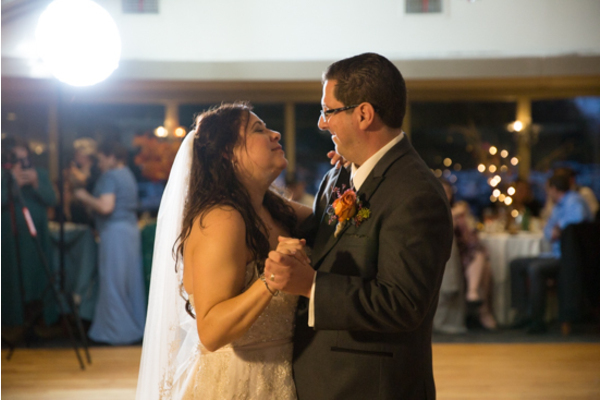 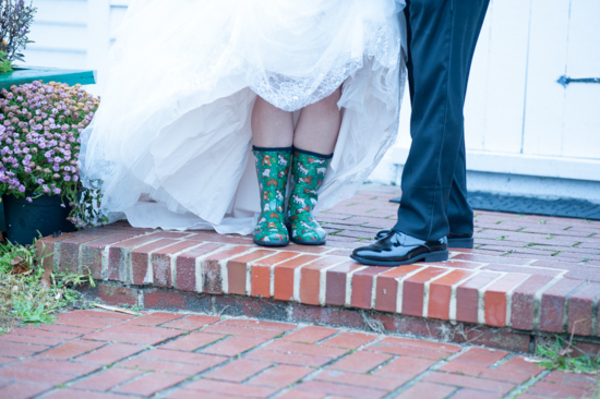 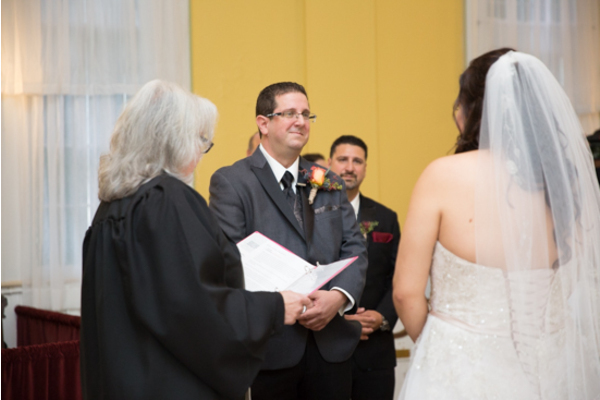 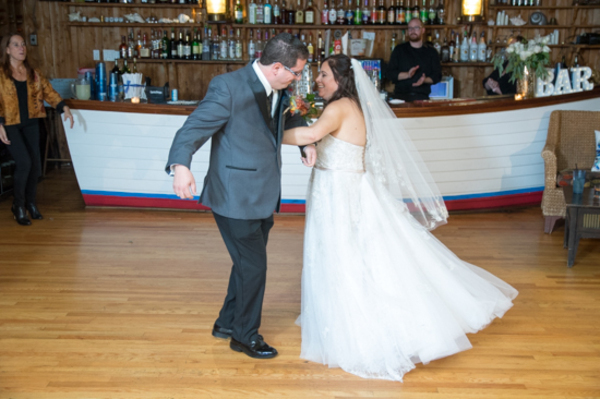 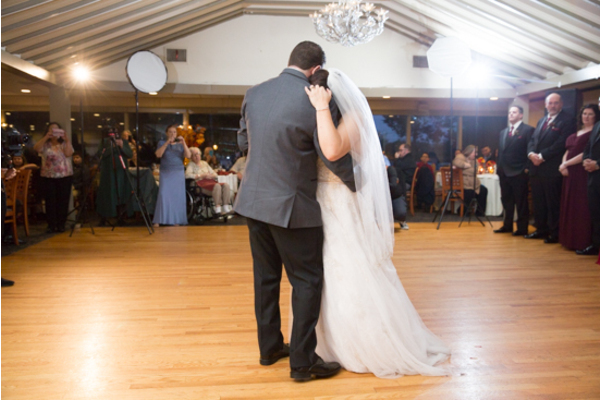 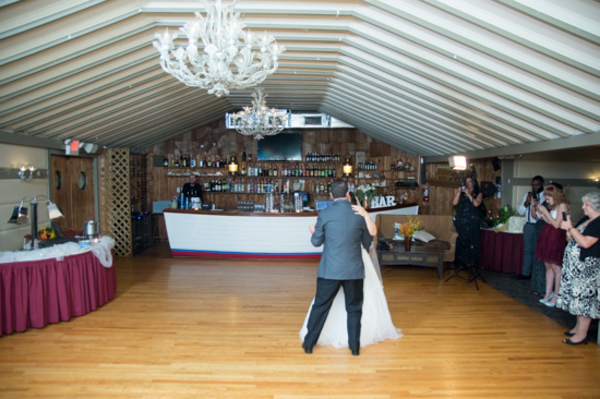 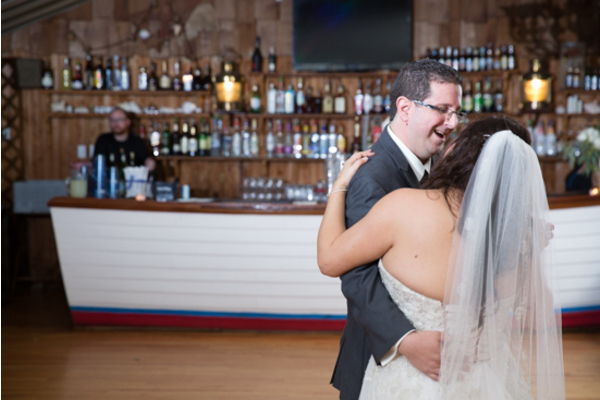 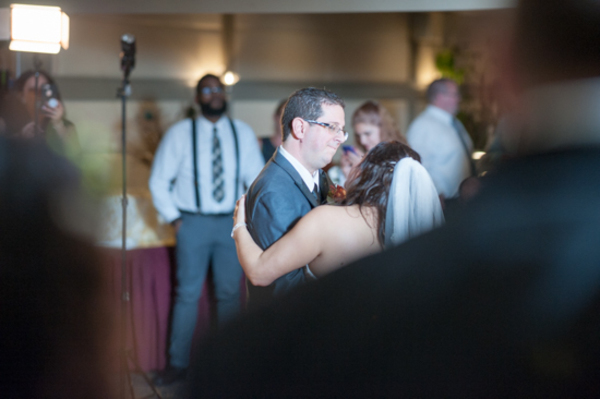 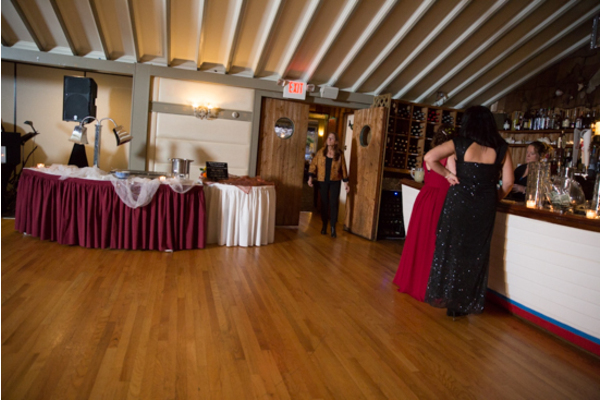 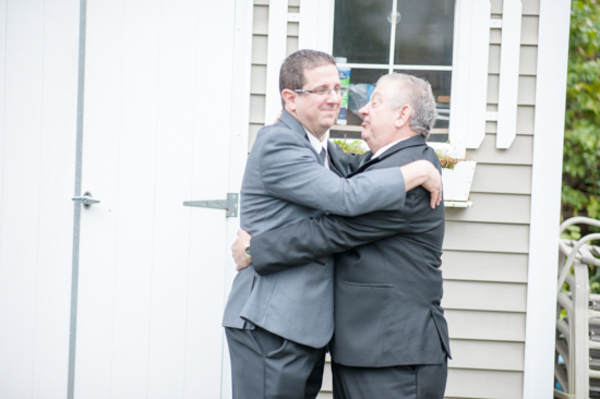 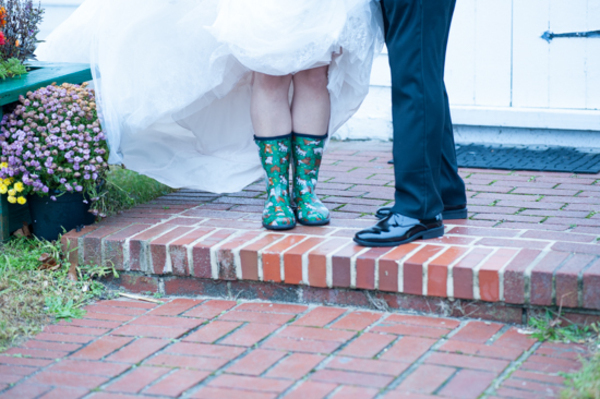 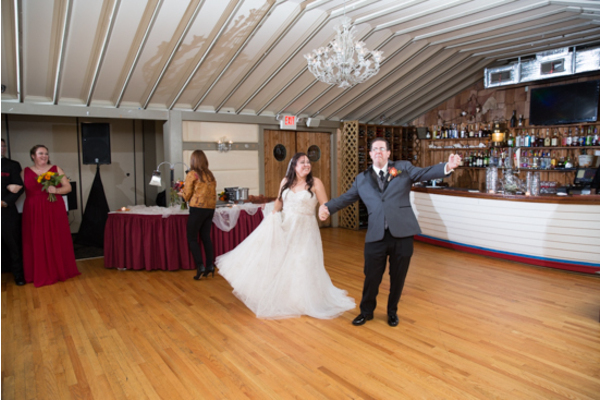 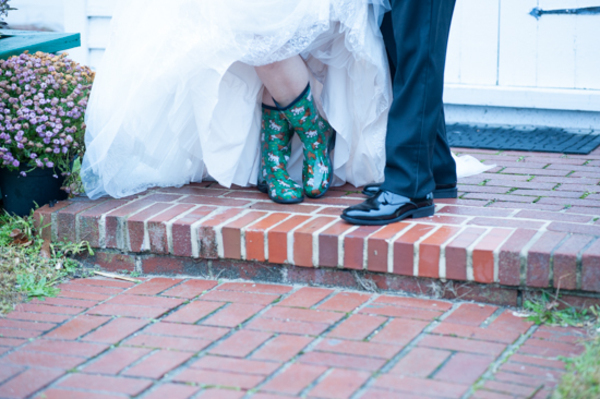 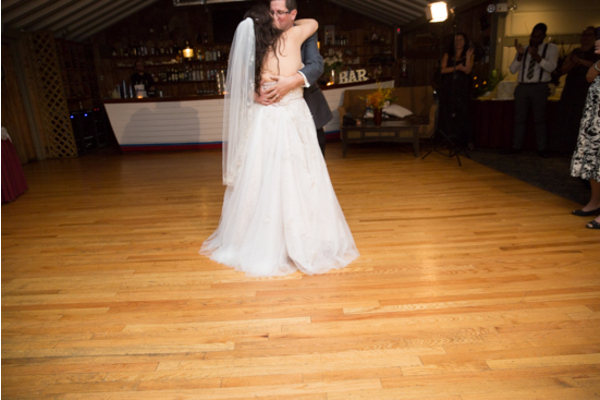 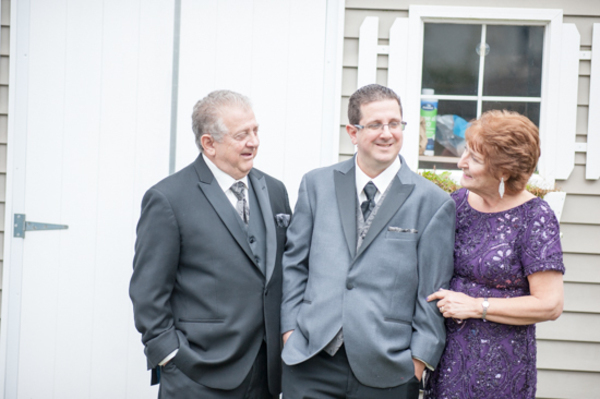 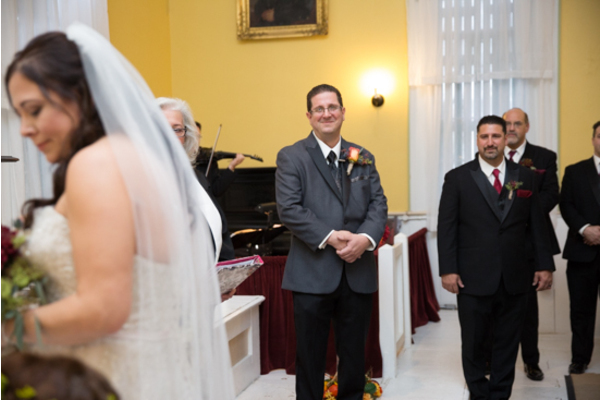 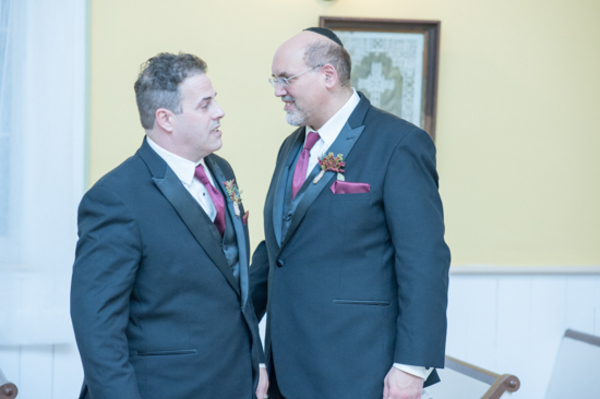 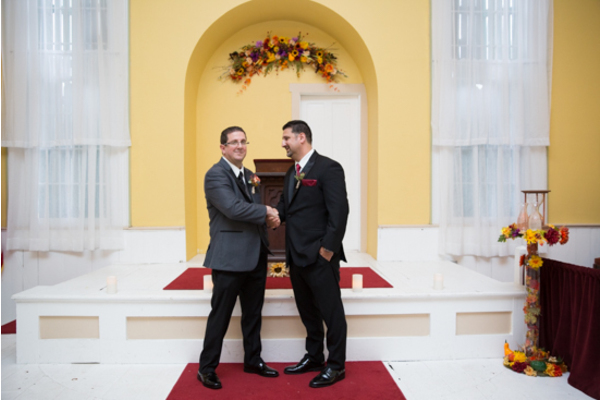 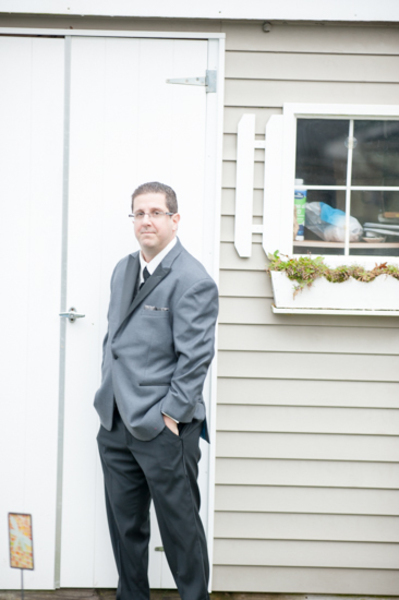 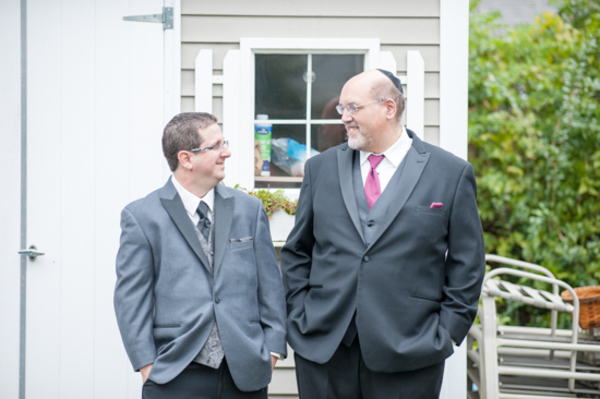 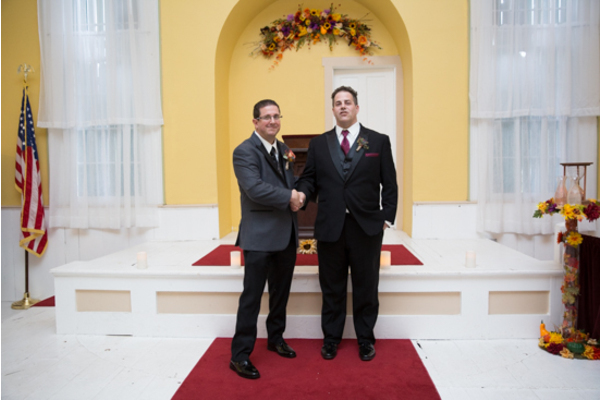 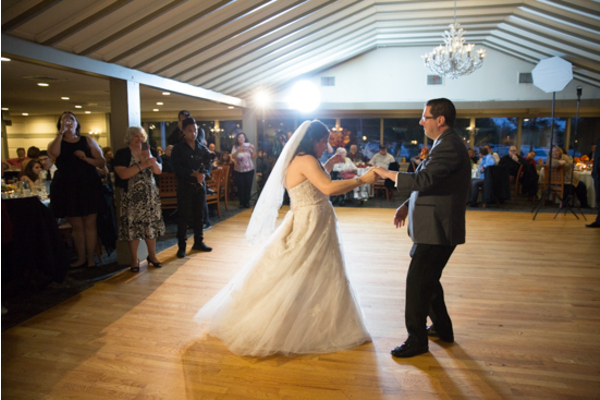 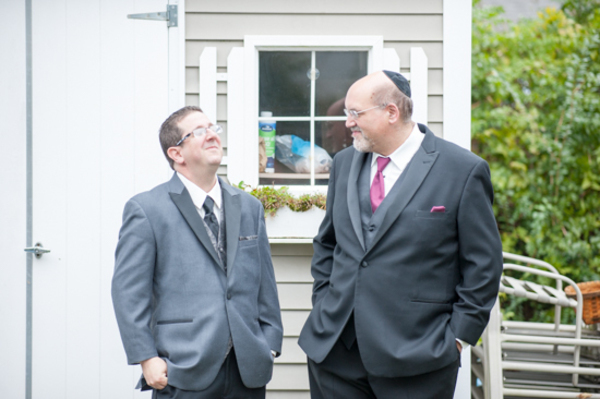 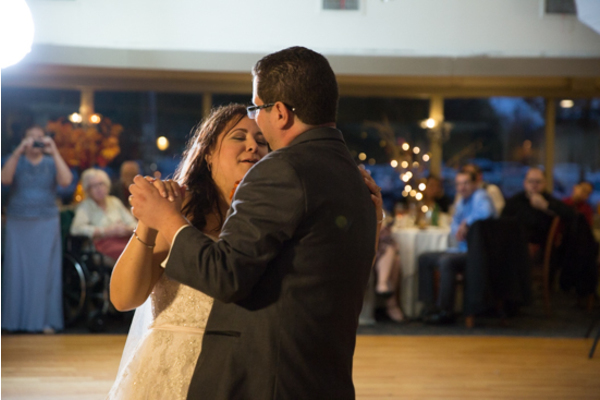 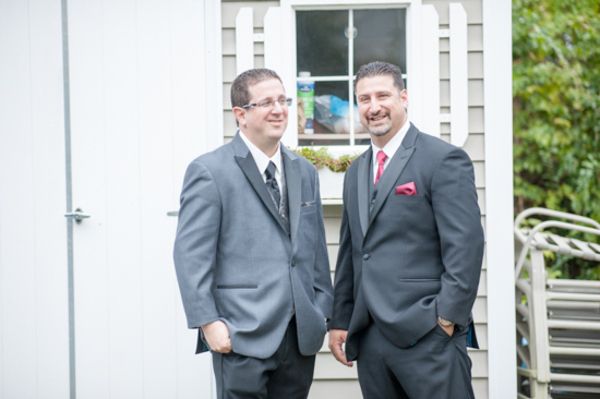 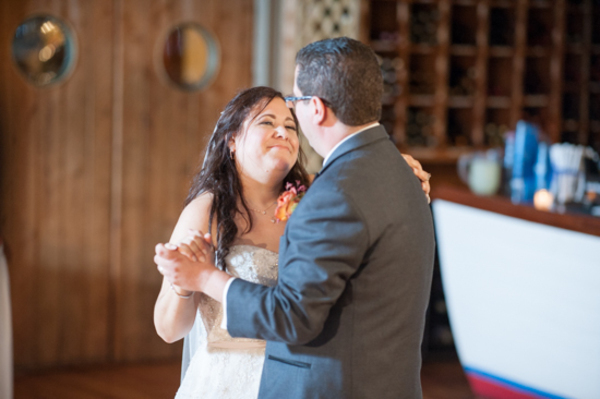 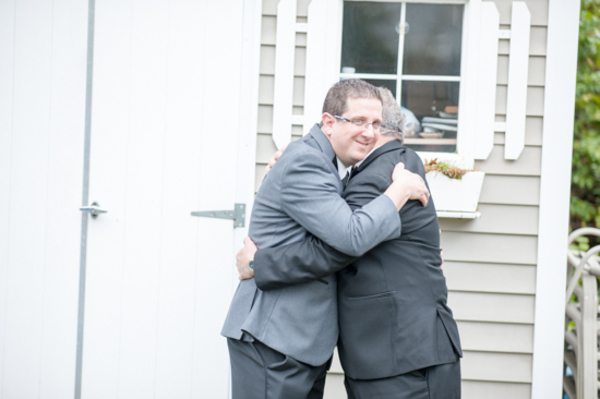 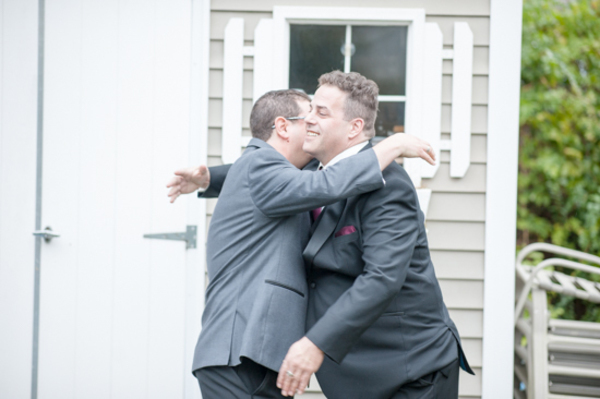 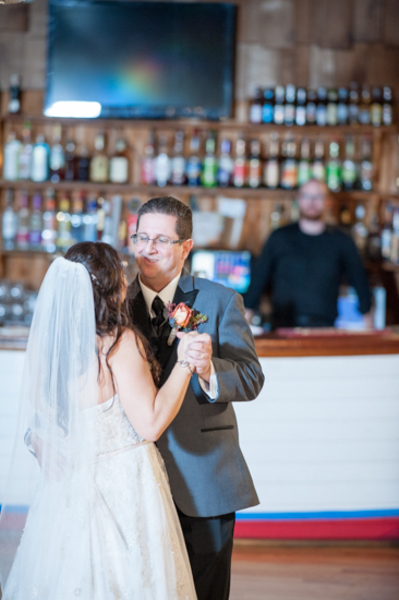 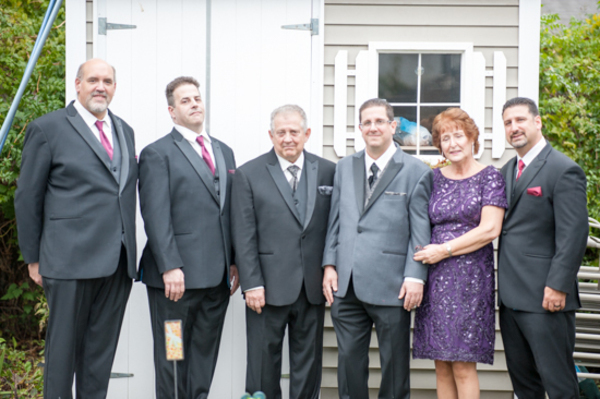 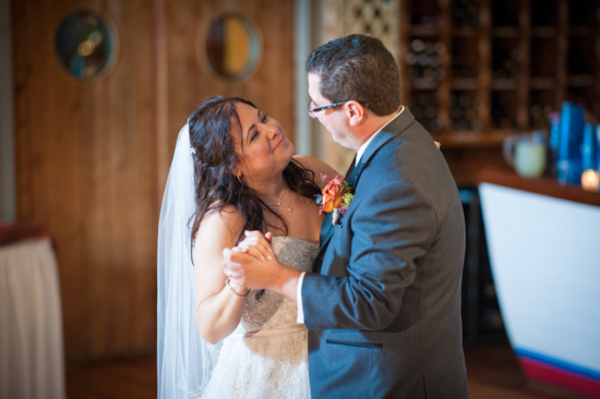 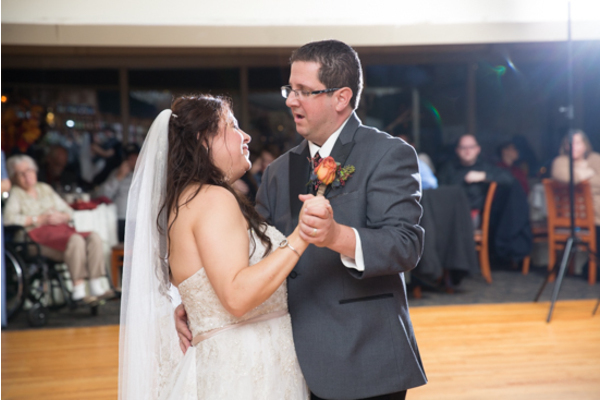 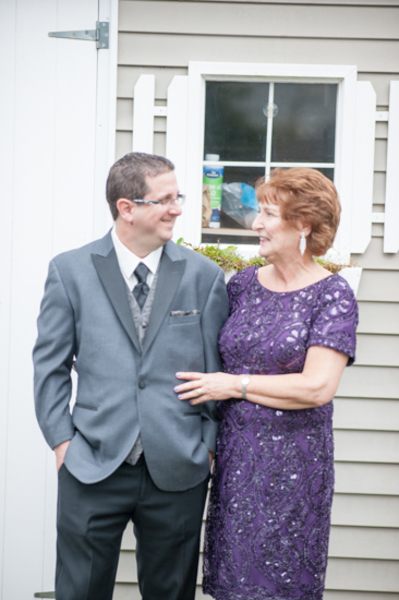 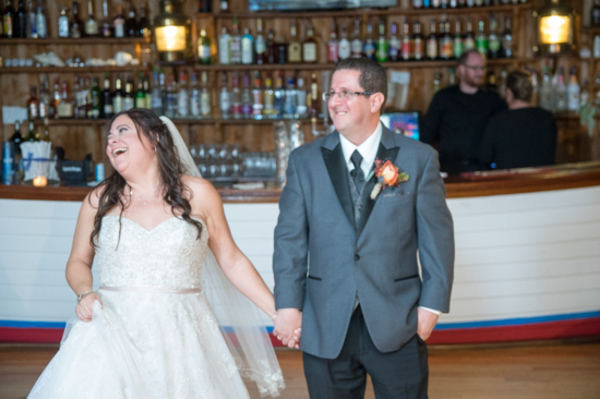 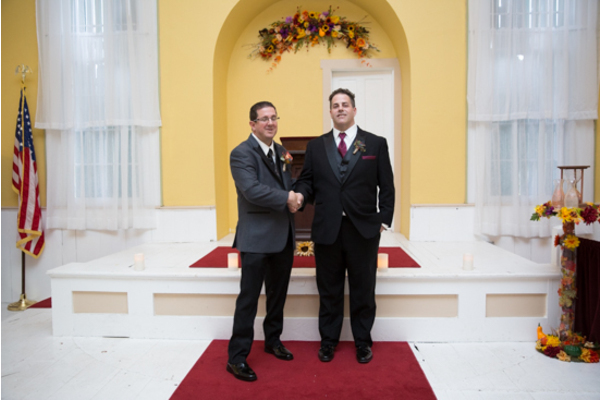 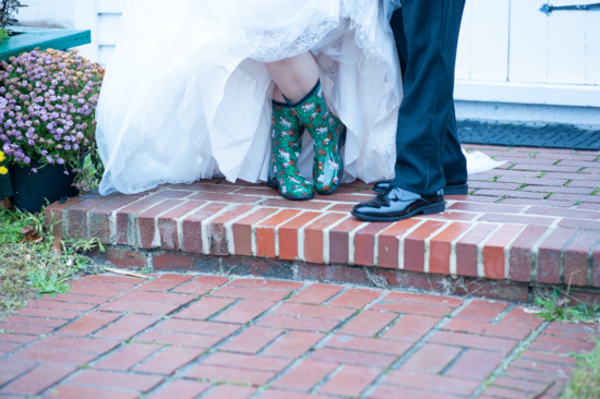 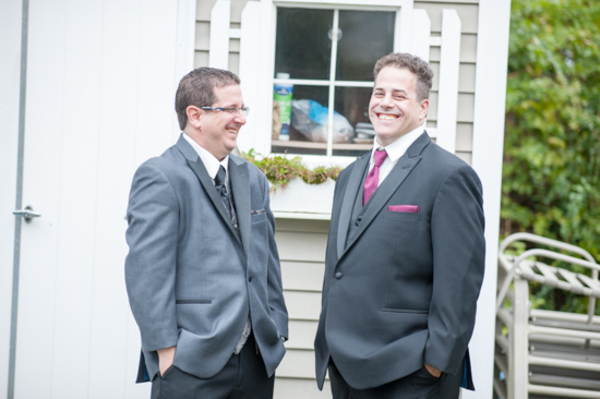 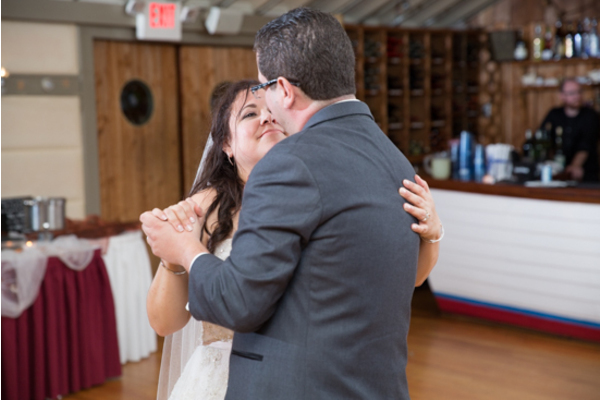 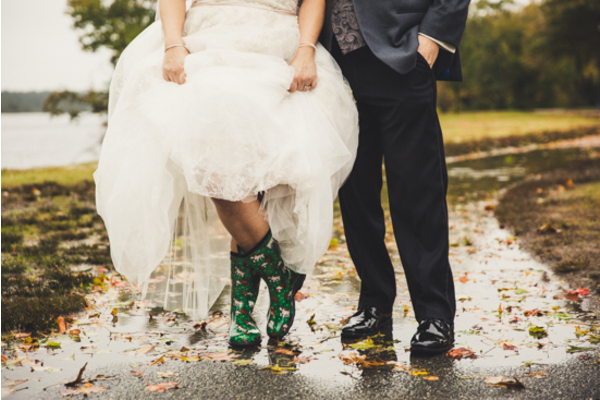 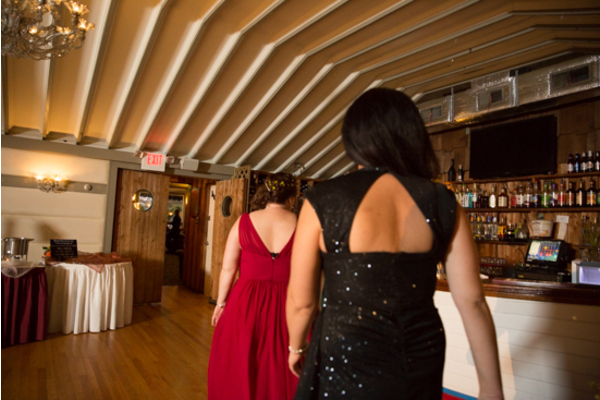 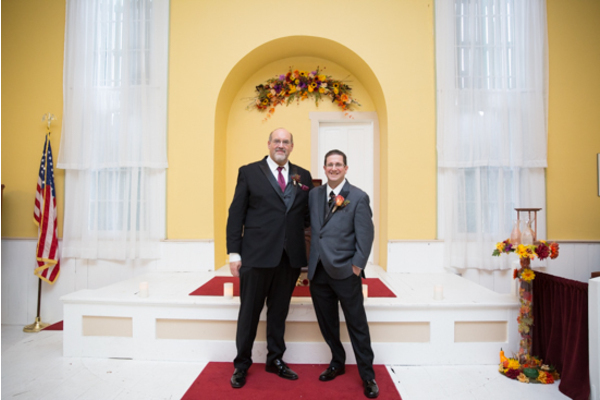 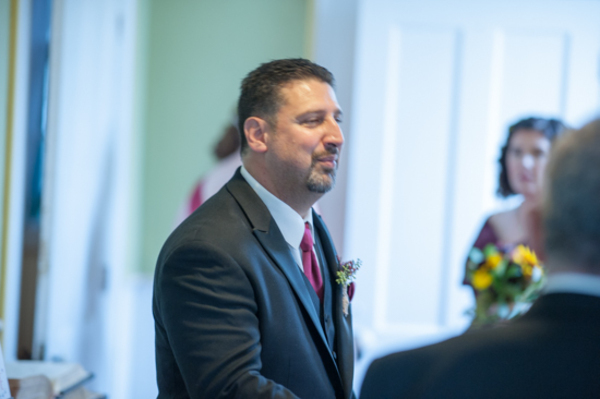 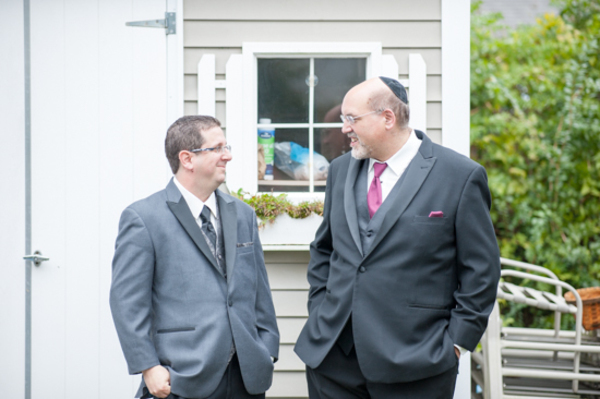 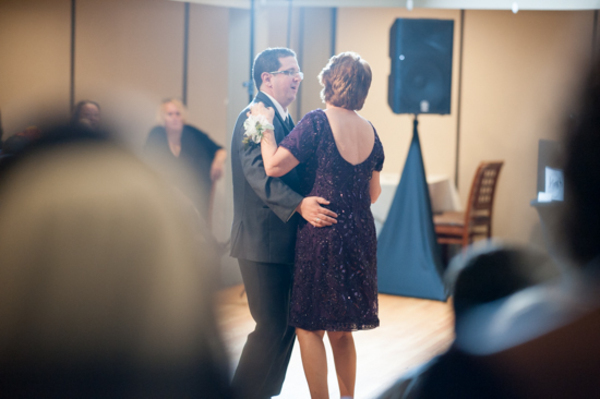 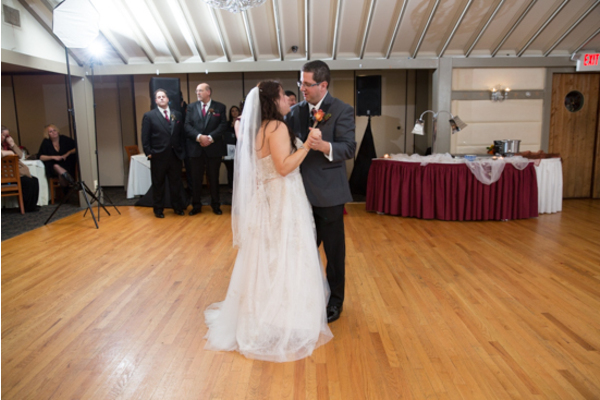 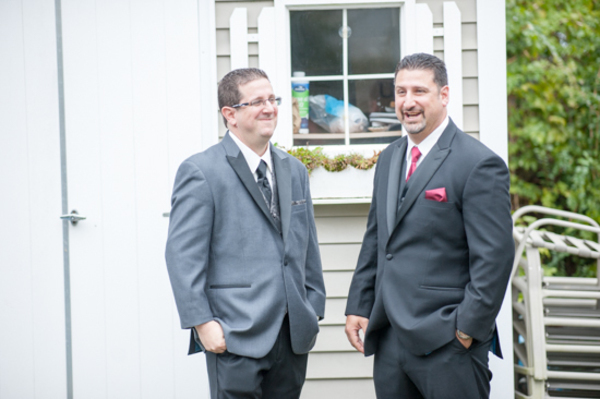 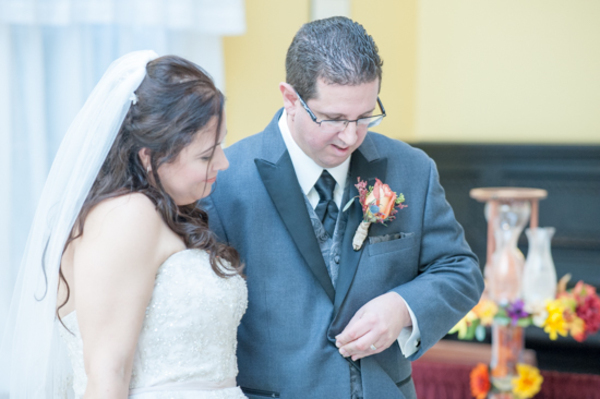 Our NJ Wedding Photographer was there for every smile, laugh and rock star move that was made all night long! 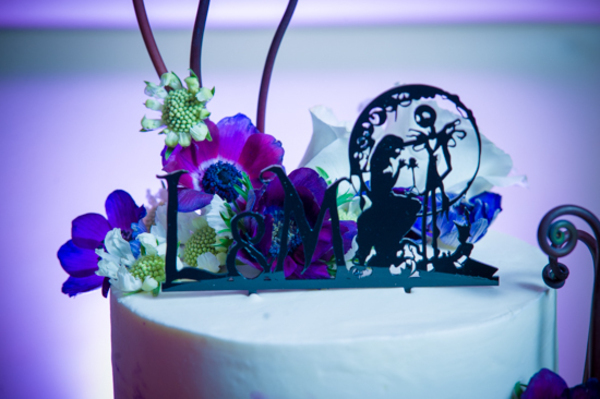 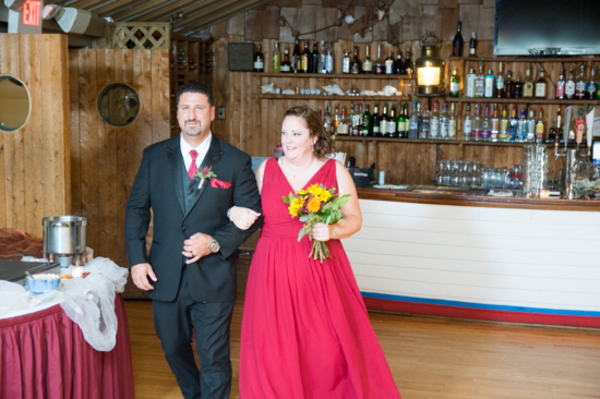 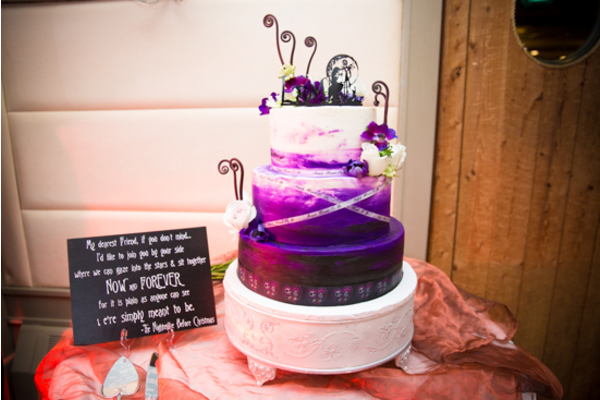 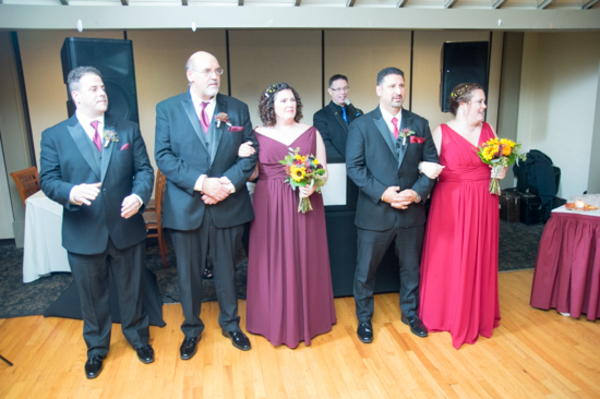 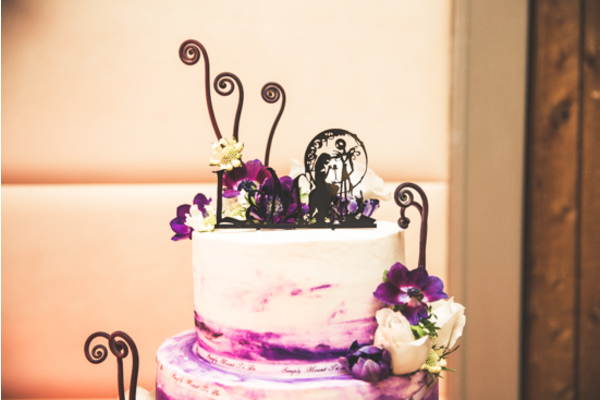 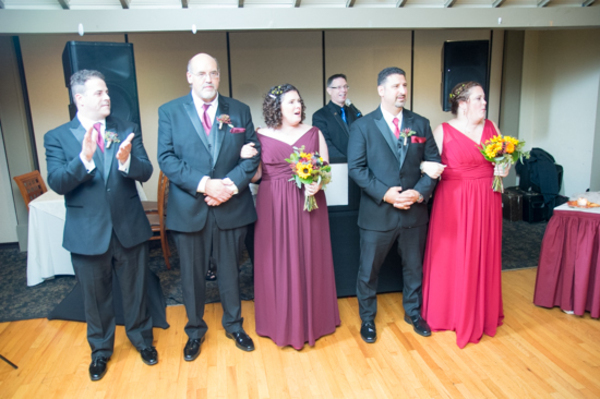 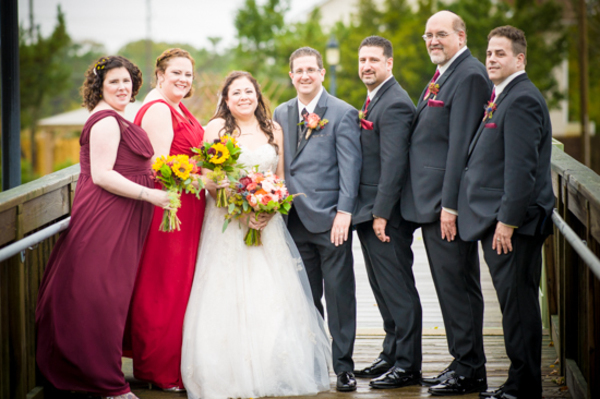 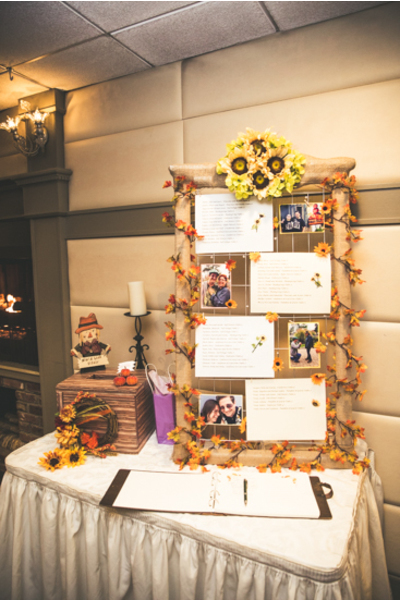 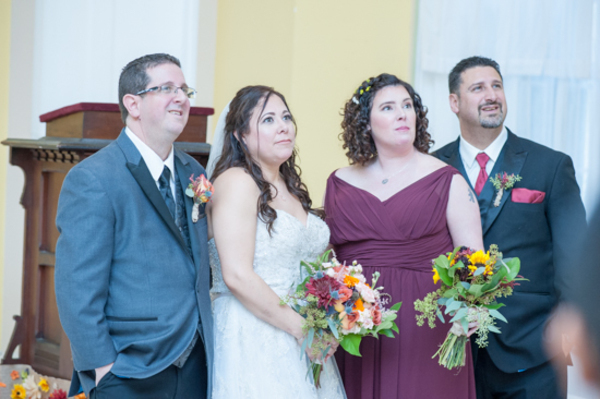 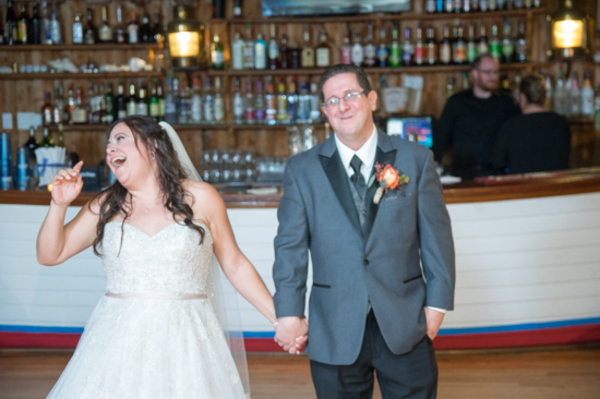 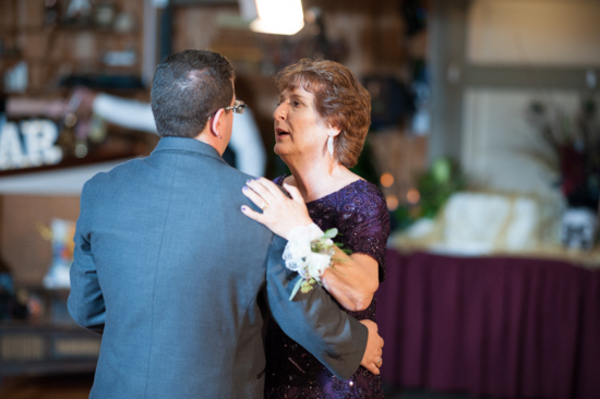 Overall, guests had a blast celebrating this stunning couple’s marriage. 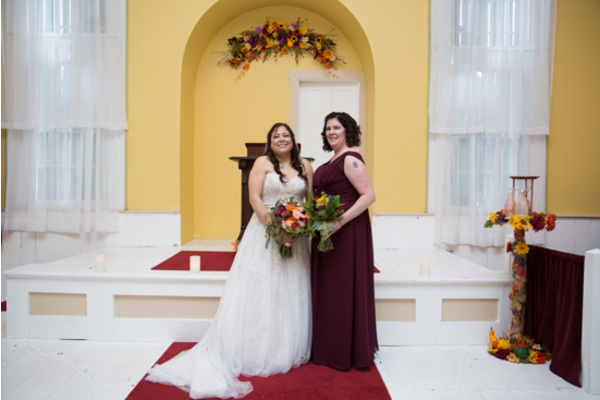 Congratulations, again, to these lovers on their marriage! 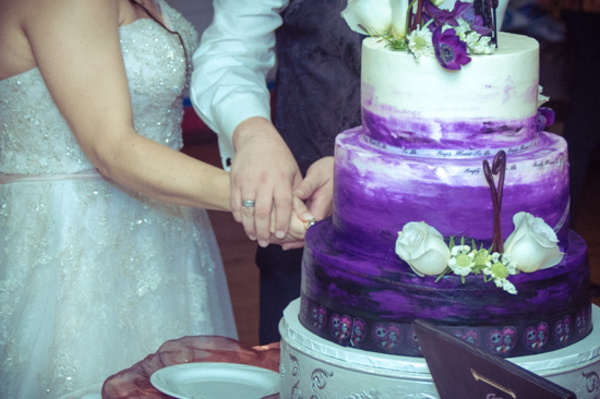 We wish you love and happiness in everything you do!